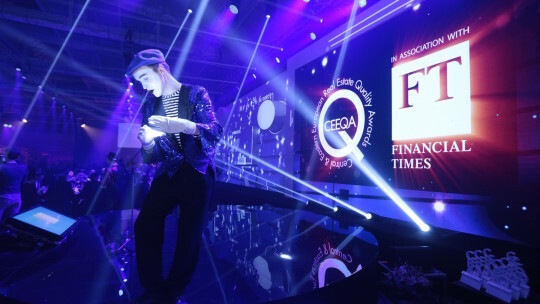 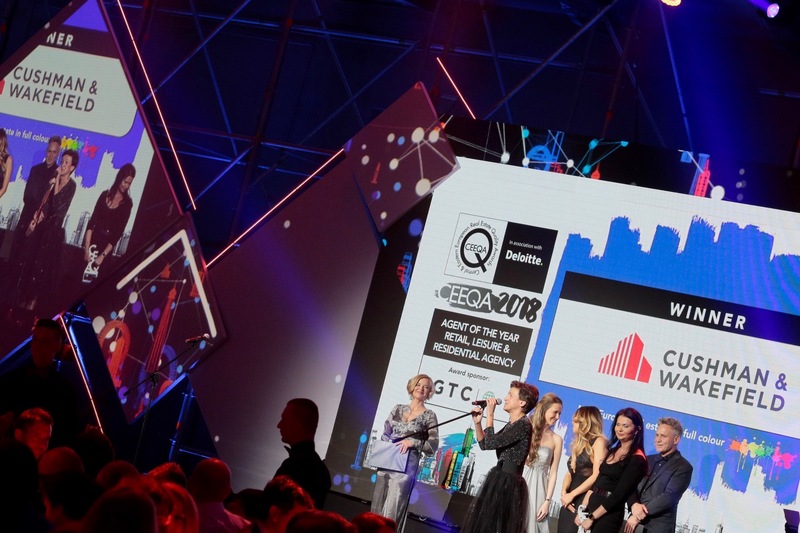 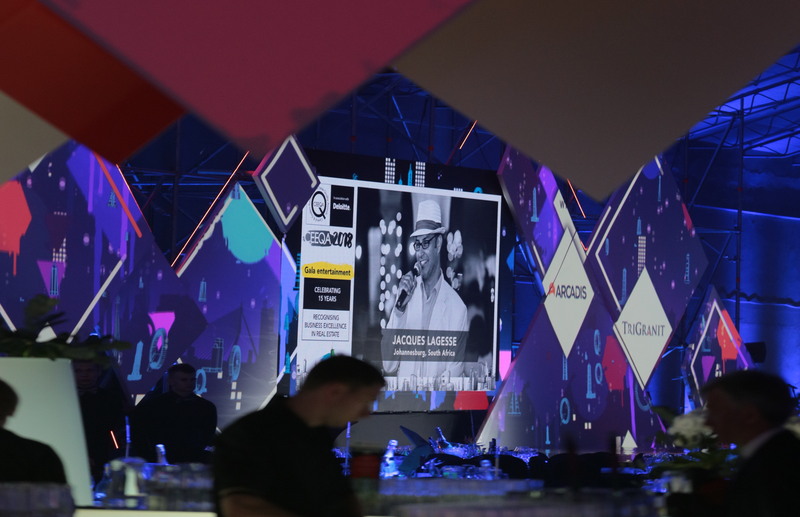 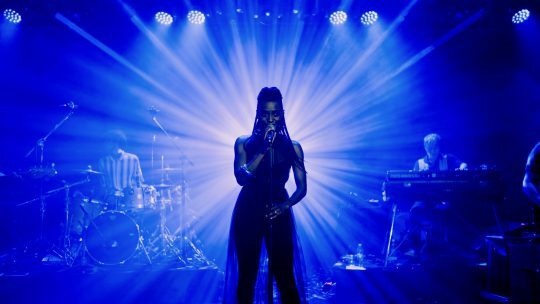 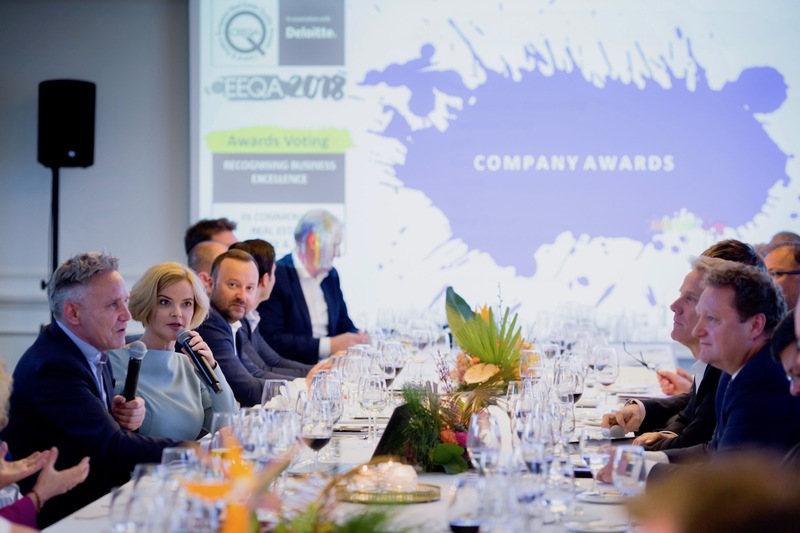 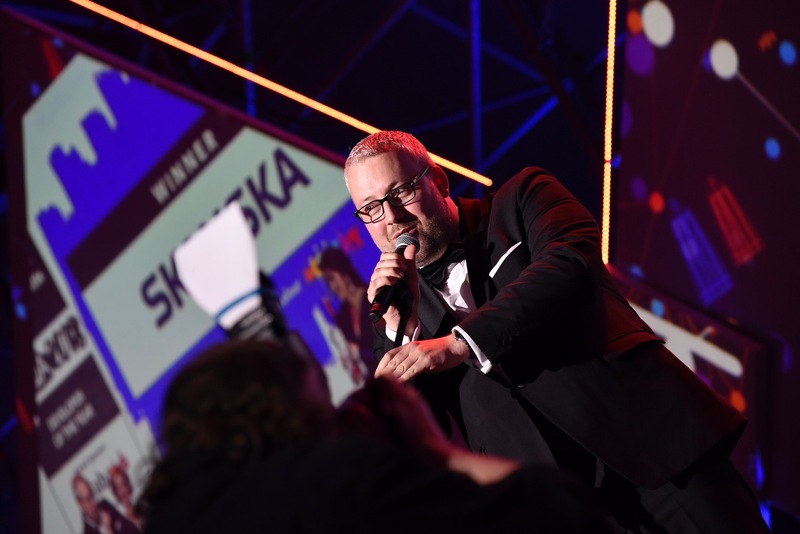 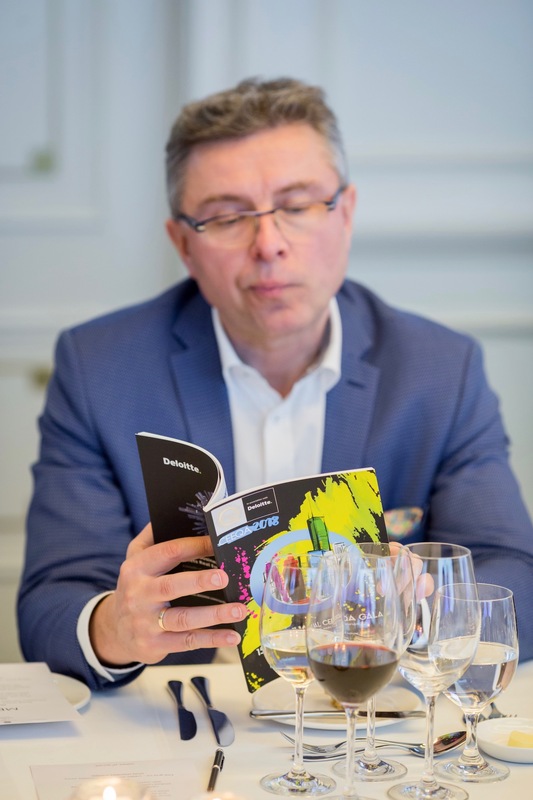 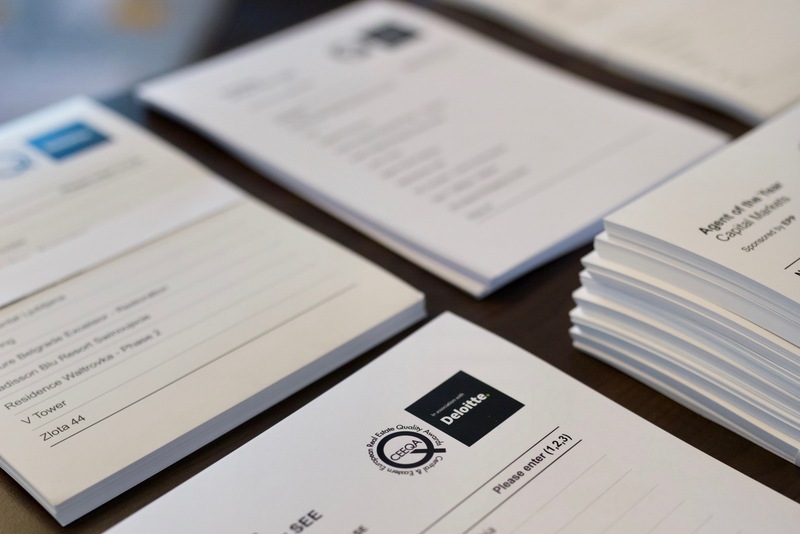 The members of the 2018 CEEQA Jury gathered in Warsaw for the final round of judging on 24th April, on the eve of the CEEQA Gala, to select the winners from the year’s short listed candidates. 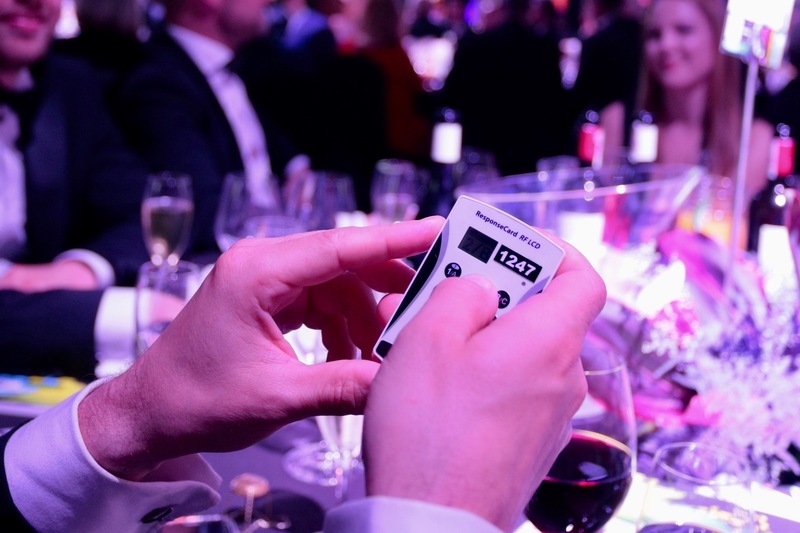 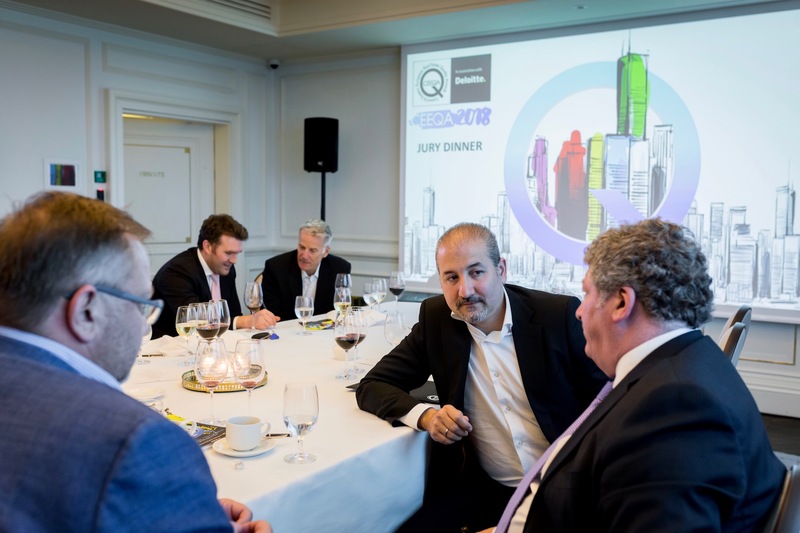 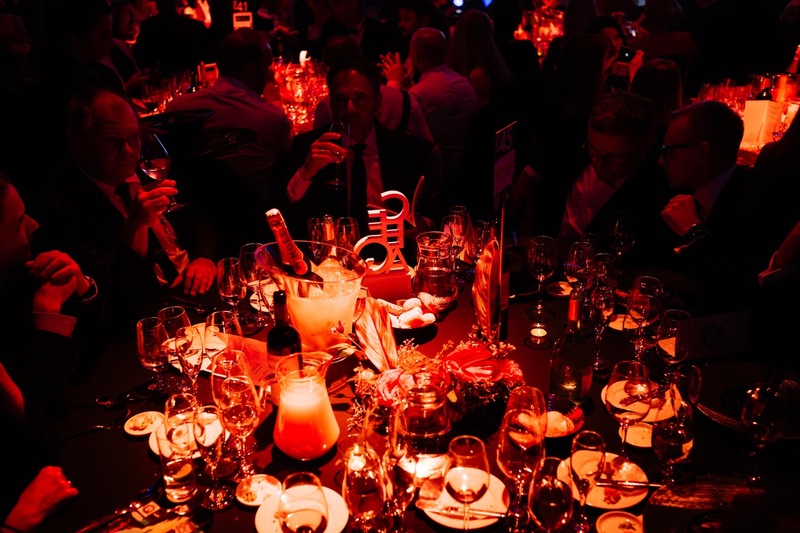 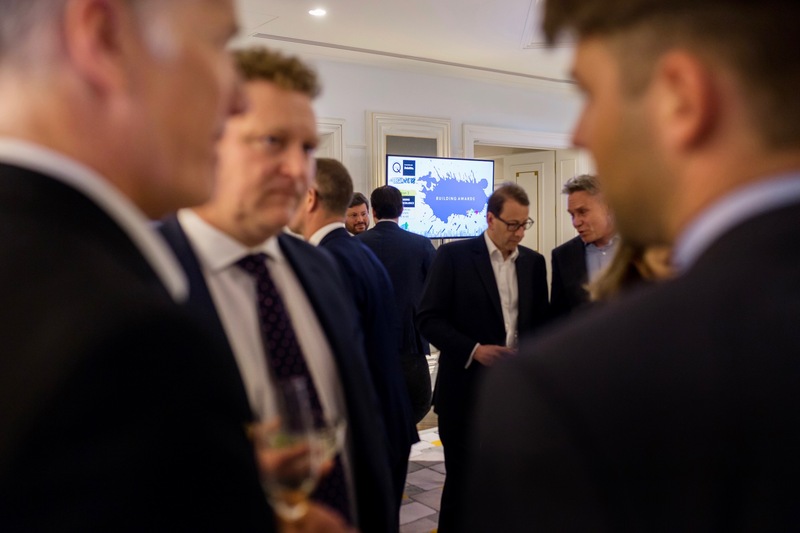 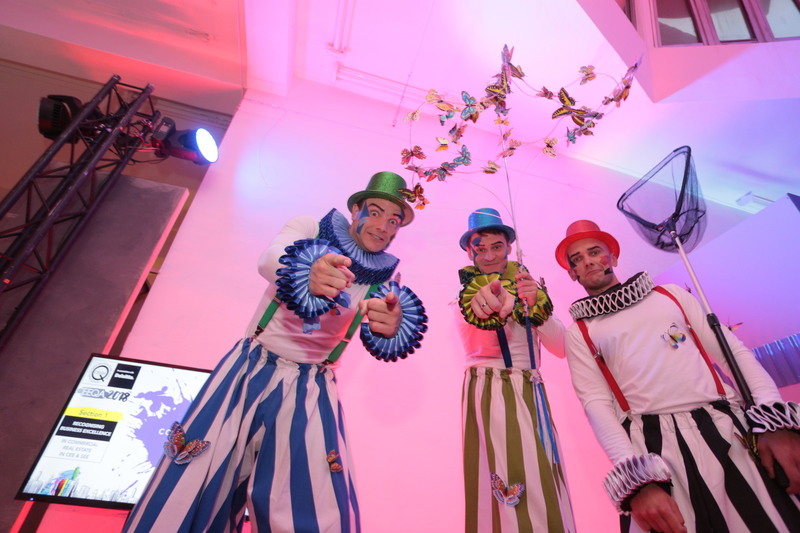 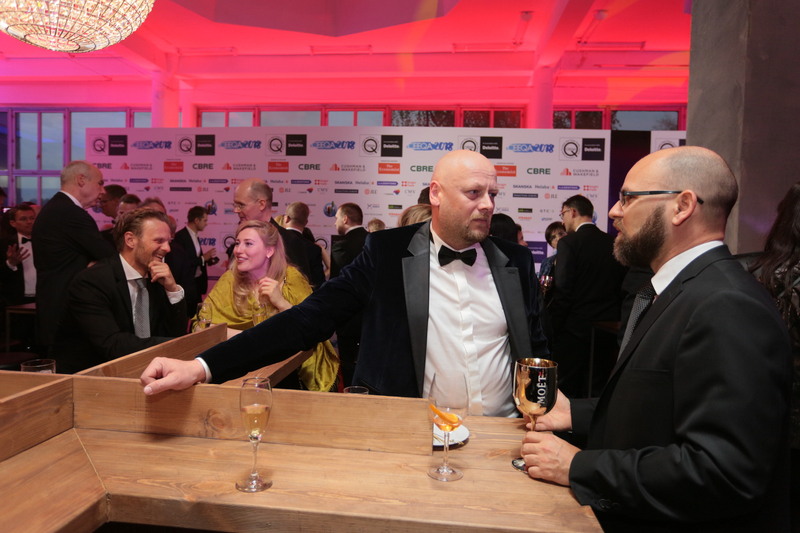 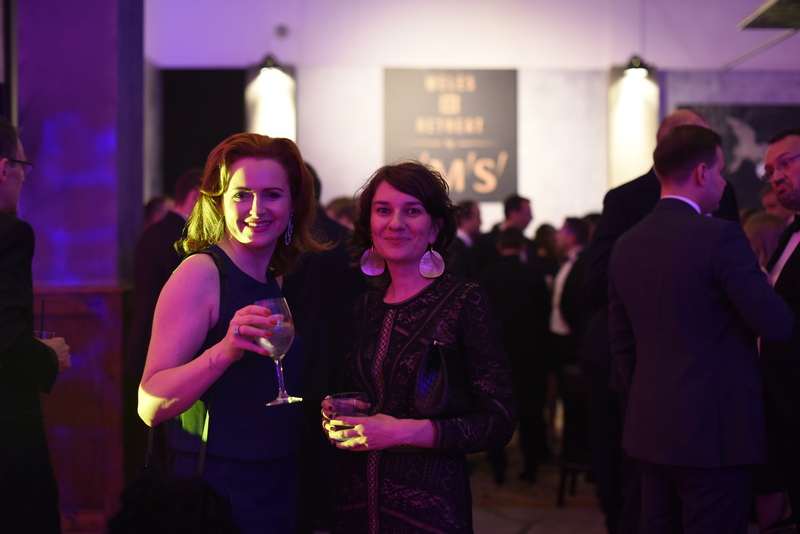 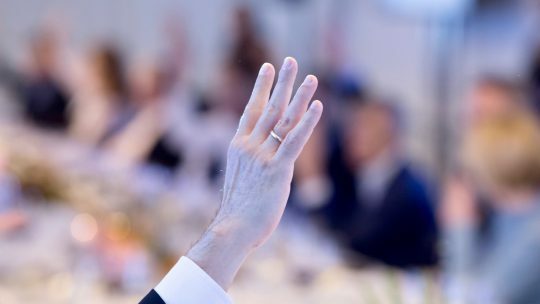 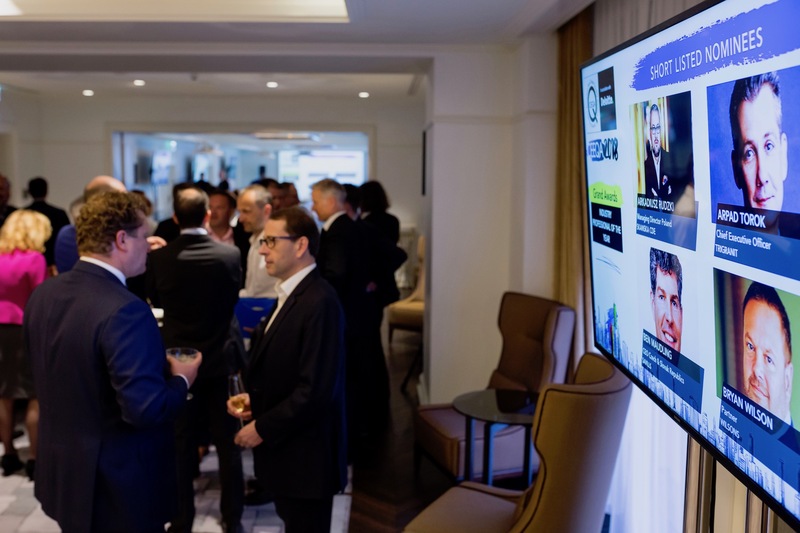 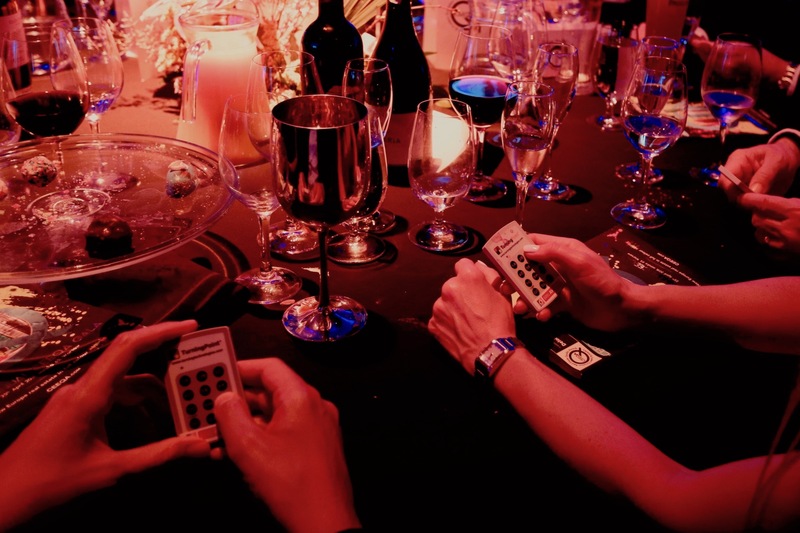 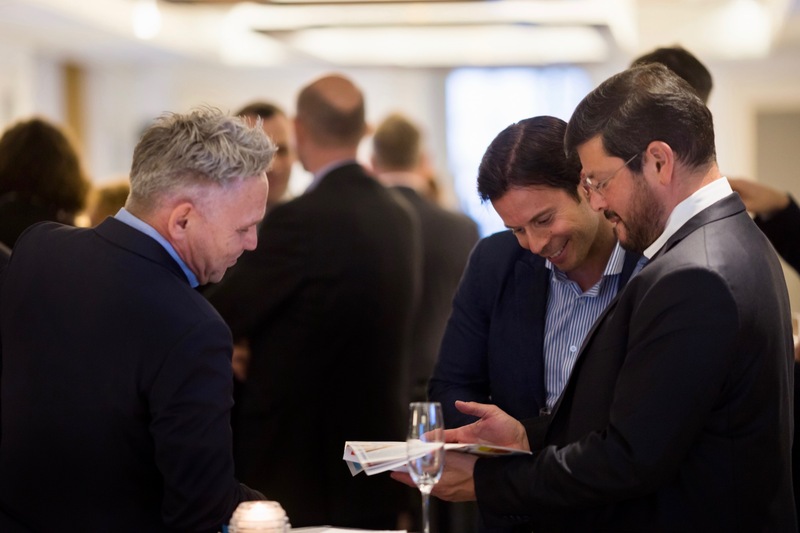 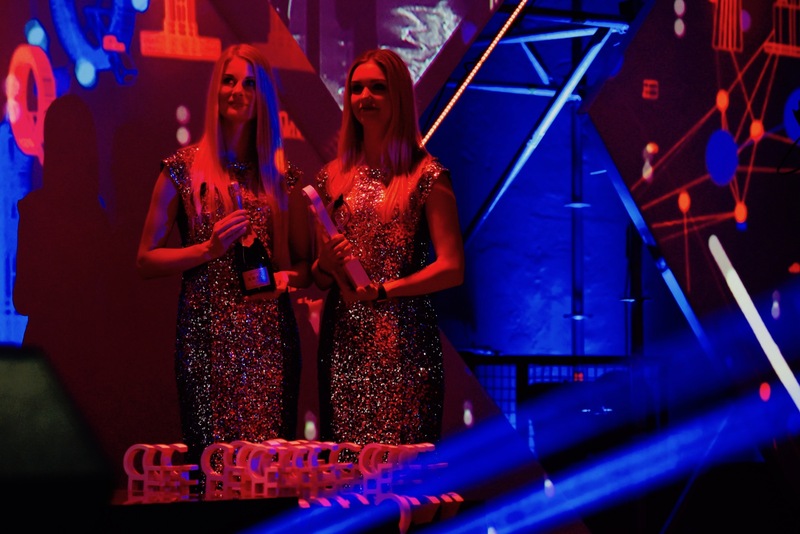 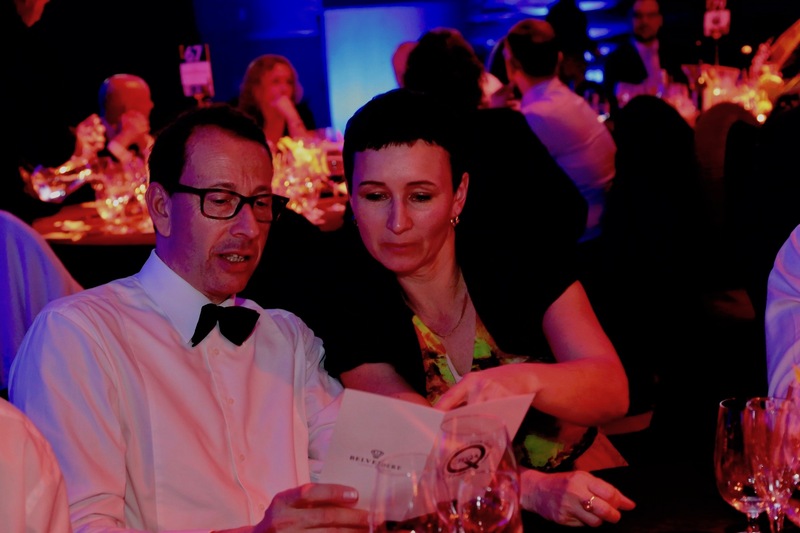 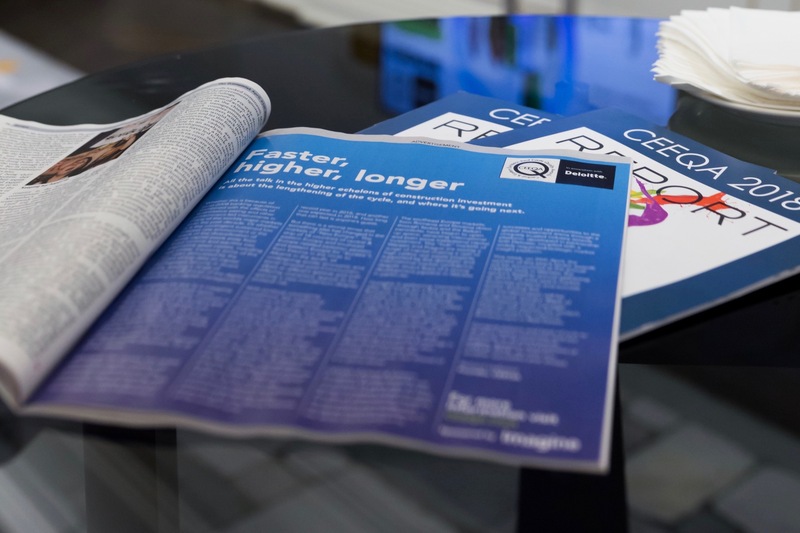 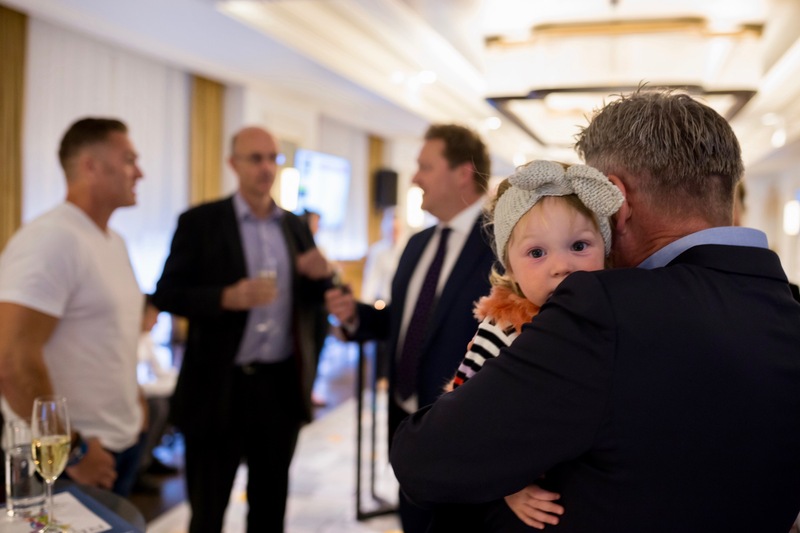 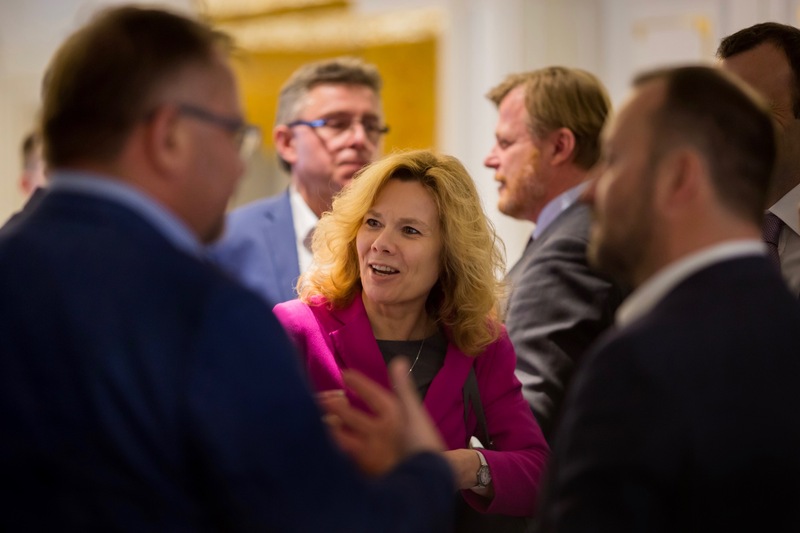 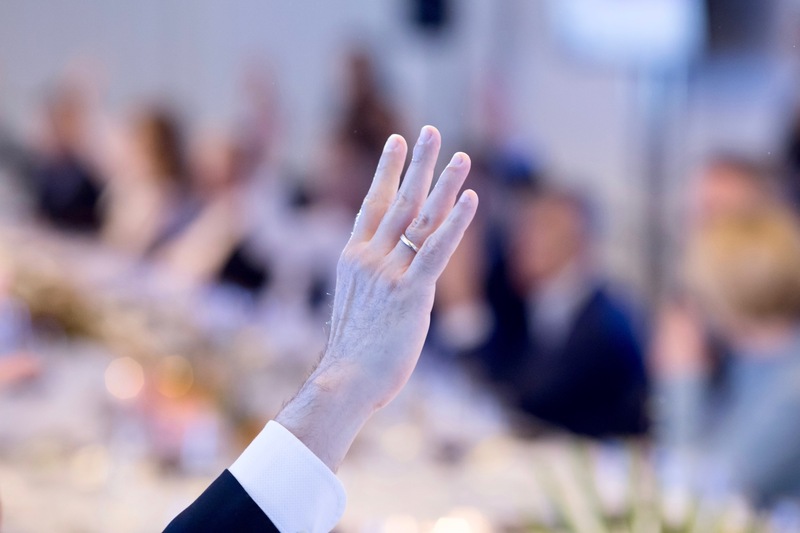 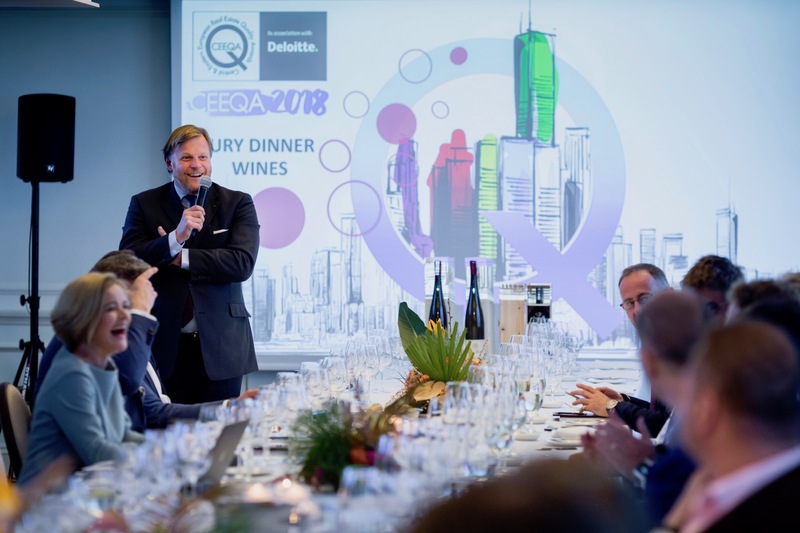 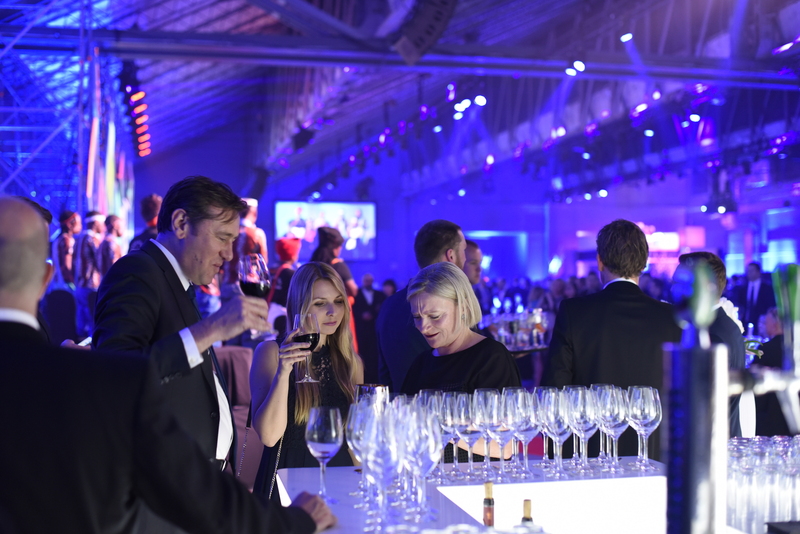 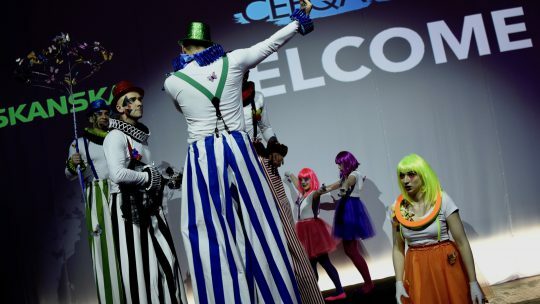 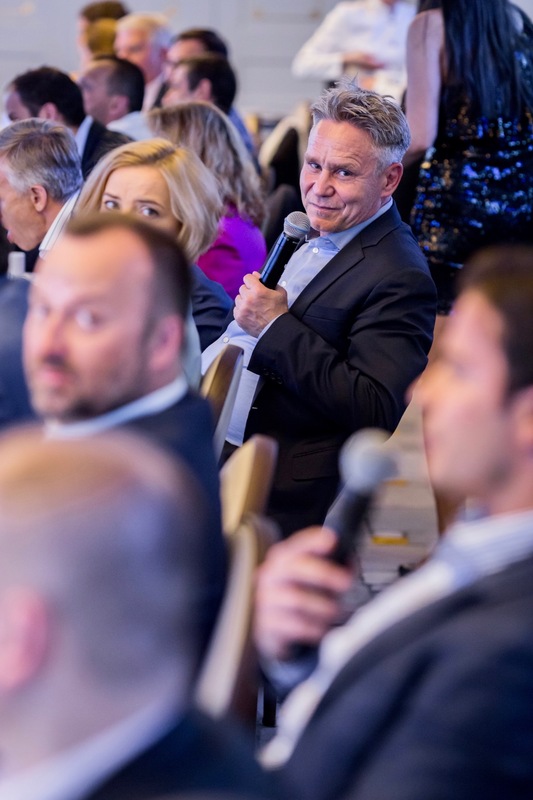 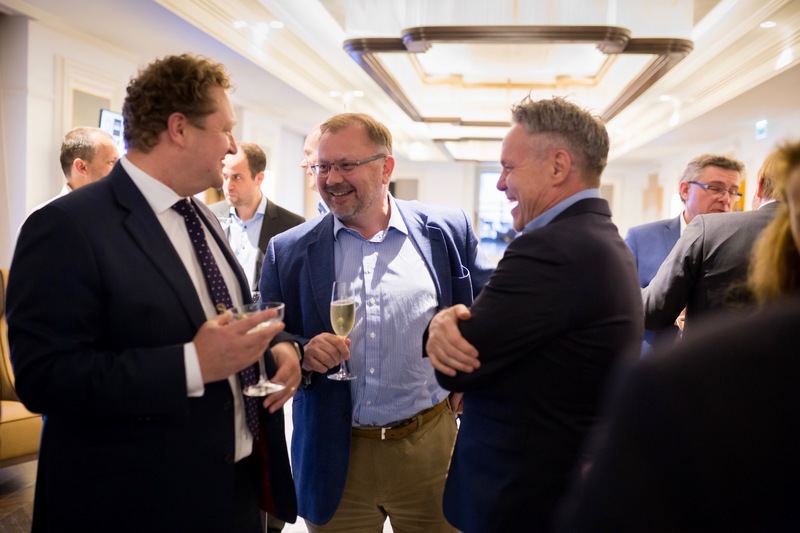 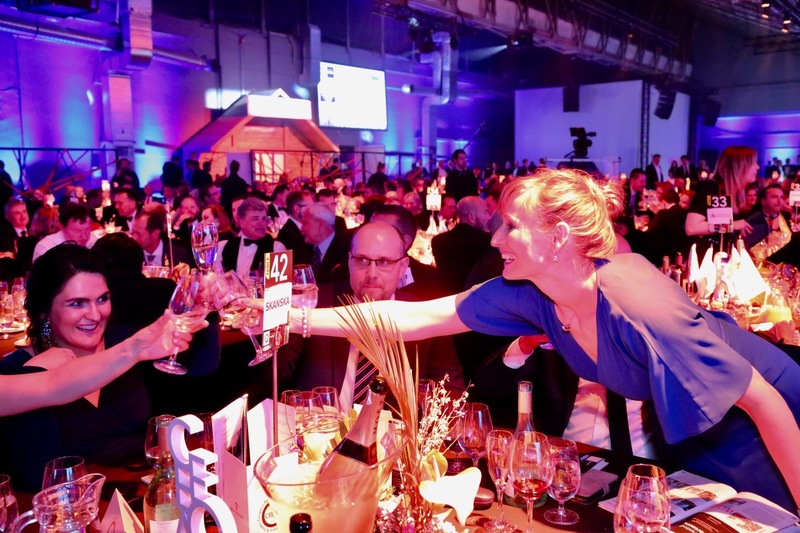 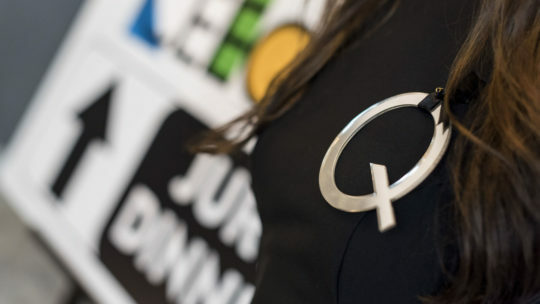 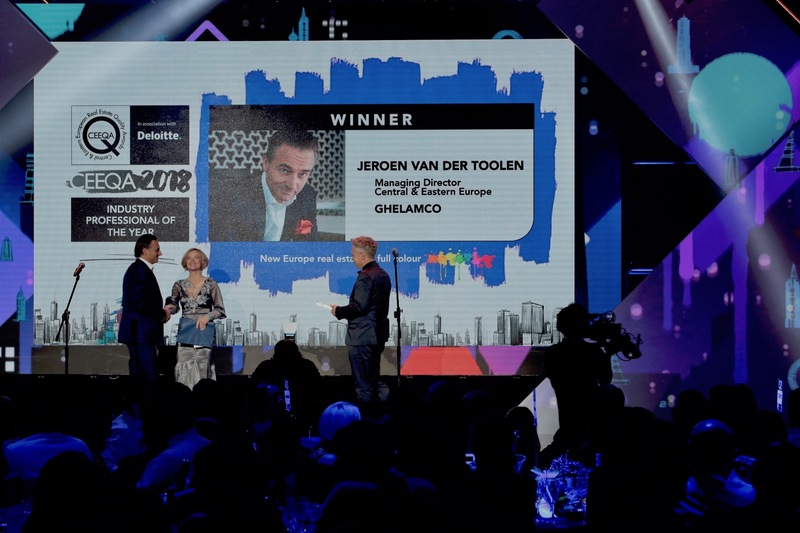 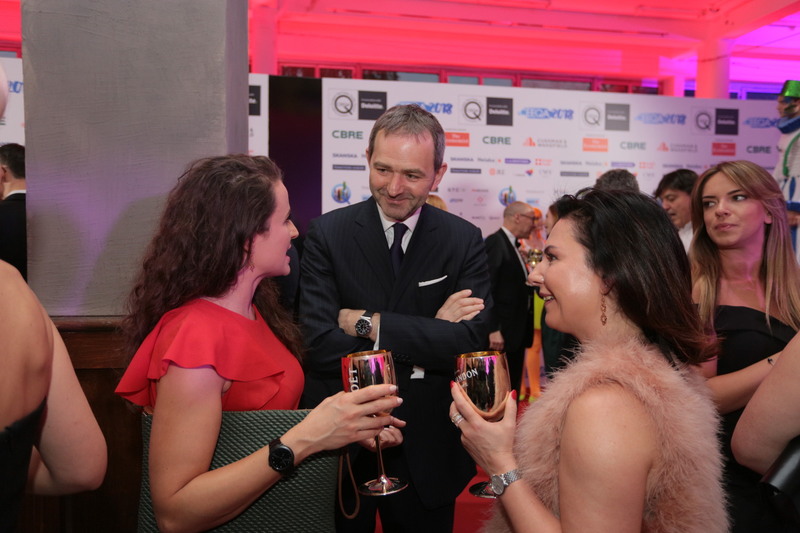 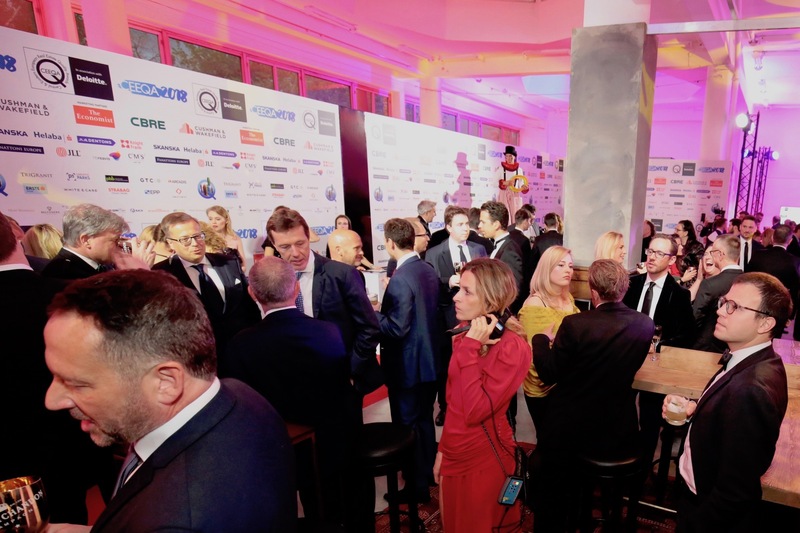 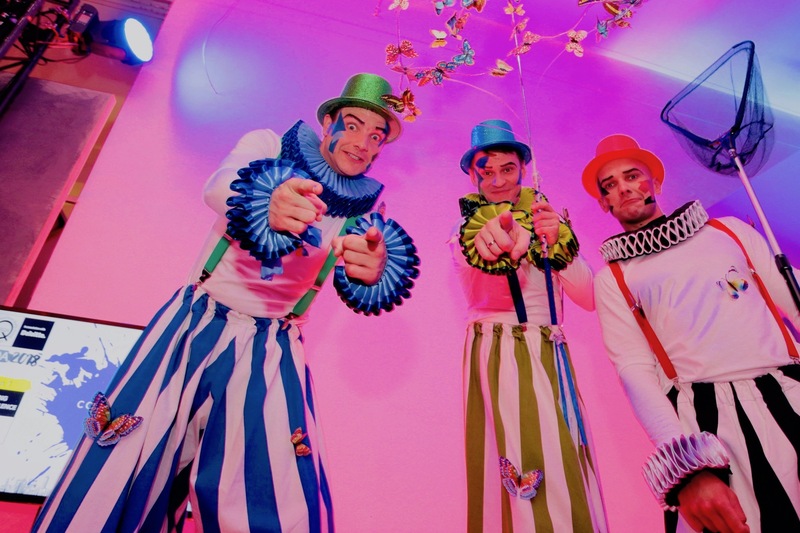 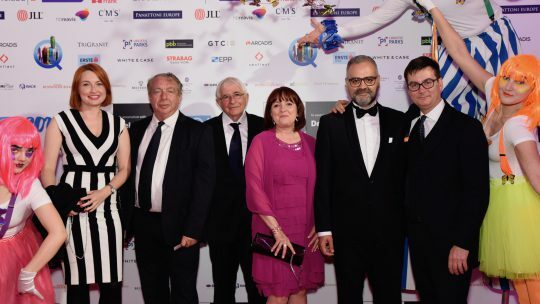 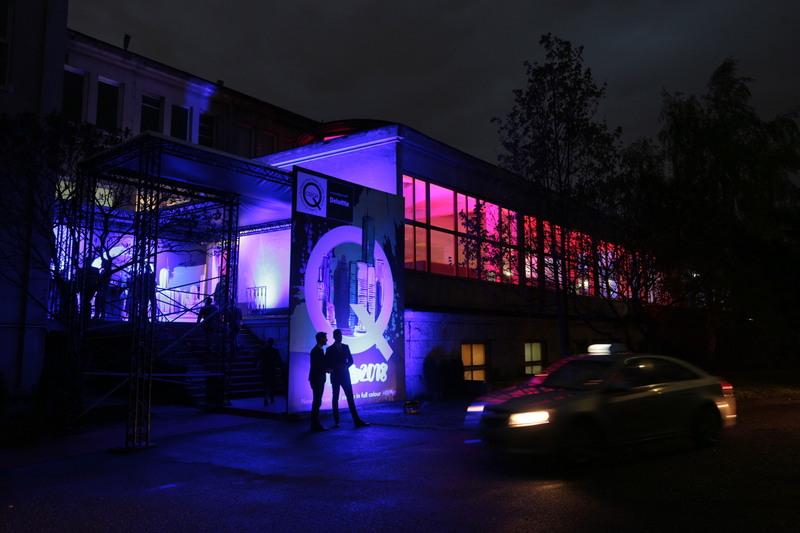 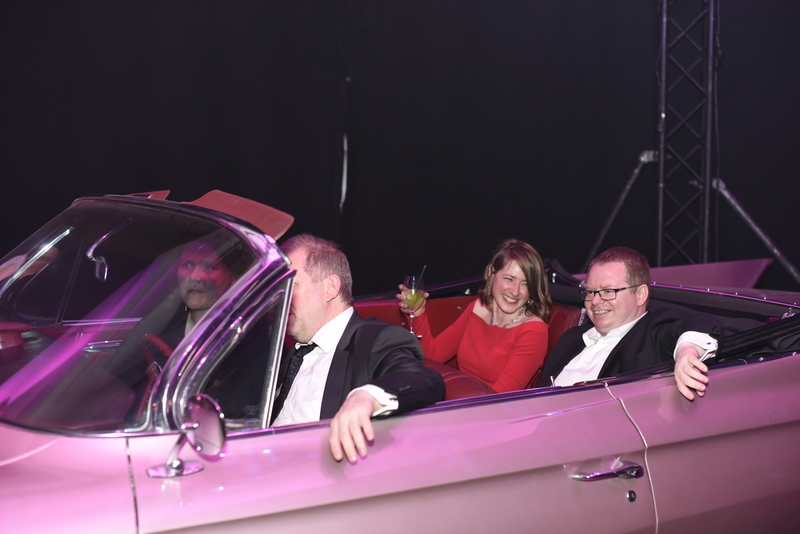 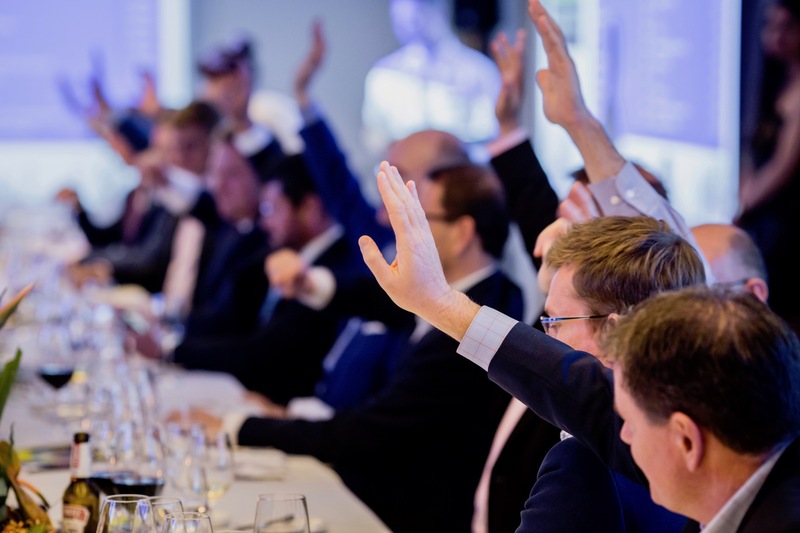 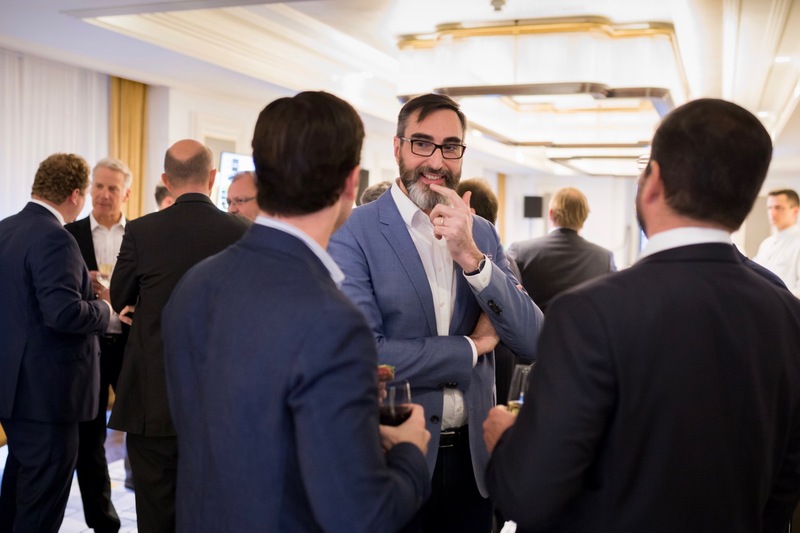 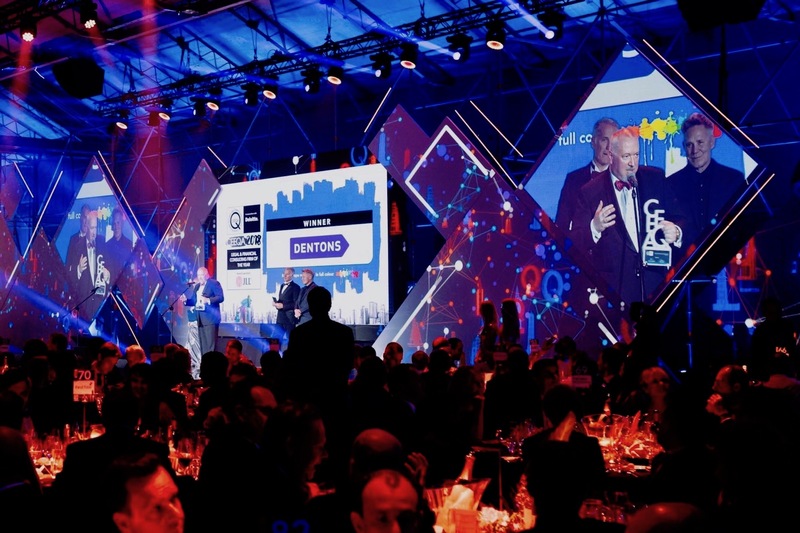 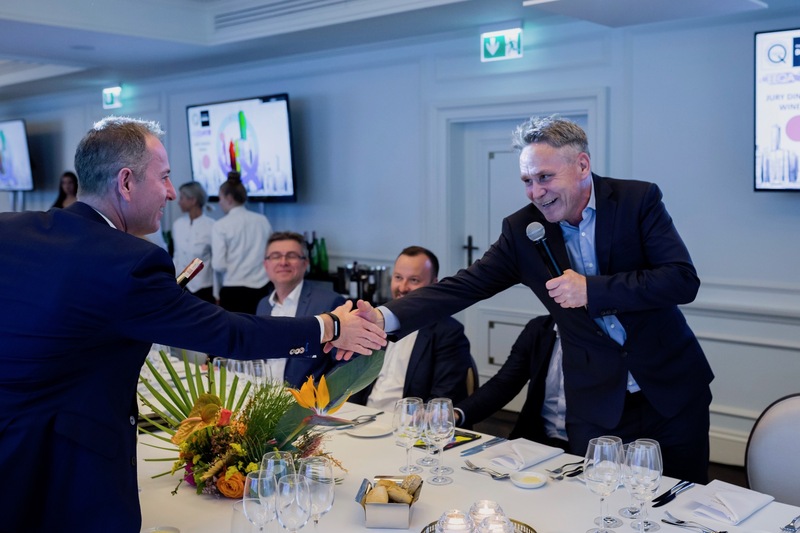 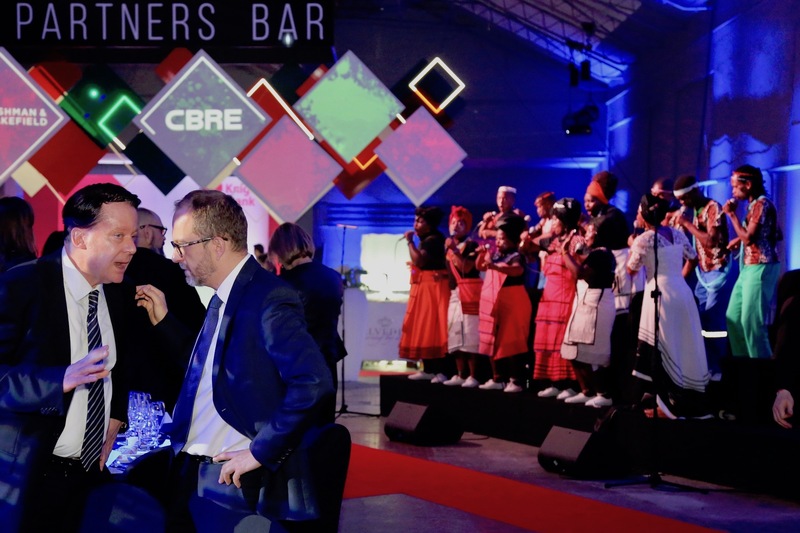 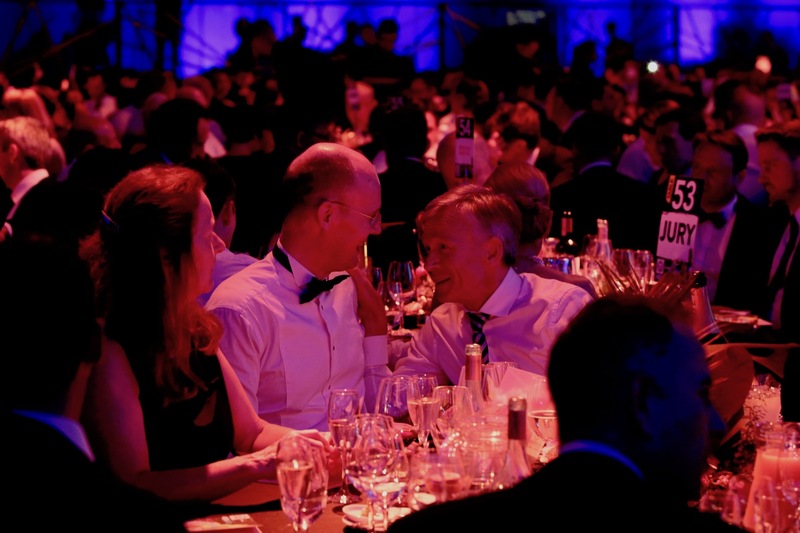 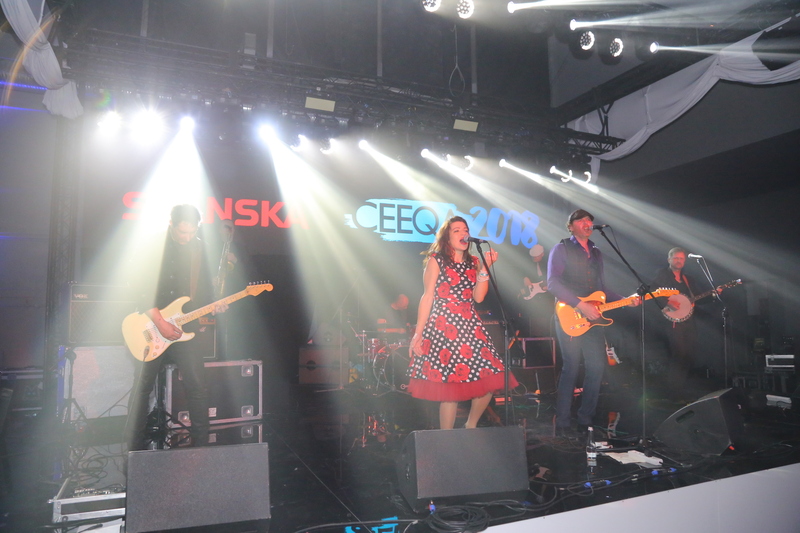 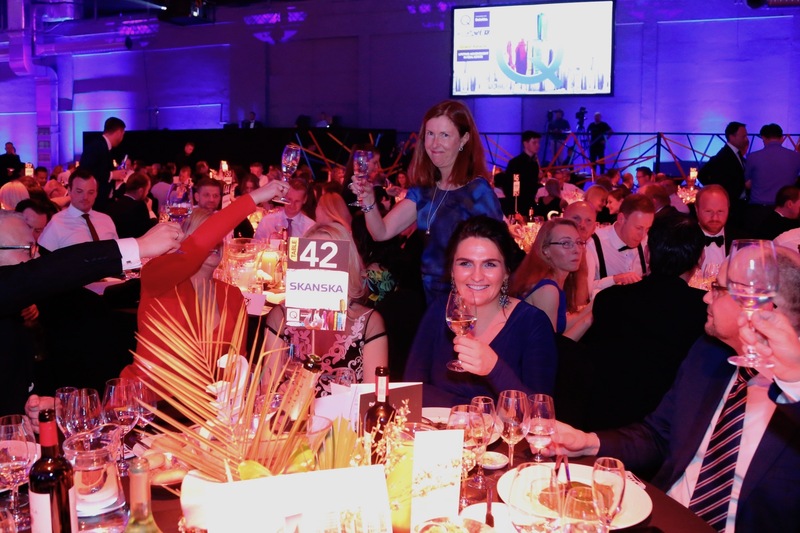 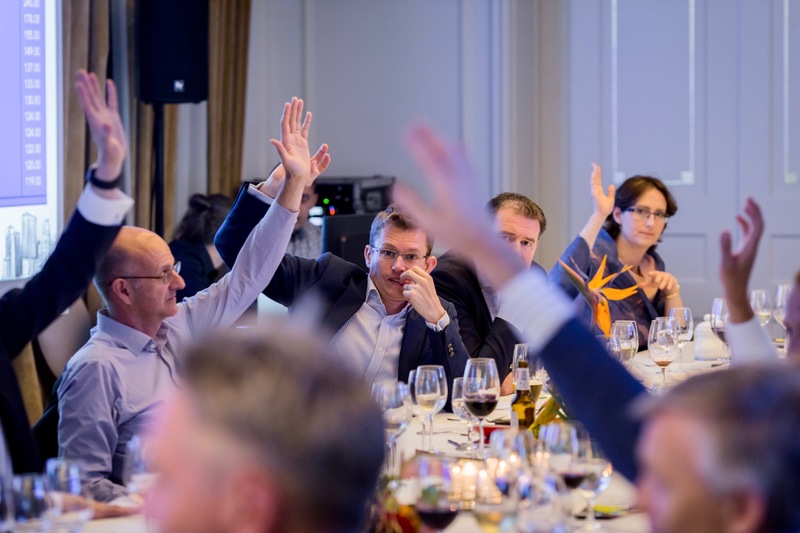 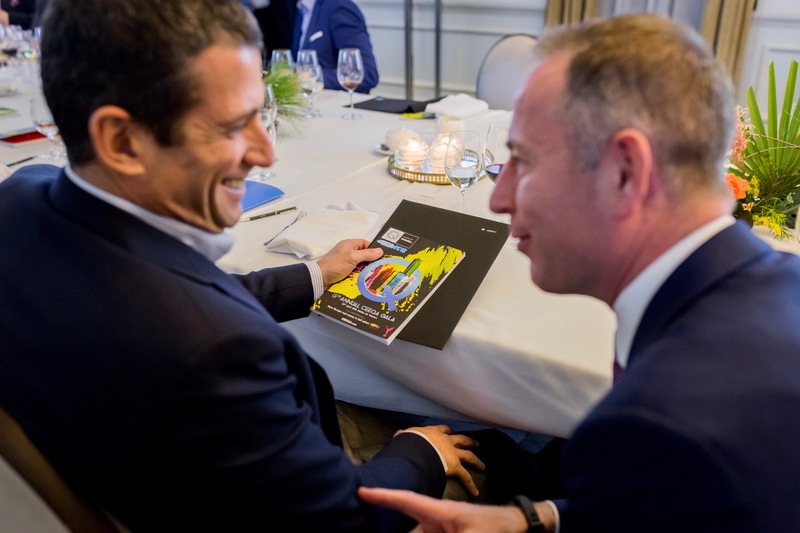 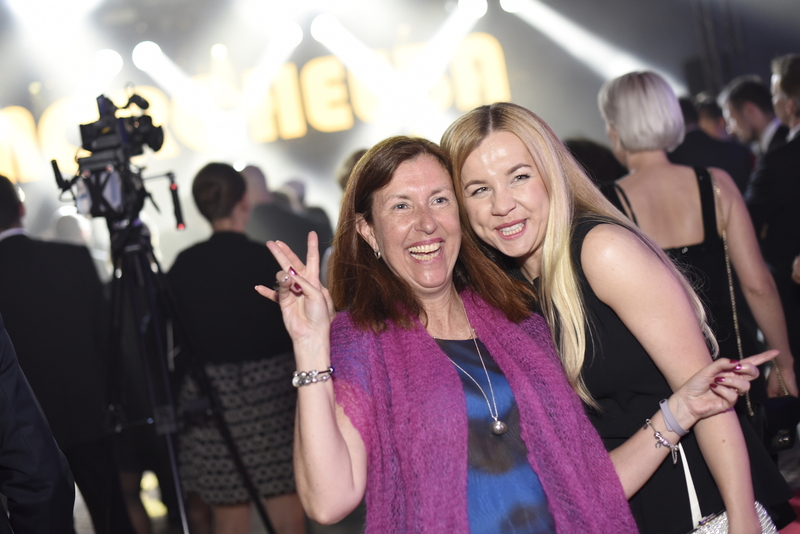 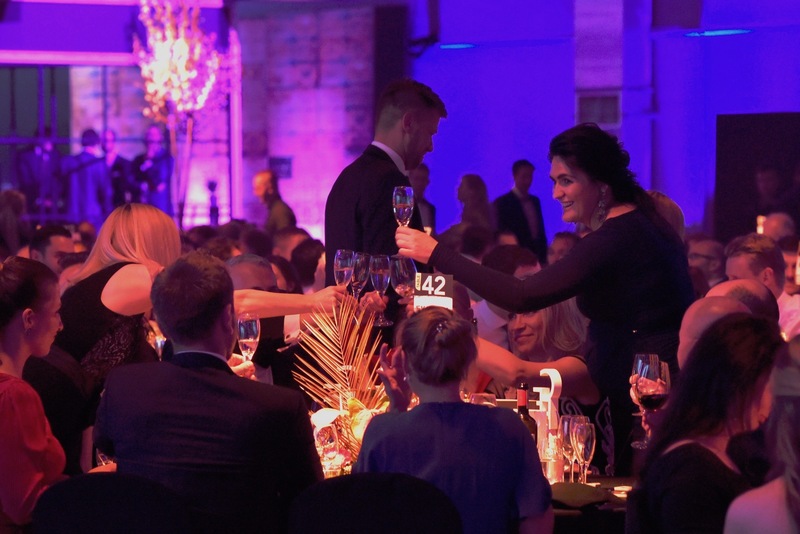 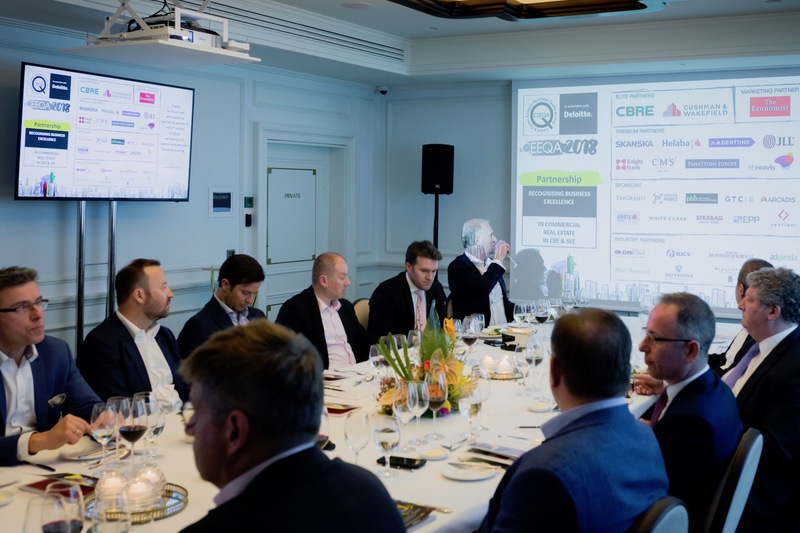 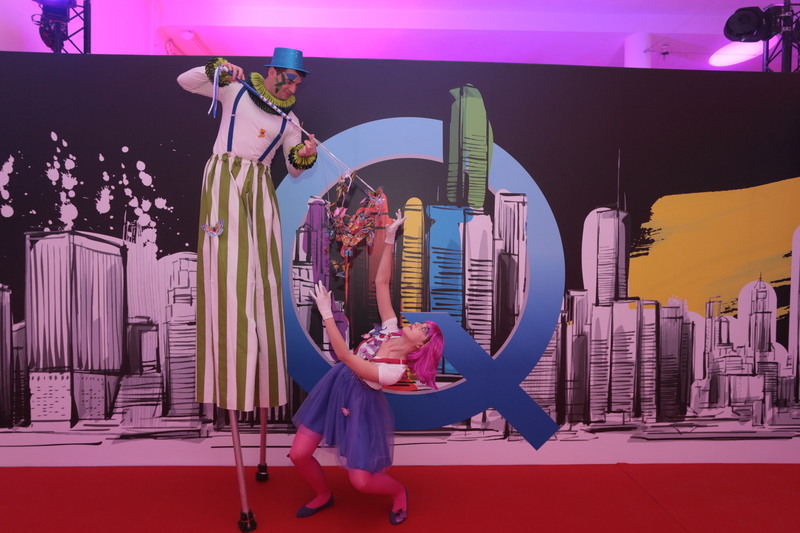 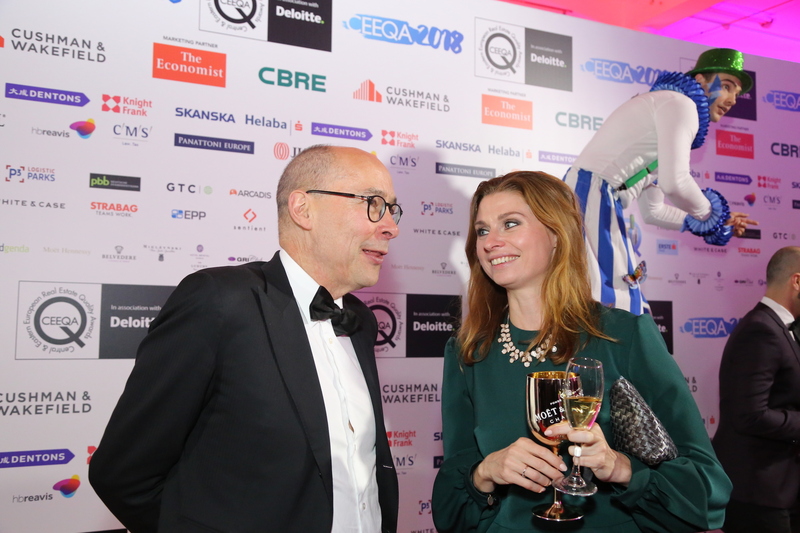 Serious minded yet fun, an invitation to the CEEQA Jury Dinner is one of the most prized networking opportunities the New Europe property sector has to offer. 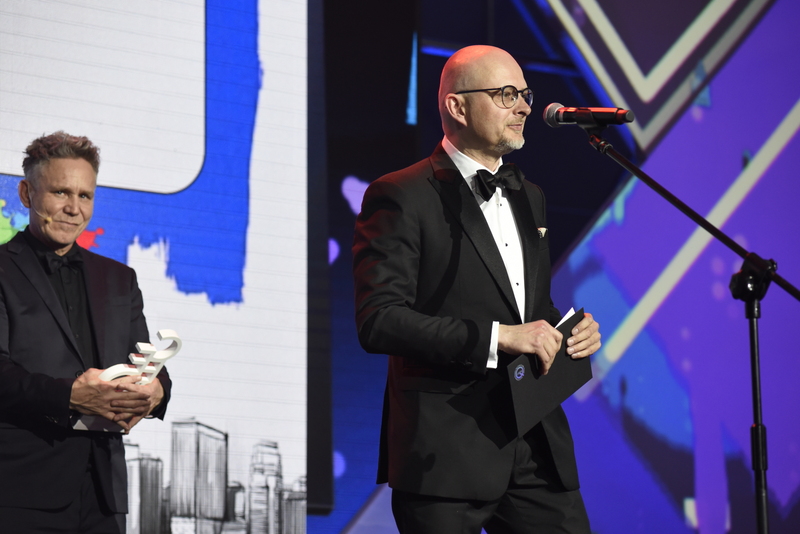 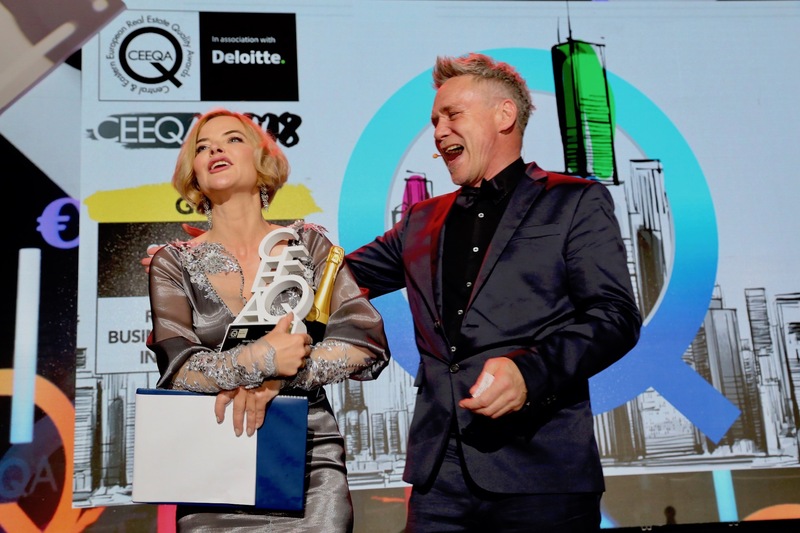 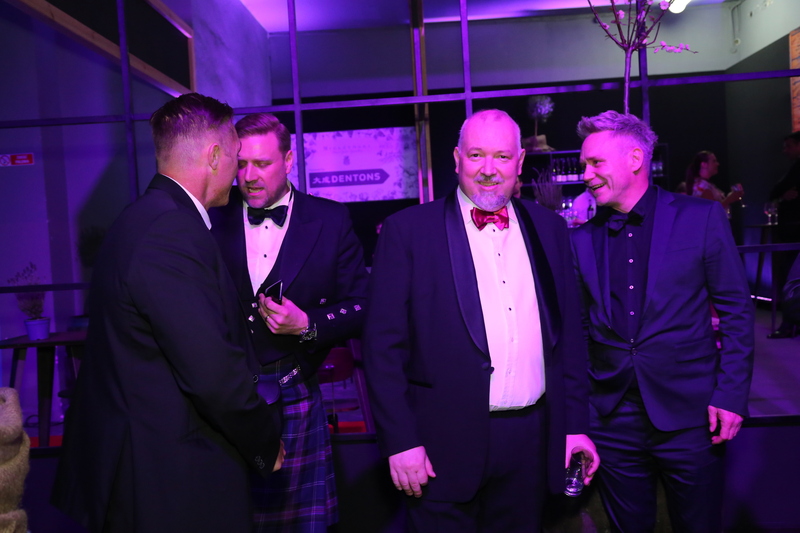 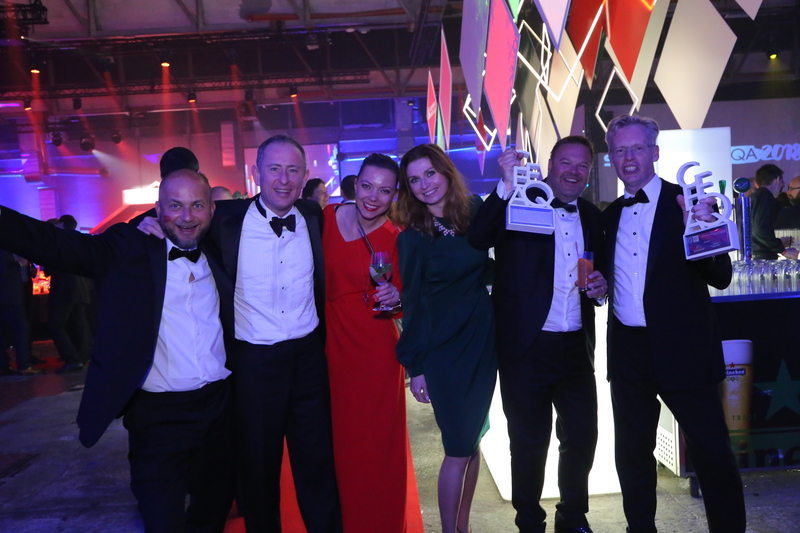 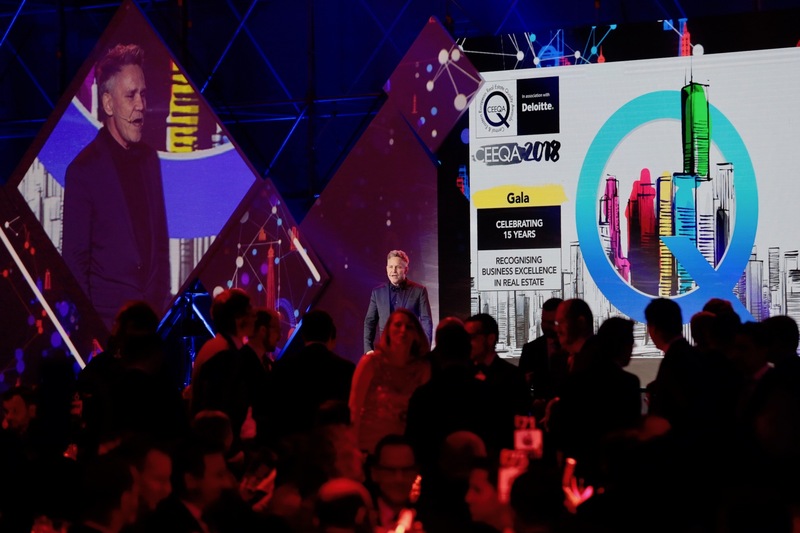 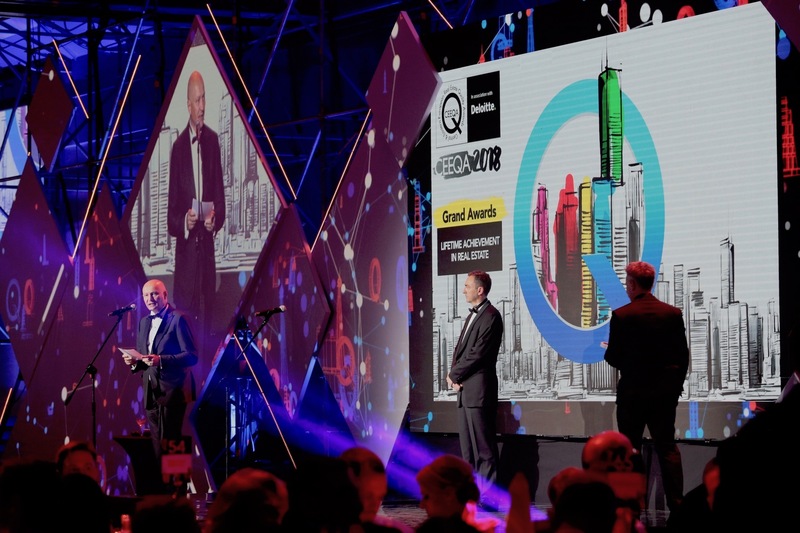 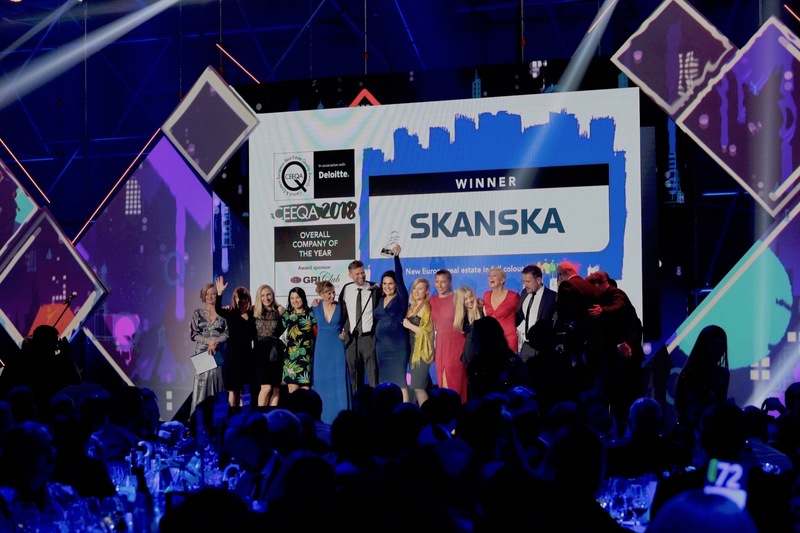 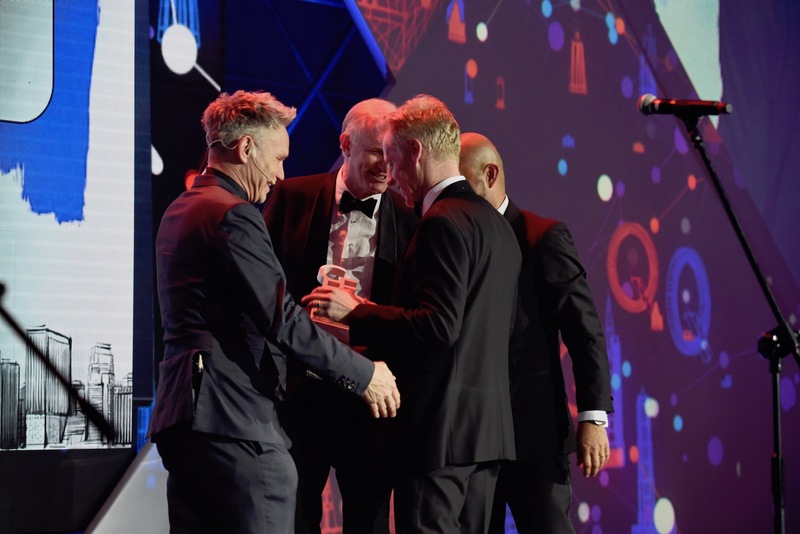 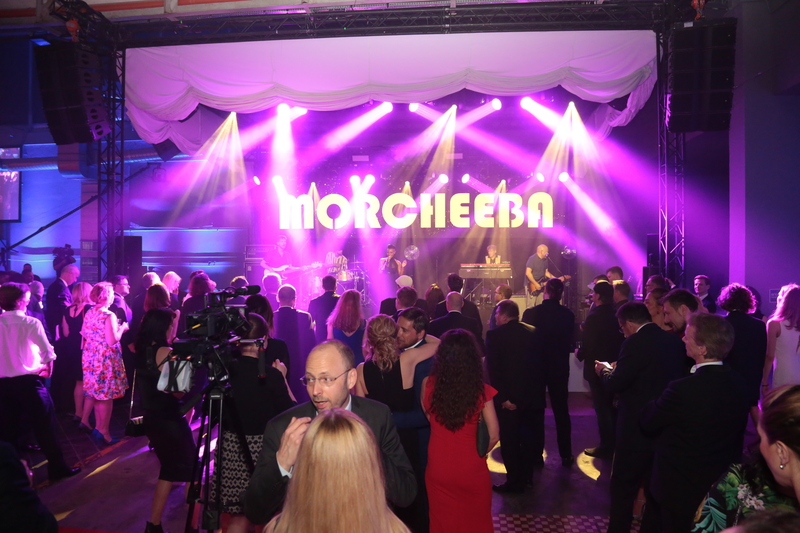 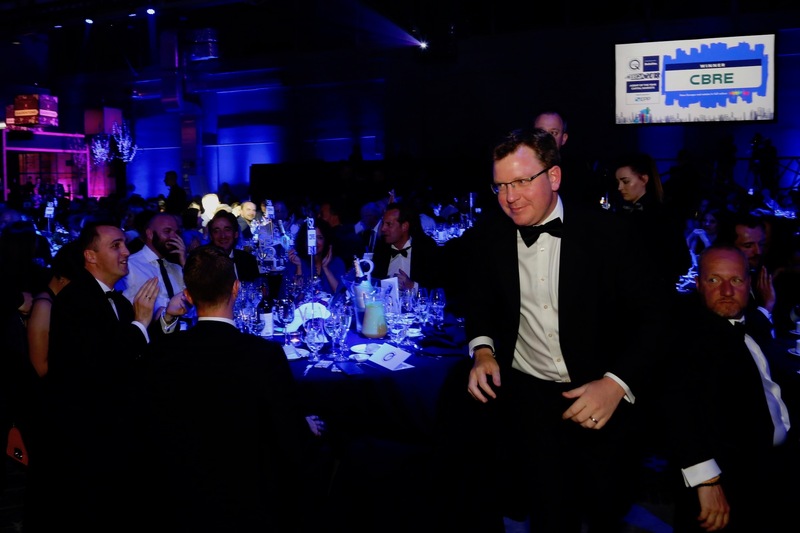 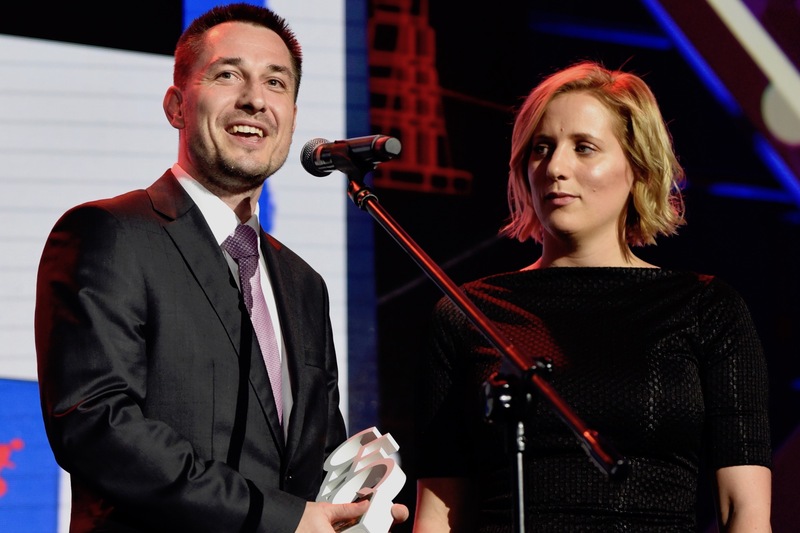 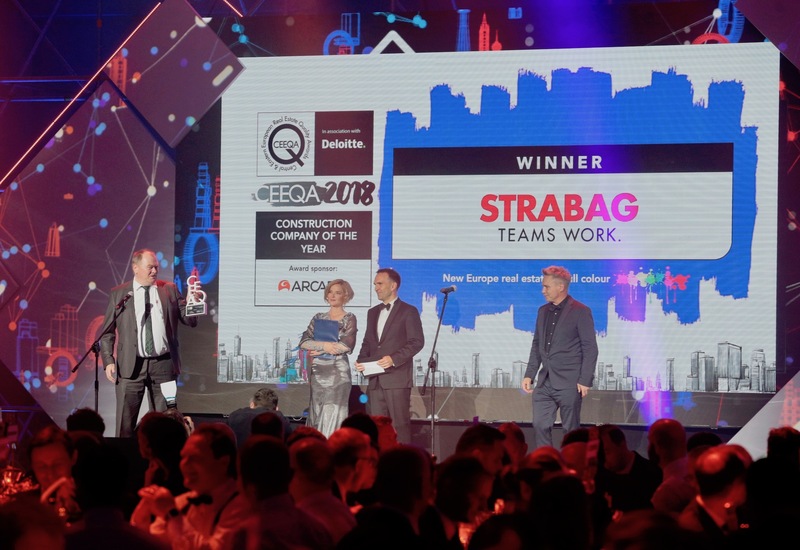 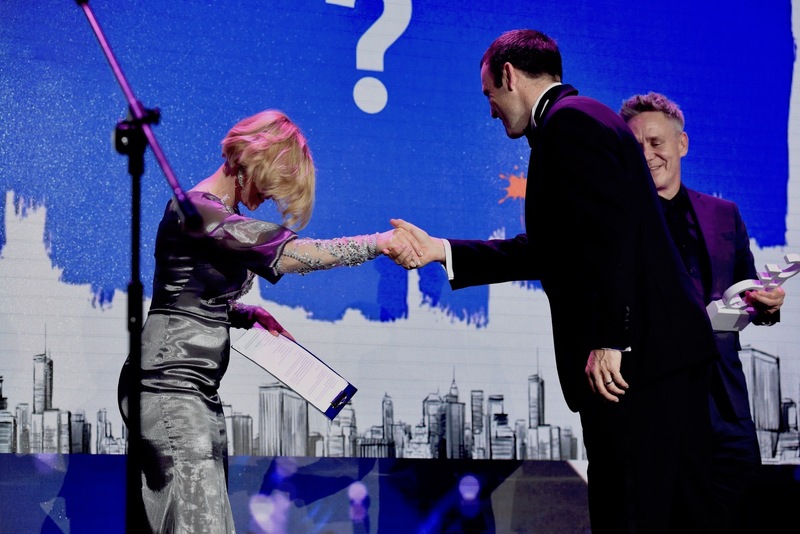 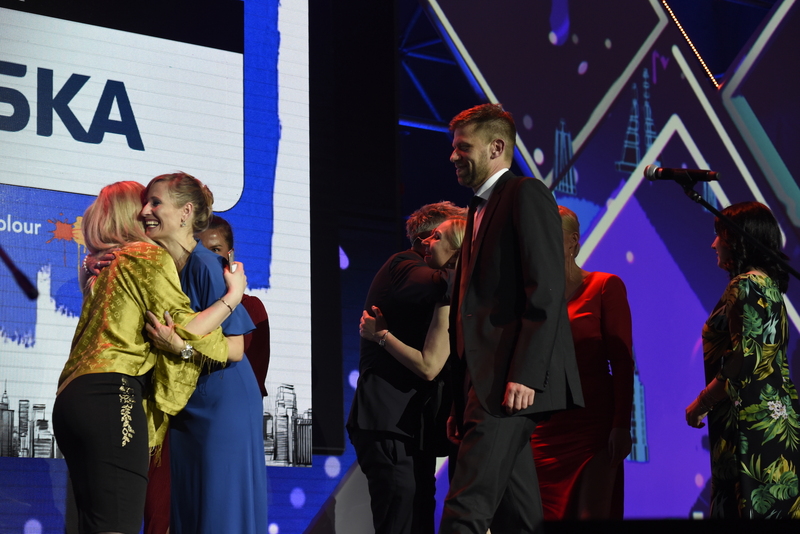 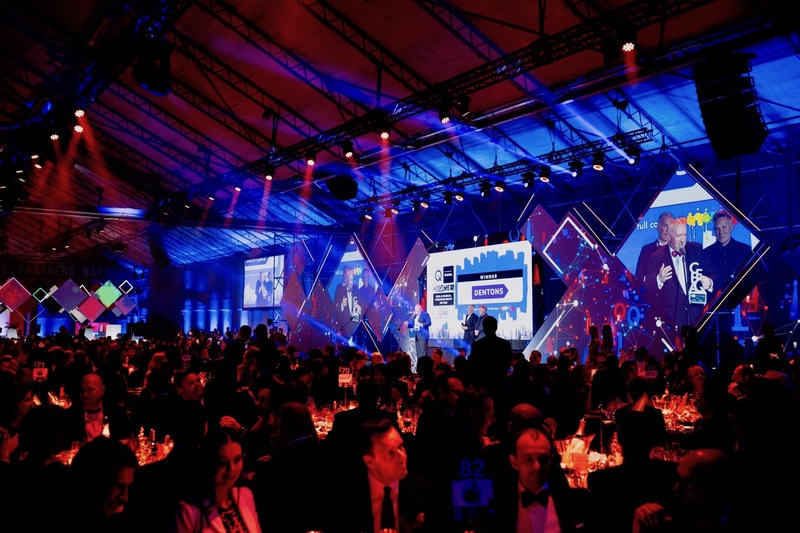 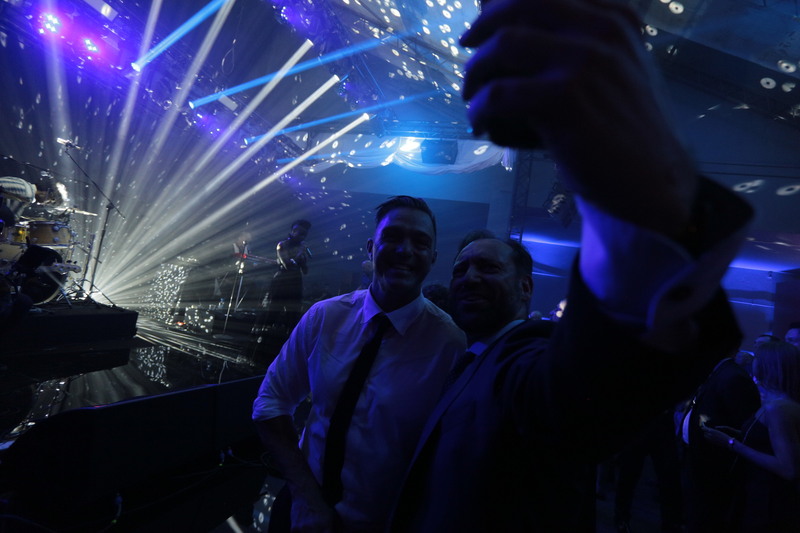 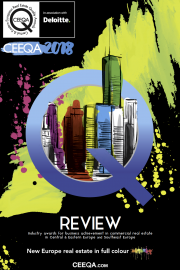 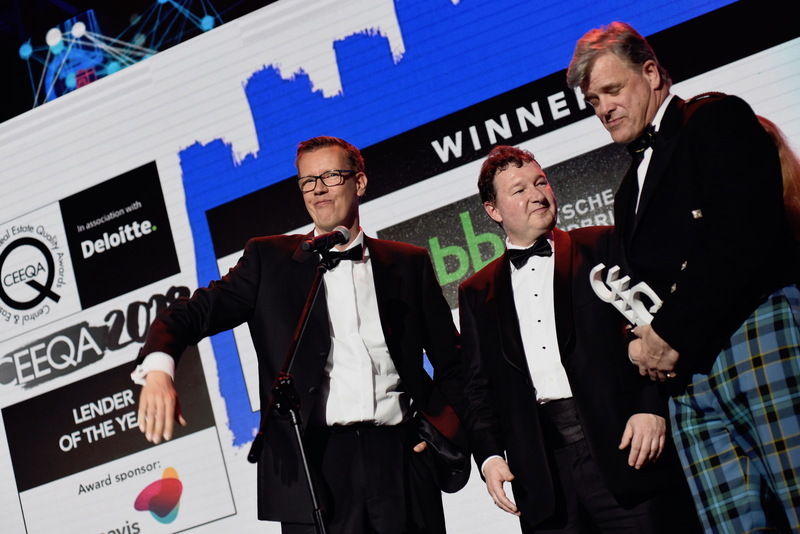 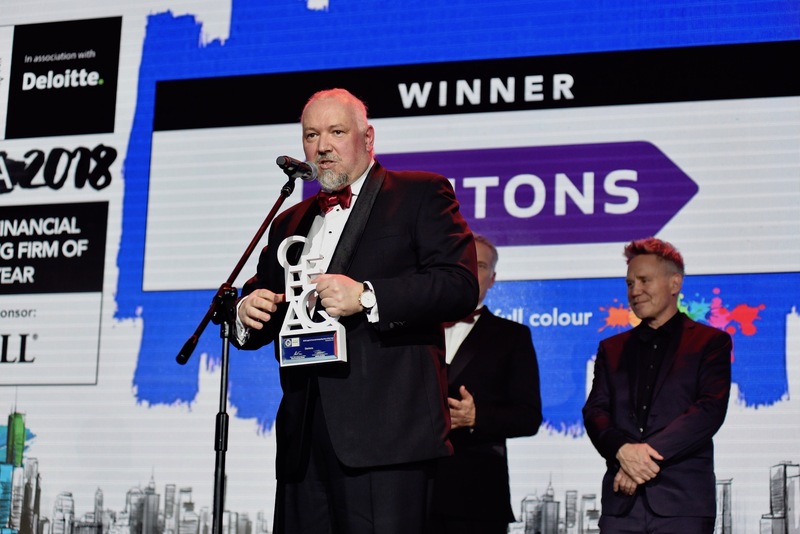 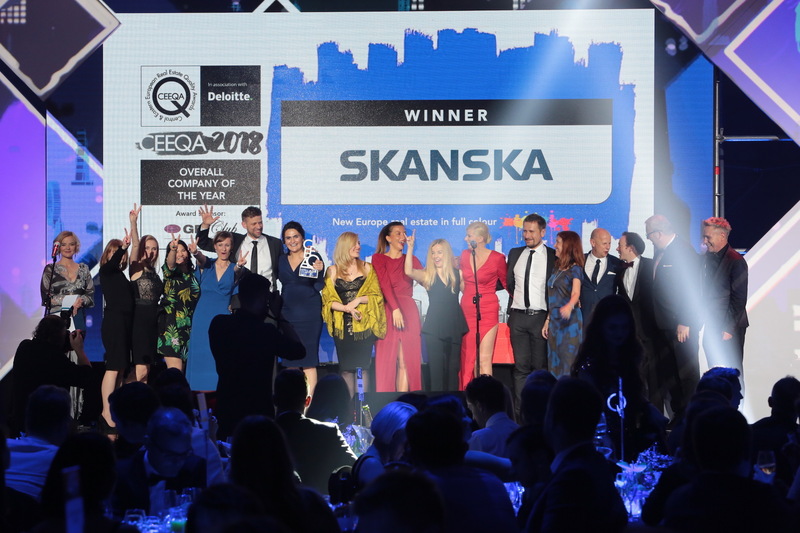 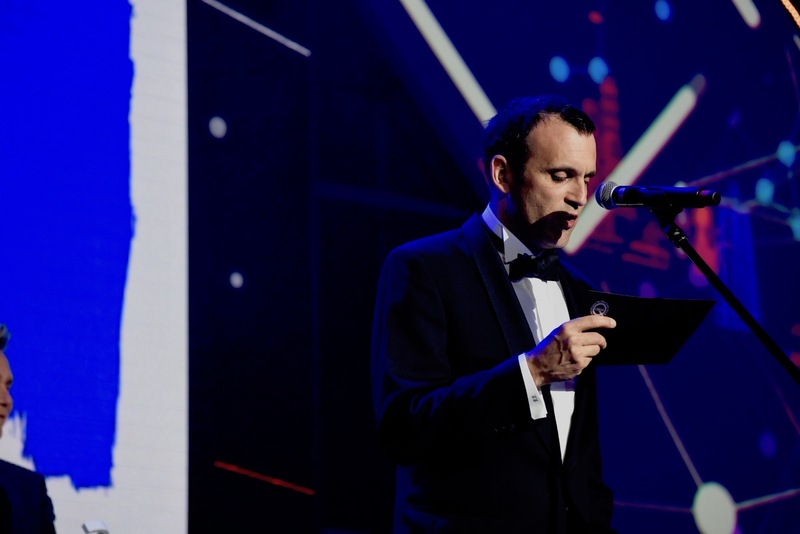 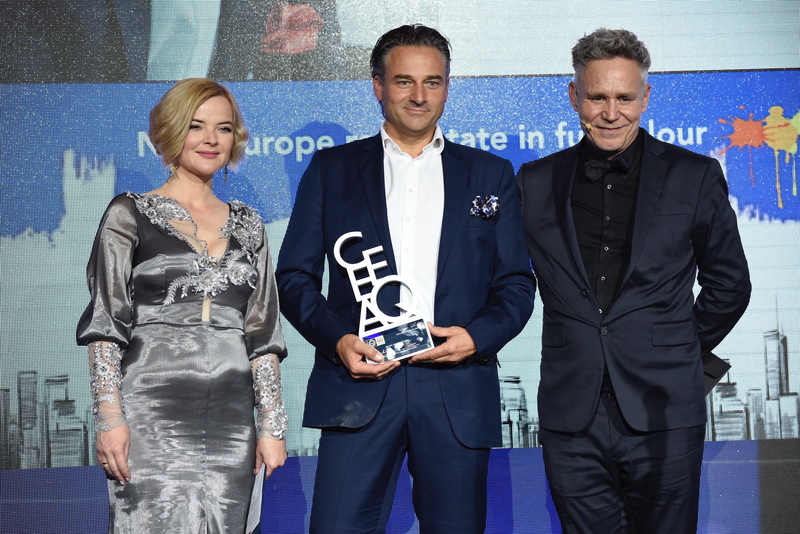 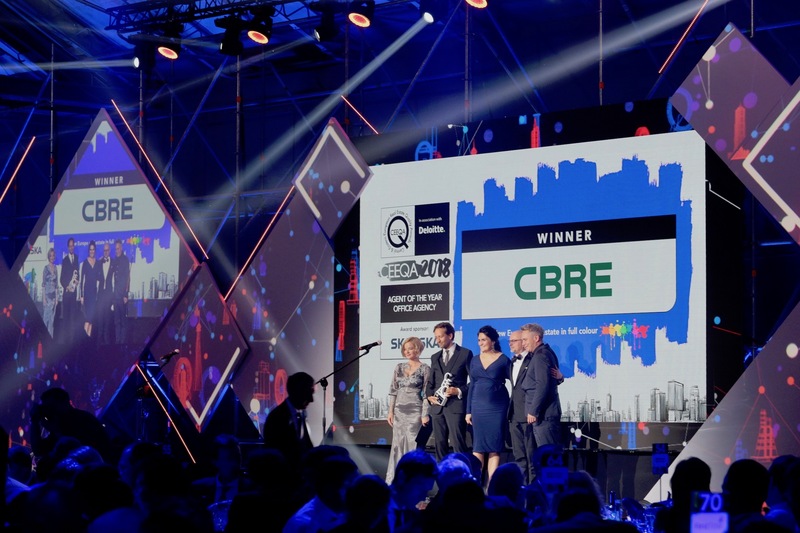 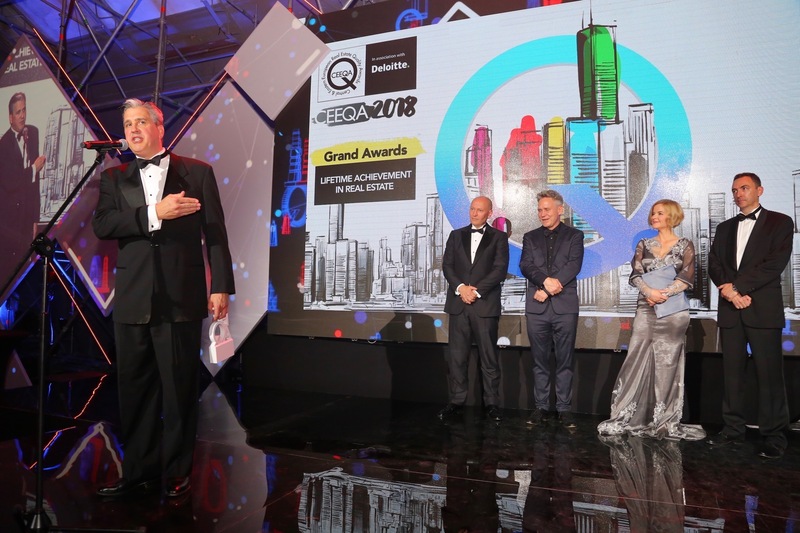 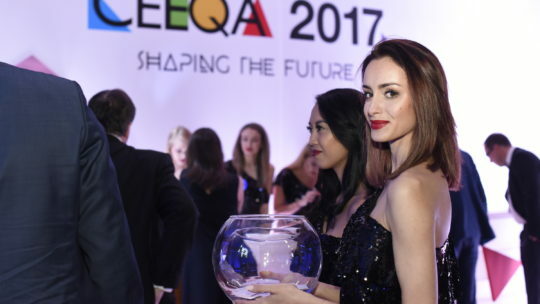 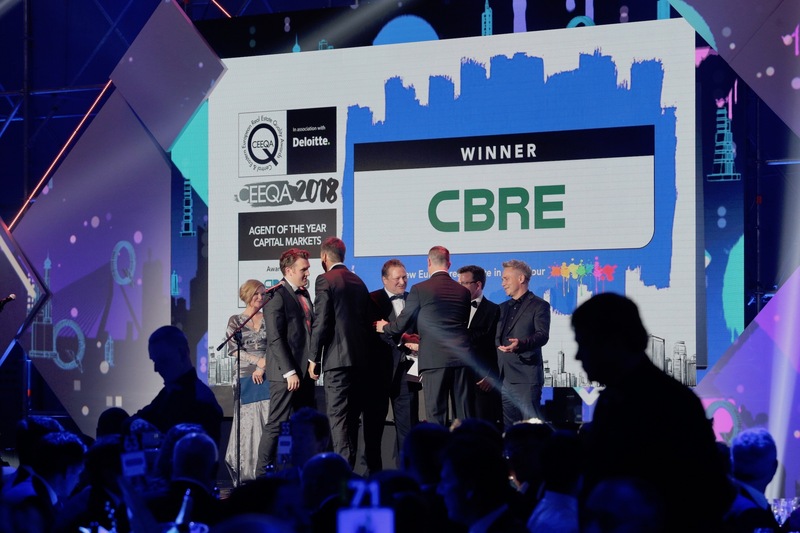 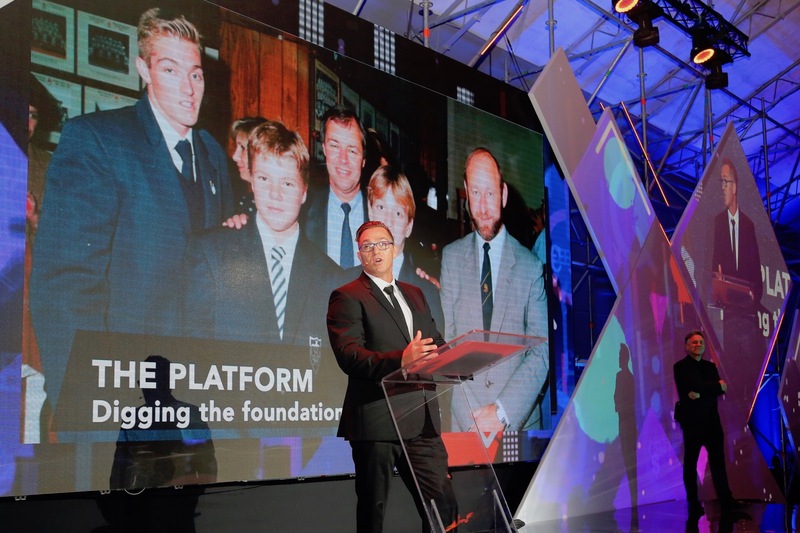 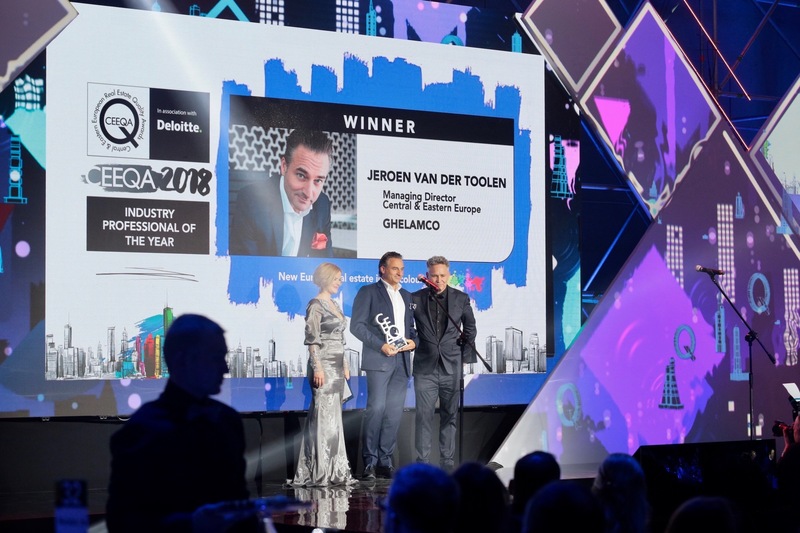 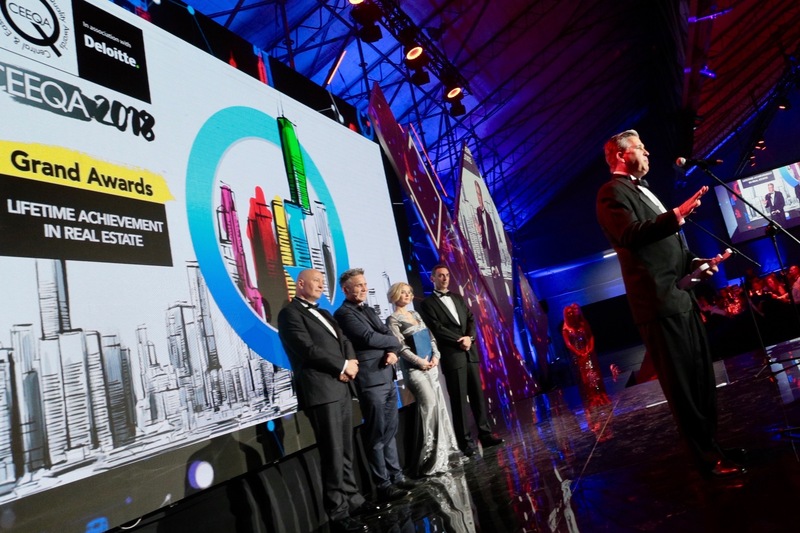 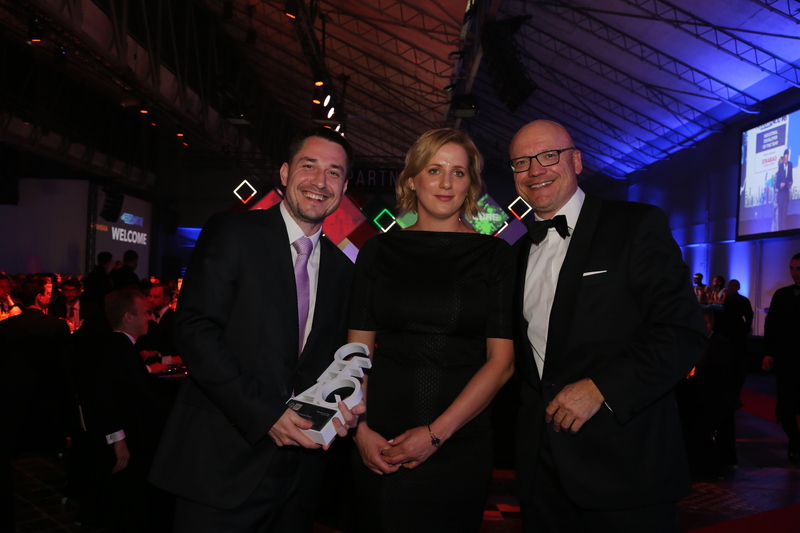 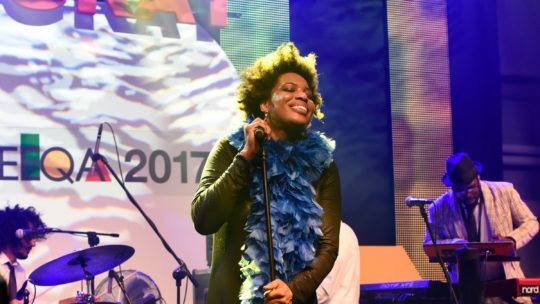 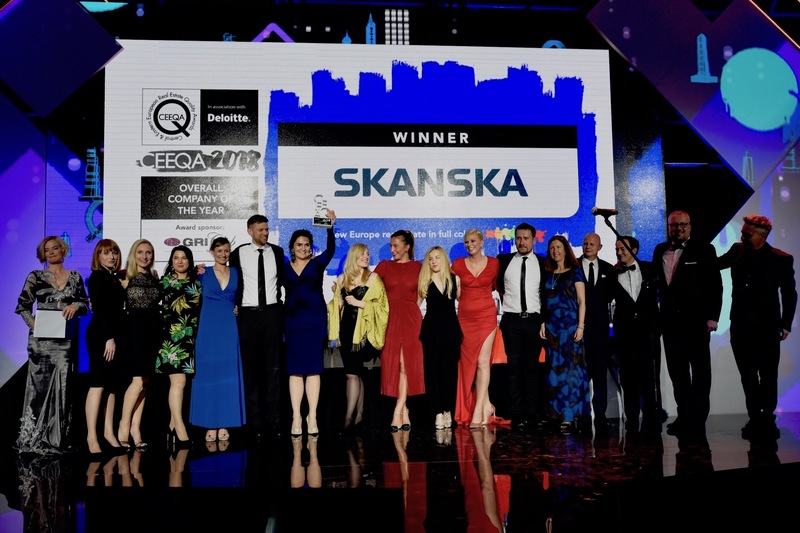 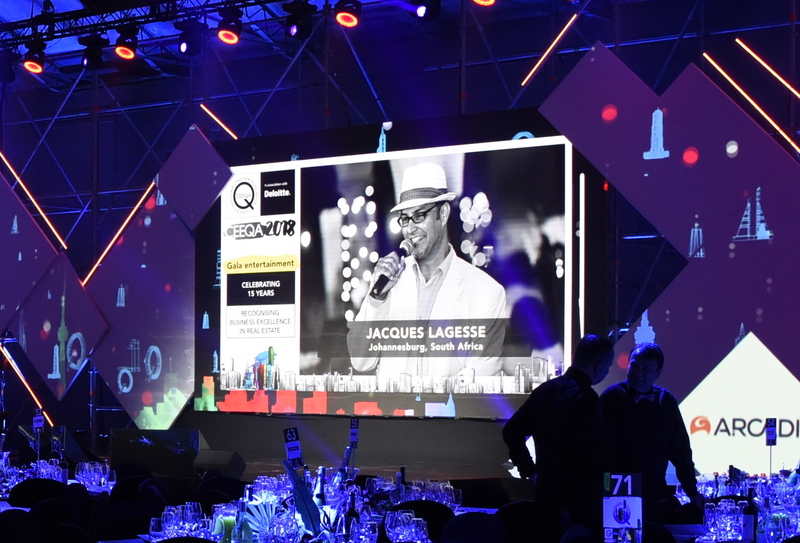 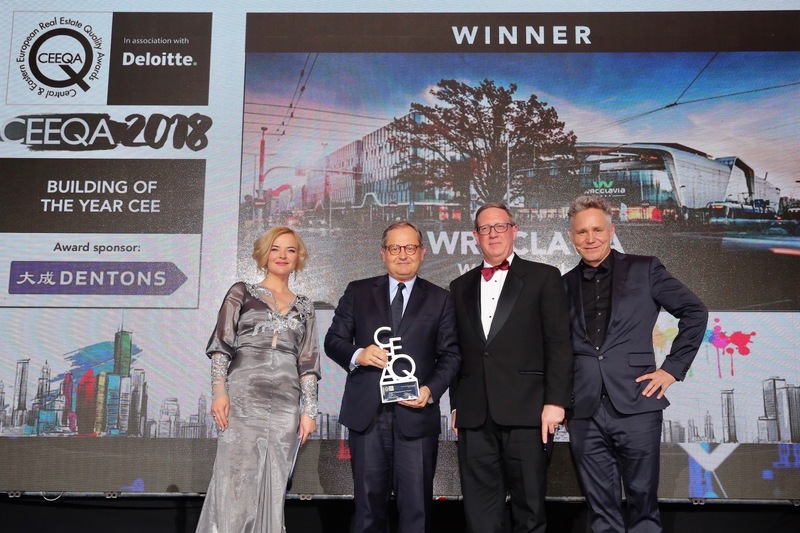 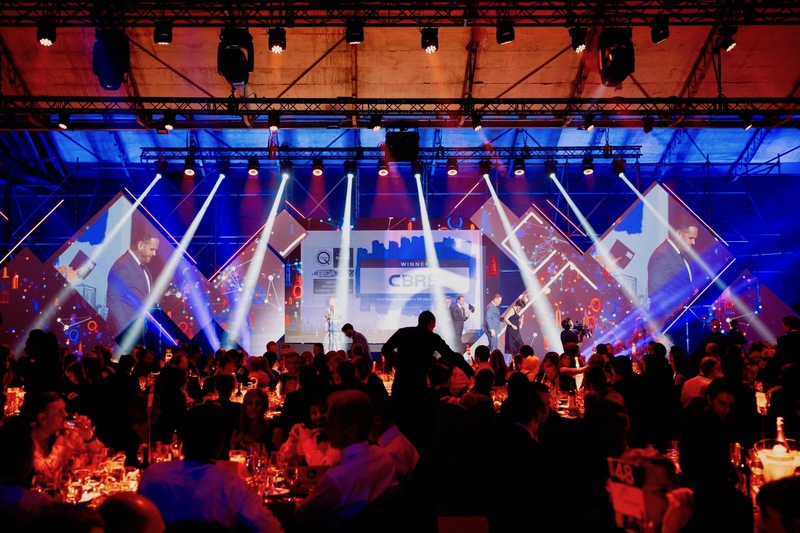 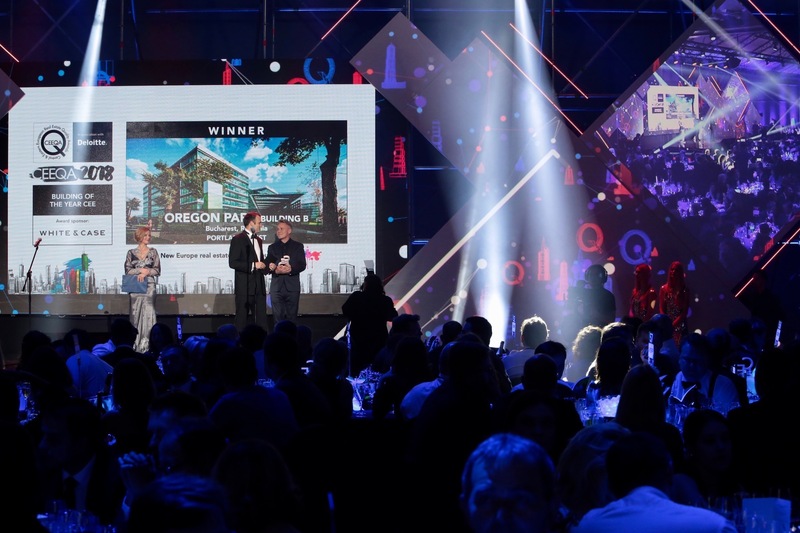 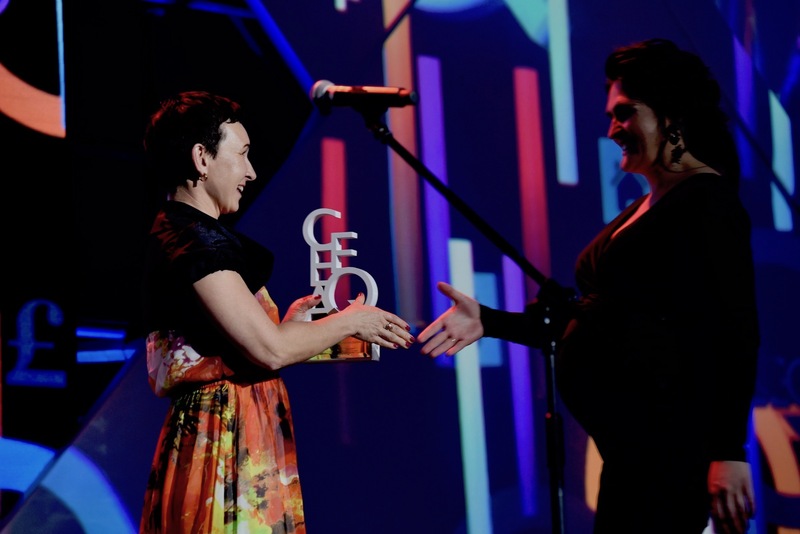 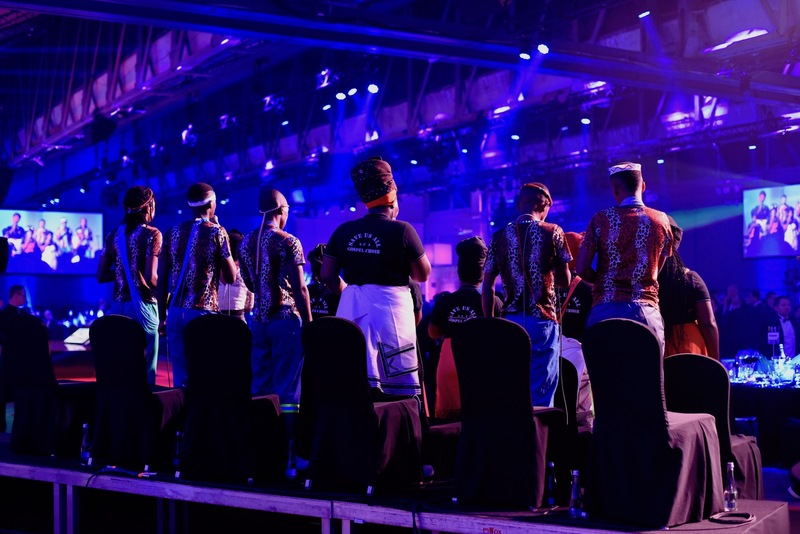 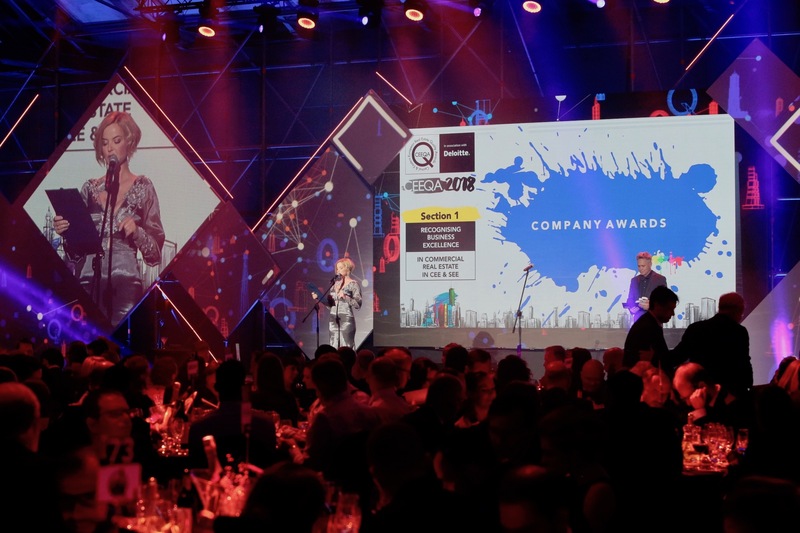 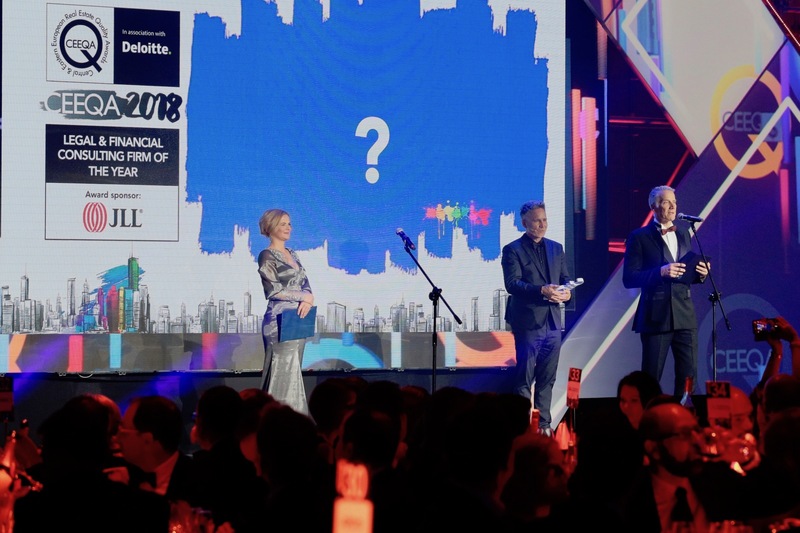 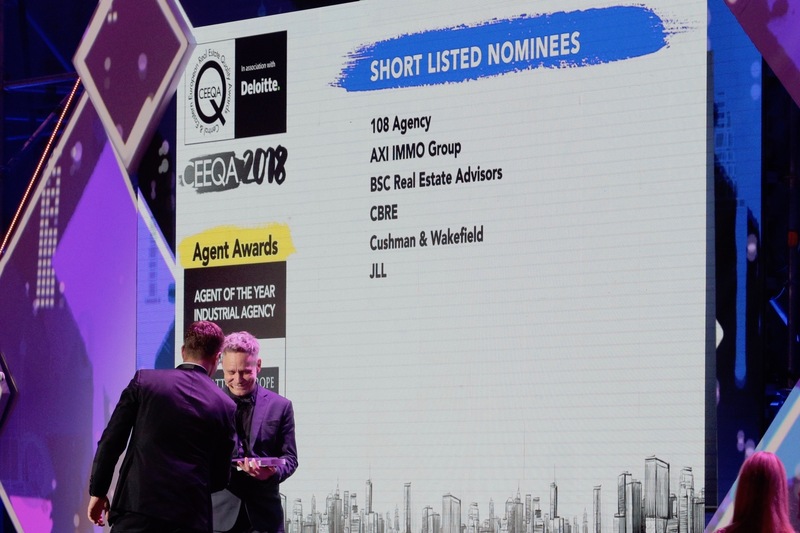 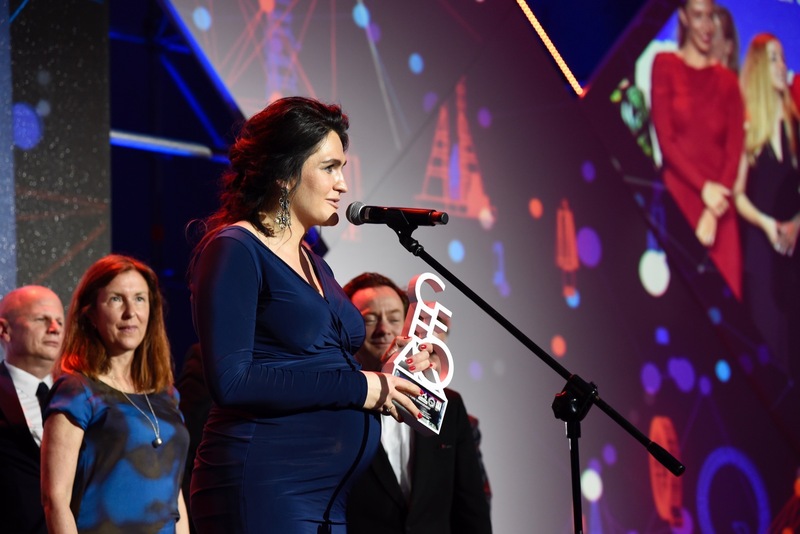 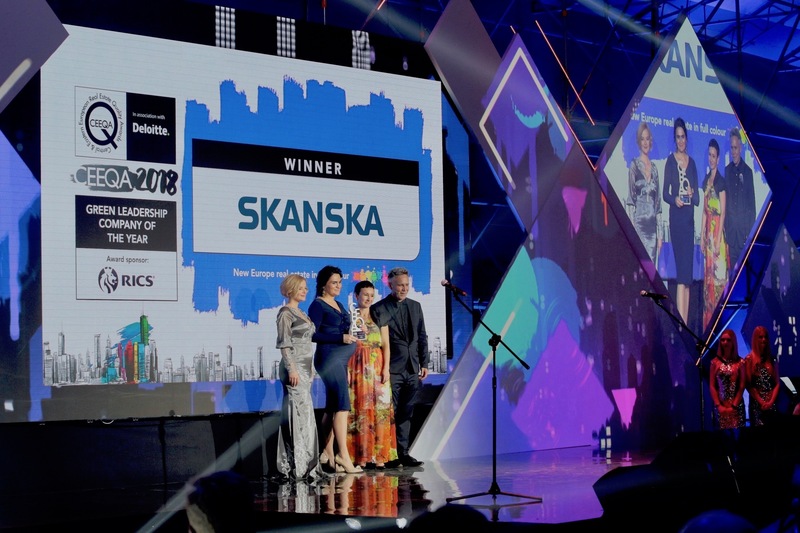 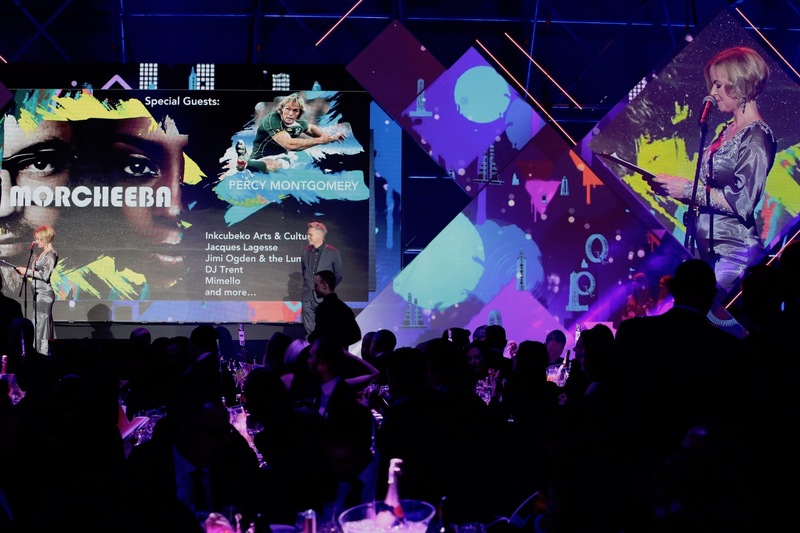 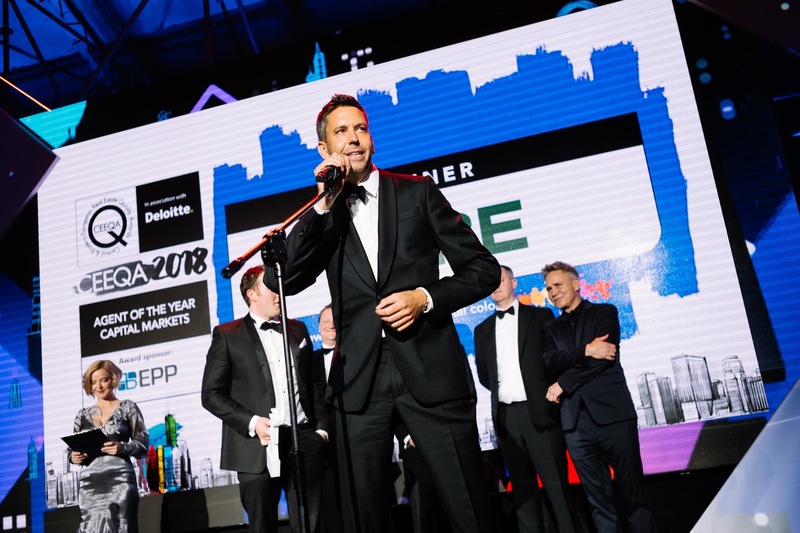 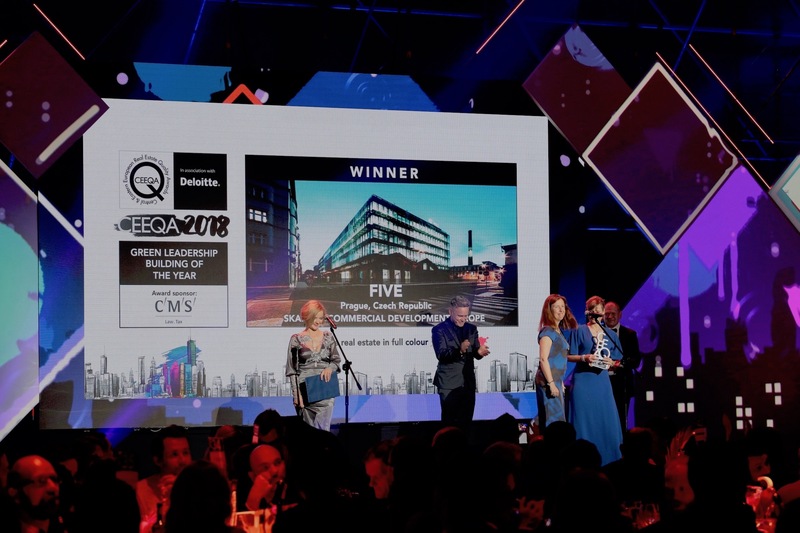 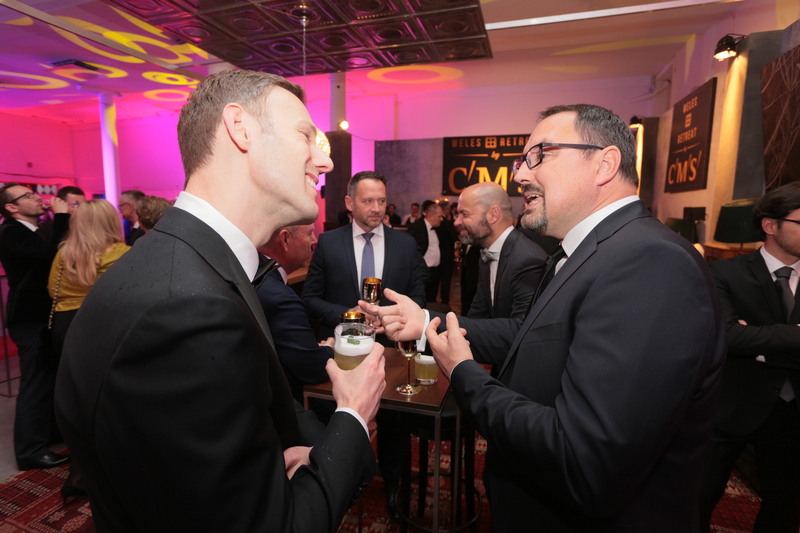 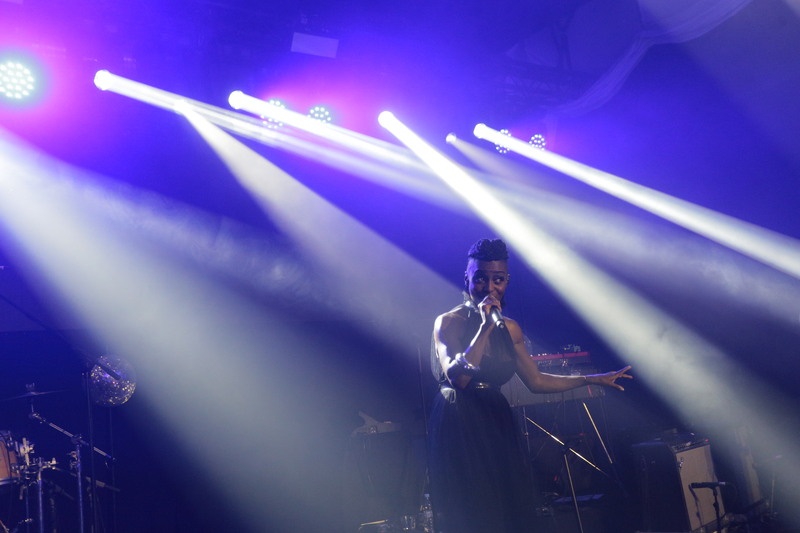 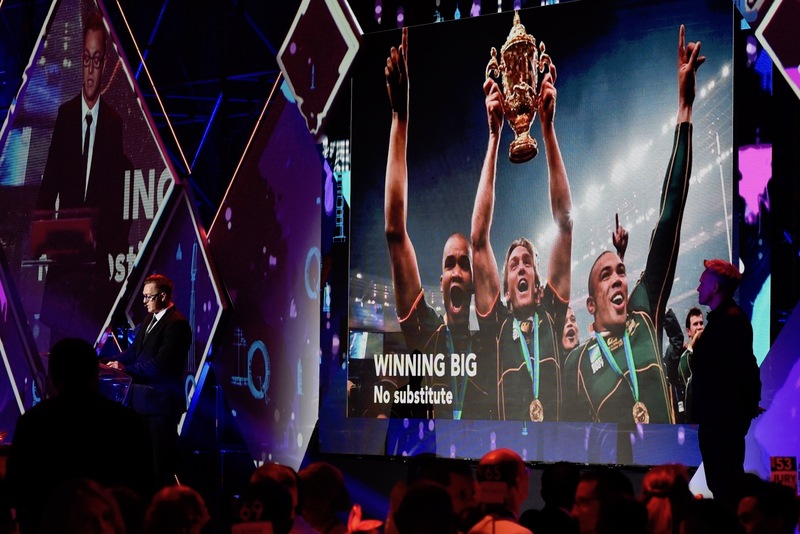 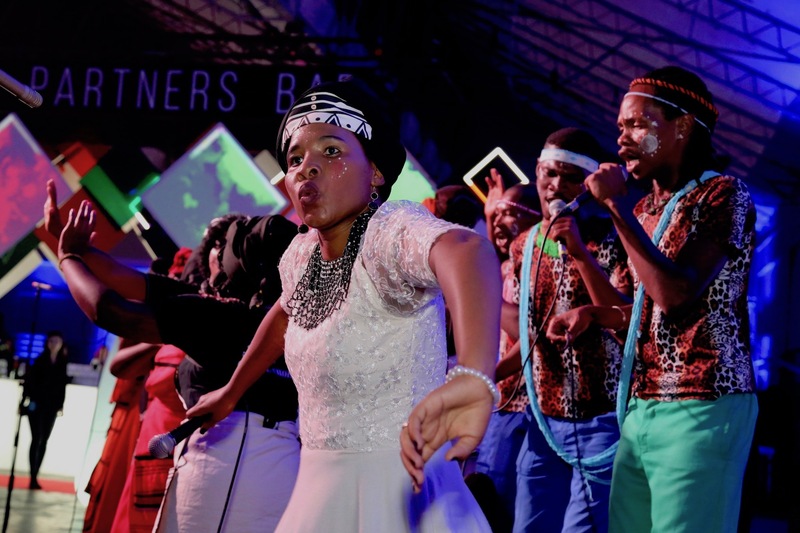 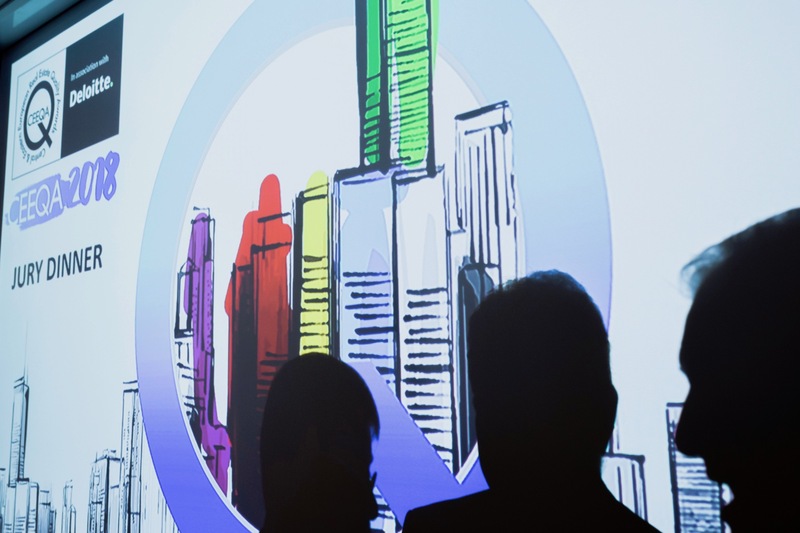 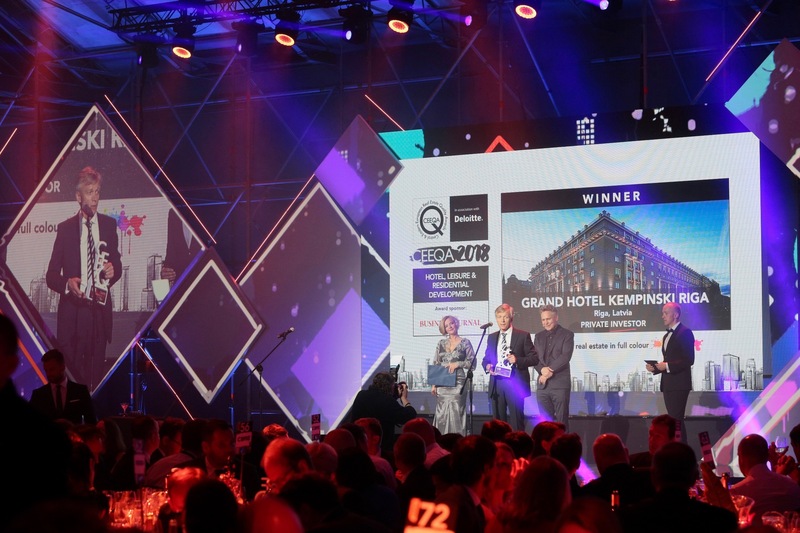 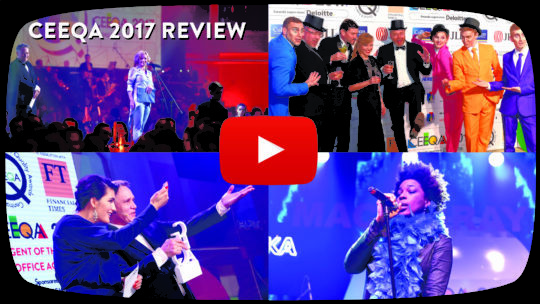 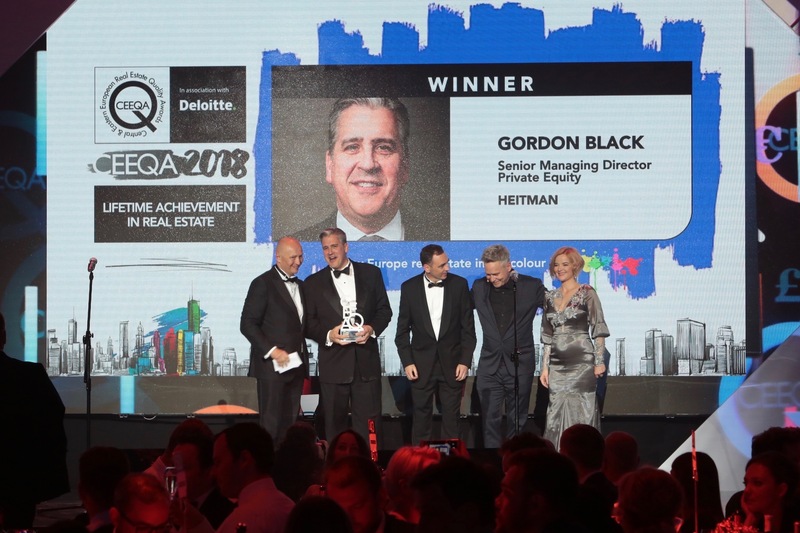 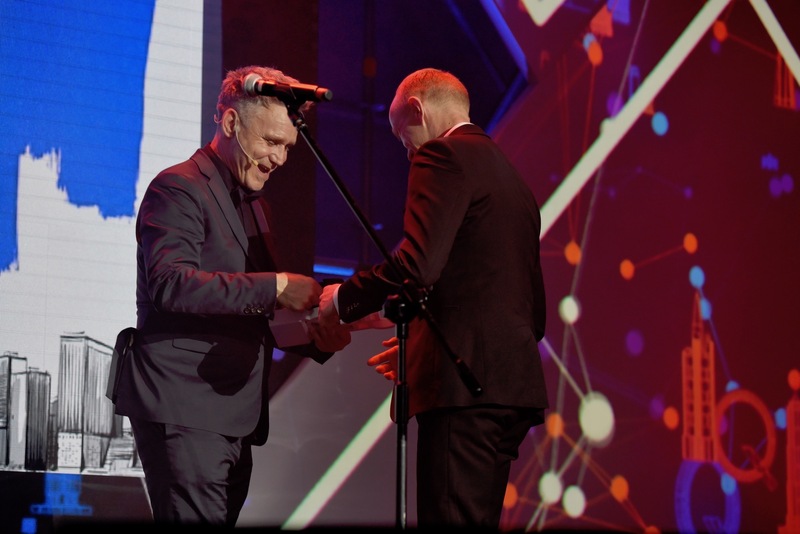 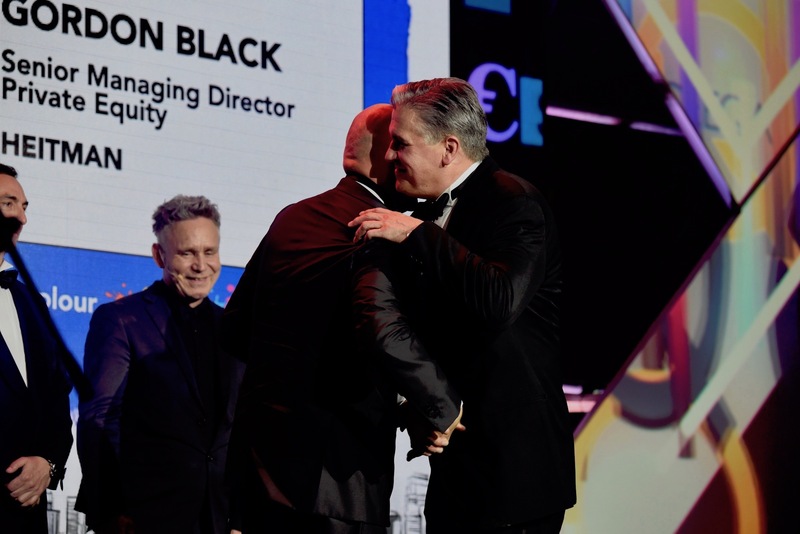 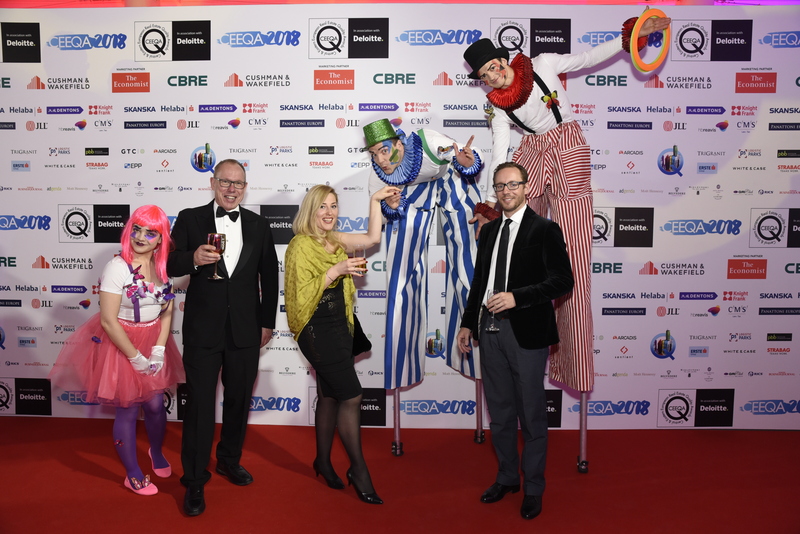 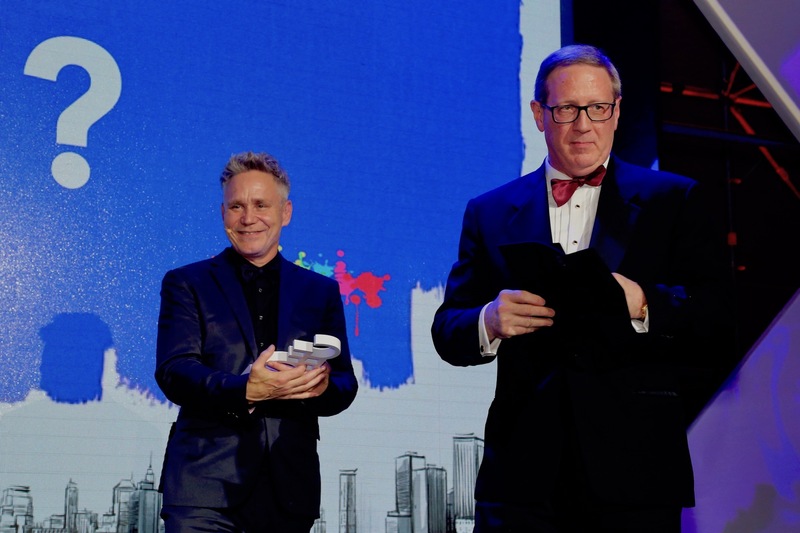 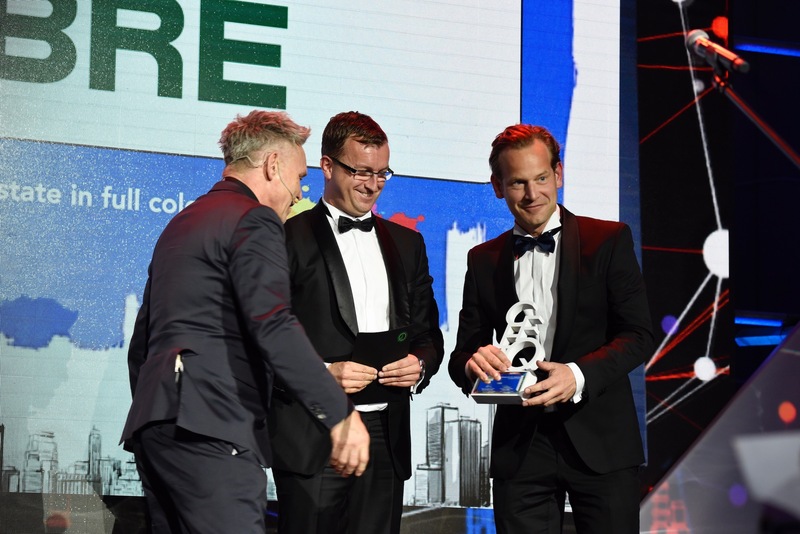 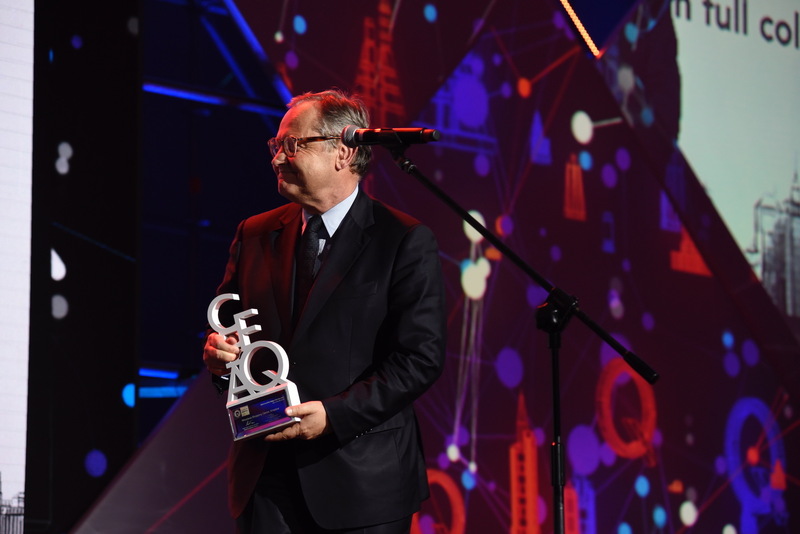 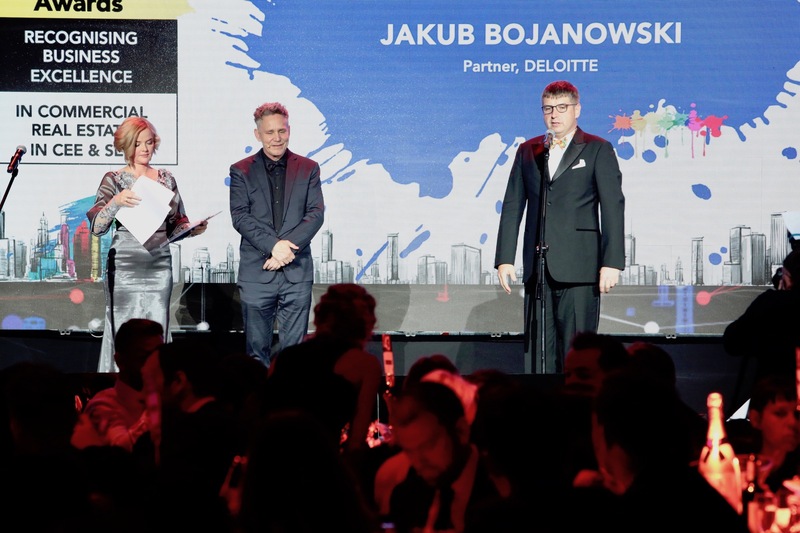 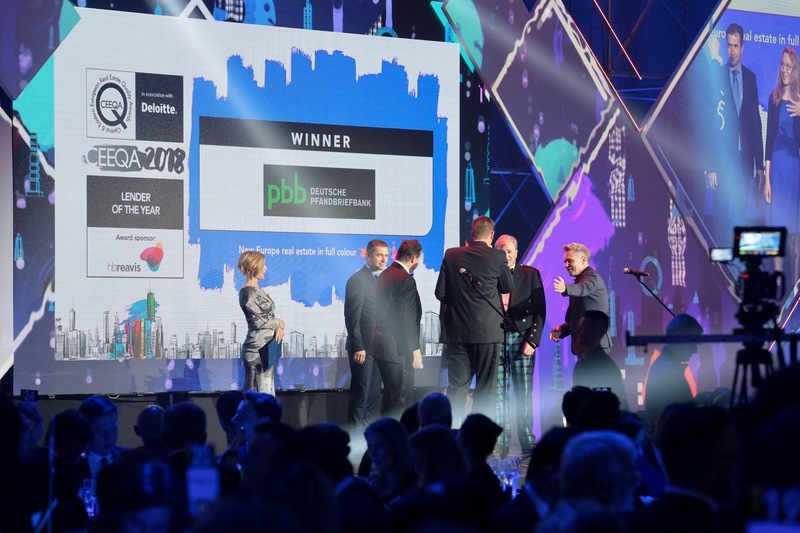 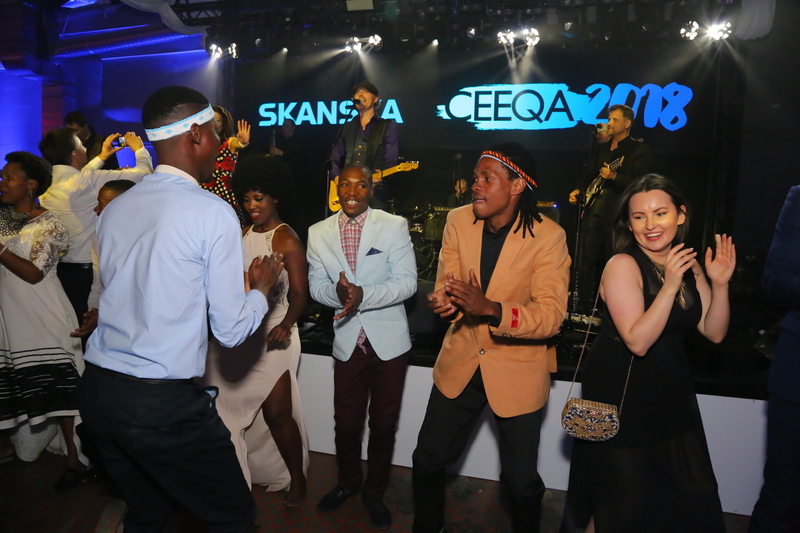 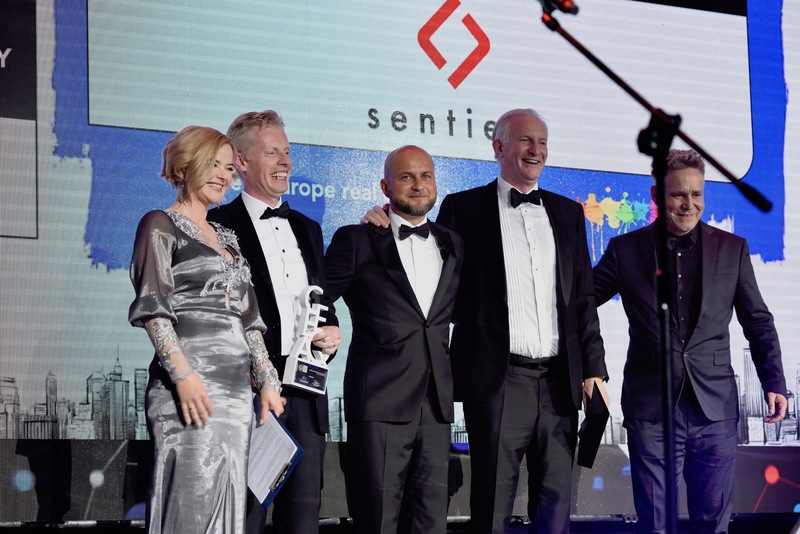 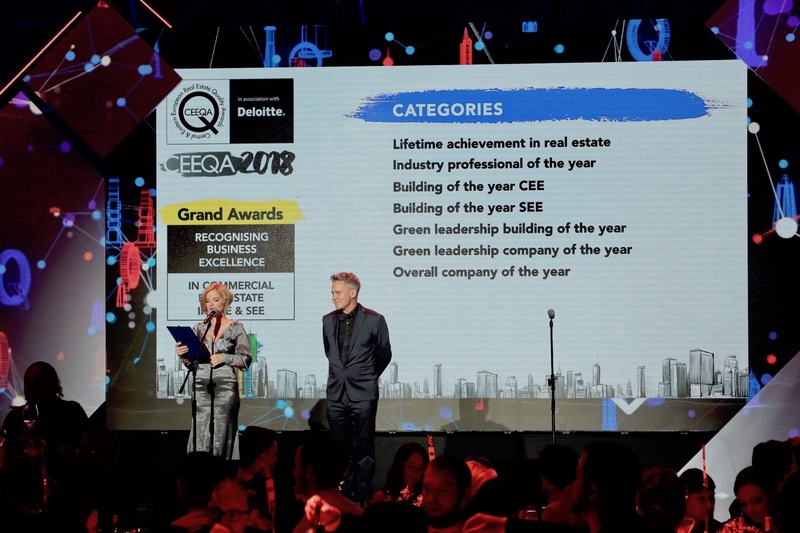 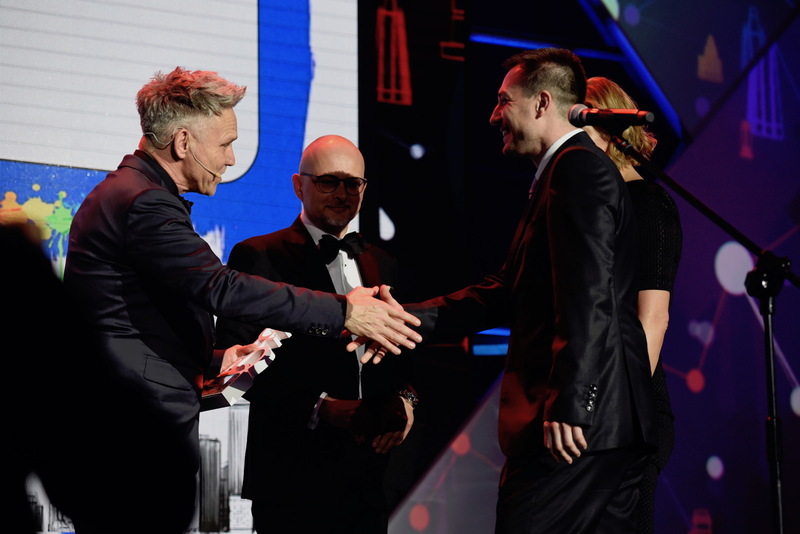 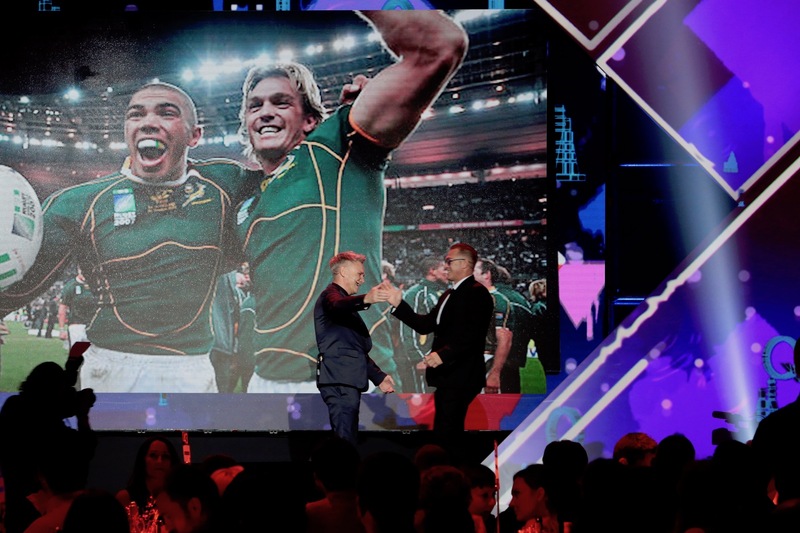 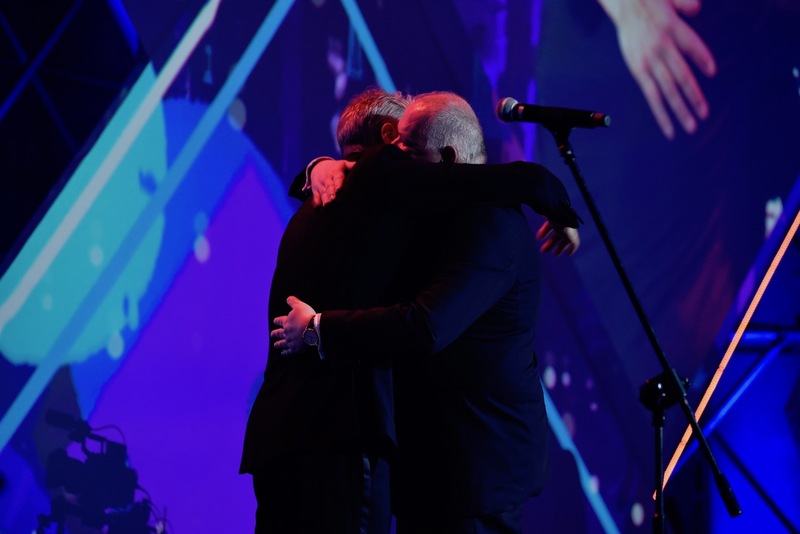 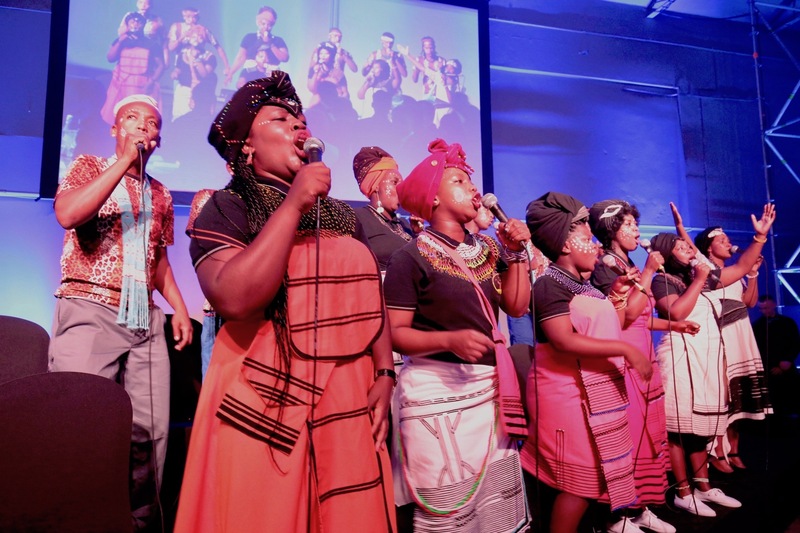 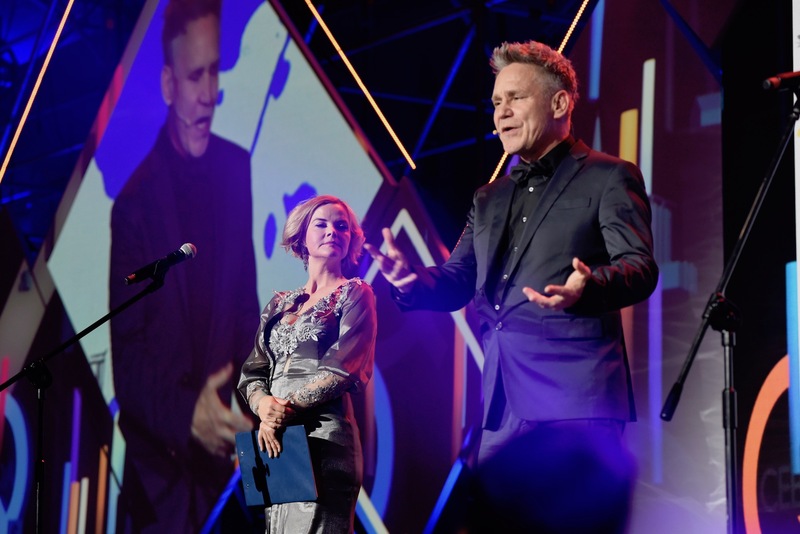 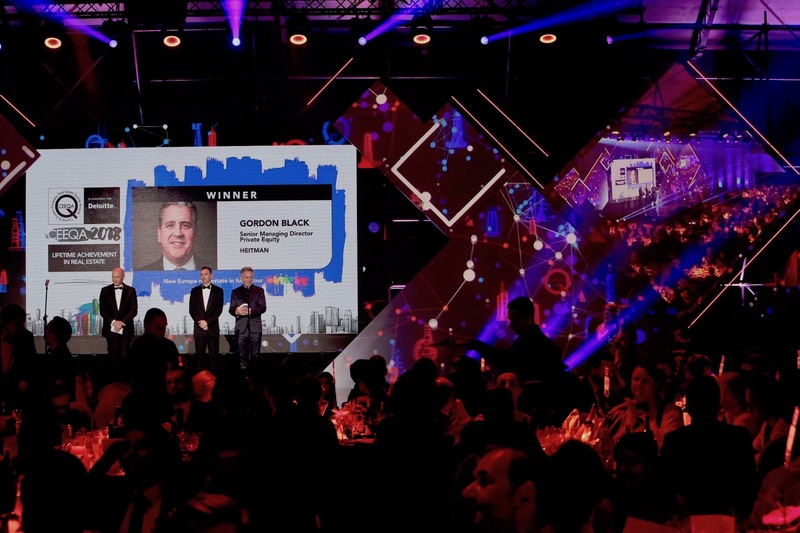 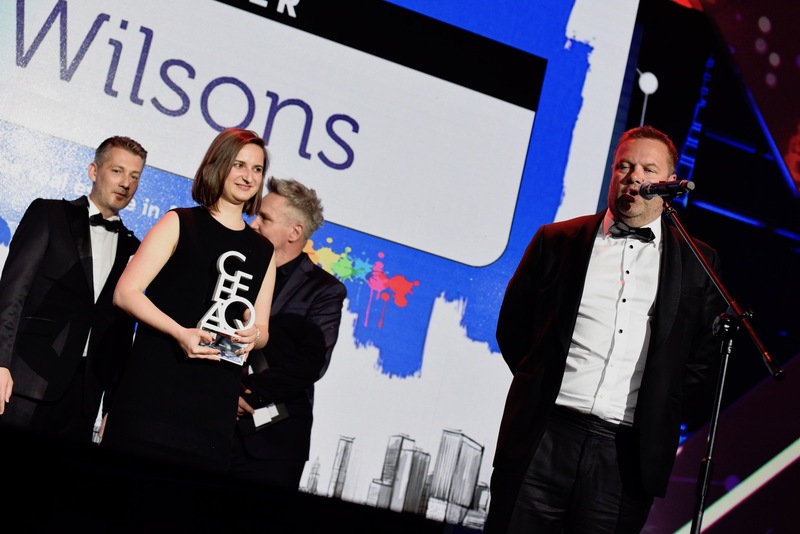 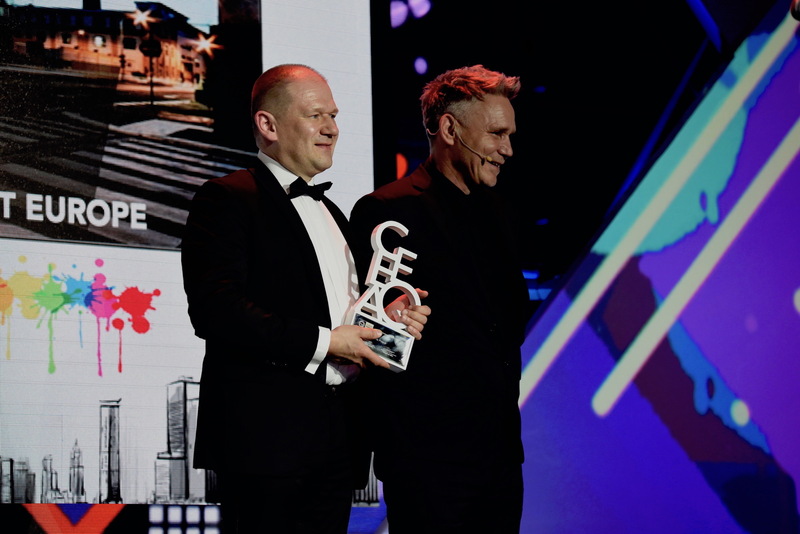 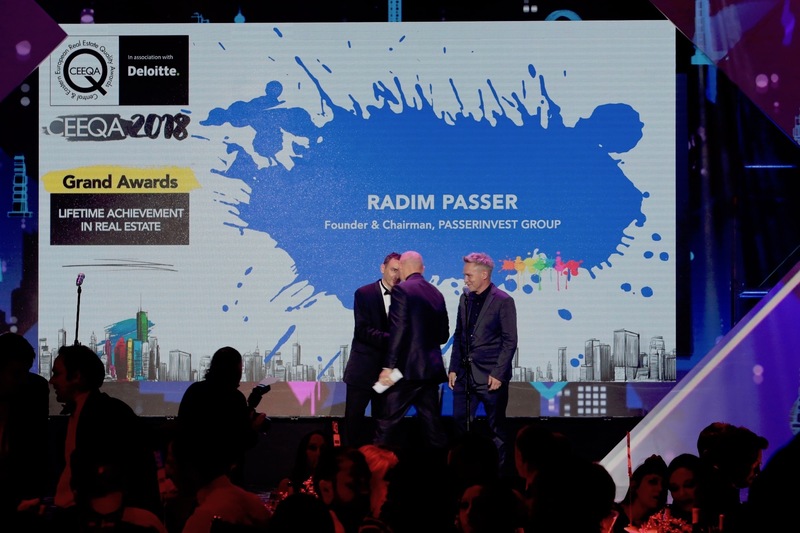 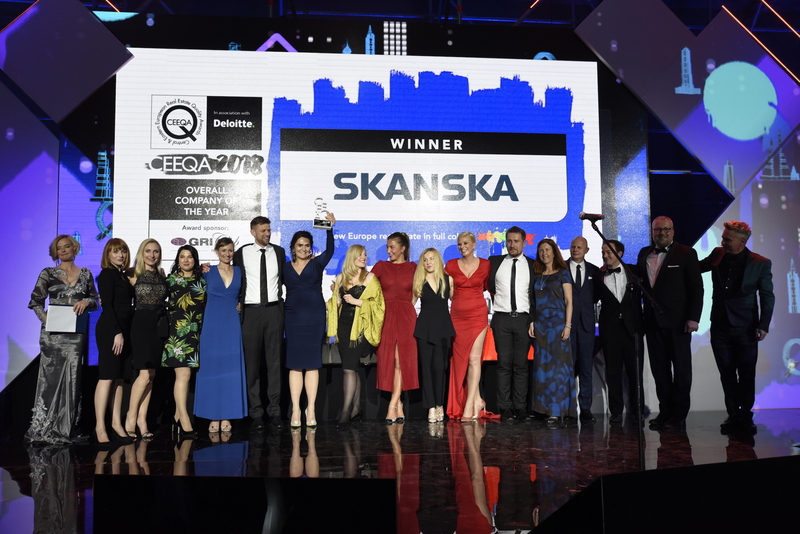 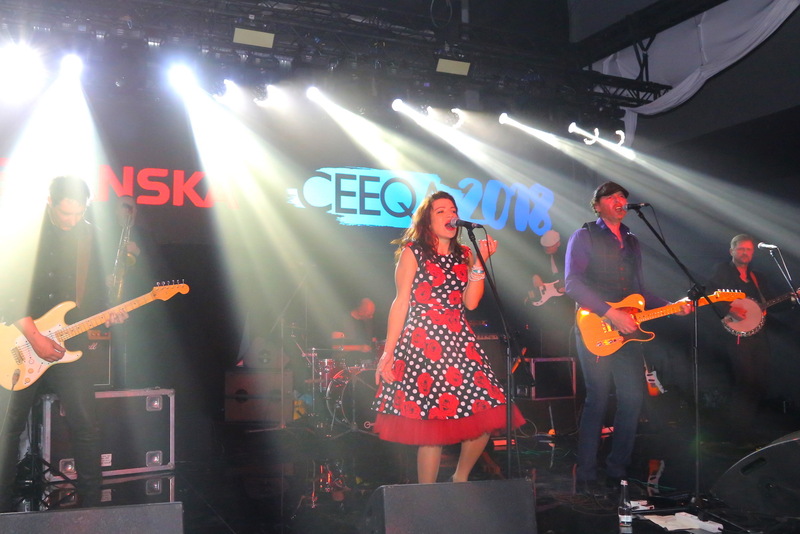 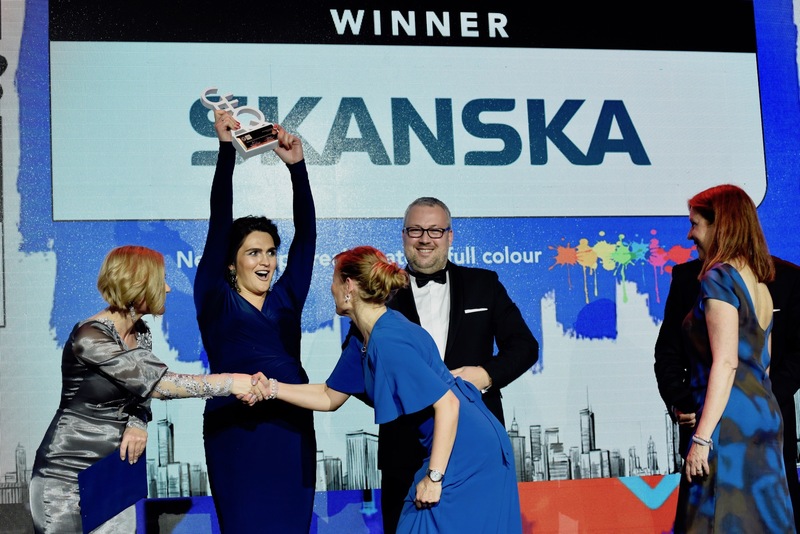 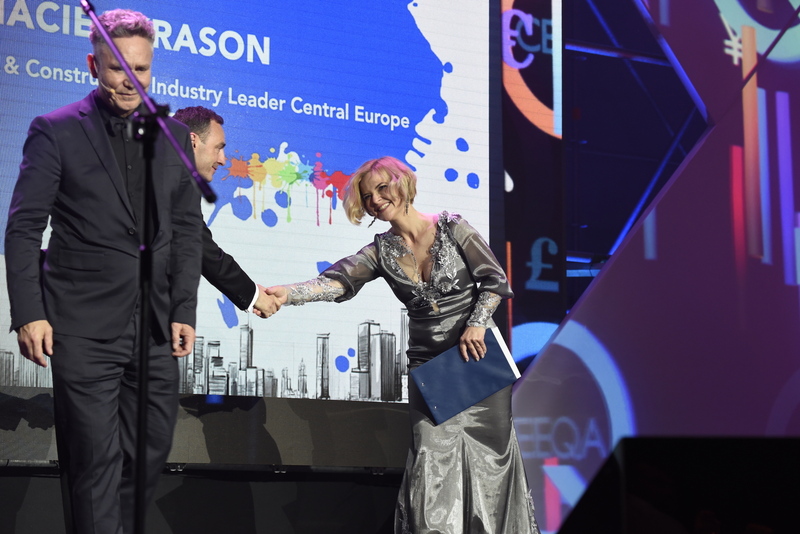 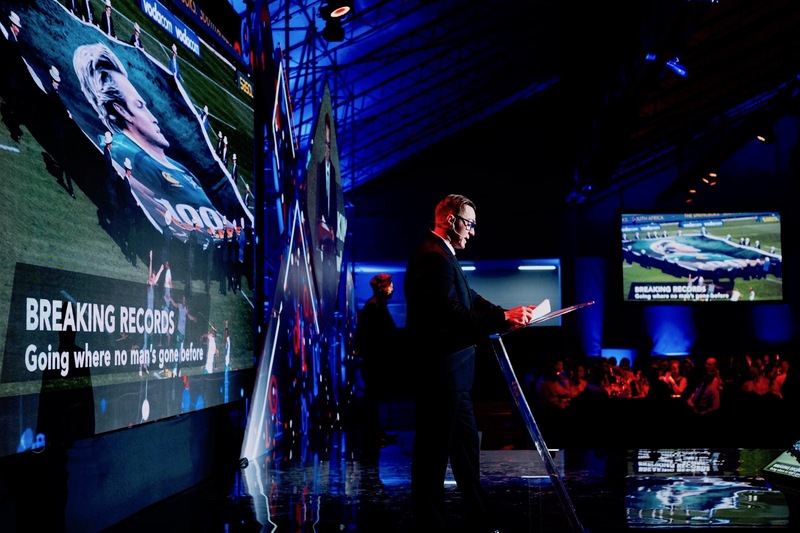 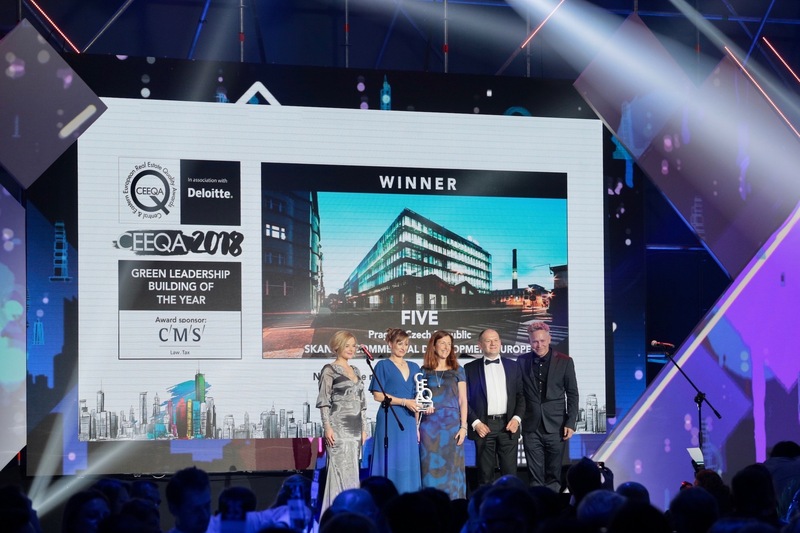 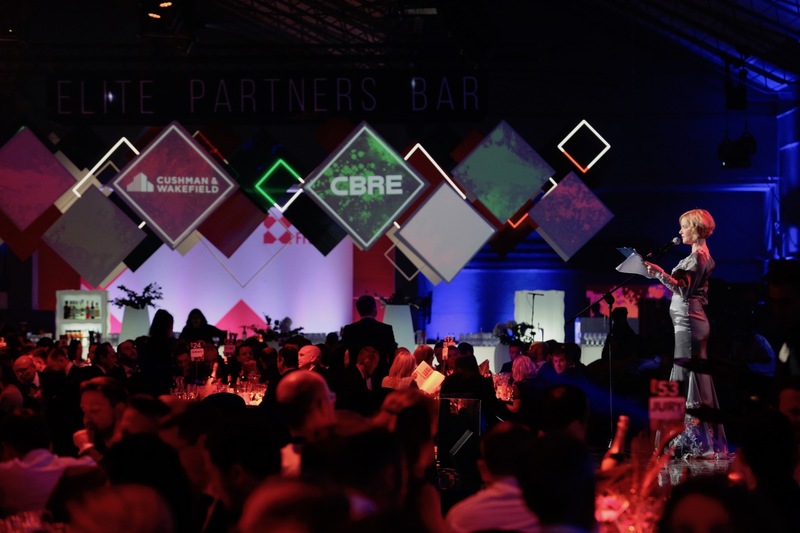 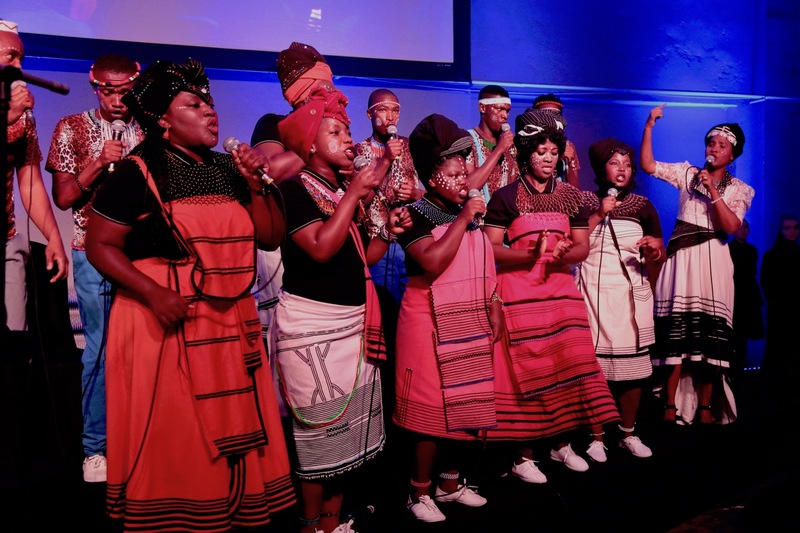 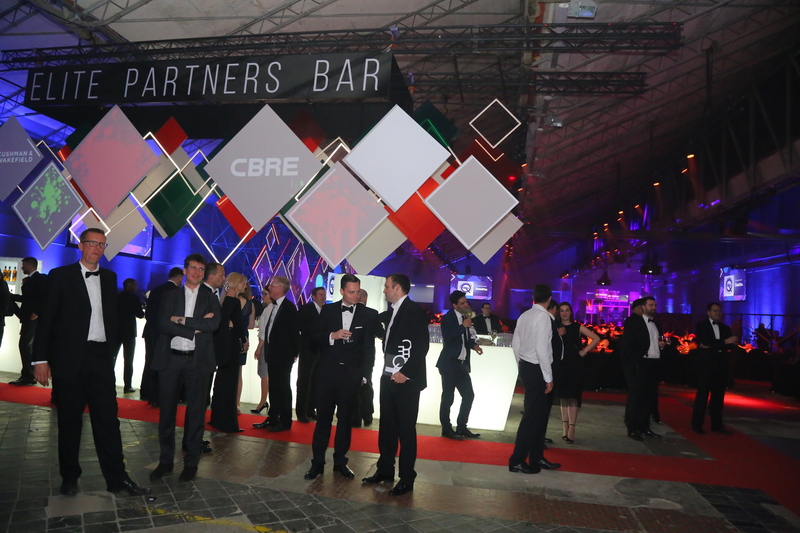 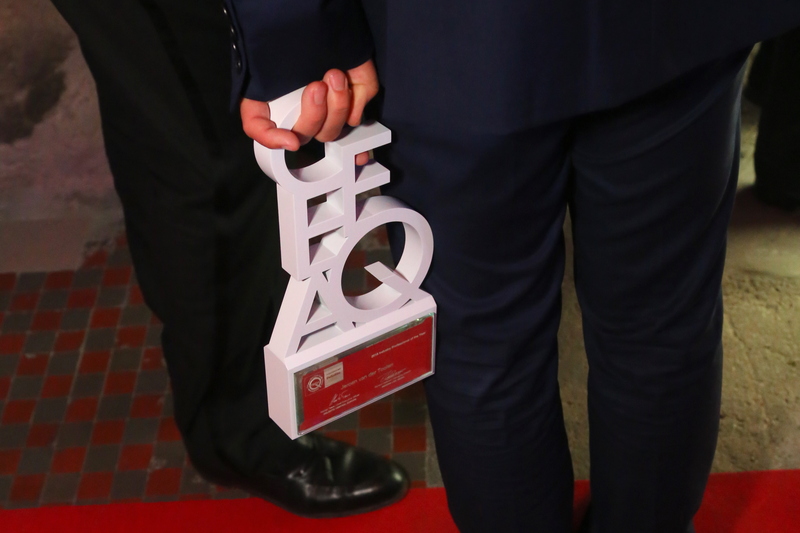 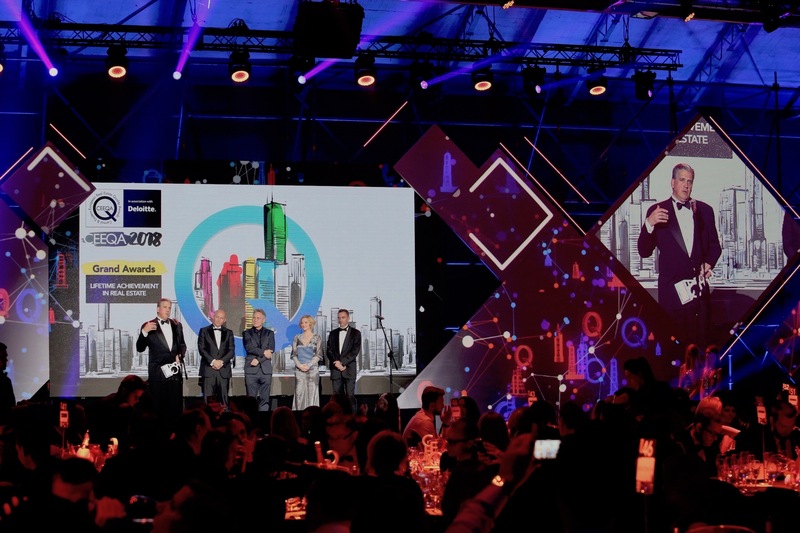 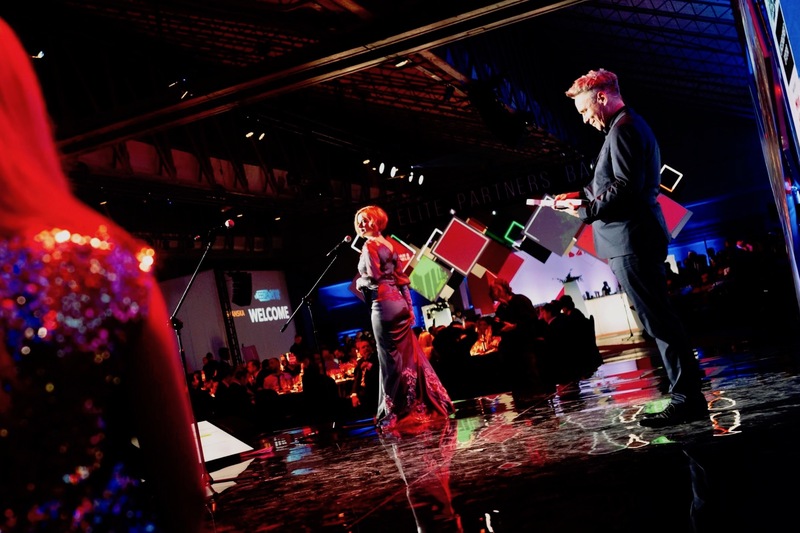 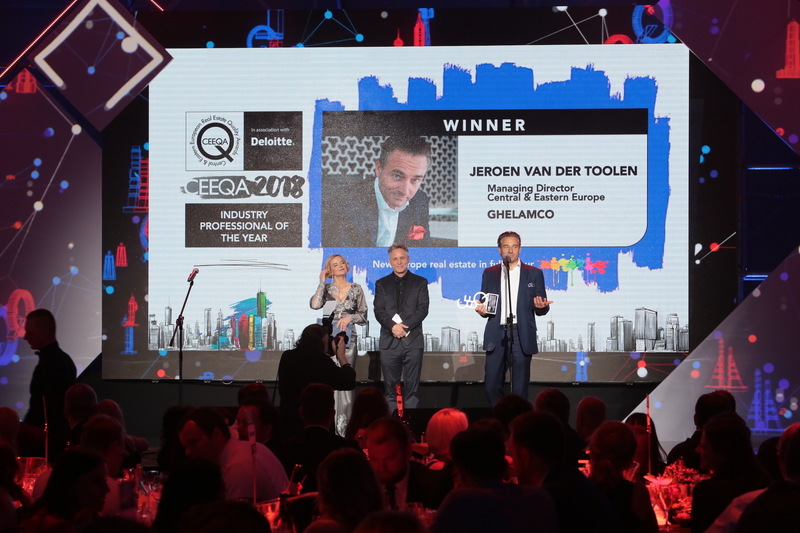 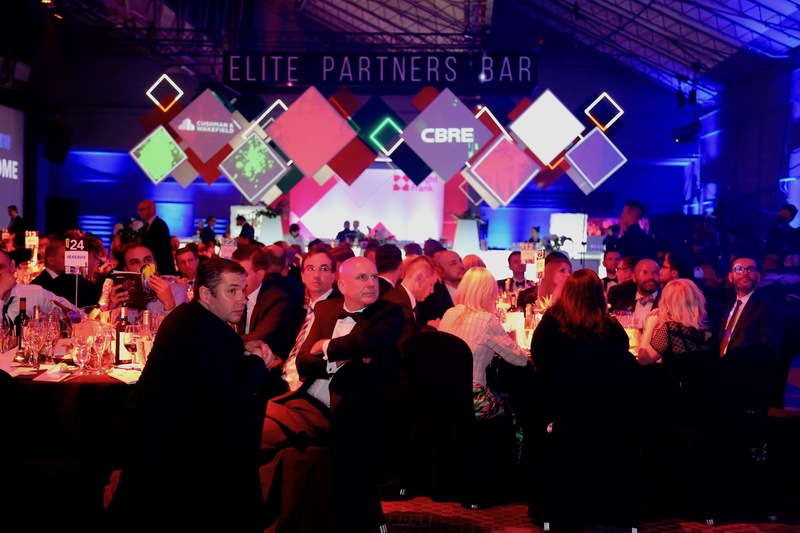 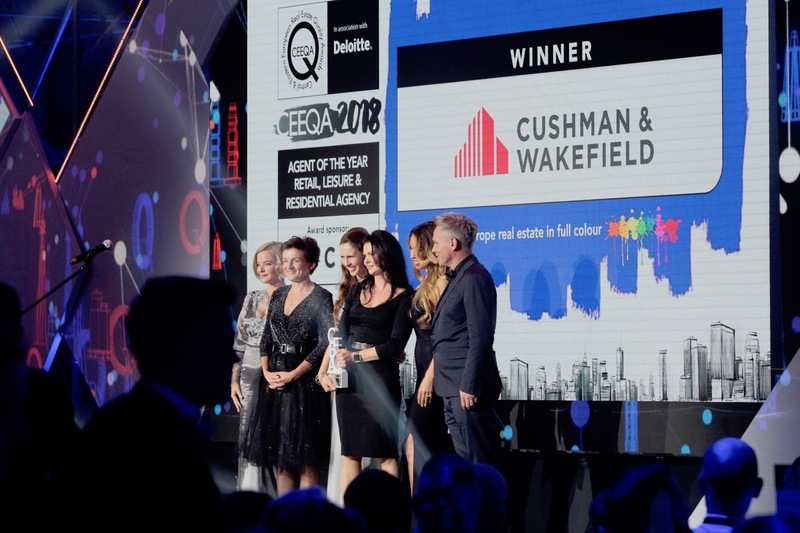 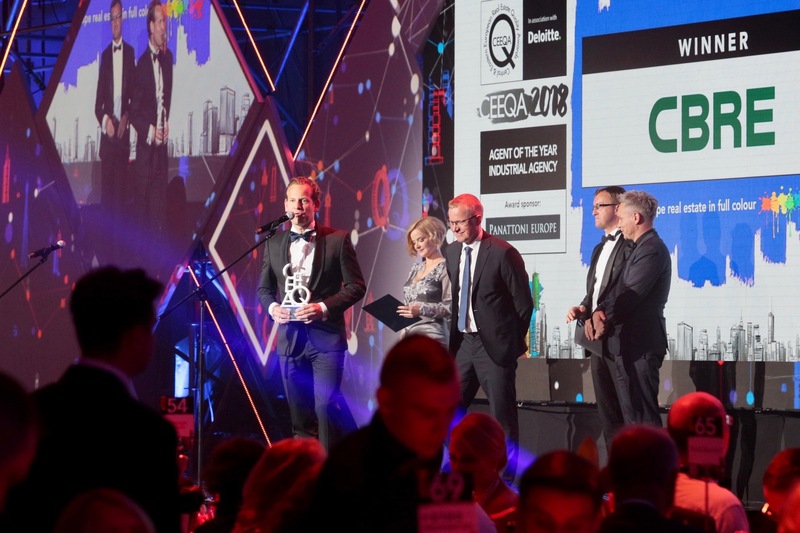 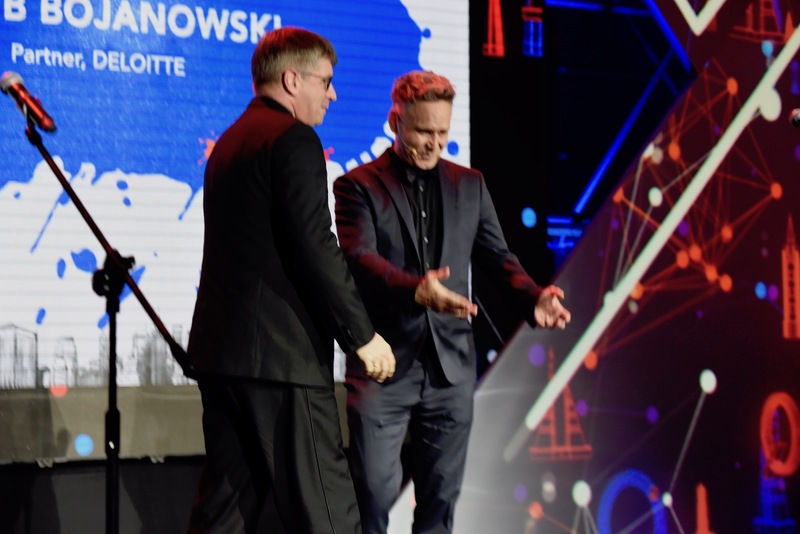 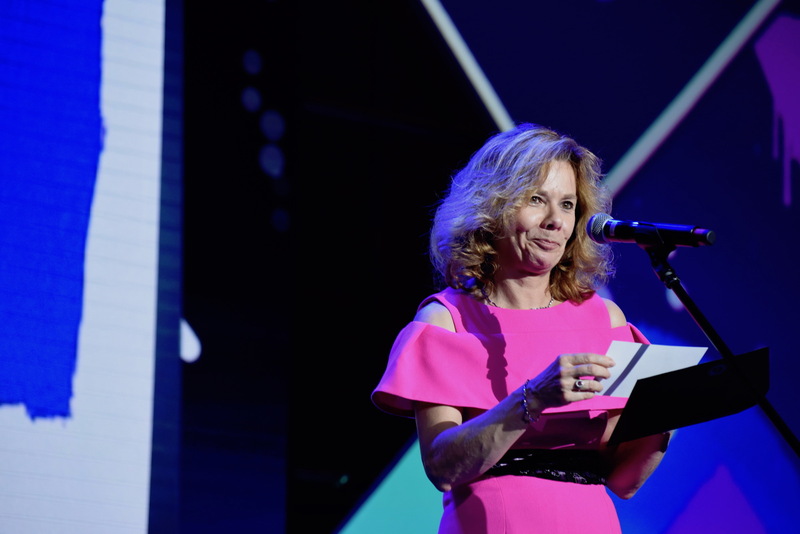 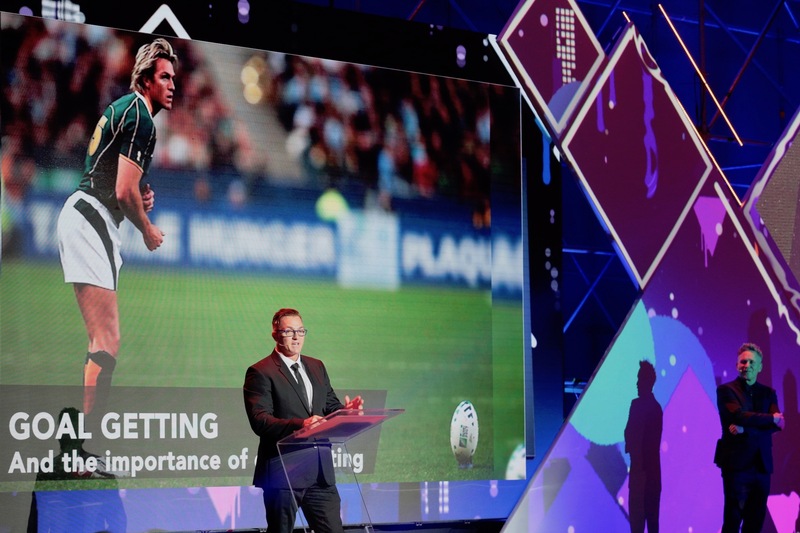 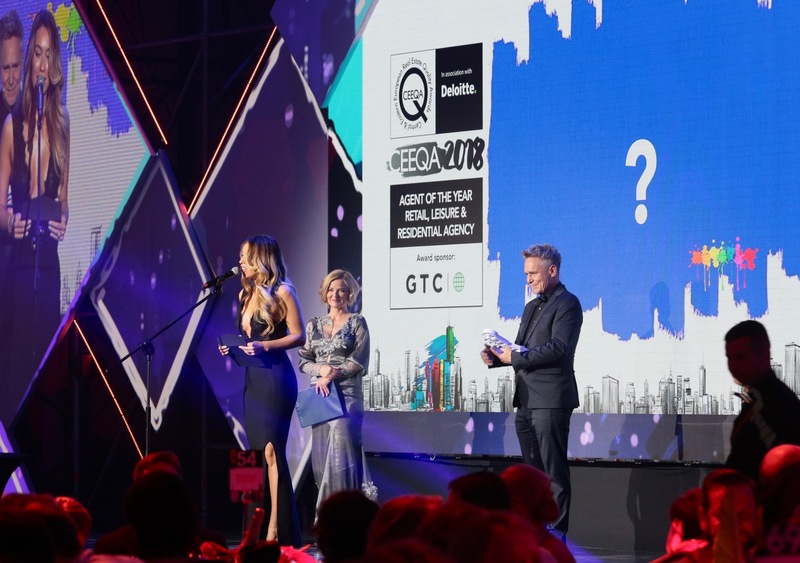 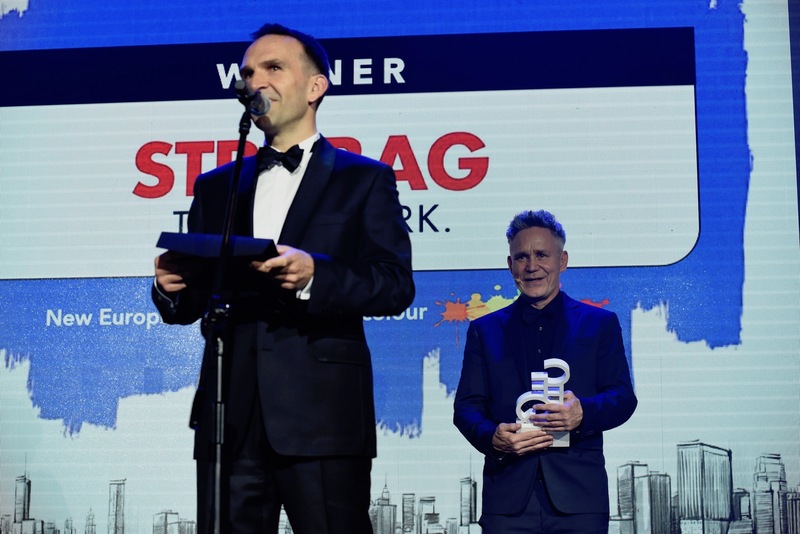 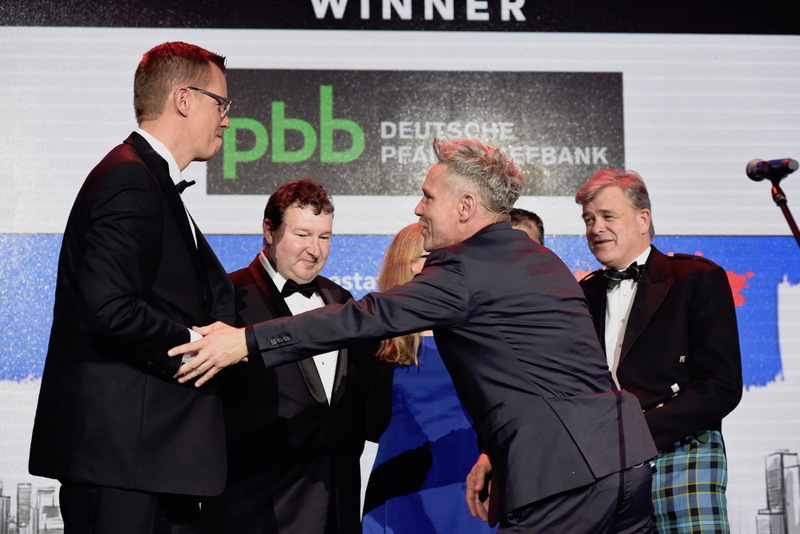 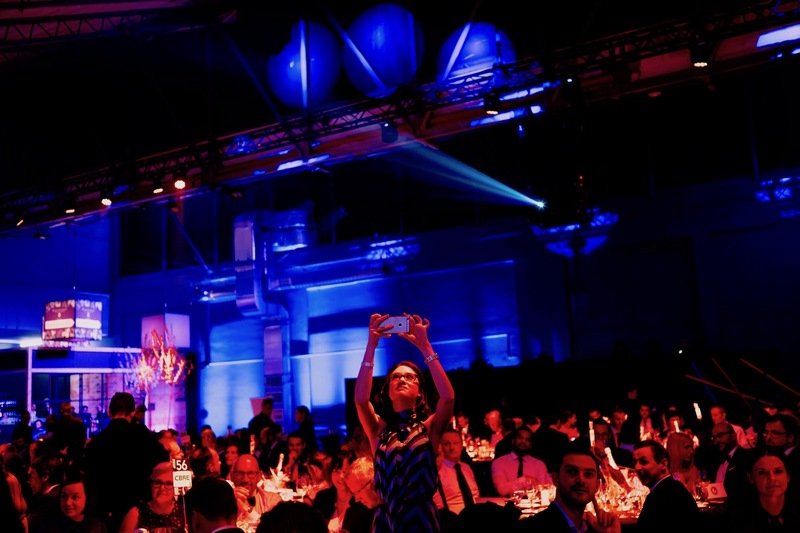 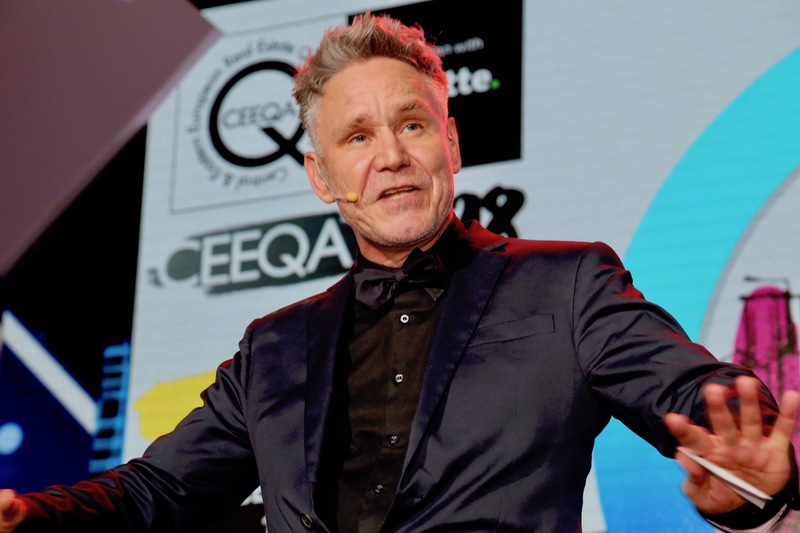 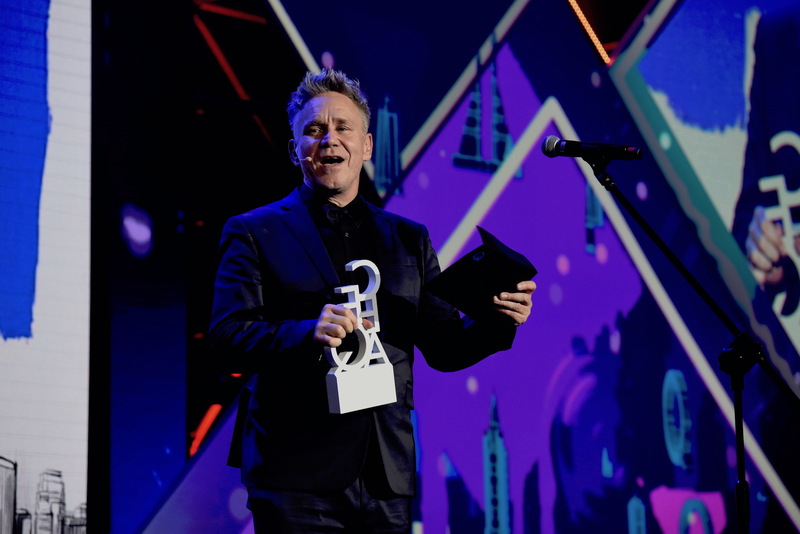 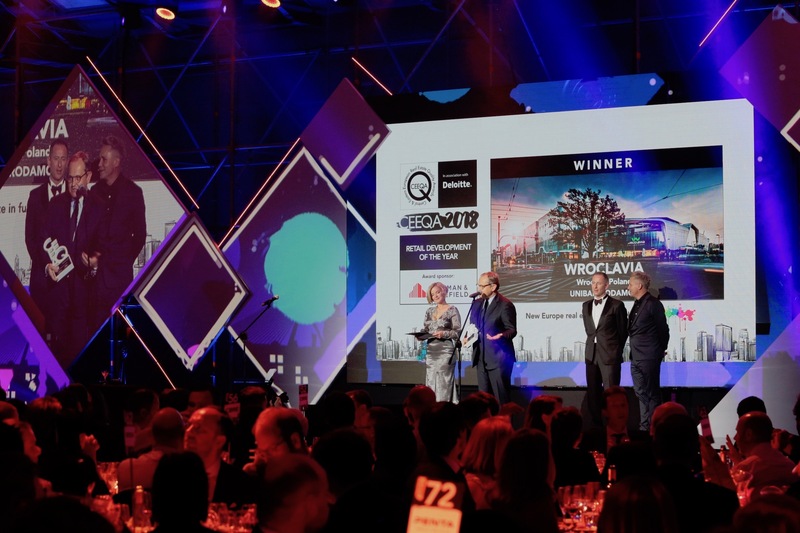 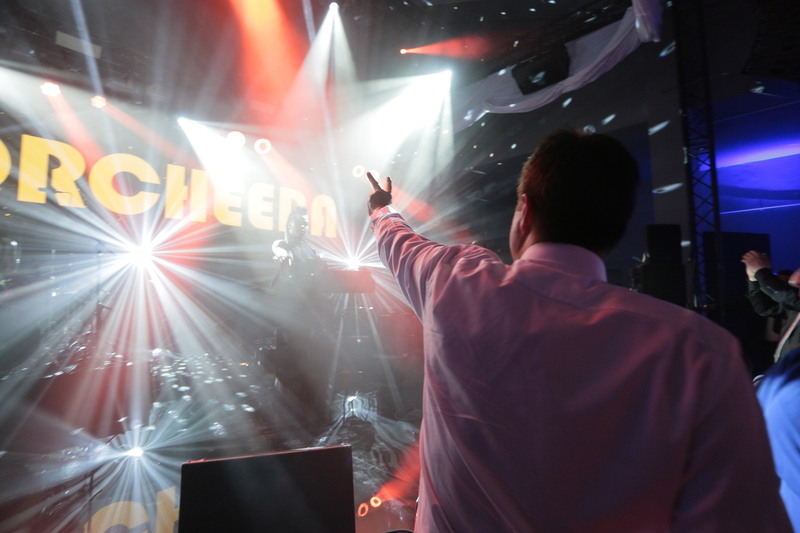 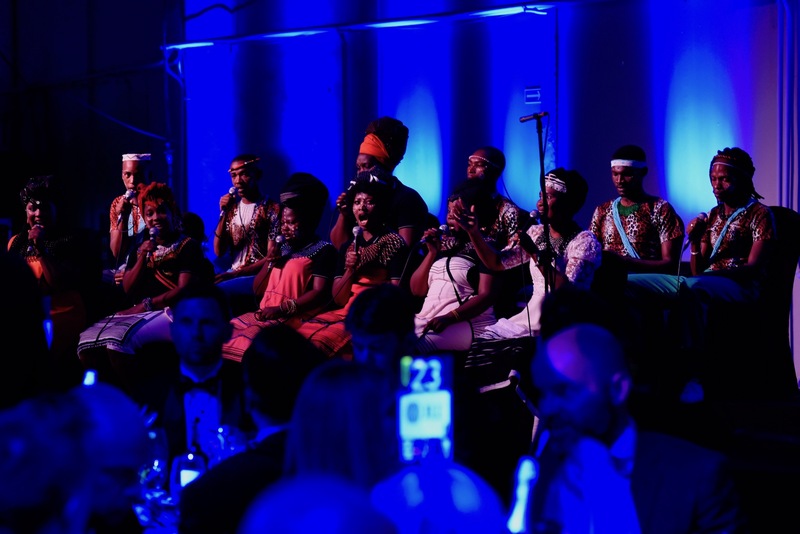 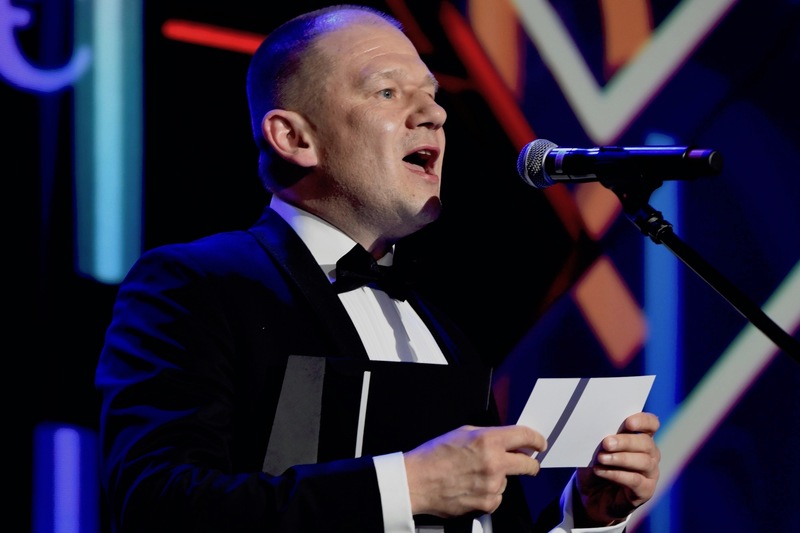 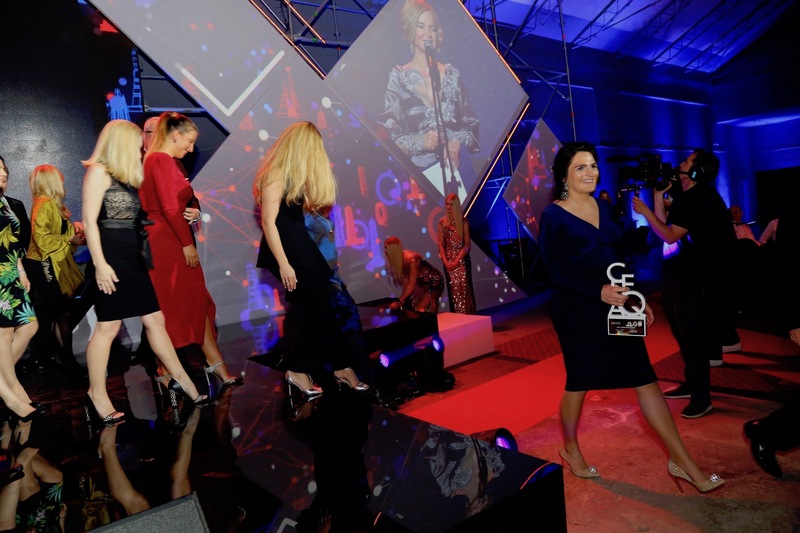 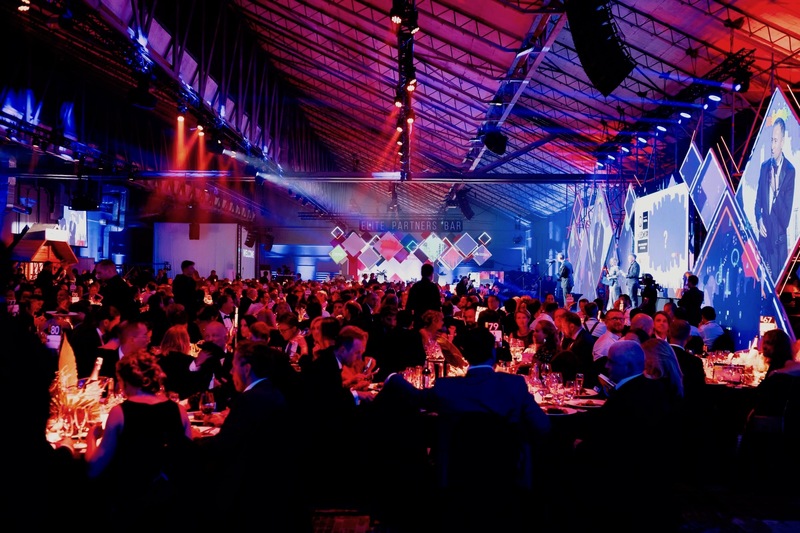 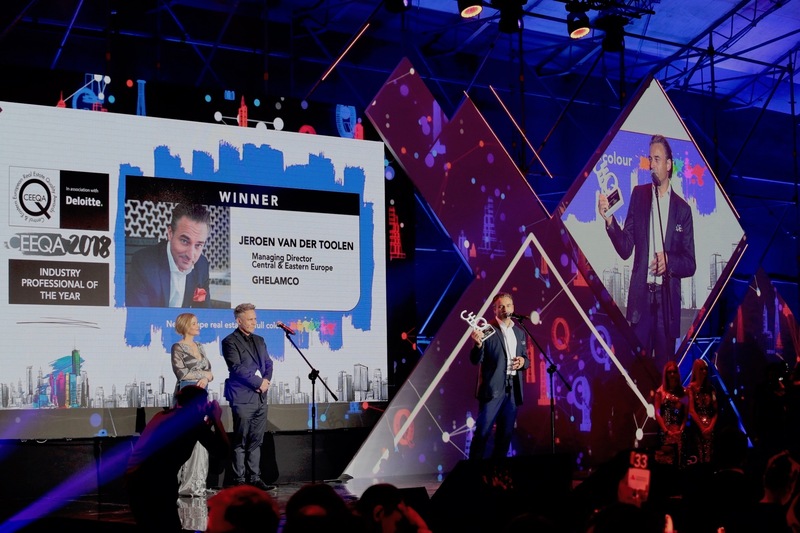 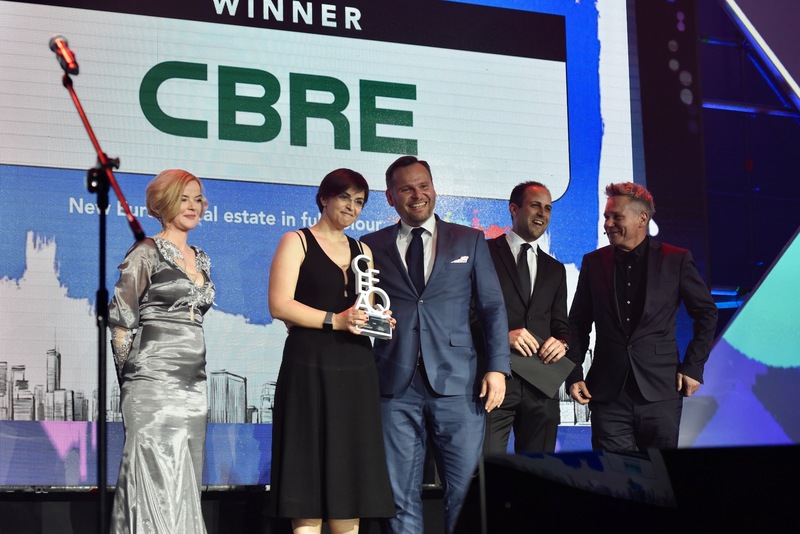 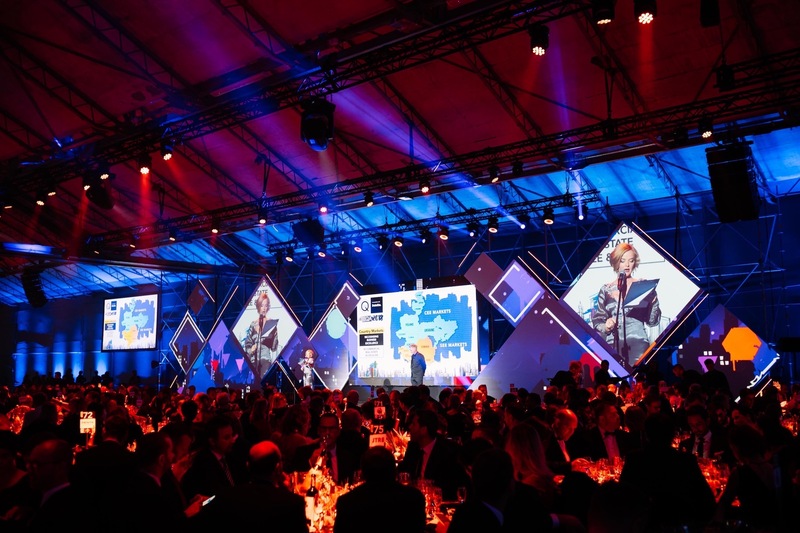 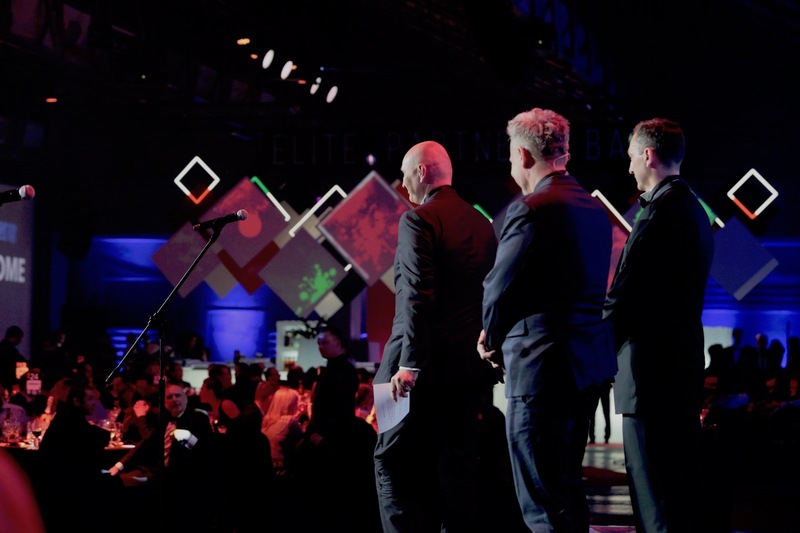 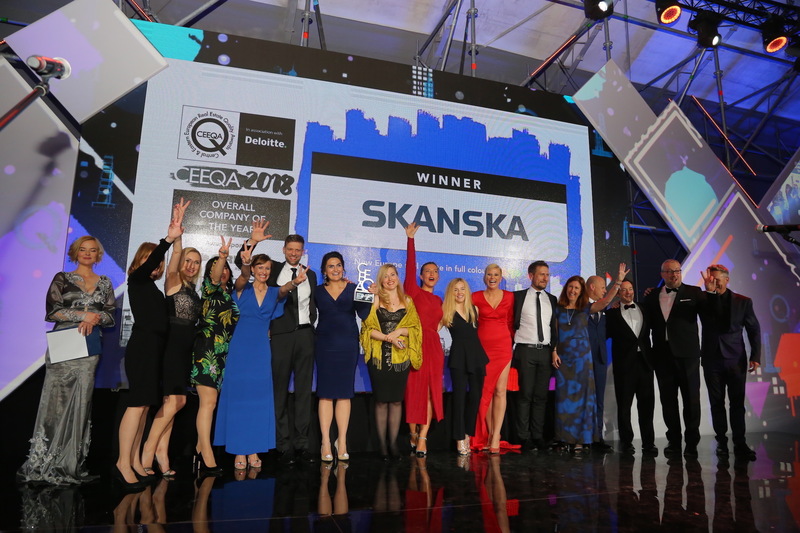 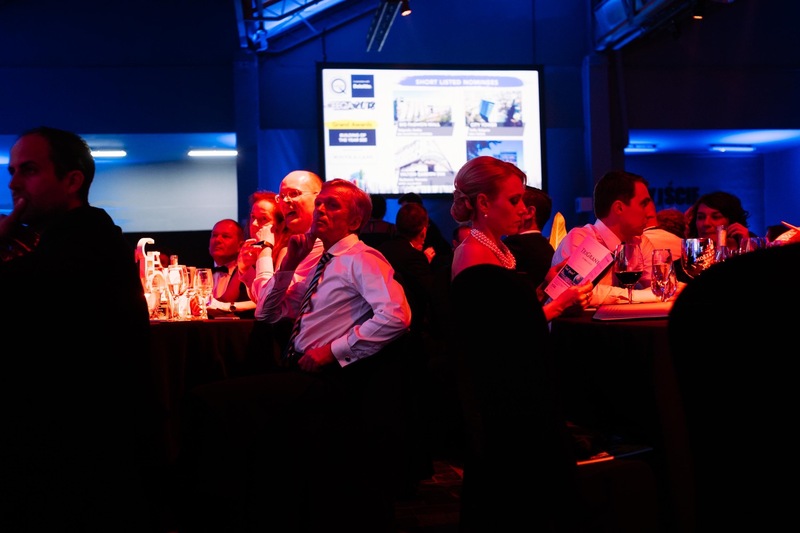 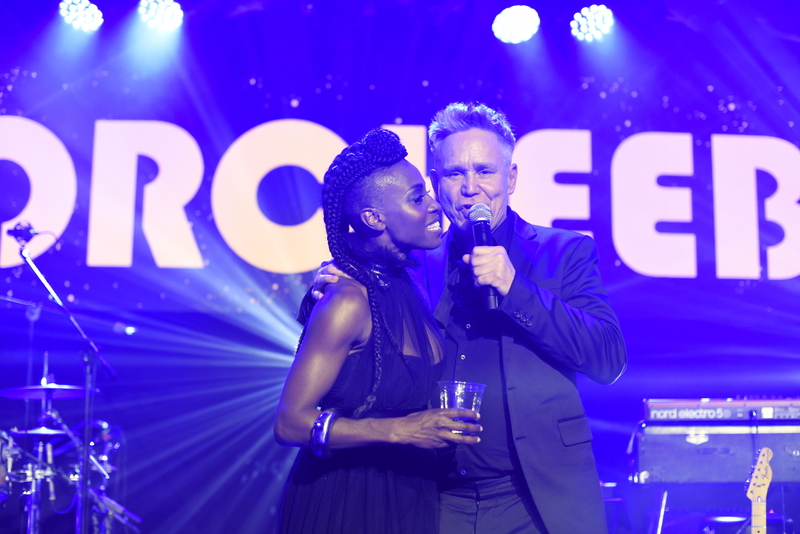 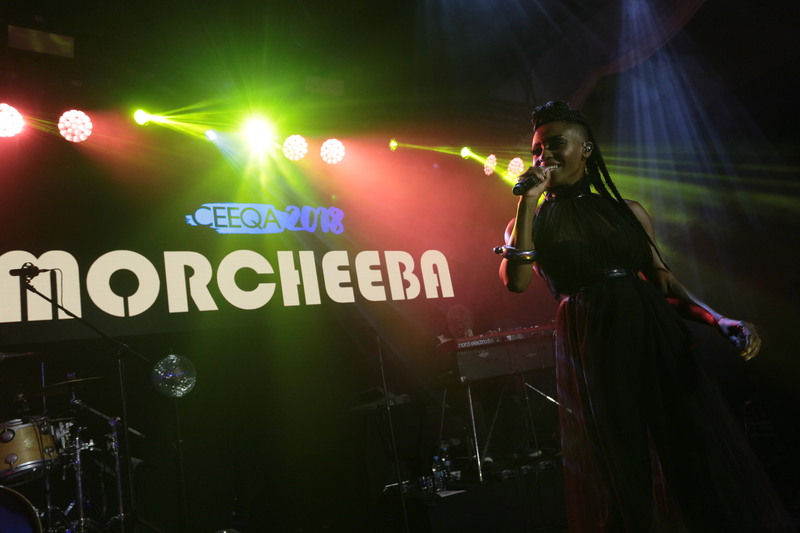 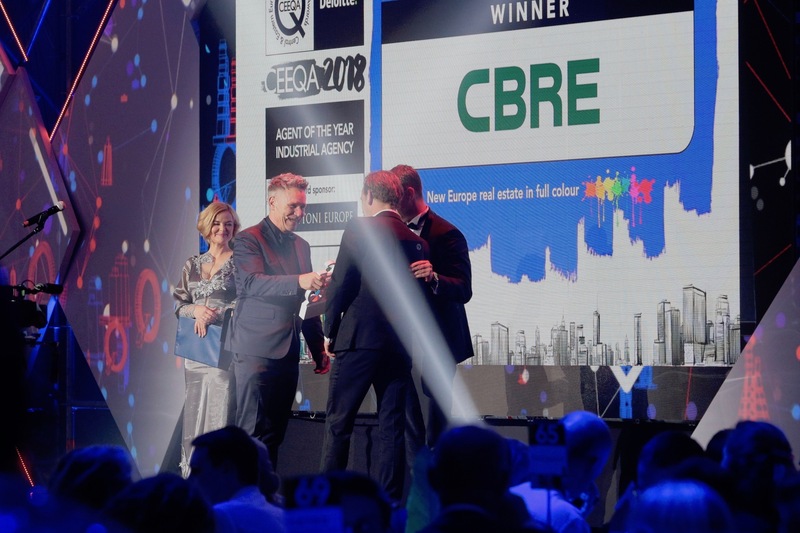 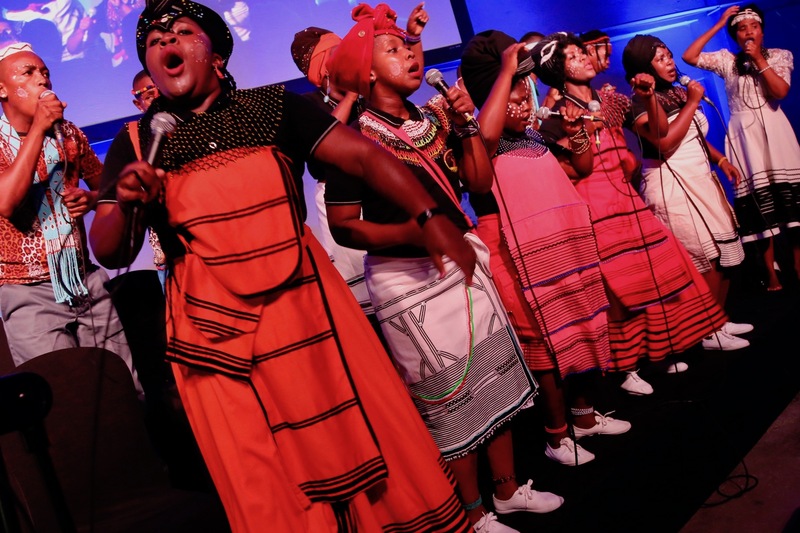 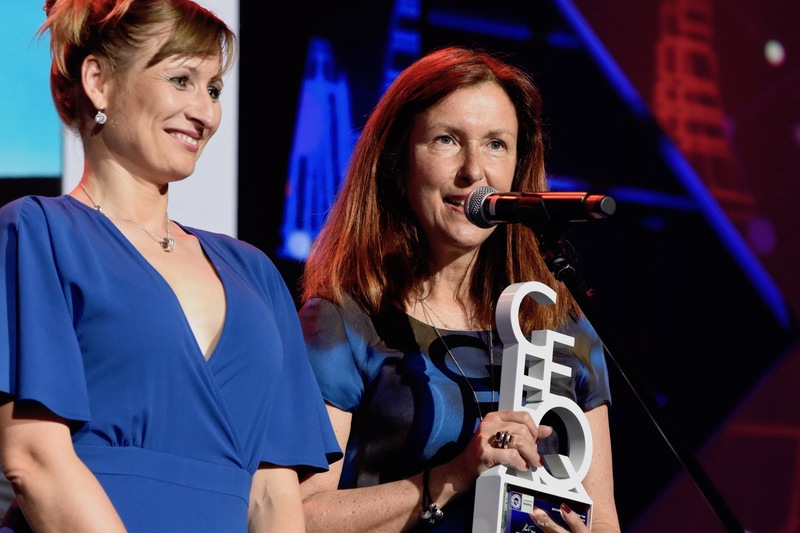 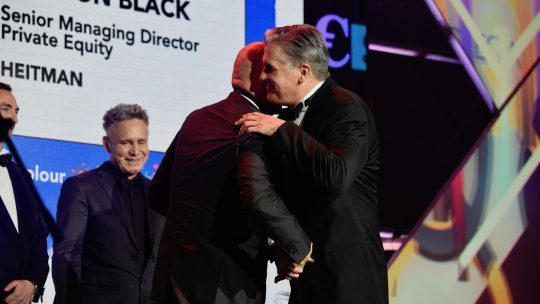 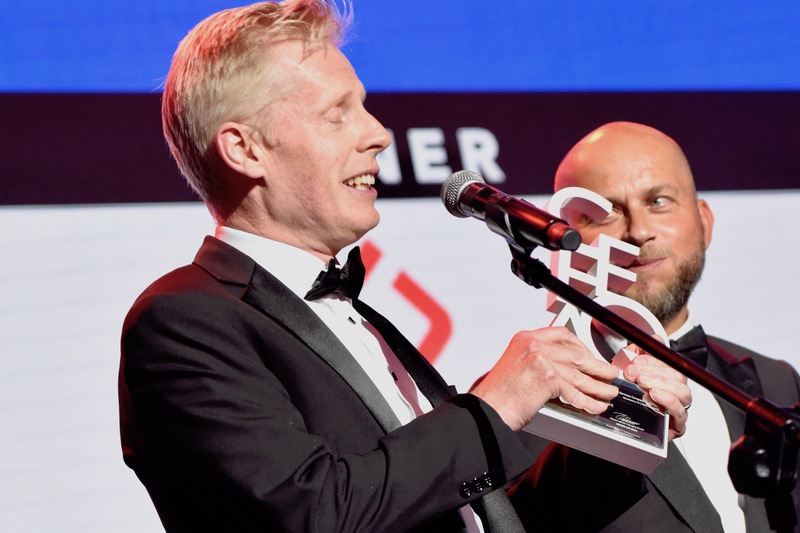 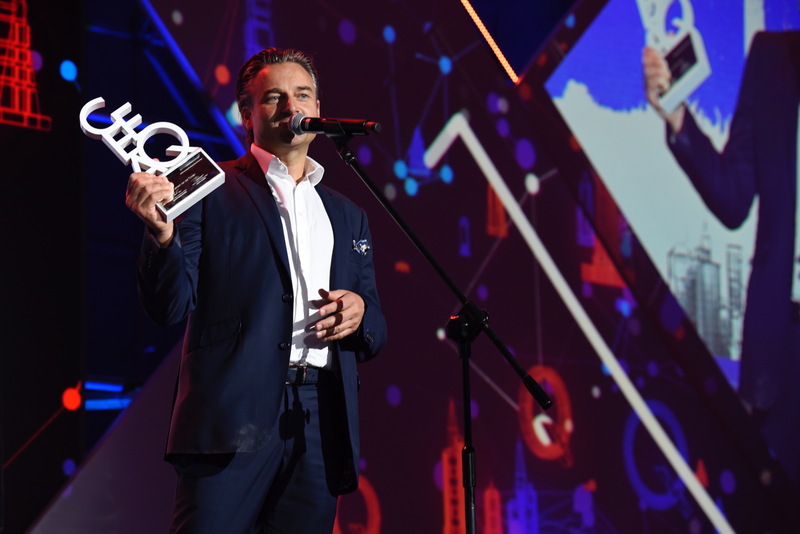 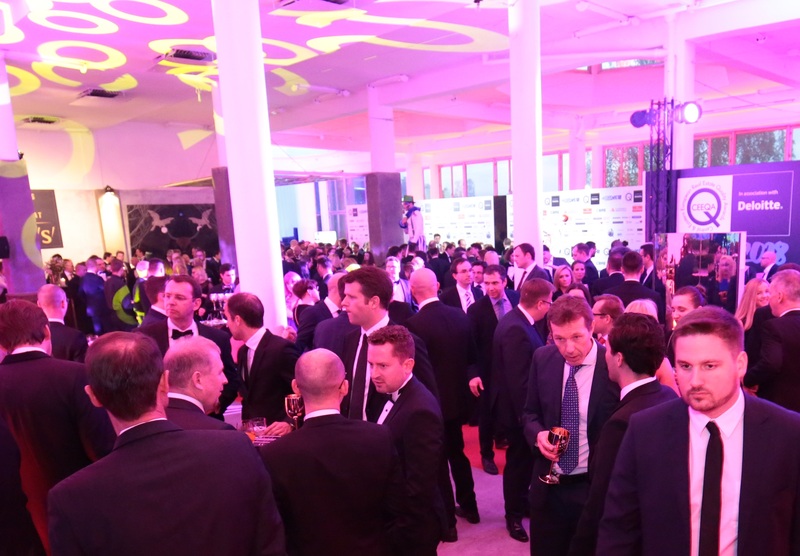 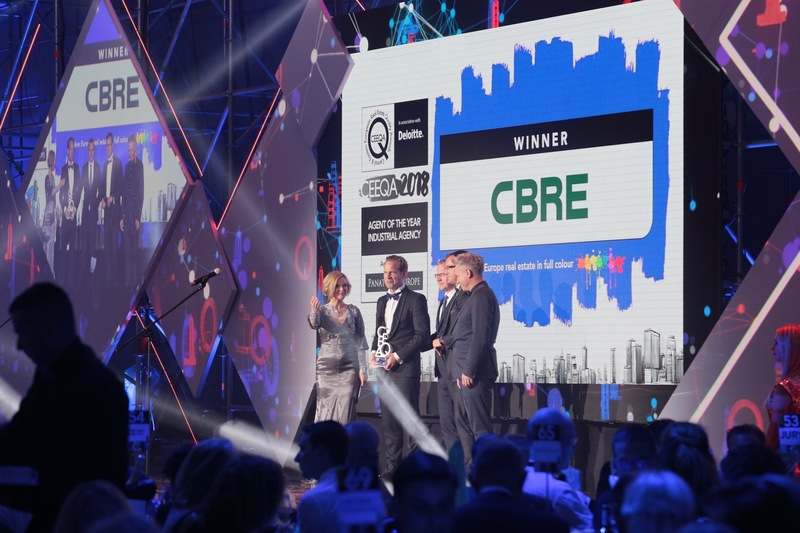 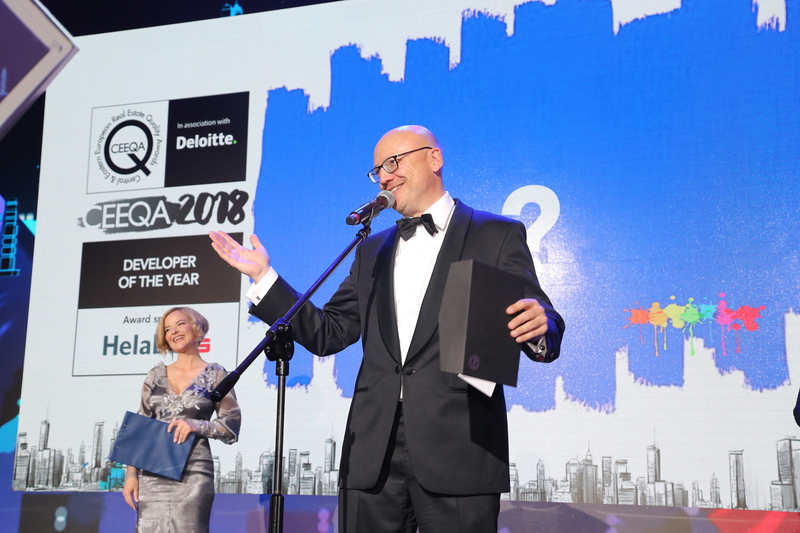 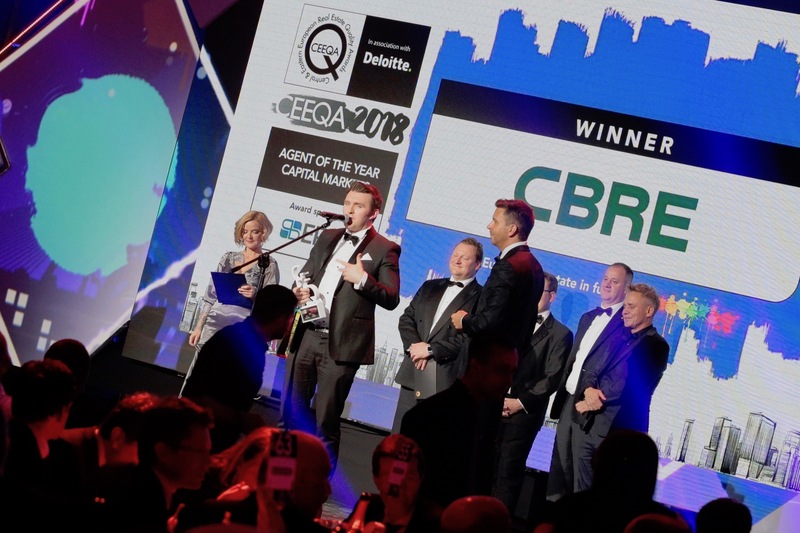 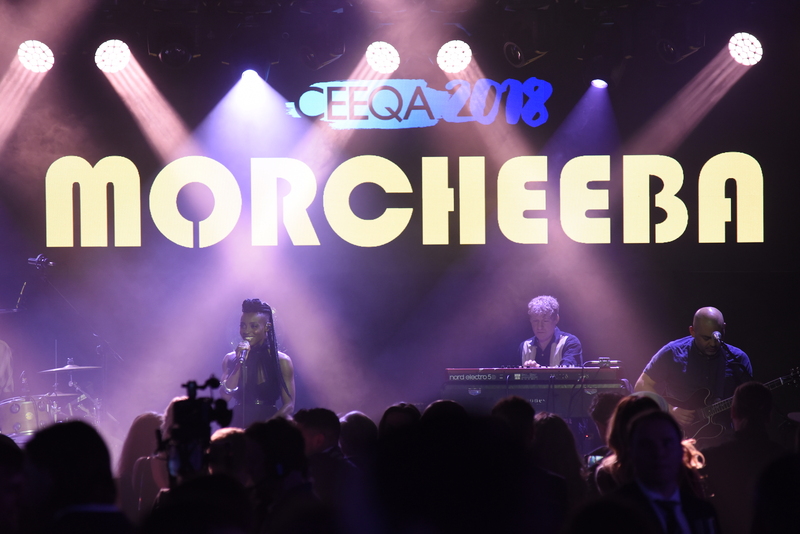 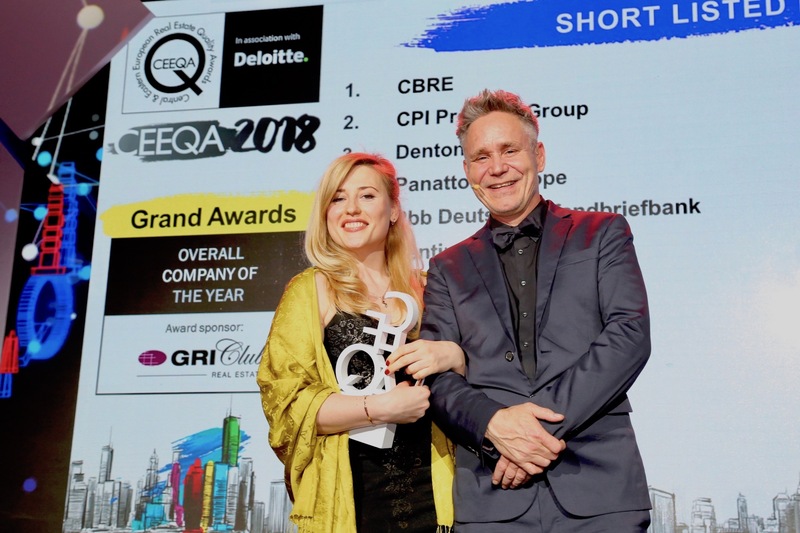 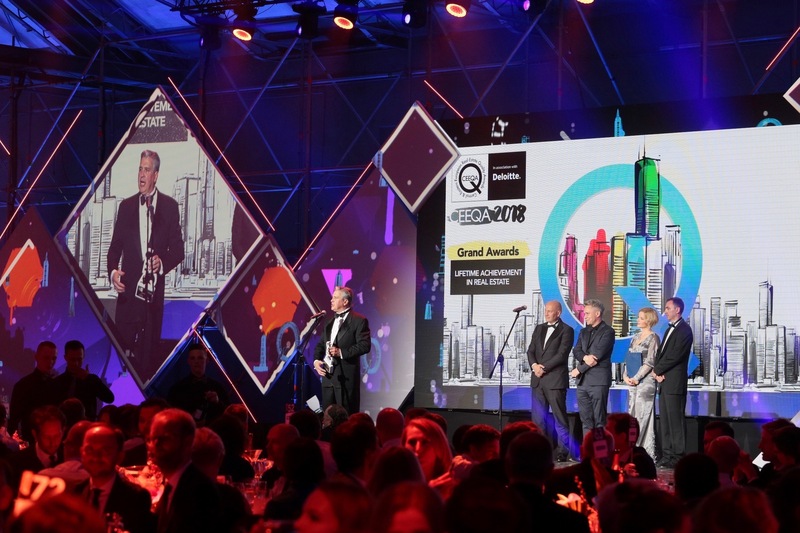 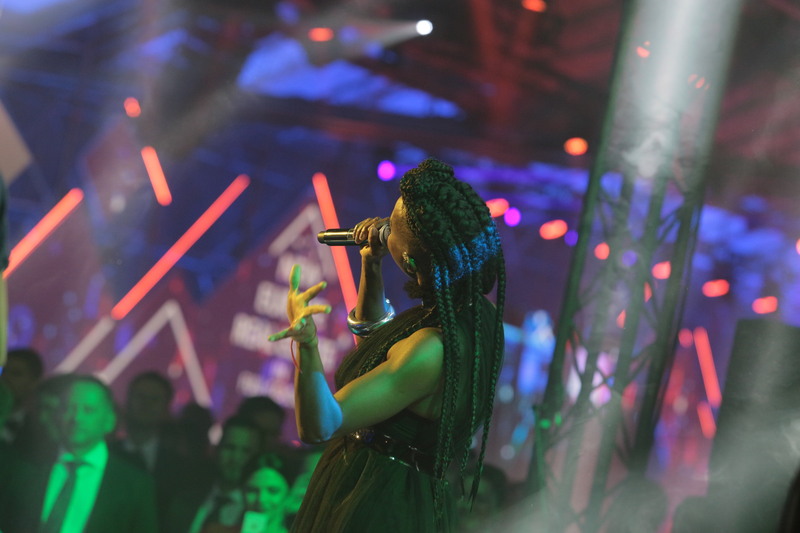 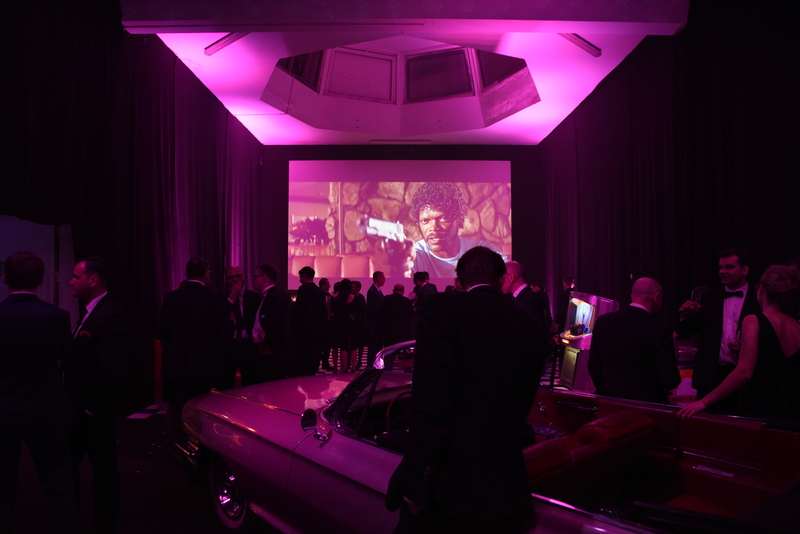 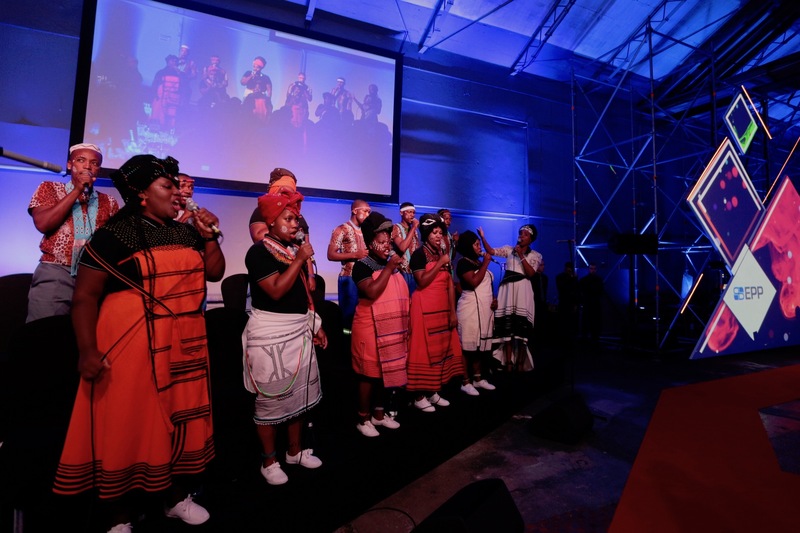 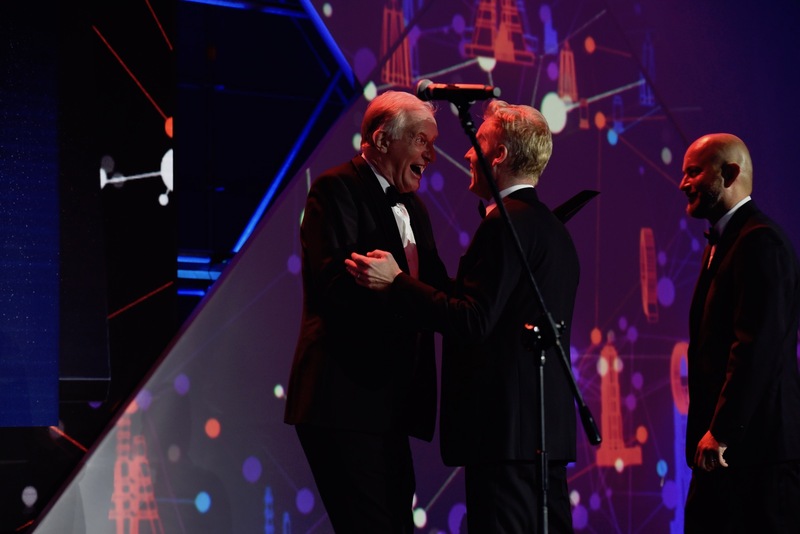 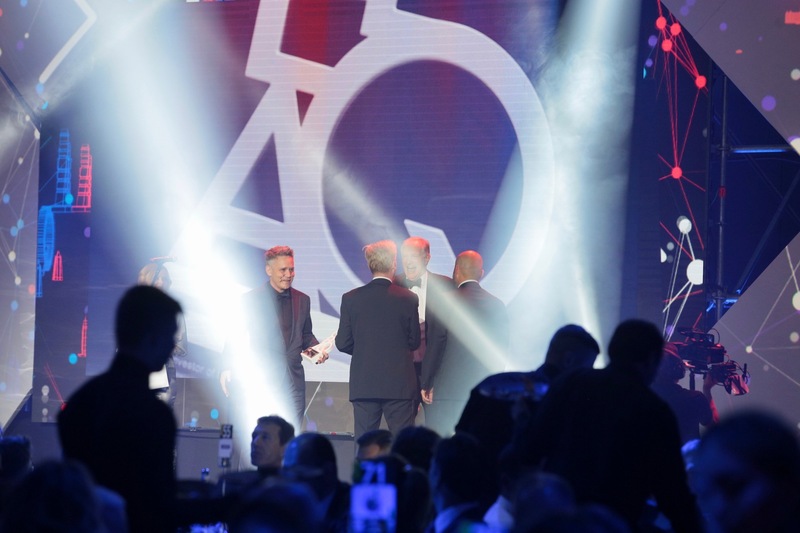 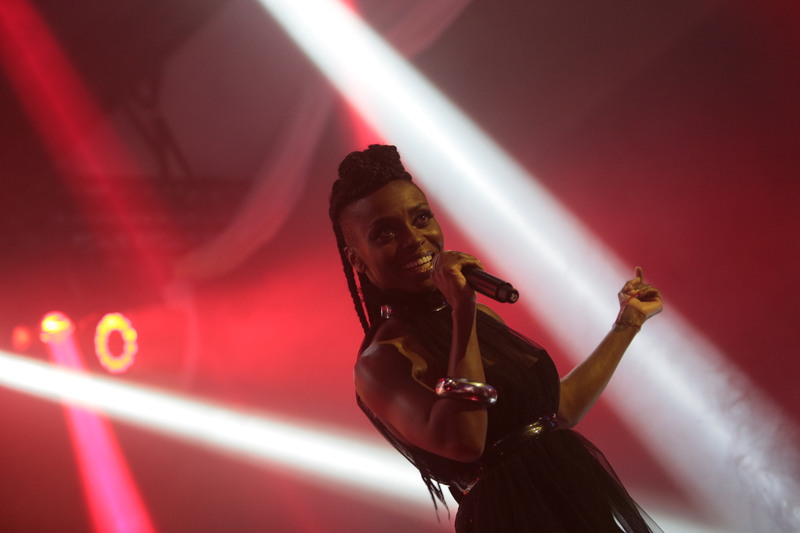 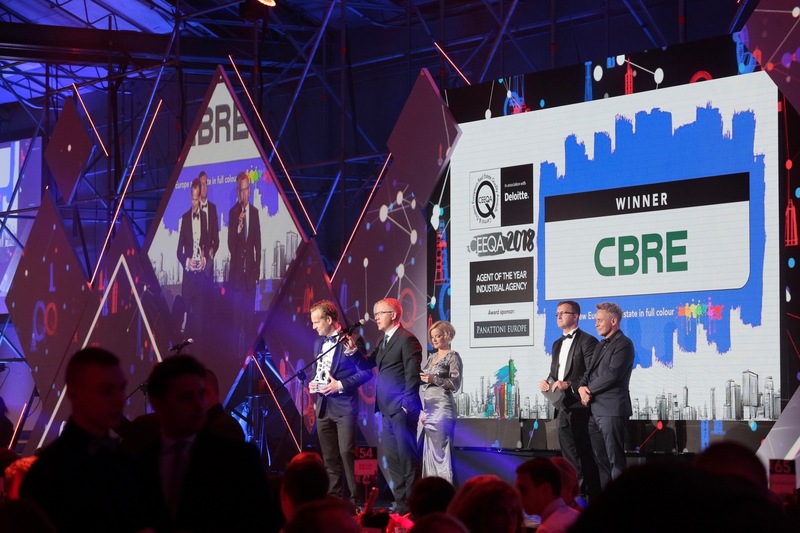 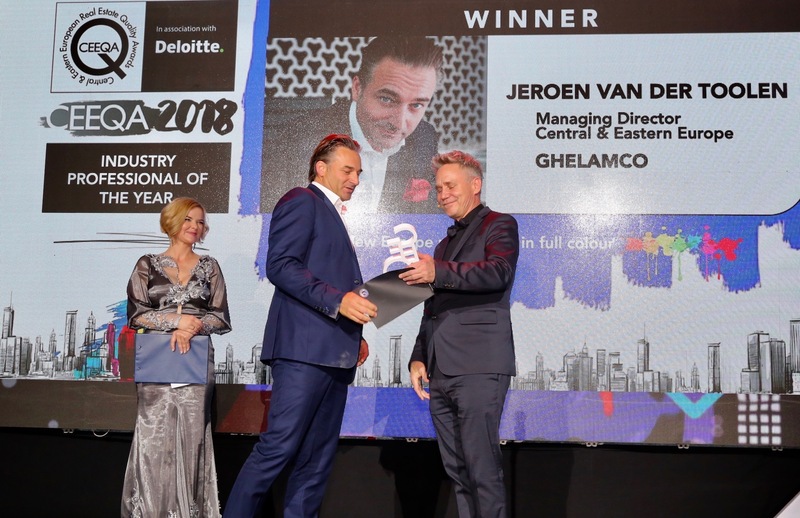 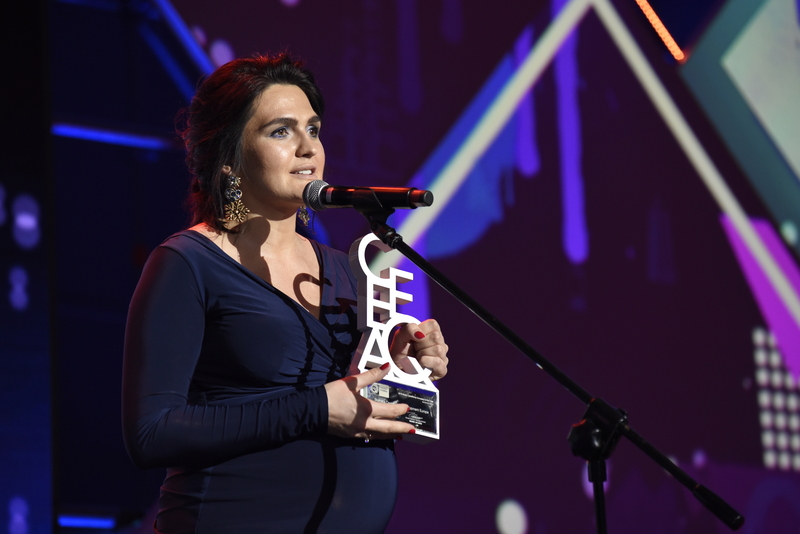 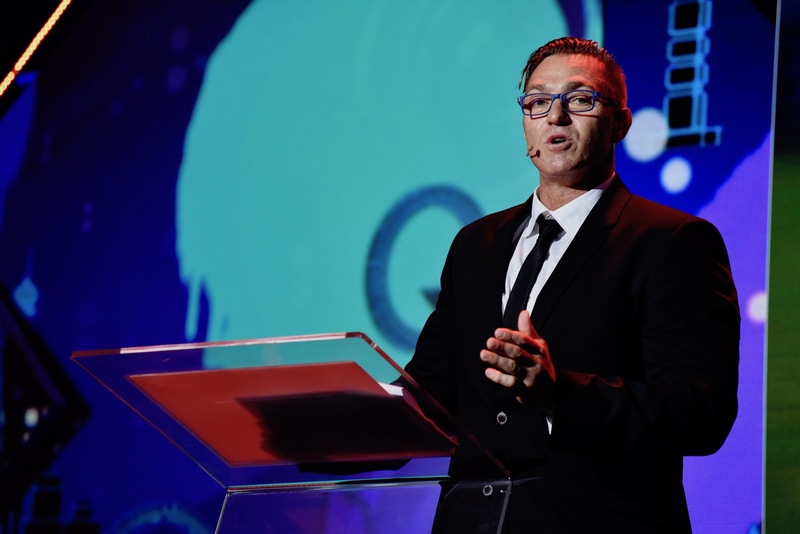 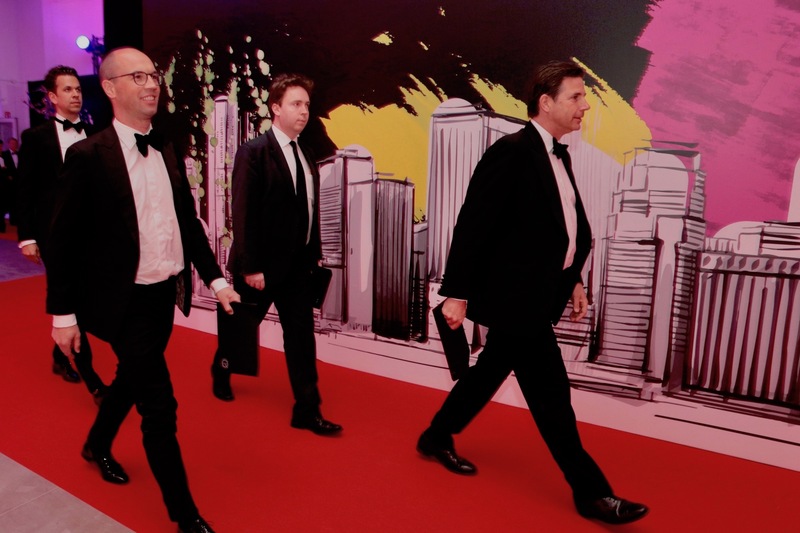 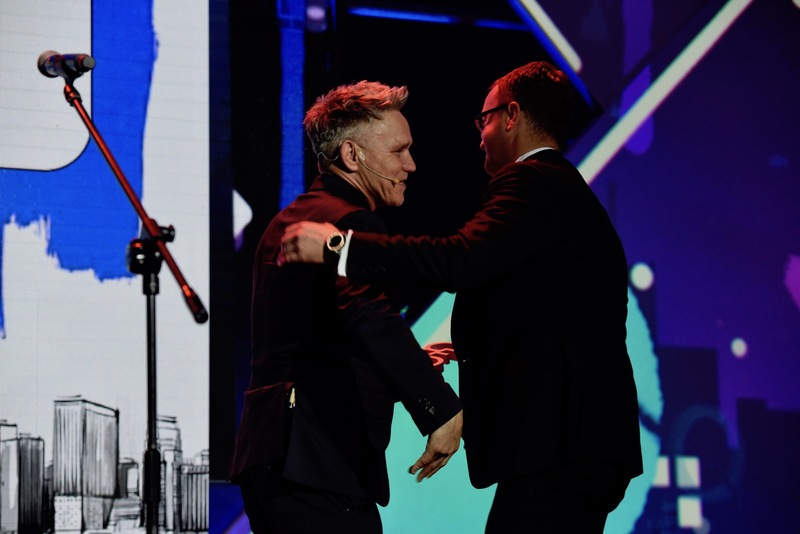 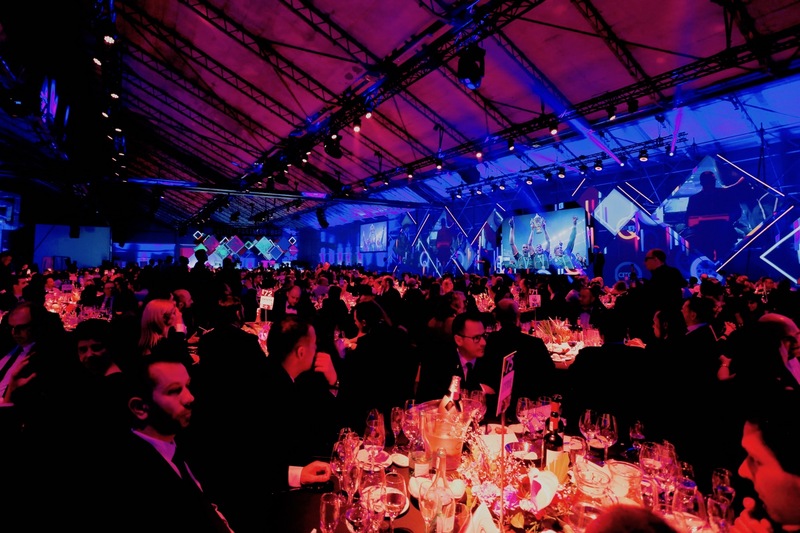 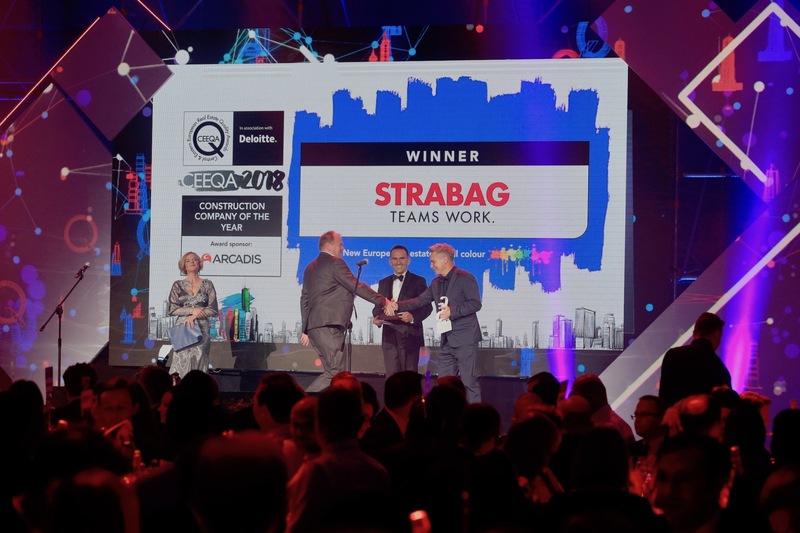 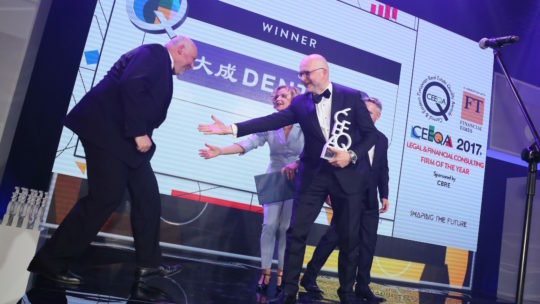 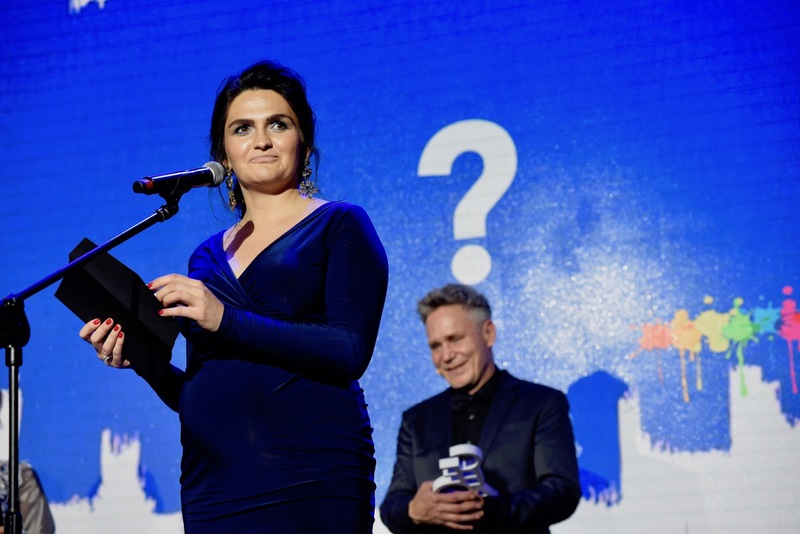 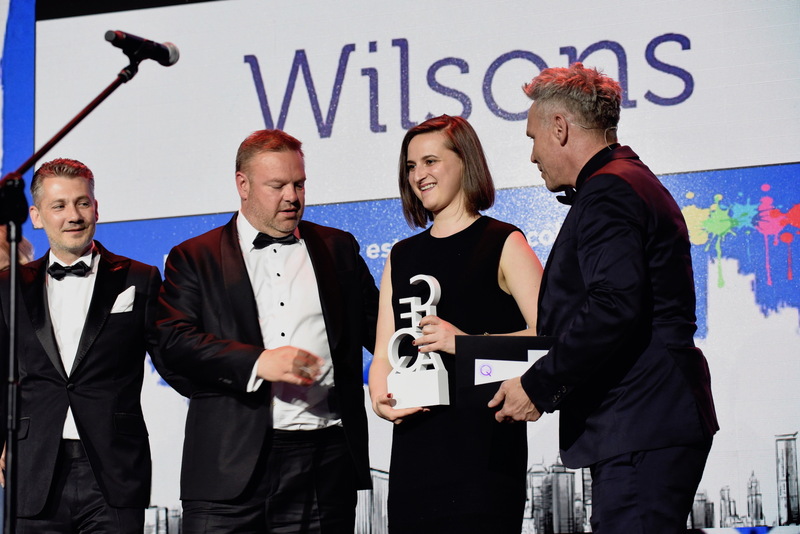 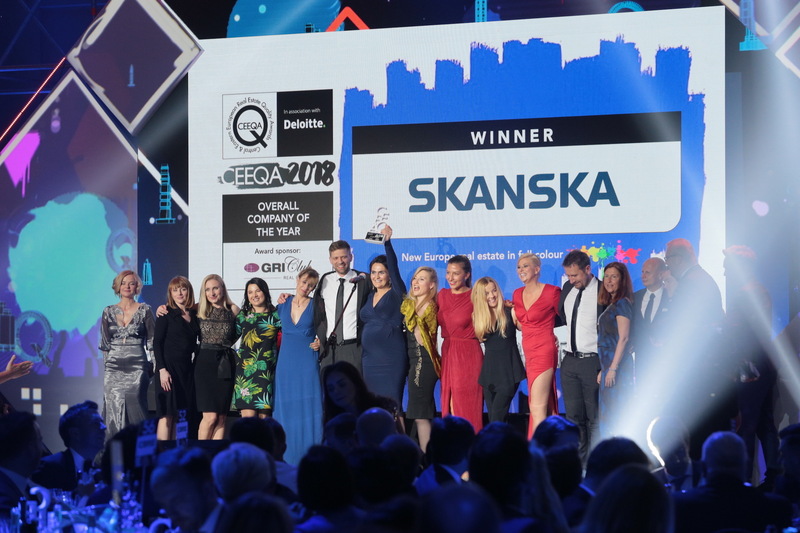 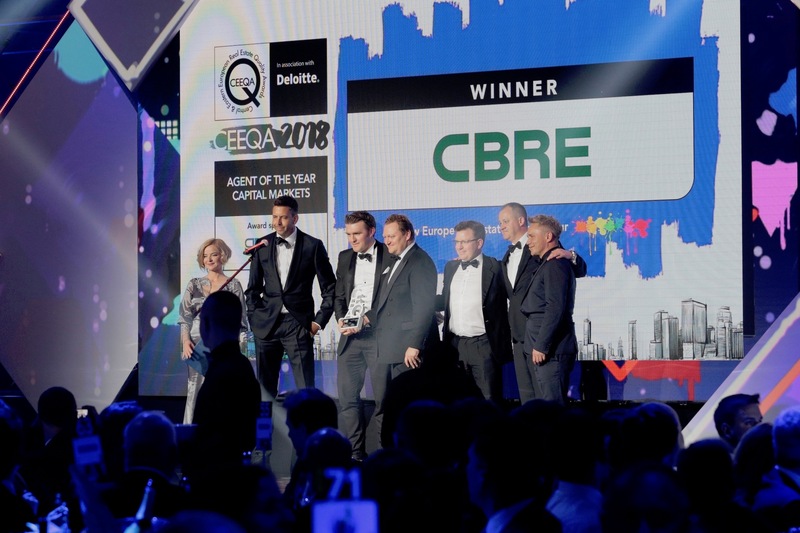 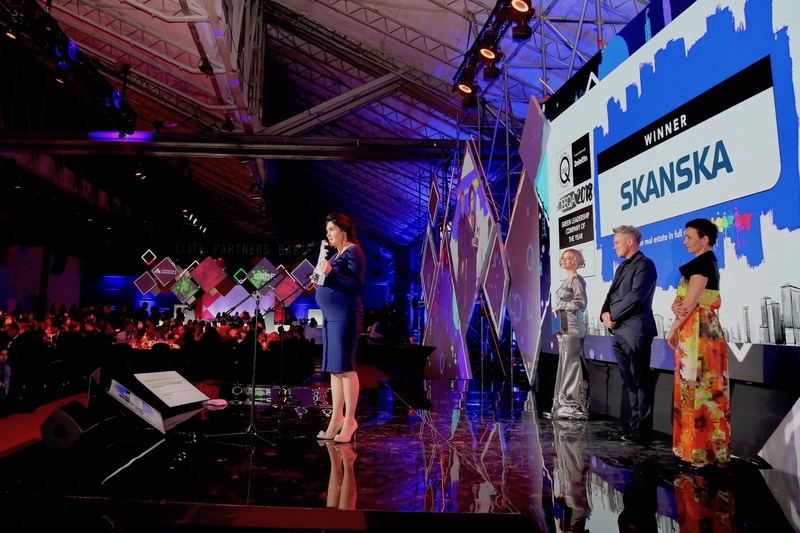 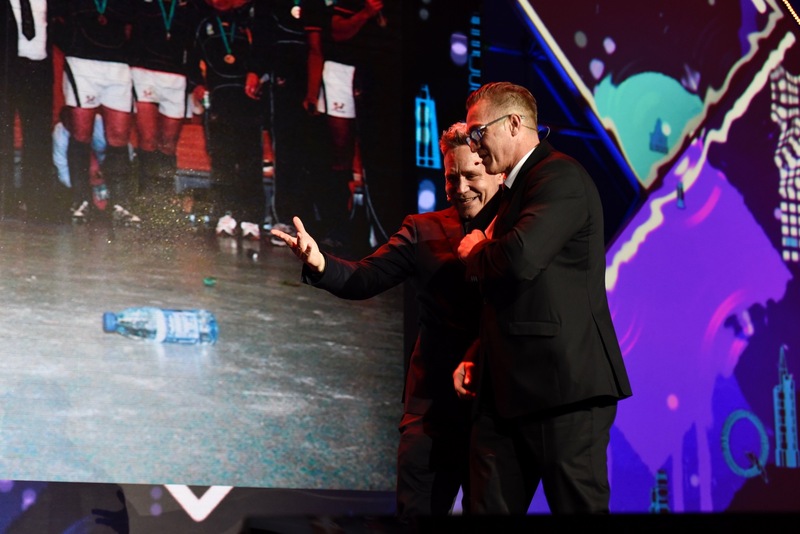 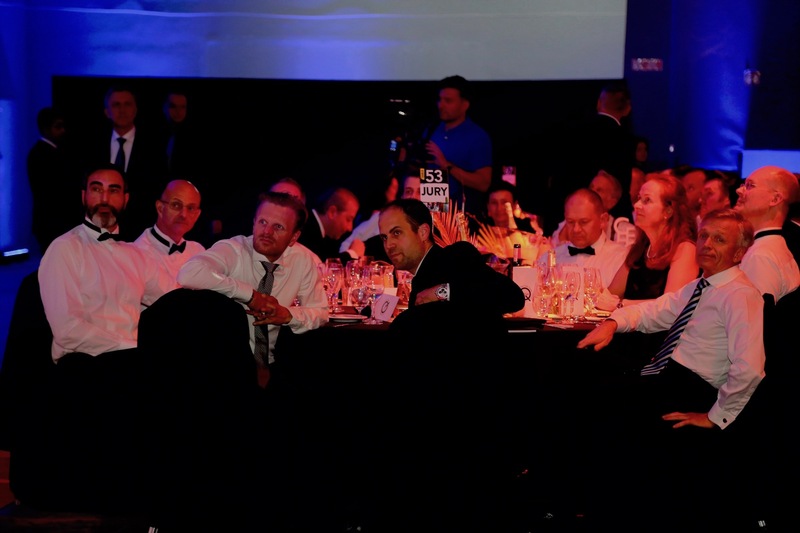 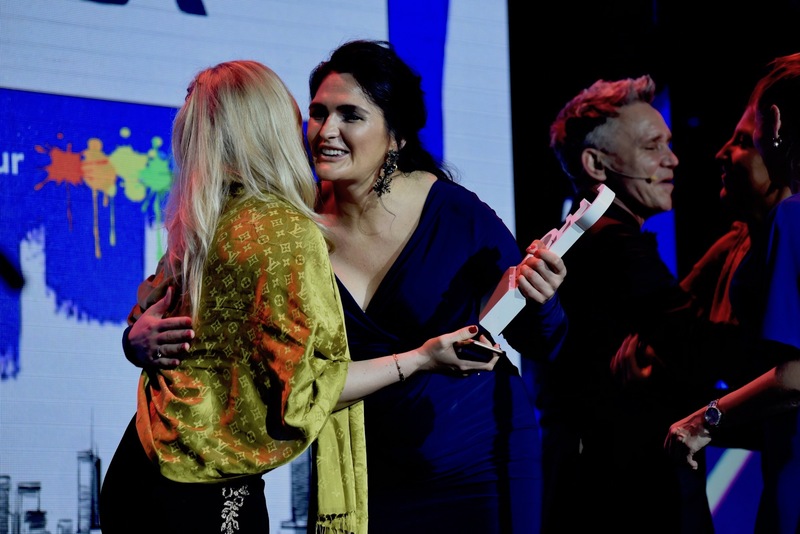 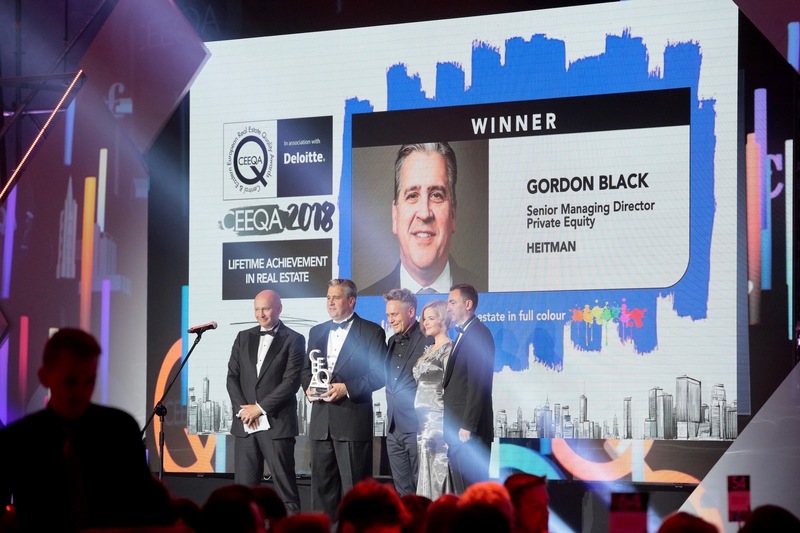 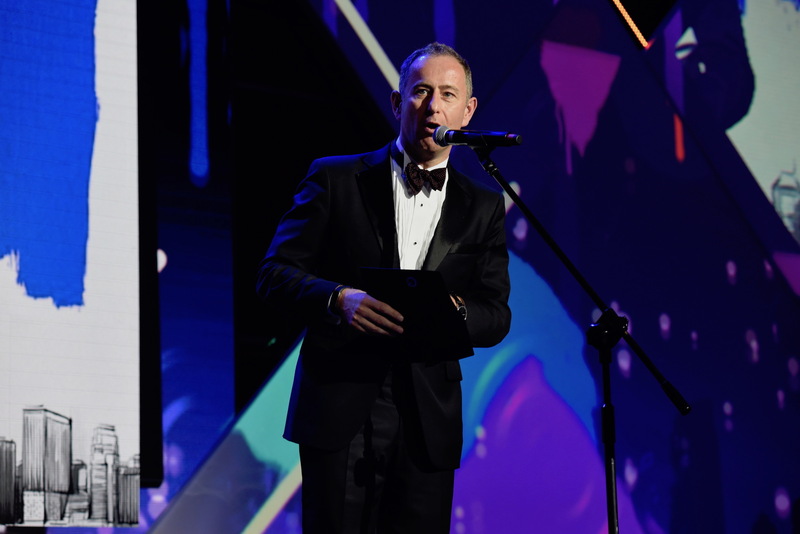 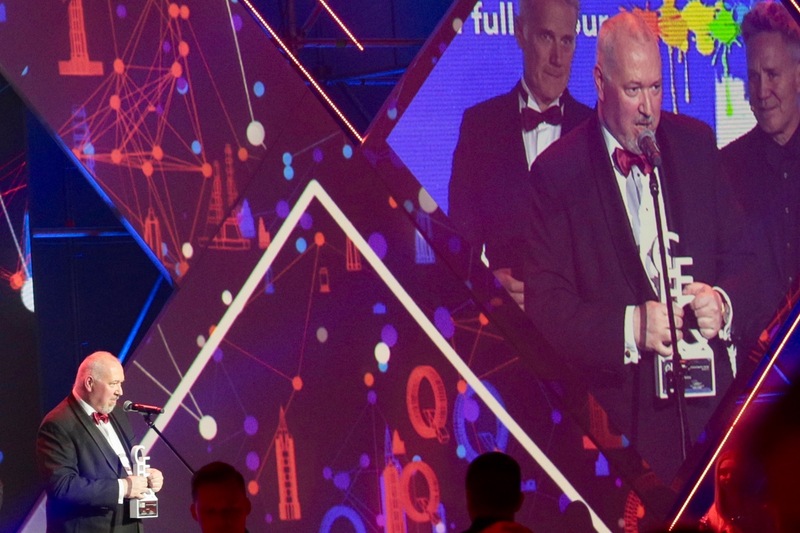 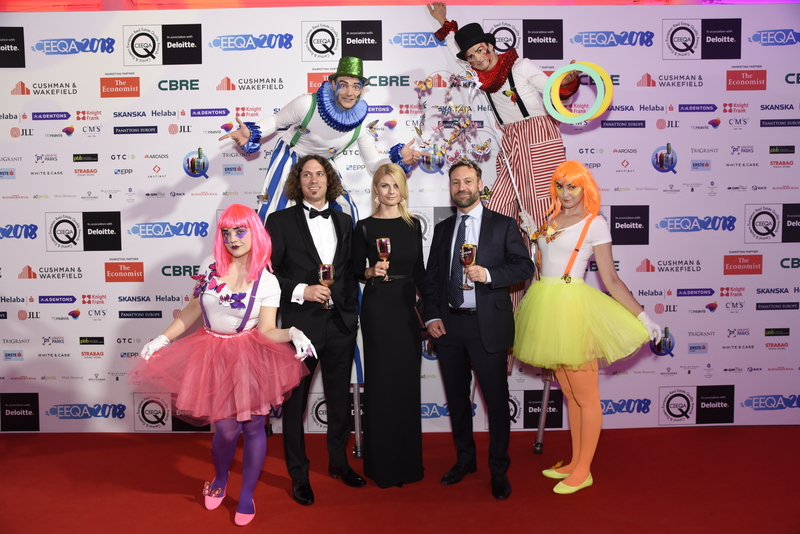 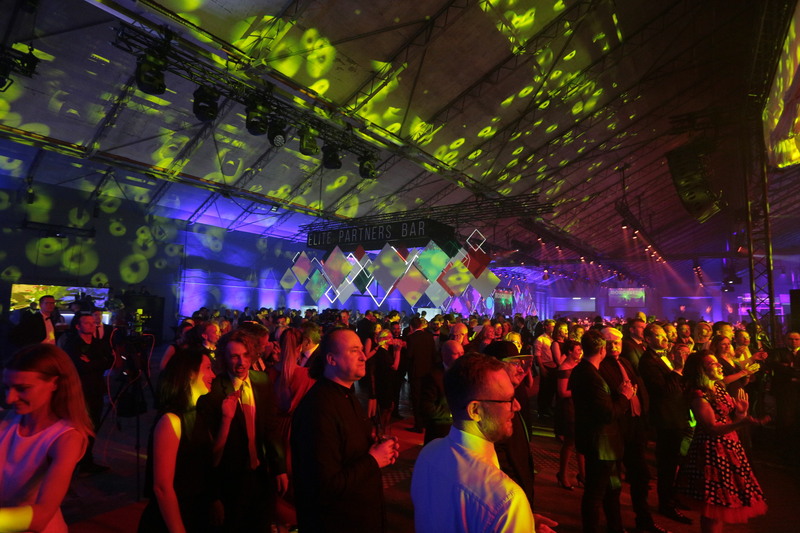 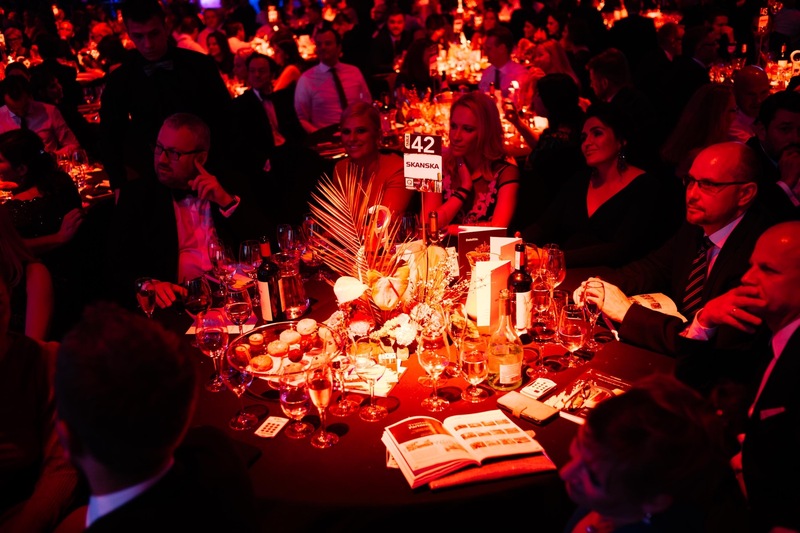 The annual CEEQA Gala attracts more than 800 business leaders and decision makers in commercial real estate investment from more than 50 countries for the sector’s flagship gathering. 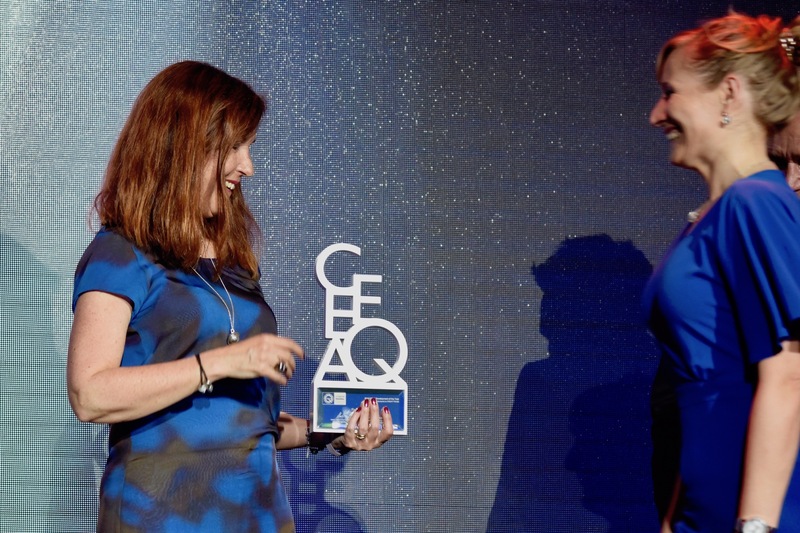 Congratulations to all winners and our thanks to all awards entrants, jurors, partners and collaborators on another successful CEEQA. 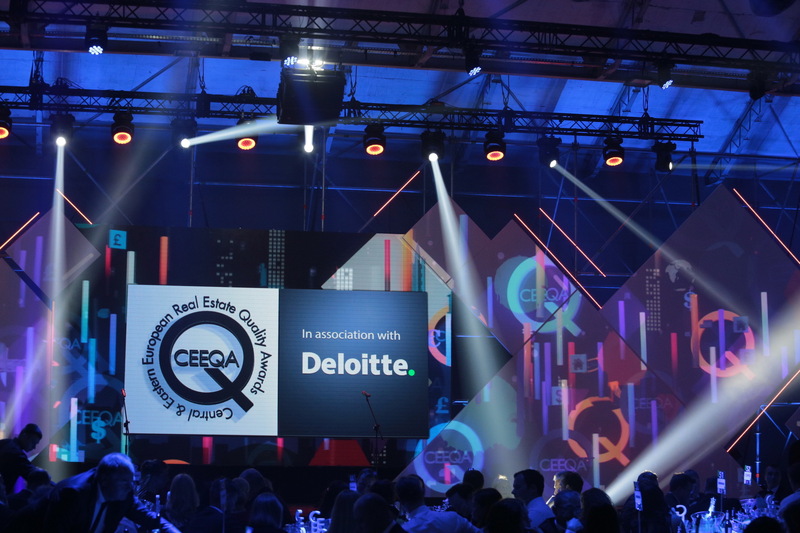 The annual CEEQA Gala attracts more than 800 business leaders and decision makers in commercial real estate investment from more than 50 countries for the sector’s flagship gathering. 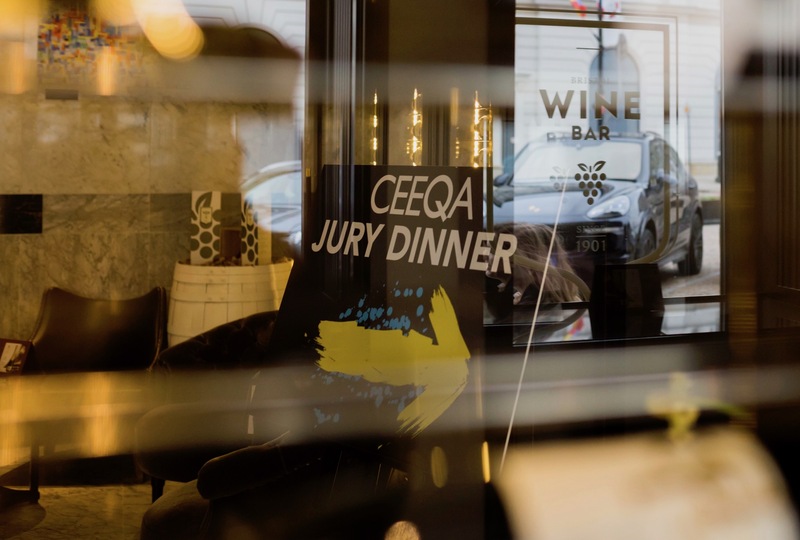 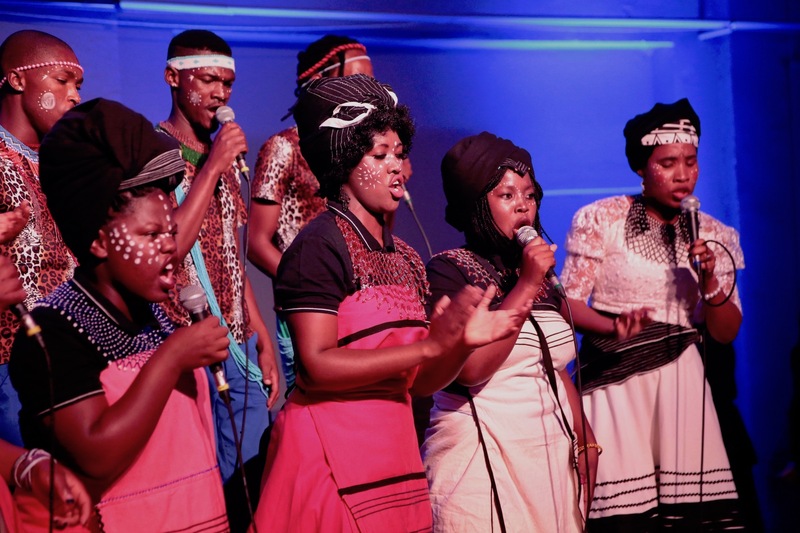 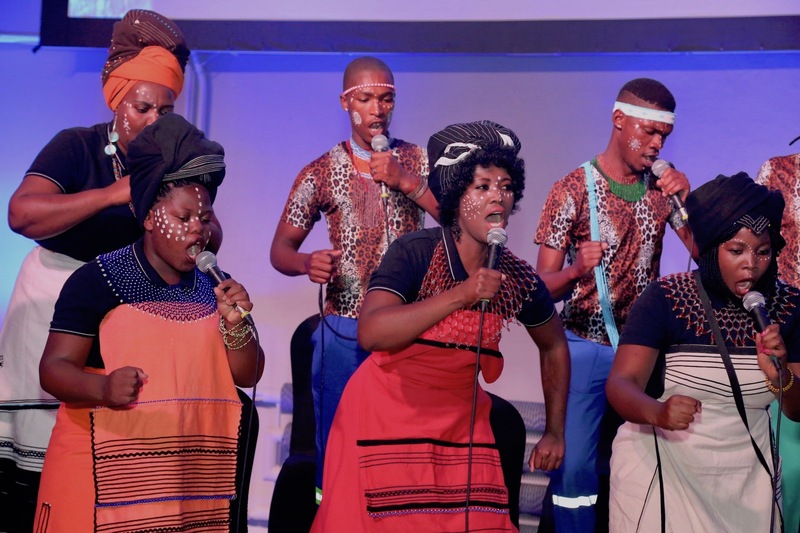 Judging from experience – who are the CEEQA Jury? 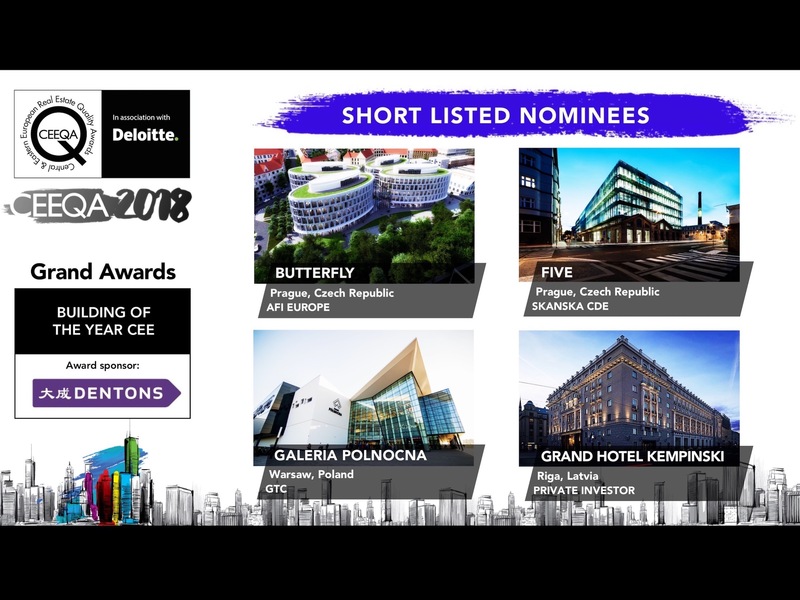 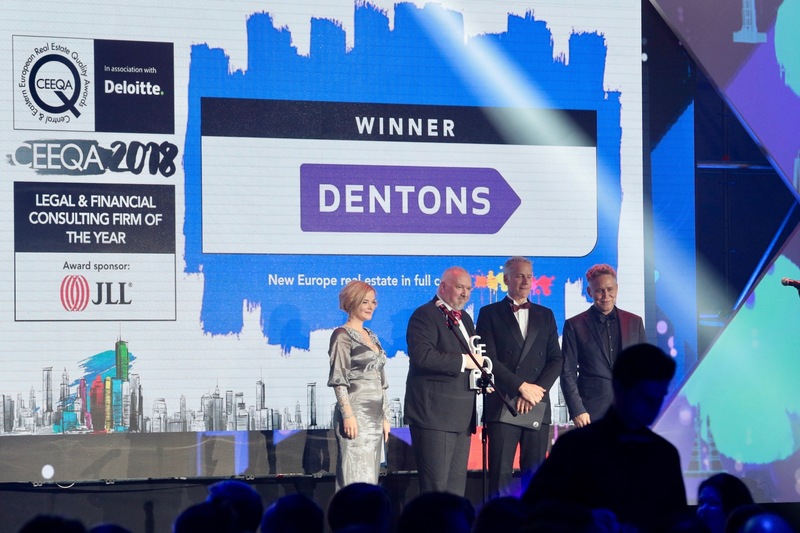 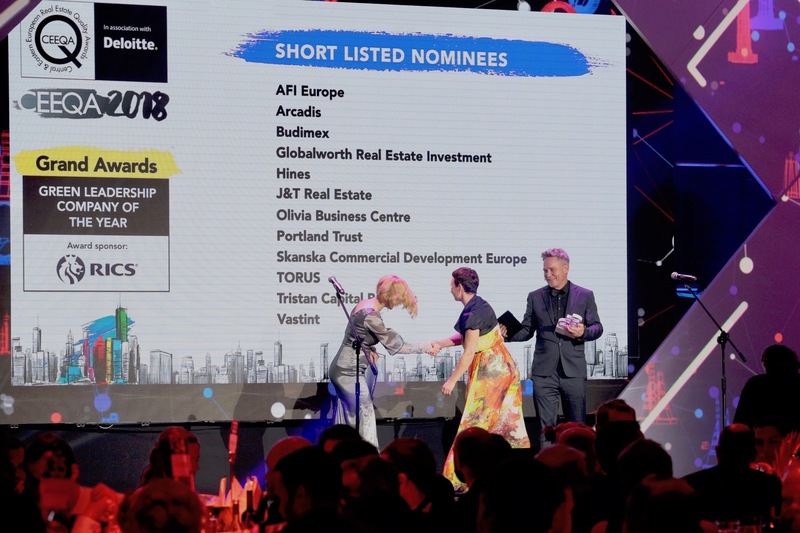 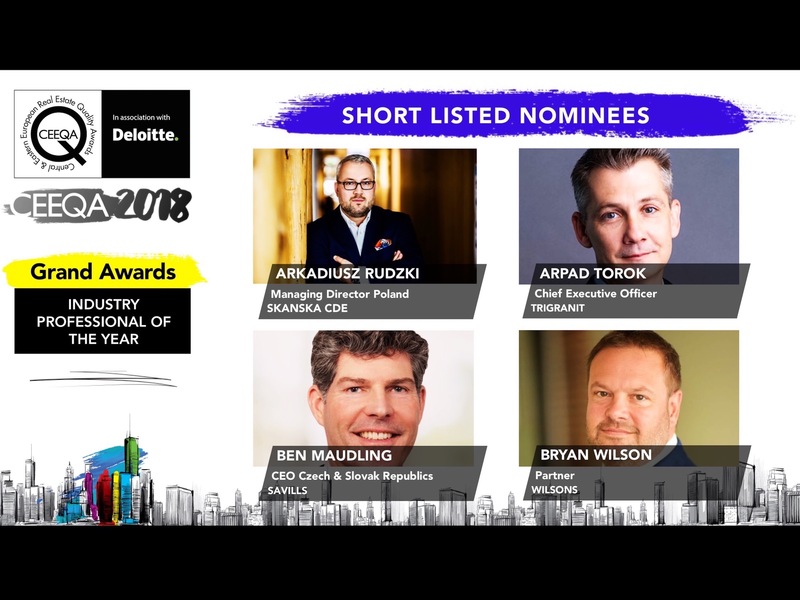 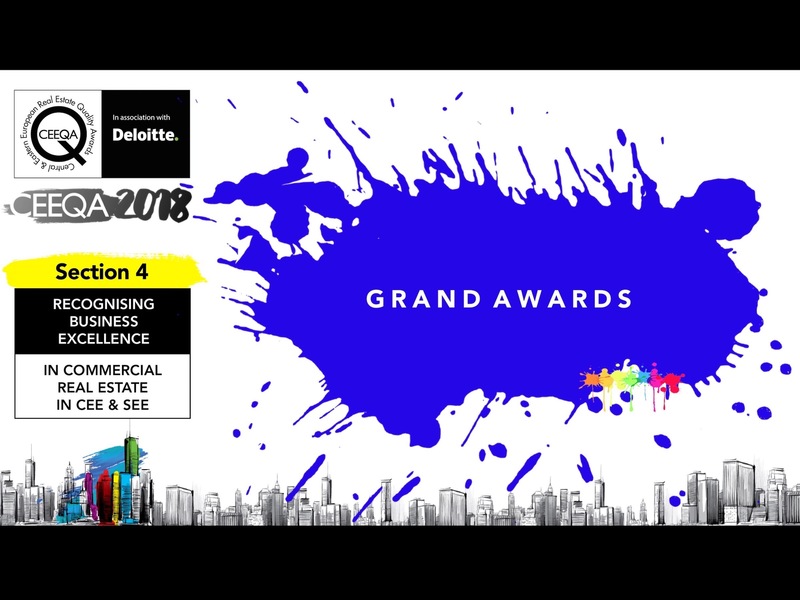 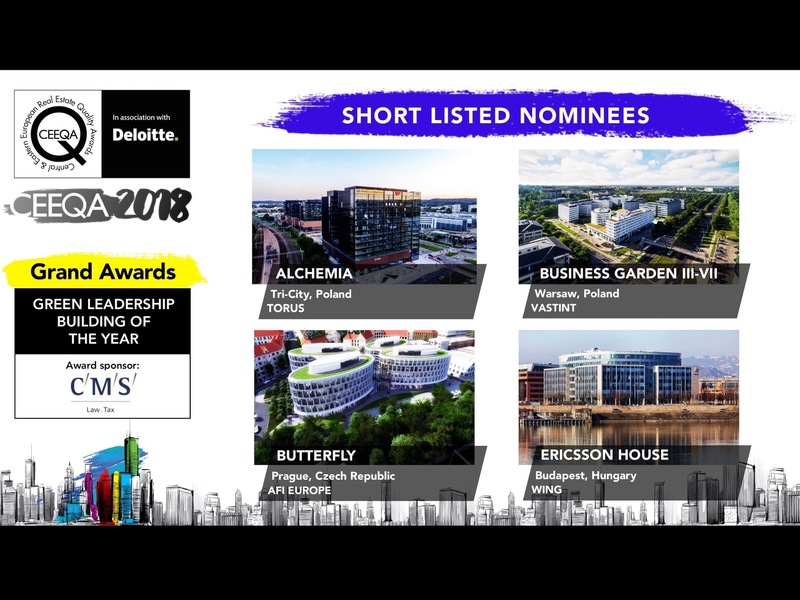 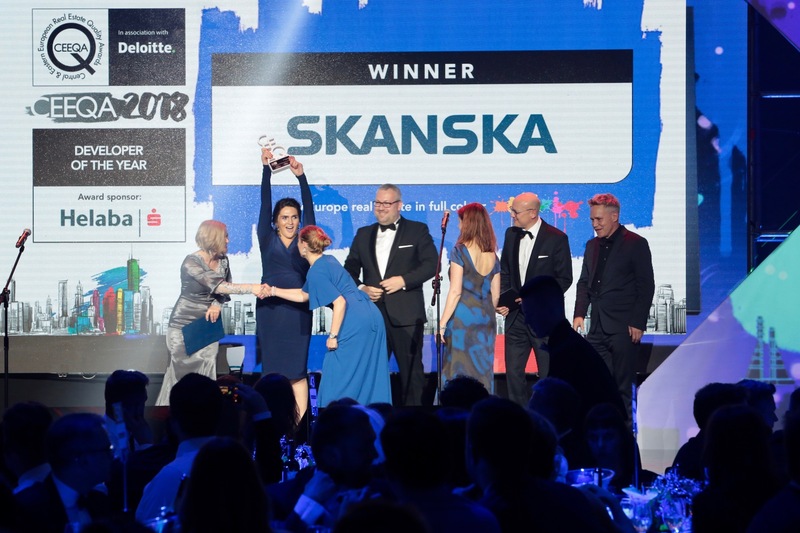 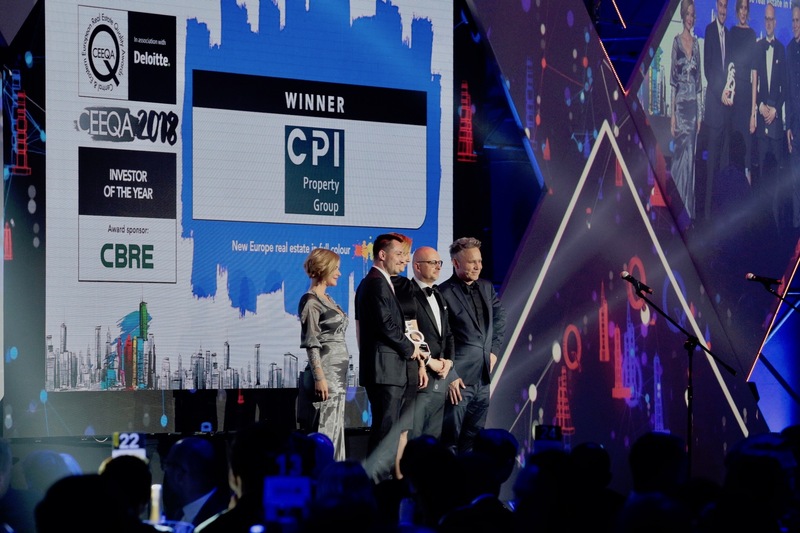 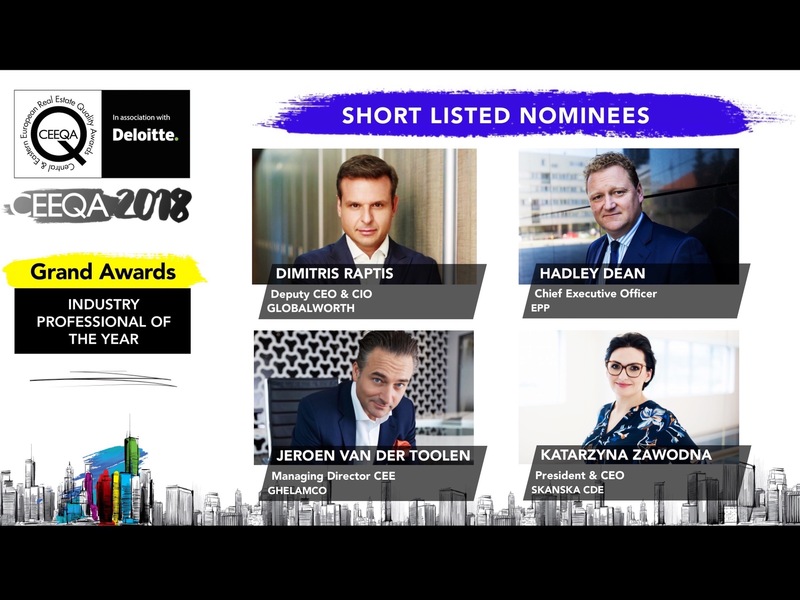 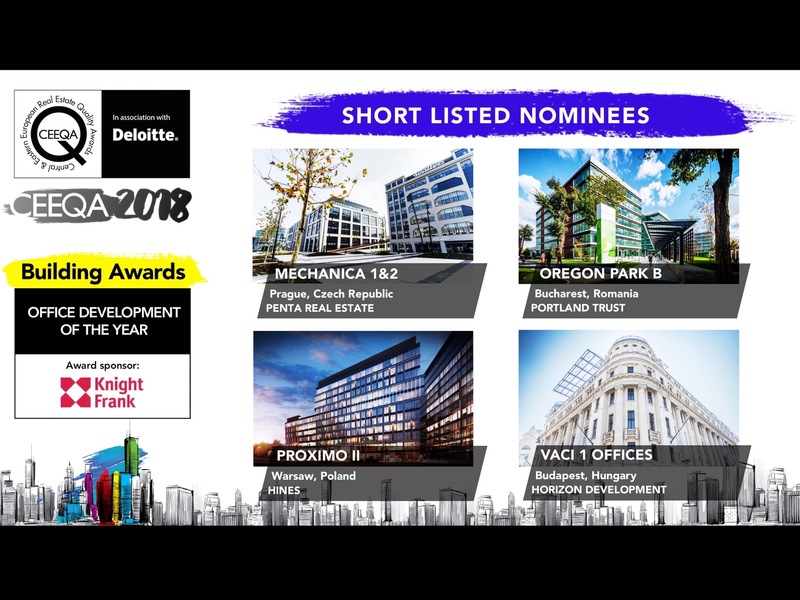 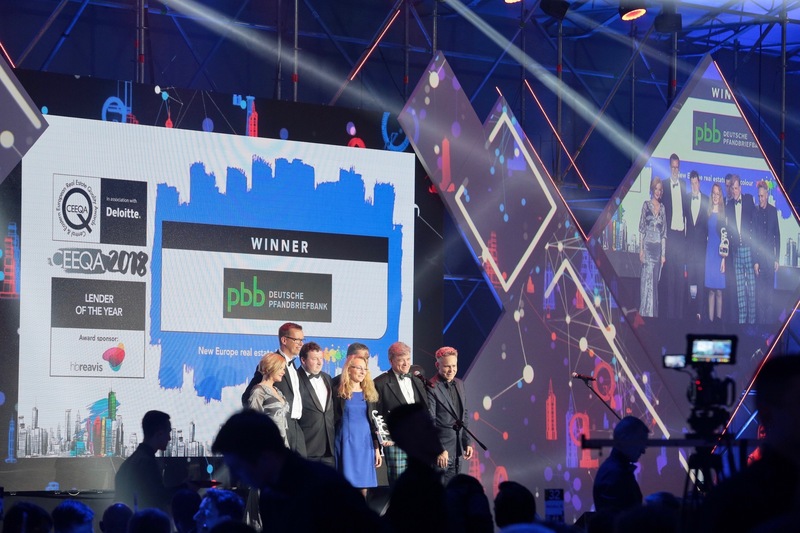 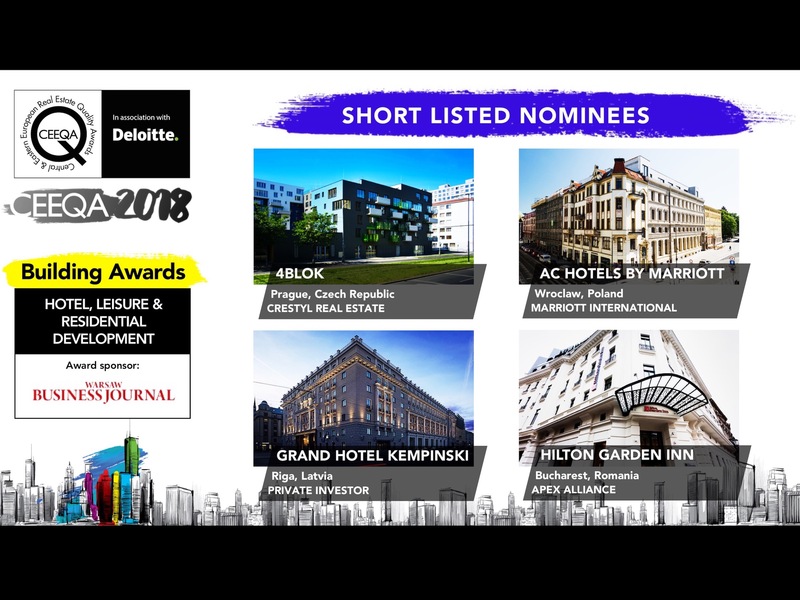 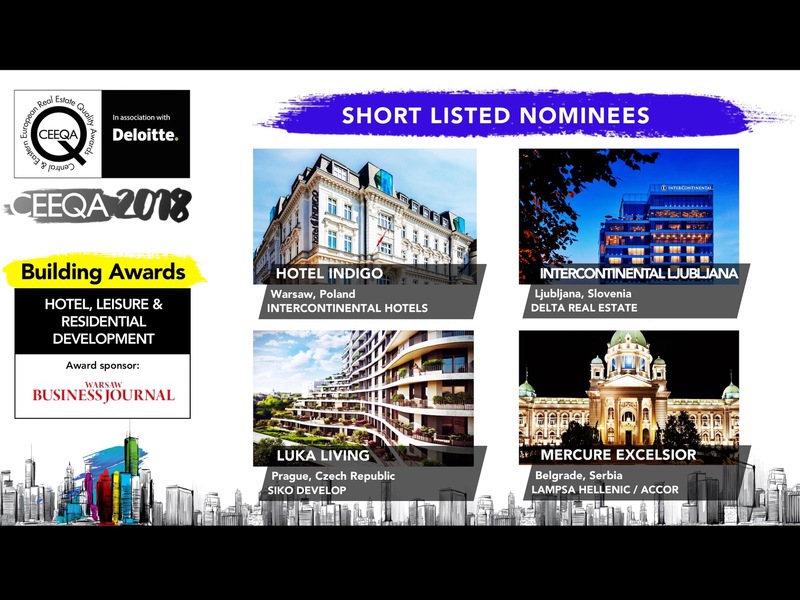 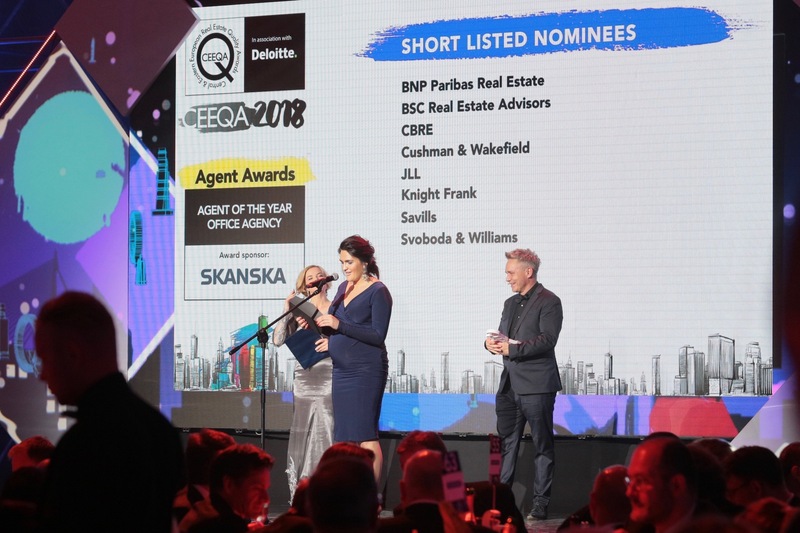 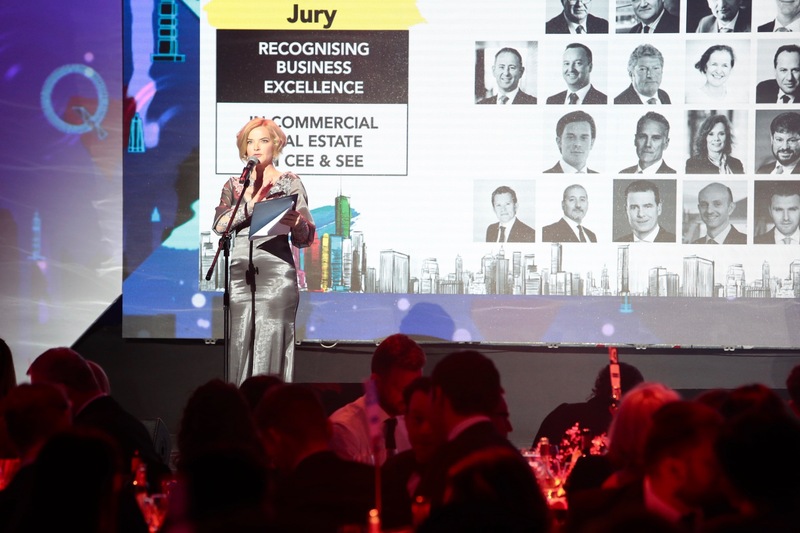 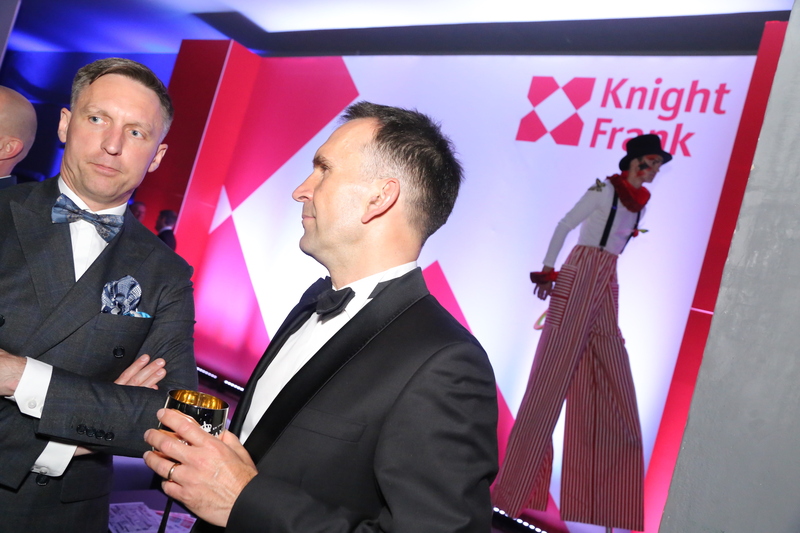 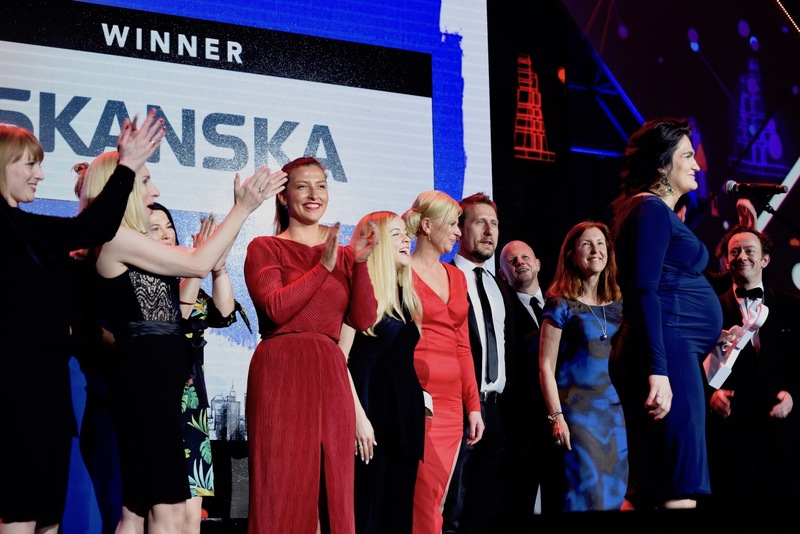 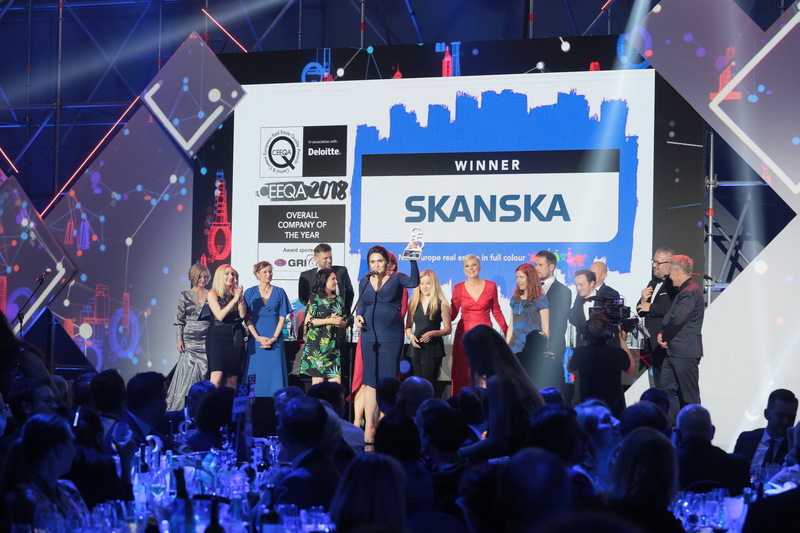 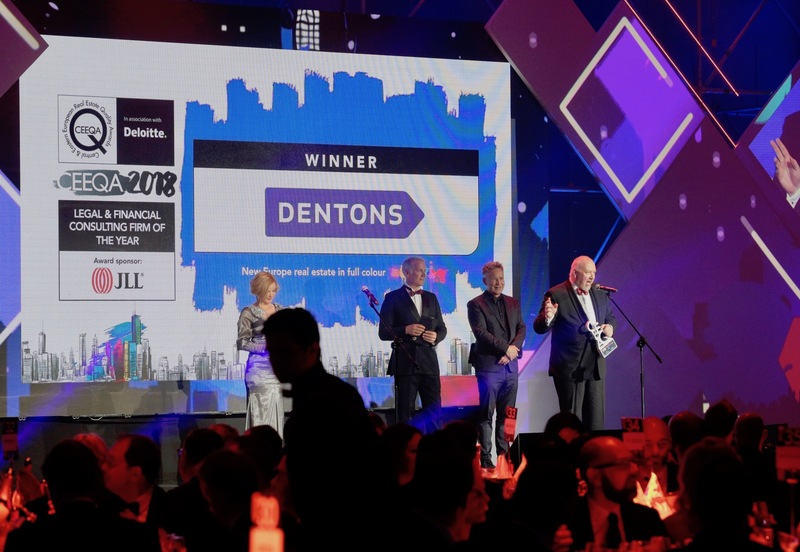 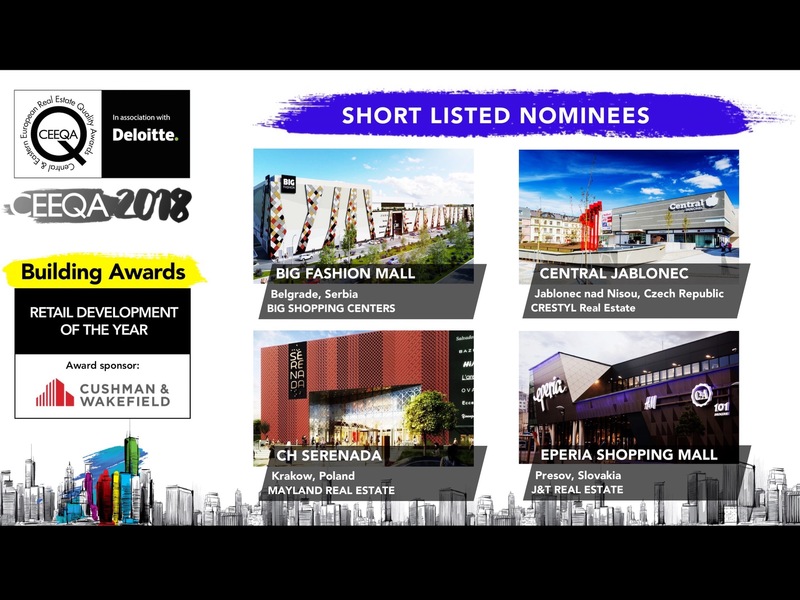 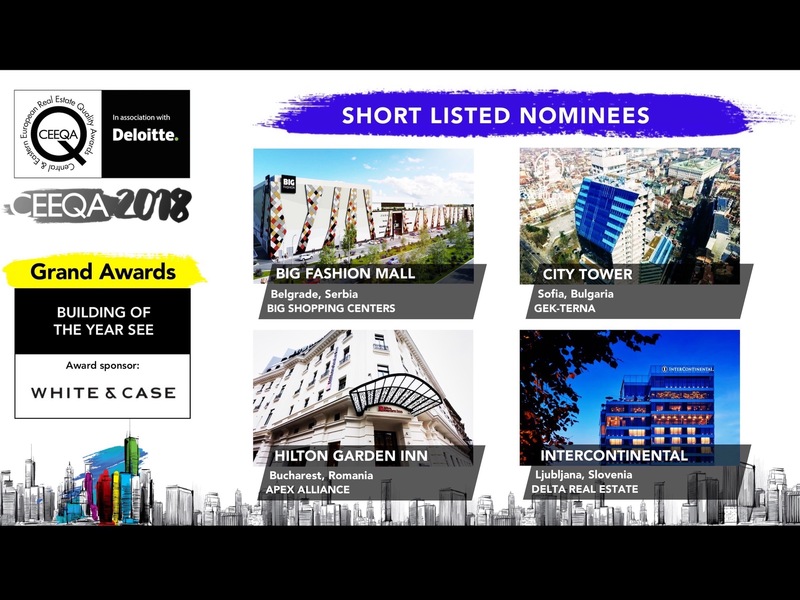 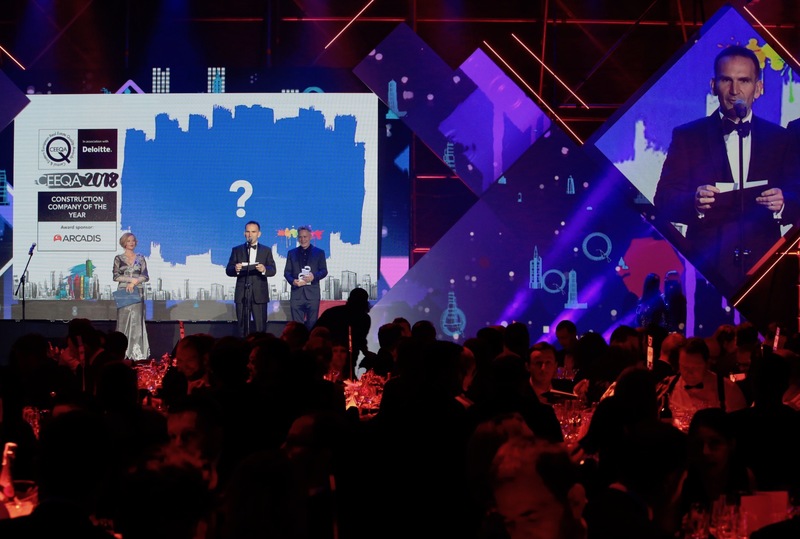 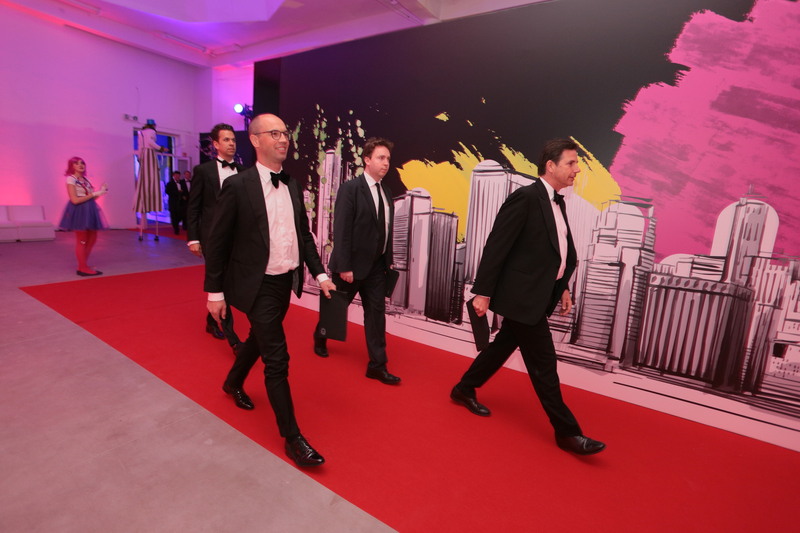 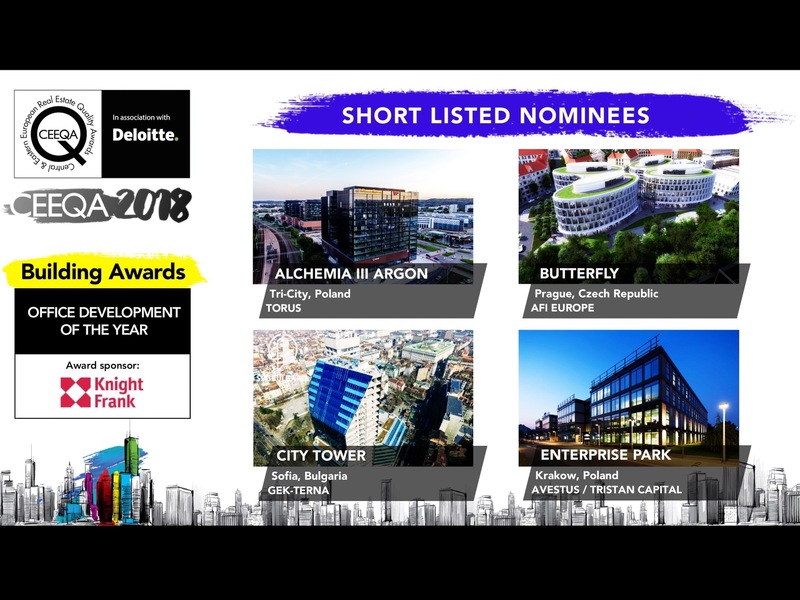 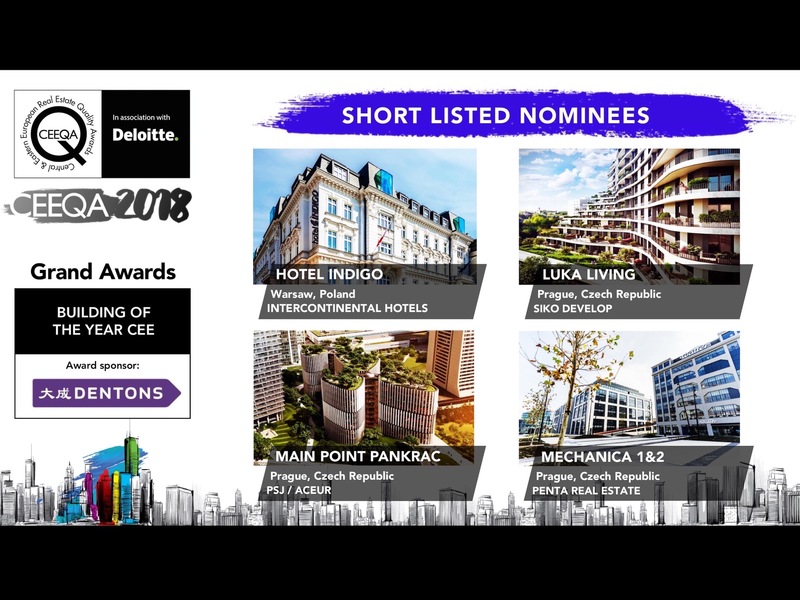 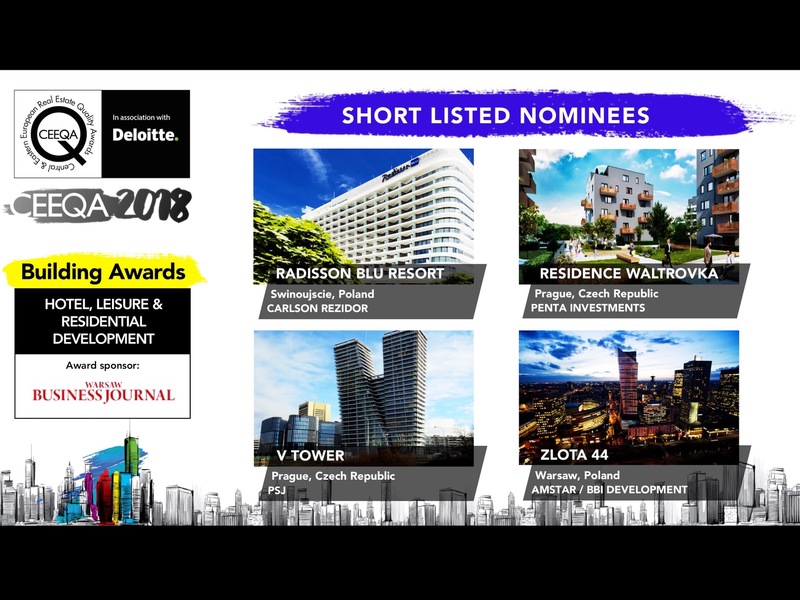 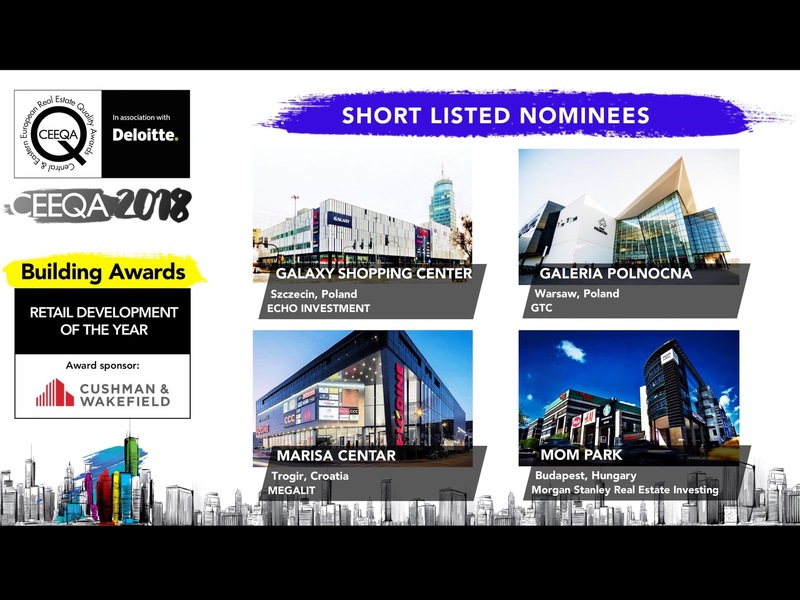 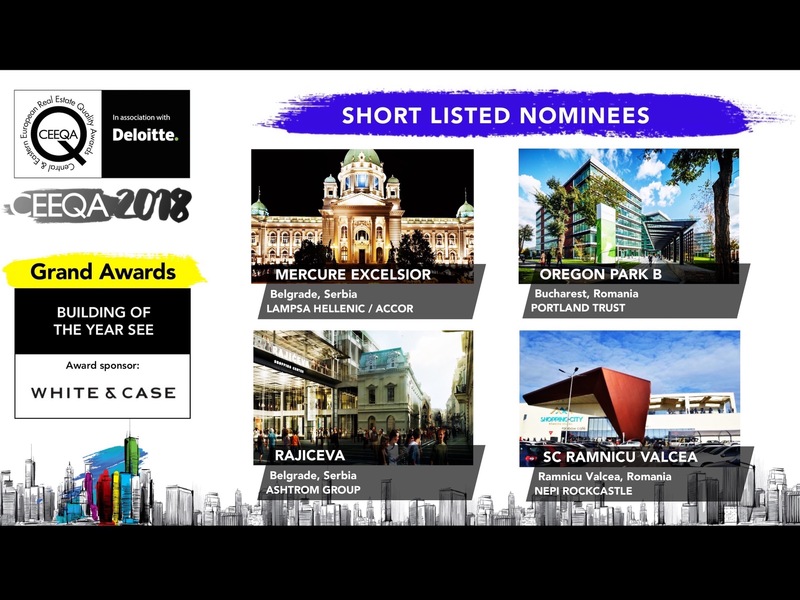 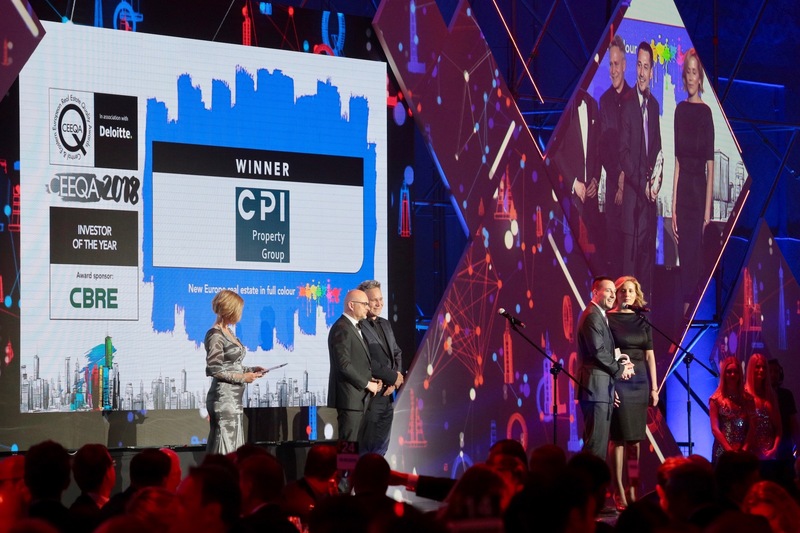 A group of the most experienced and influential operators across the CEE and SEE property markets judges entries for the awards. 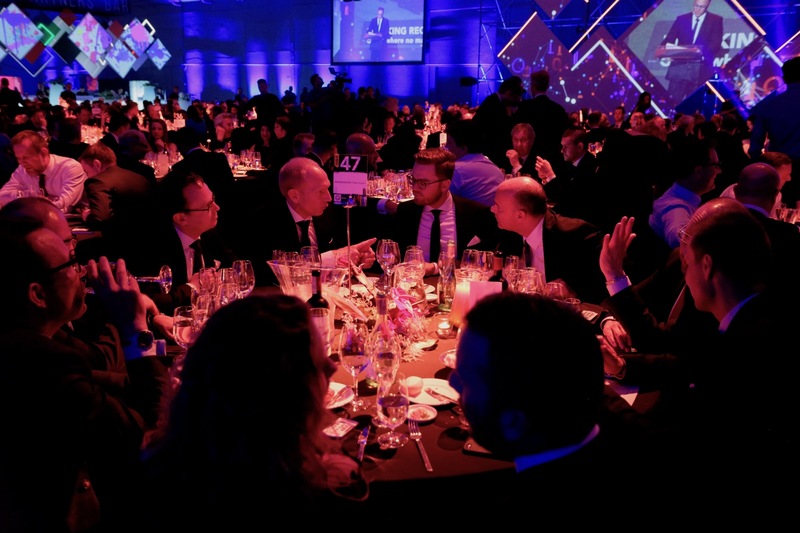 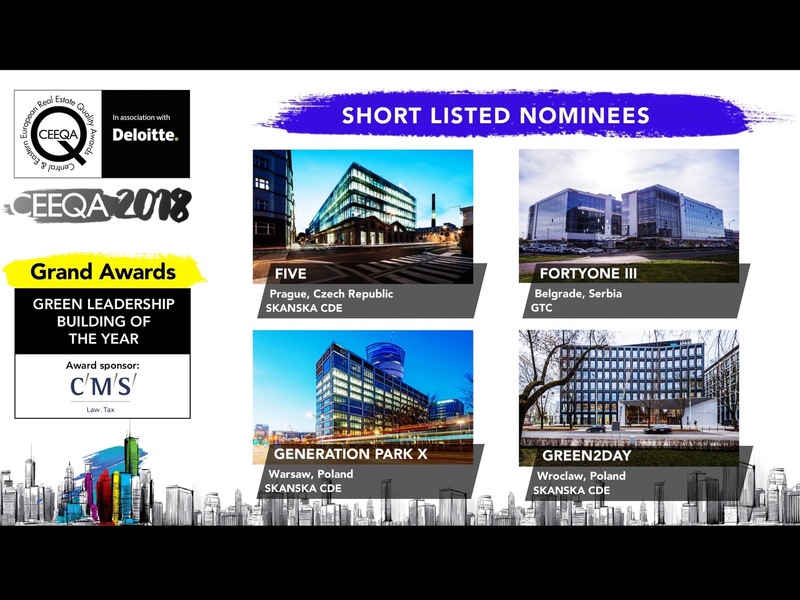 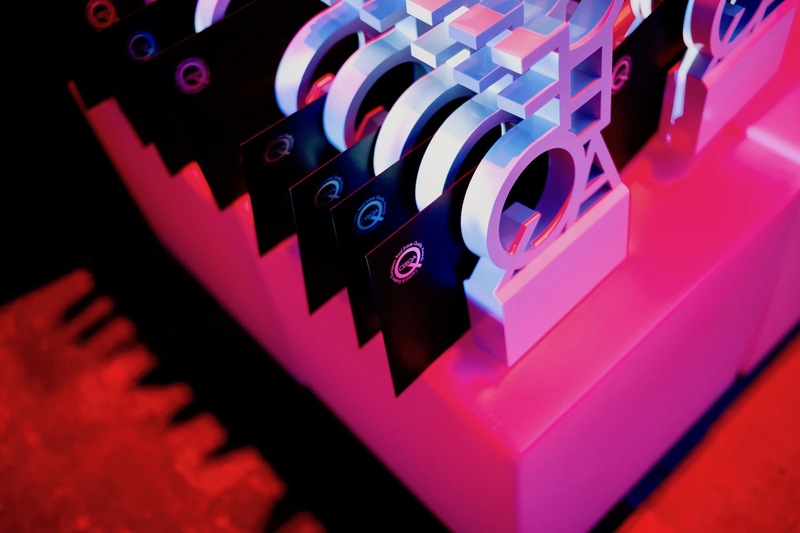 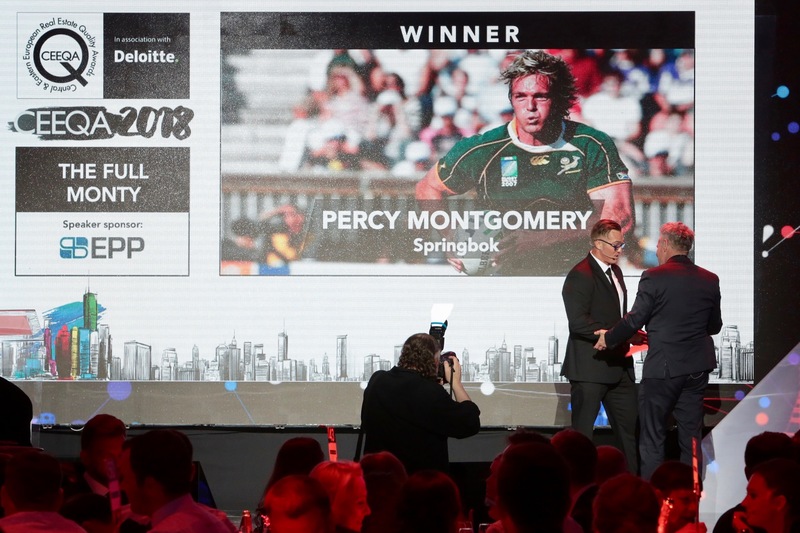 Each year a panel of judges is selected from senior management representatives of market leading companies active in the sector who are charged with nominating the candidates in 23 award categories before inviting them to submit entry forms, then assesses all entries to decide the short list and eventual winners through a detailed and rigorous procedure closely monitored by Deloitte. 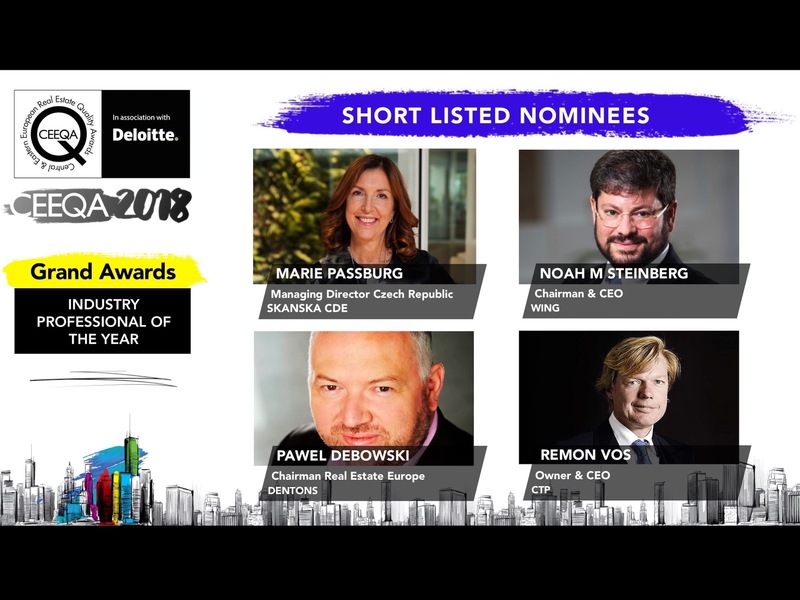 We’re proud to introduce the members of the 2018 jury and our thanks for their efforts and contribution. 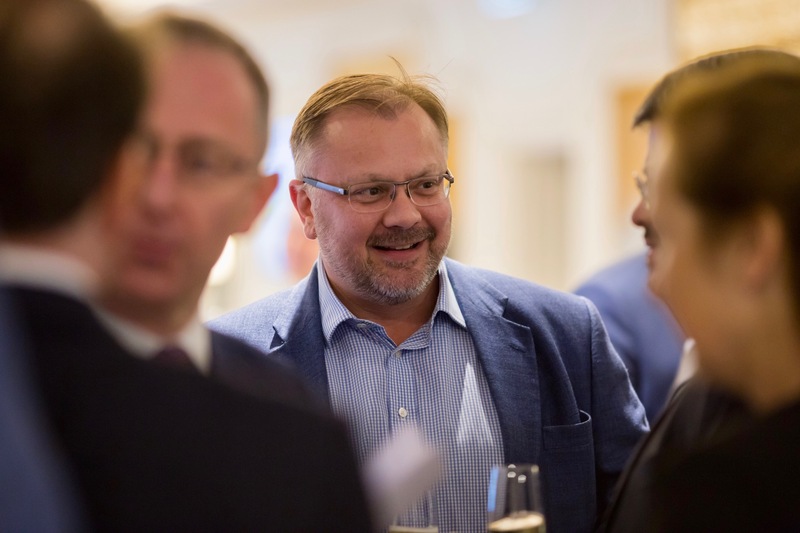 Aku Sorainen is the senior partner of a leading international law firm SORAINEN, which he founded in 1995 in Estonia and later expanded to Latvia, Lithuania and Belarus. 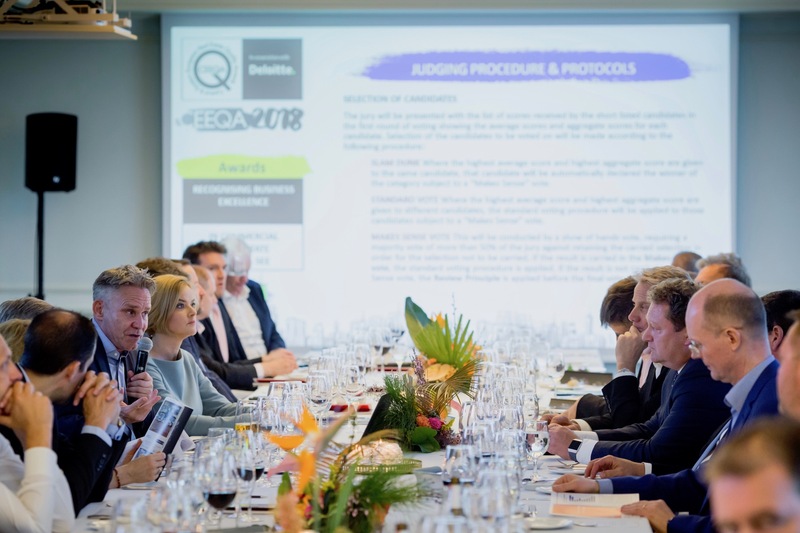 Today leading a partnership of 29 partners and over 180 lawyers in total, he has spent several intensive years in developing the organisation and quality management system of the firm. 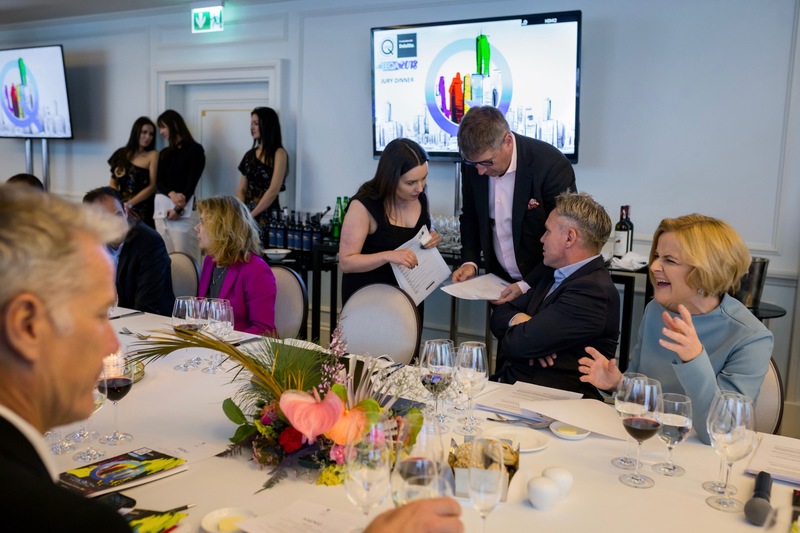 Aku is the senior vice-chairman of the Law Firm Management Committee at the International Bar Association, the global voice of the legal profession. 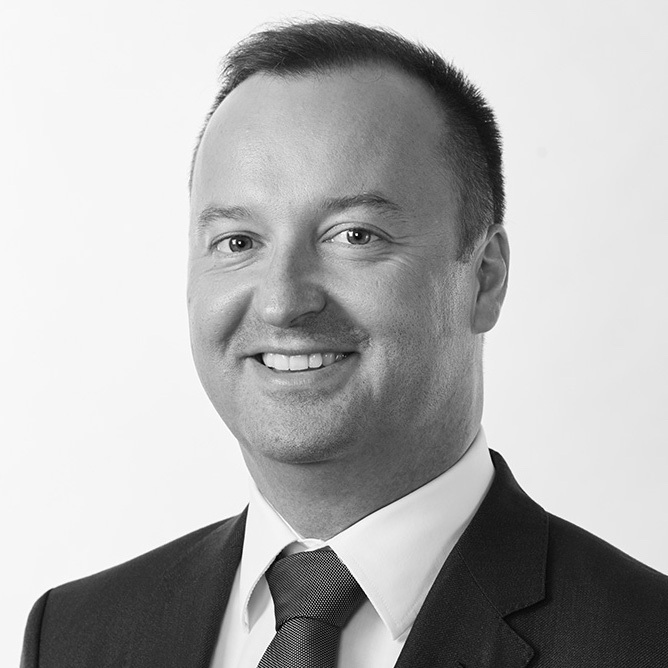 Andrew is currently head of the South Eastern European region for JLL. 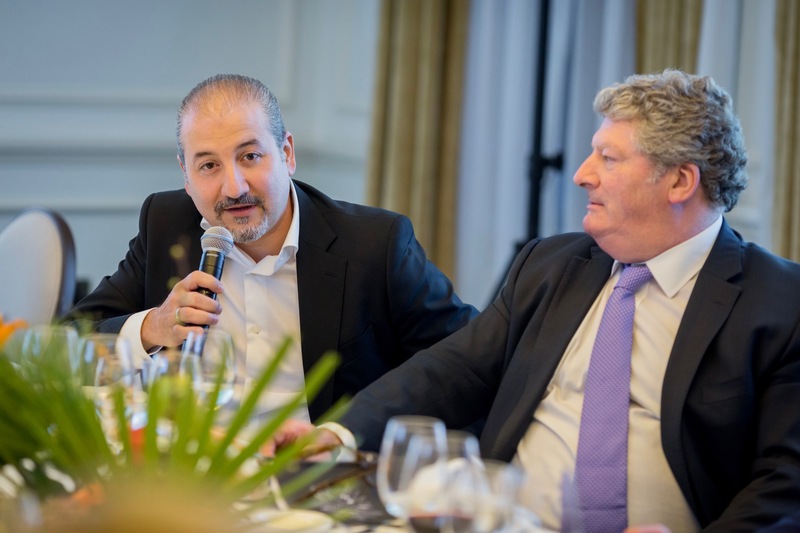 Based between the firm’s offices in Bucharest and Belgrade he has overall responsibility for JLL’s operations encompassing work across 9 countries in the region. 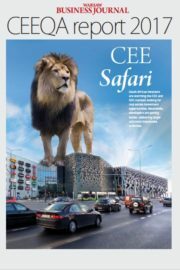 He is also a member of the CEE Management Board. 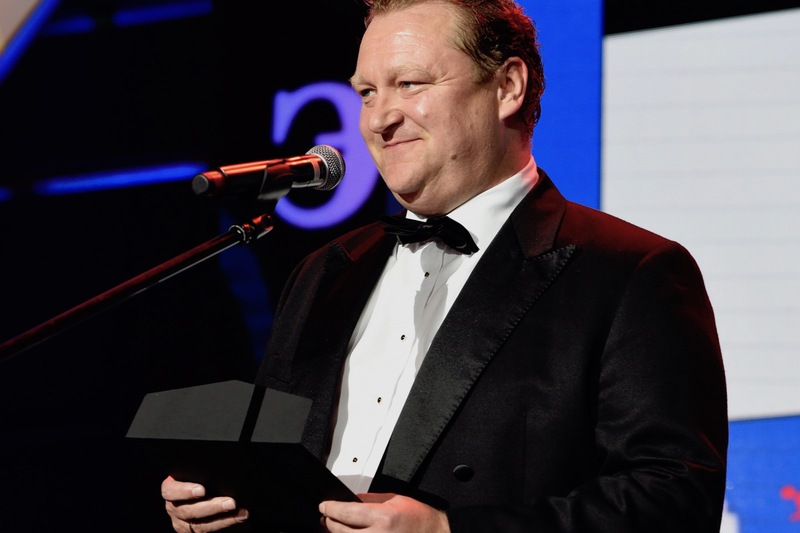 Andrew joined the firm (then as King Sturge) in 2001 in the UK, and in 2004 he relocated to the Prague office to head the office and industrial leasing teams across the Czech Republic and Slovakia, working with a number of international and domestic developers leasing some of the largest office schemes in the region. 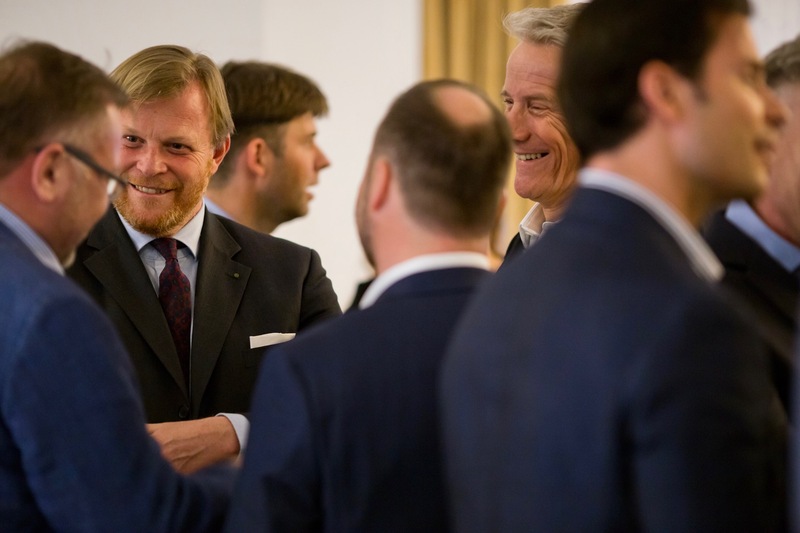 In 2011, upon the merger of JLL and King Sturge, Andrew relocated to Belgrade to run the newly formed SEE regional hub, focusing on 4 key markets of Bulgaria, Croatia, Serbia and Slovenia. 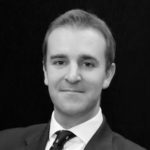 In 2015 Andrew expanded his role in the region by taking on overall responsibility of the SEE Region to include Romania. Today he manages the JLL office in Belgrade and oversees the office in Bucharest. 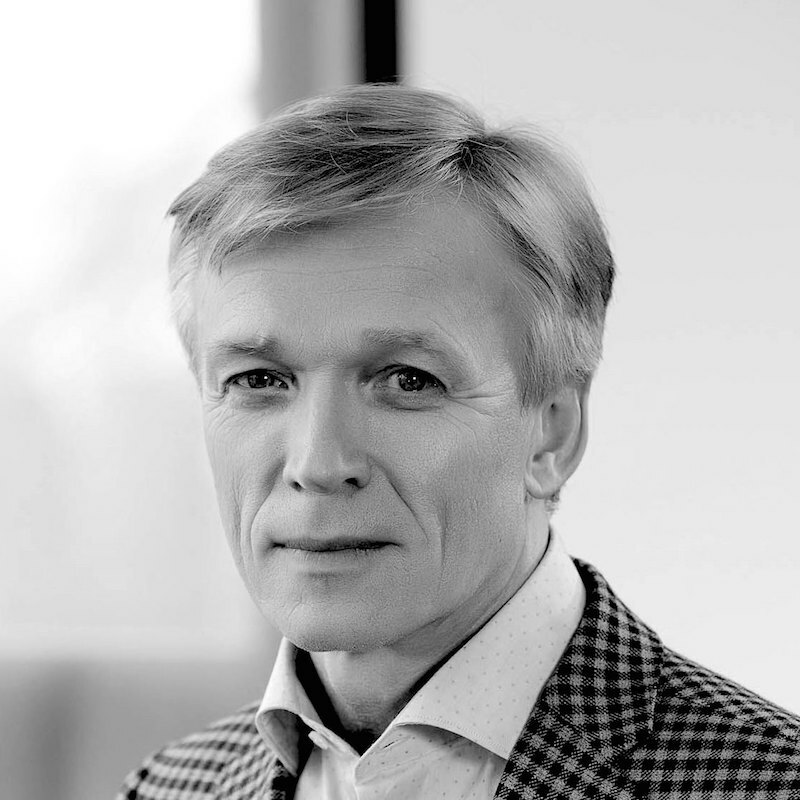 Arvydas obtained a master degree of Civil Engineering from Vilnius Gediminas Technical University in 1978. 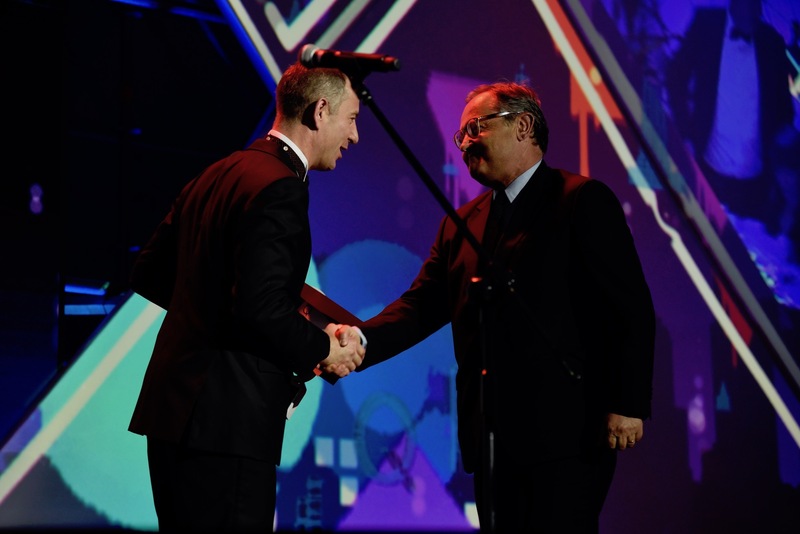 In 1991 Arvydas established AB Hanner, and from 1995 the company commenced investment in real estate. 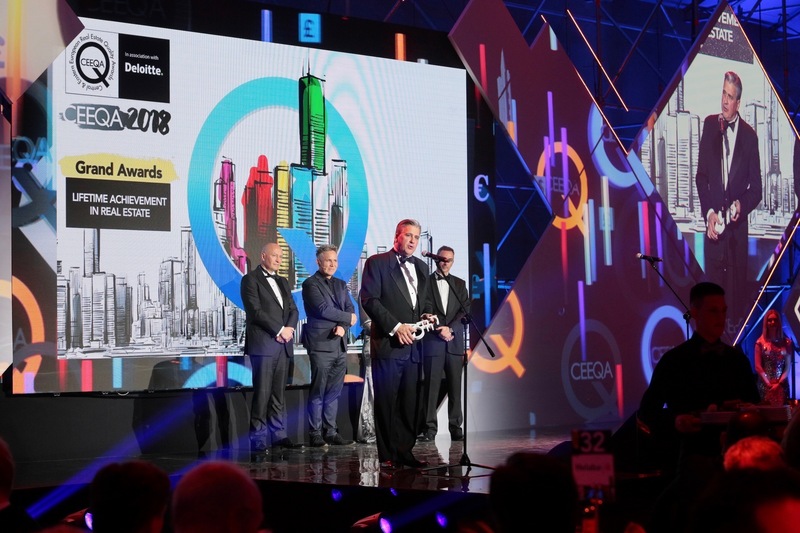 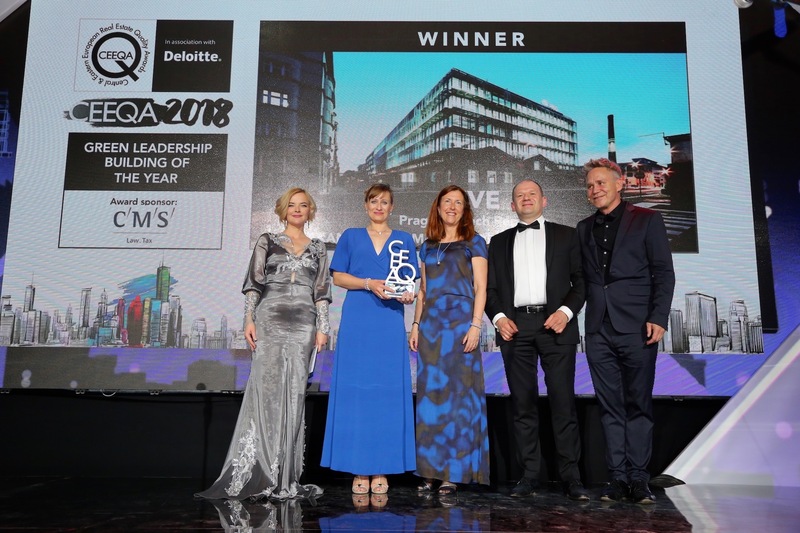 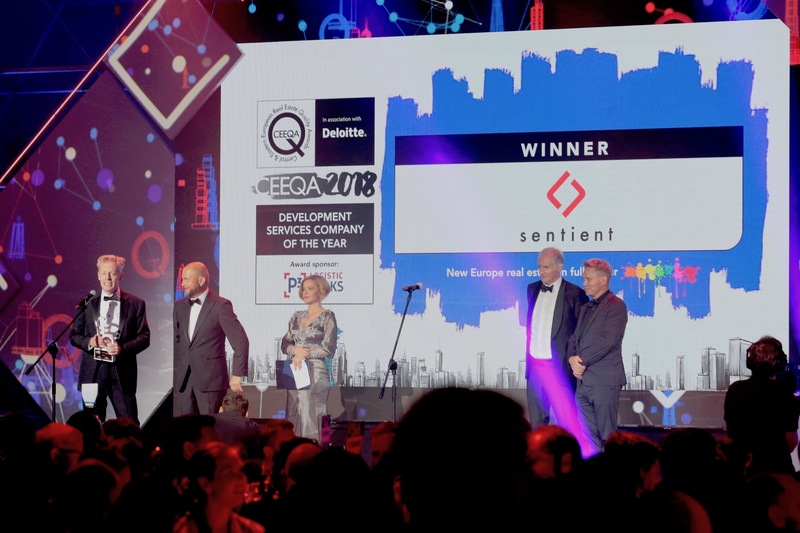 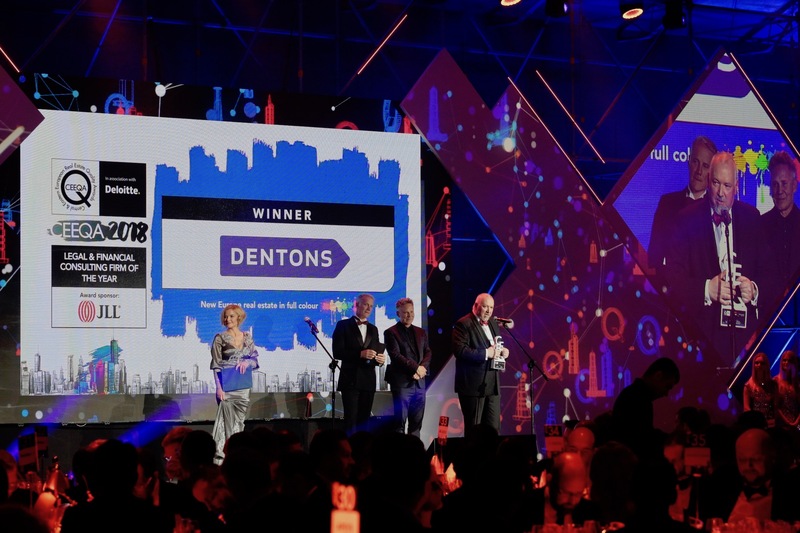 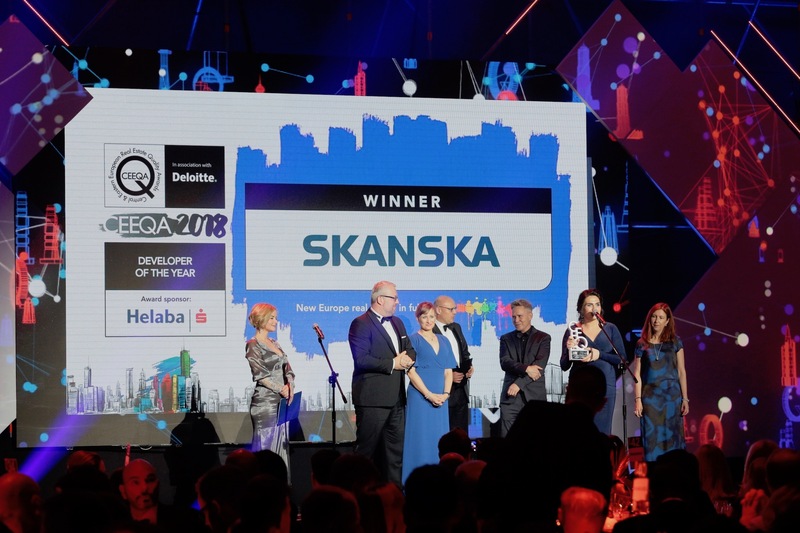 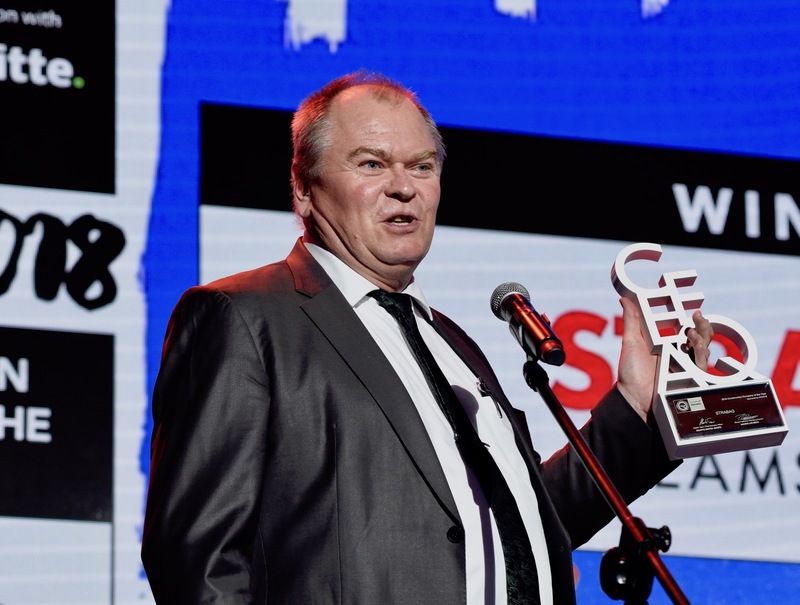 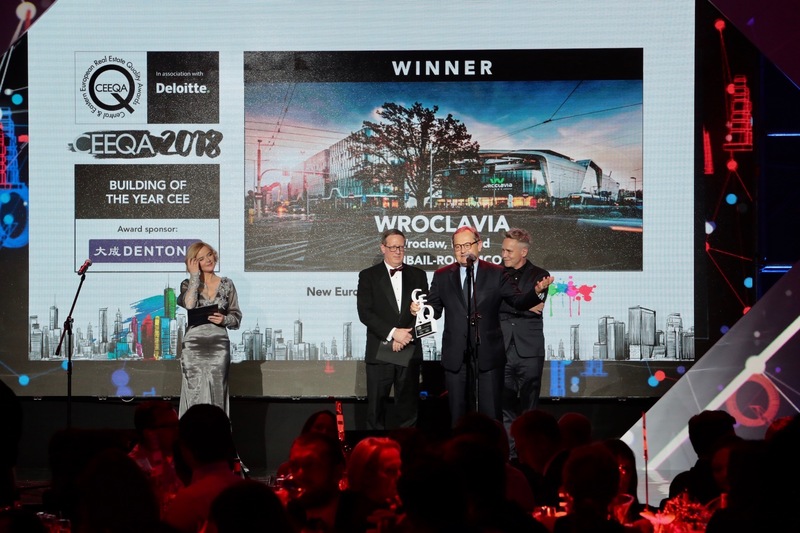 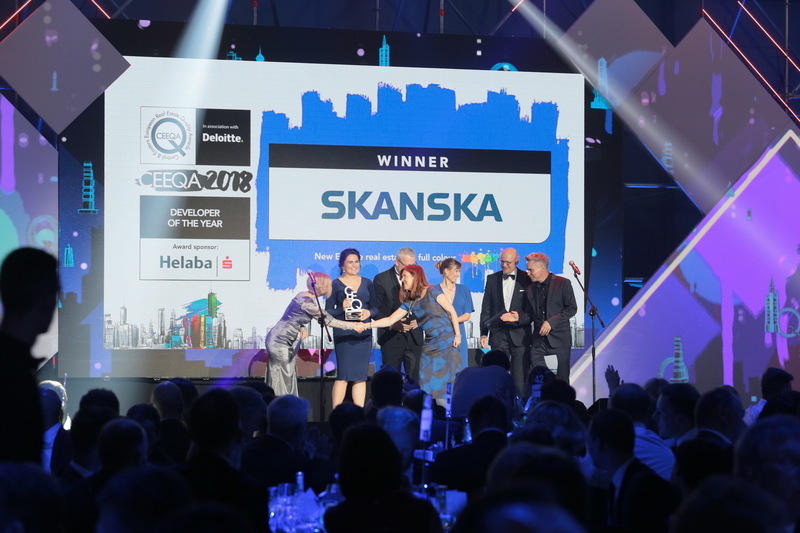 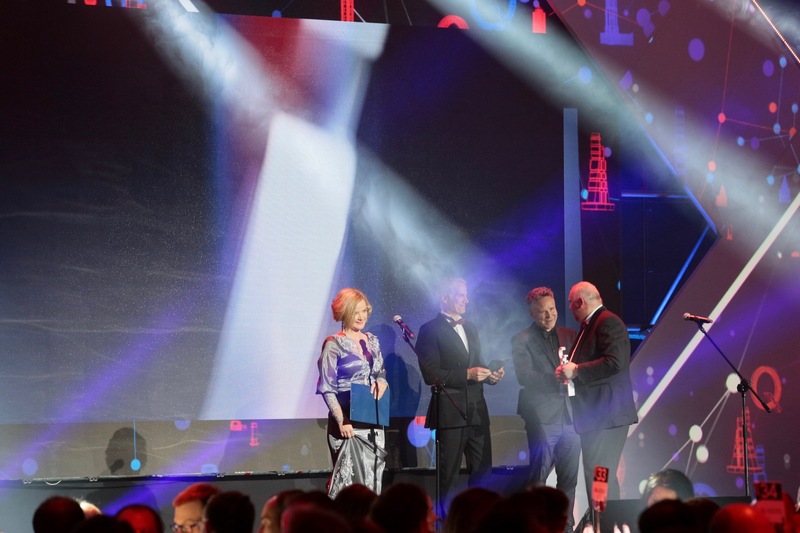 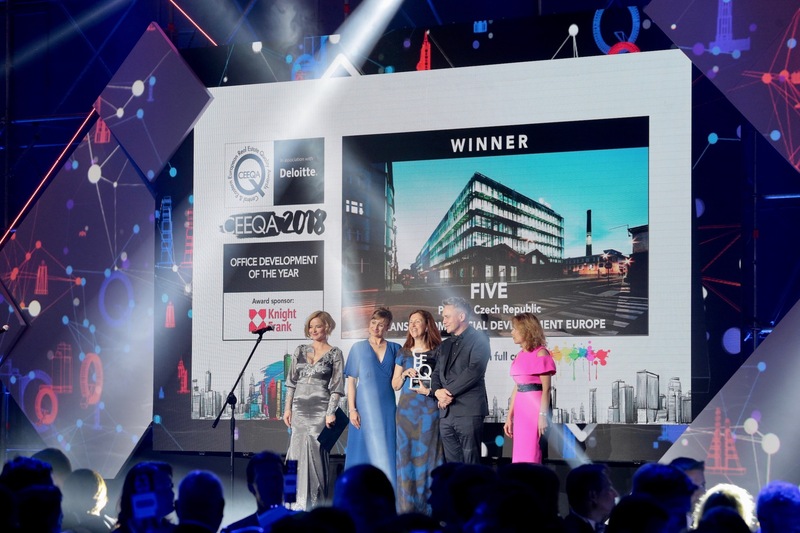 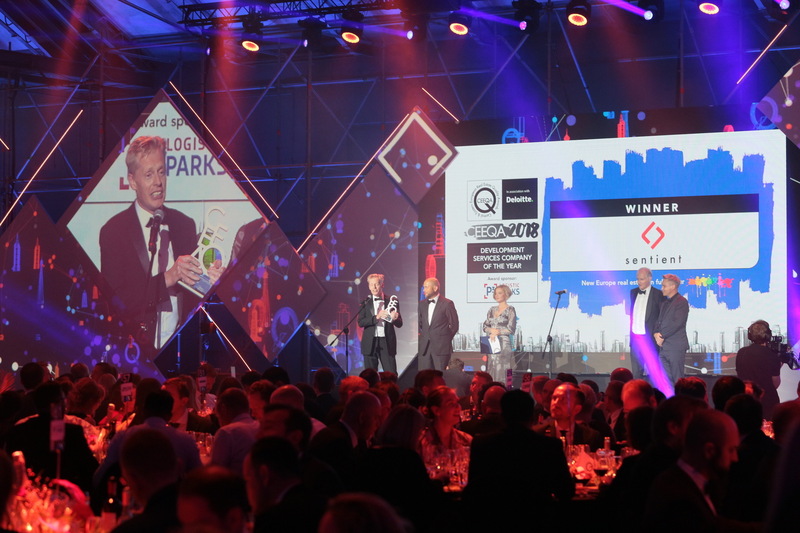 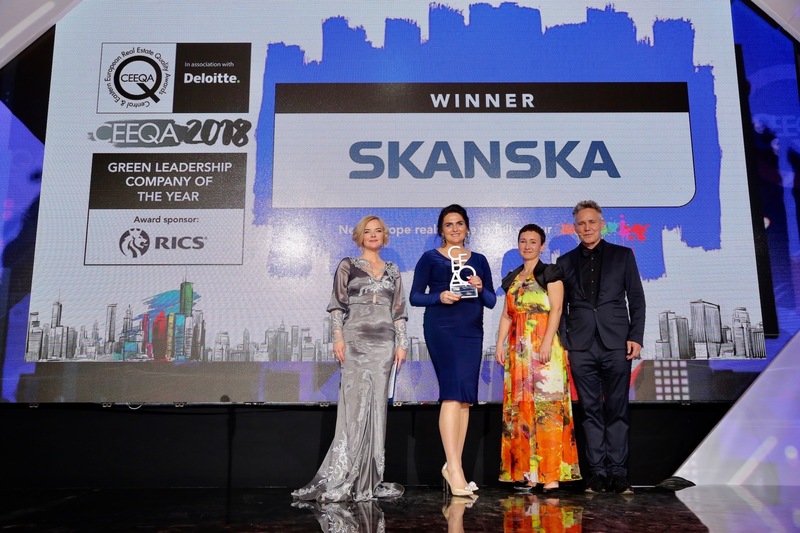 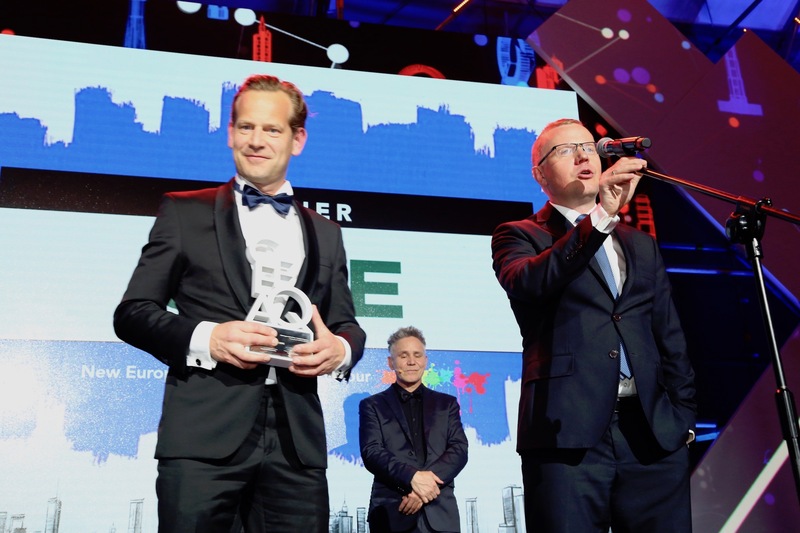 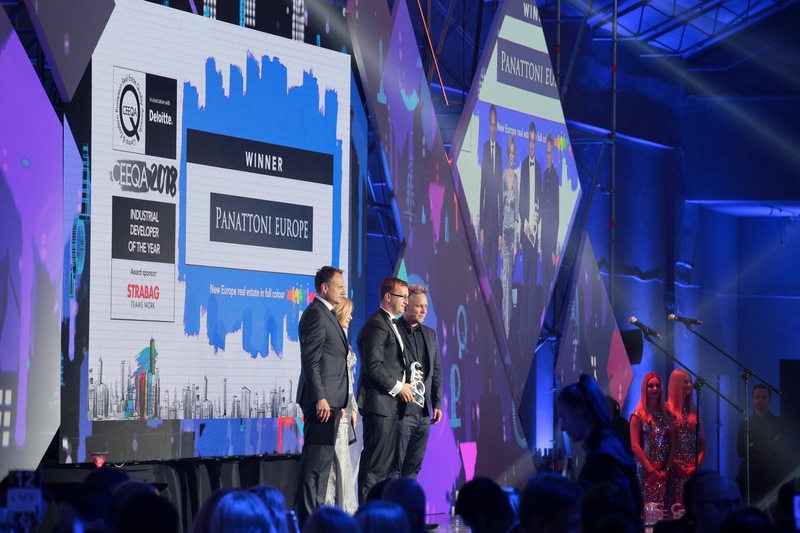 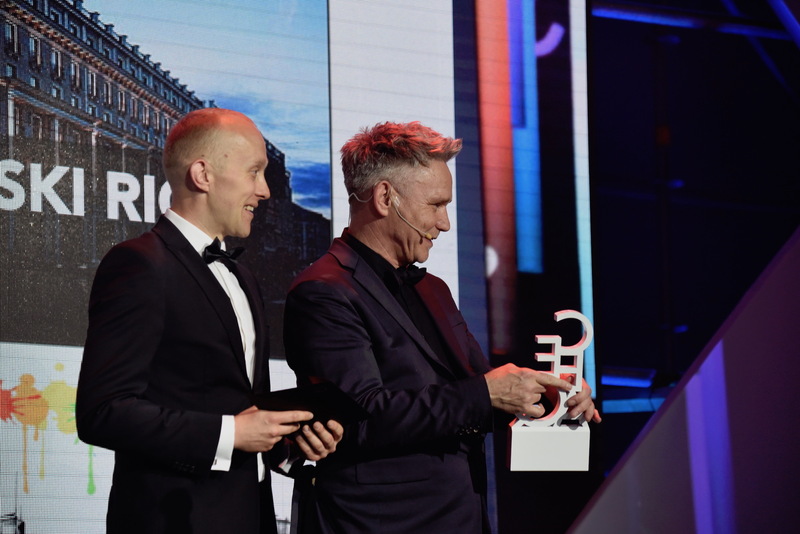 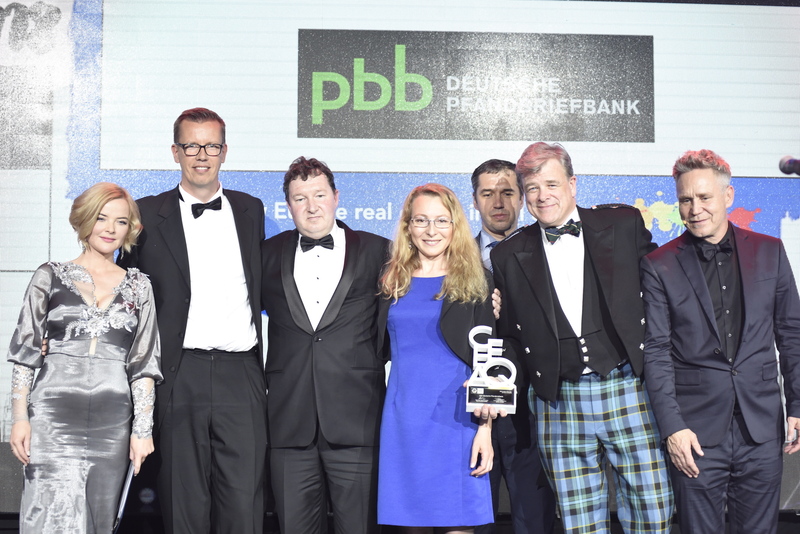 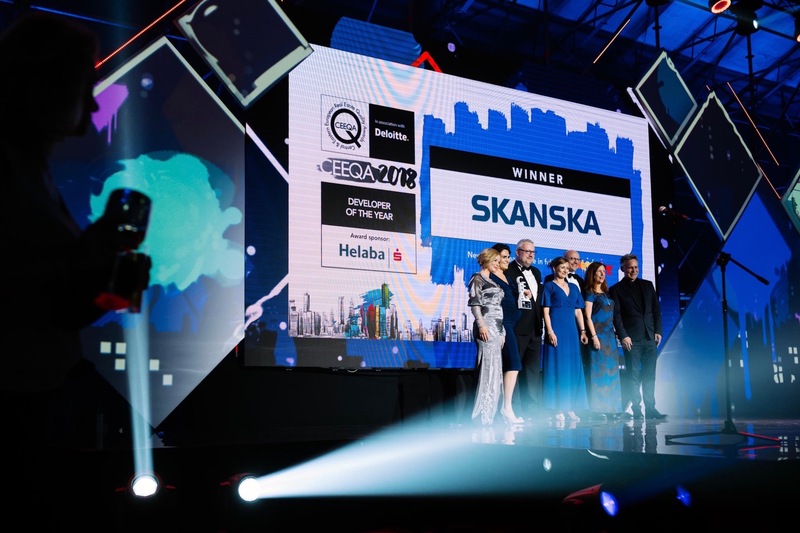 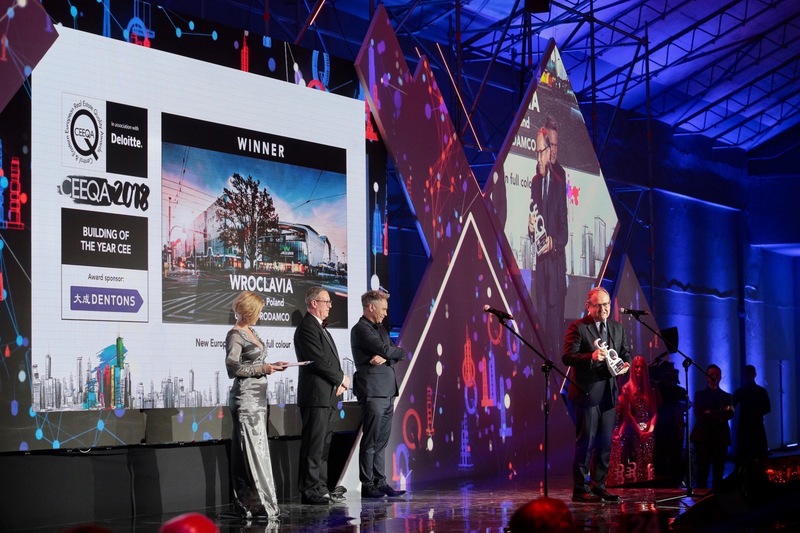 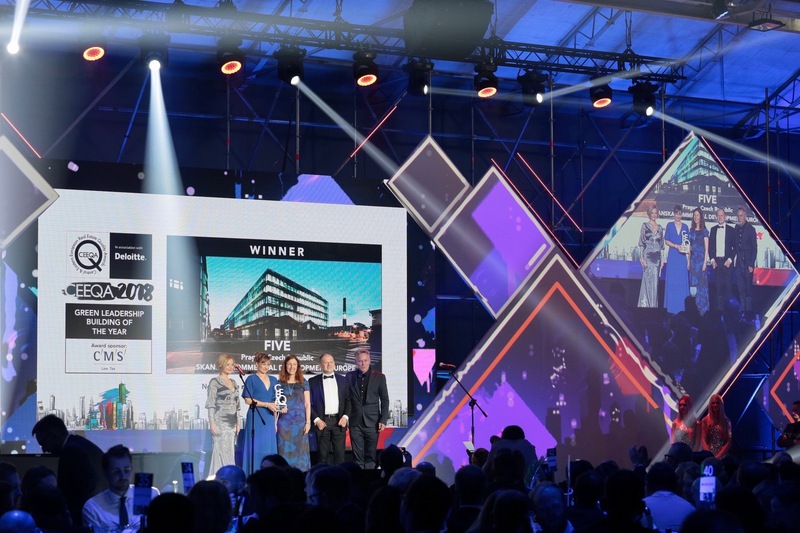 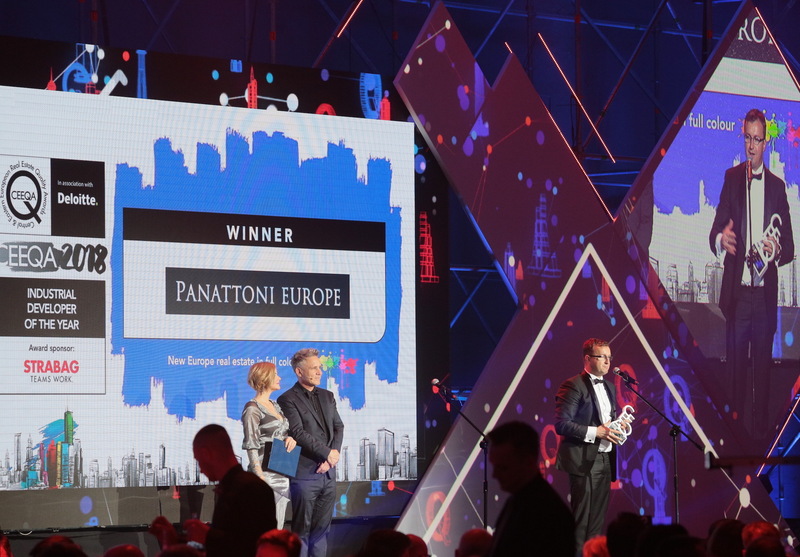 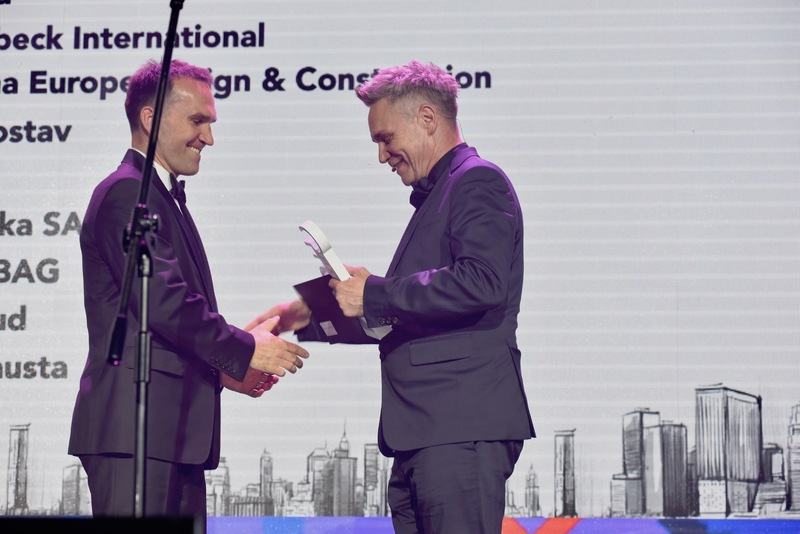 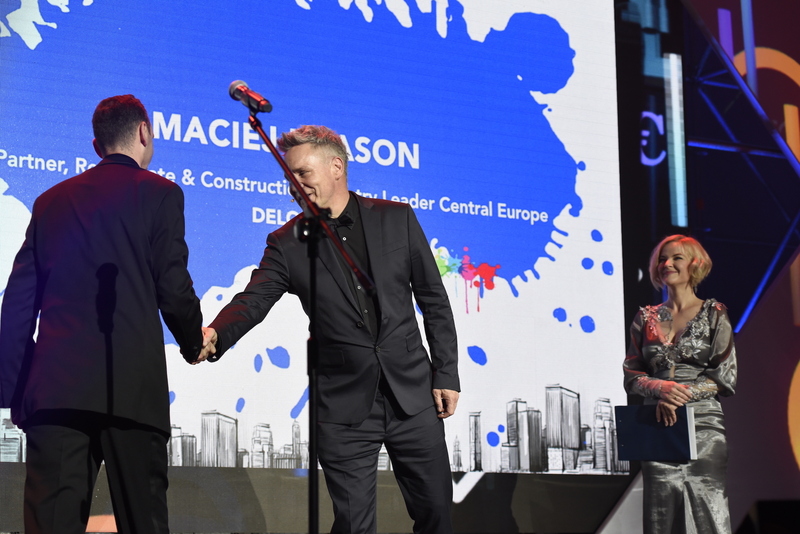 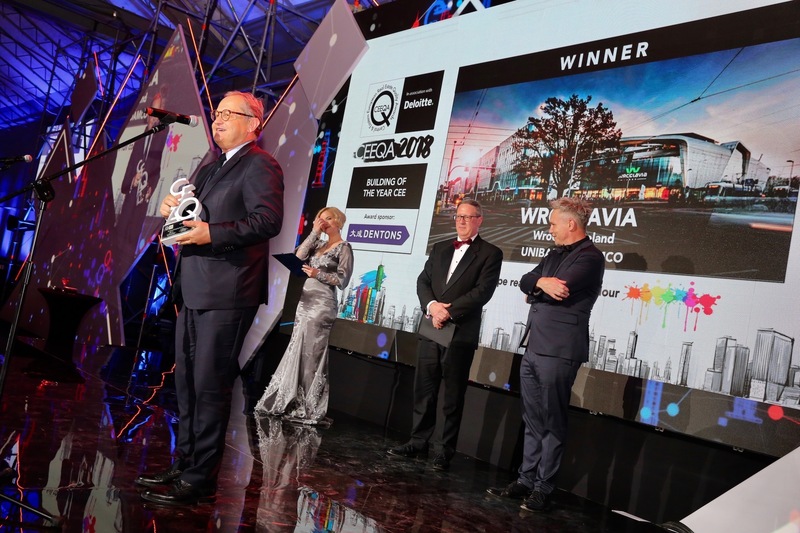 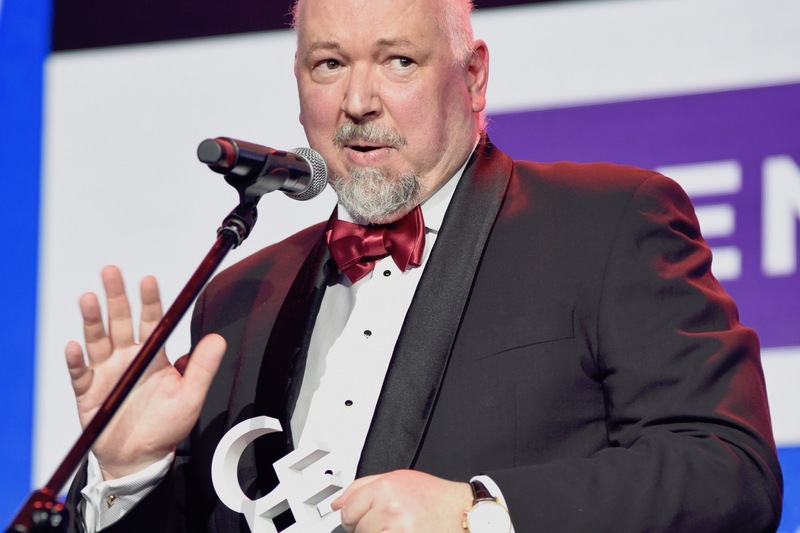 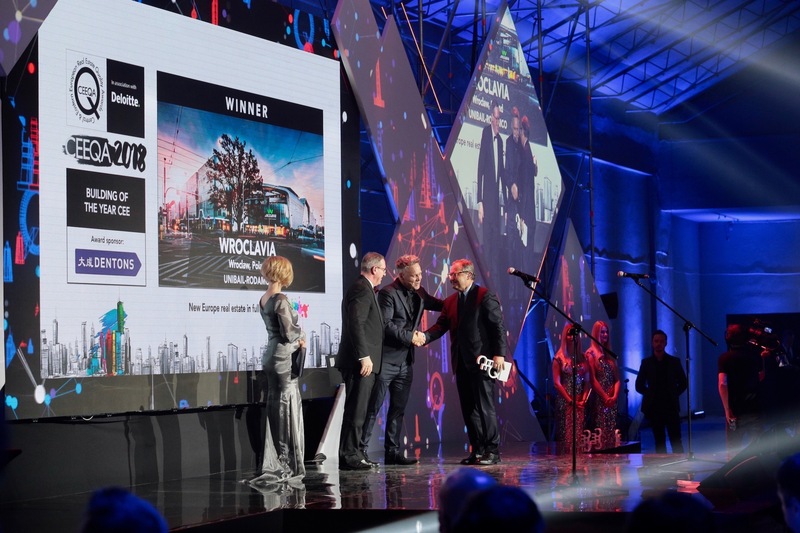 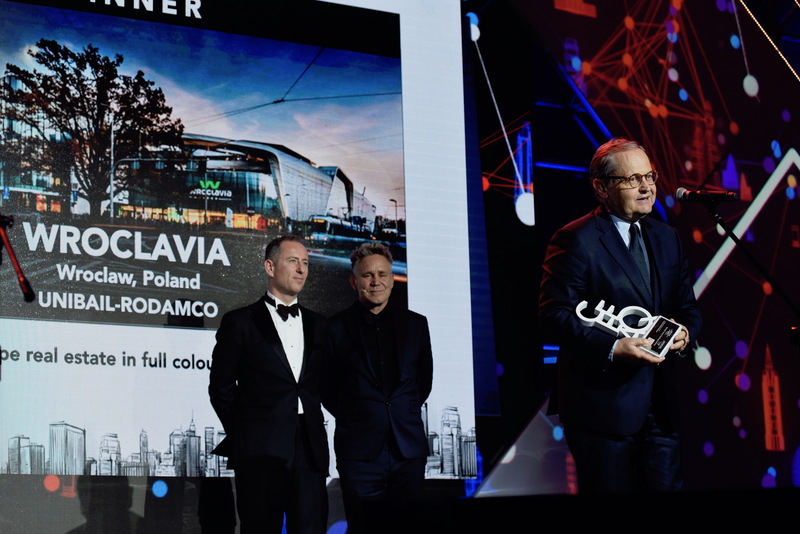 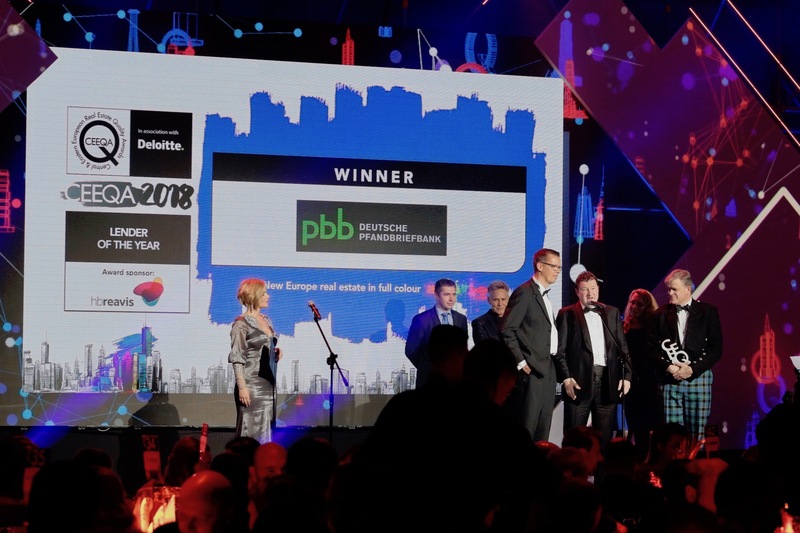 AB Hanner grew into leader of Baltic region and in 2004 received a CEEQA award for mixed use real estate development of the year for the Europa project in Vilnius. 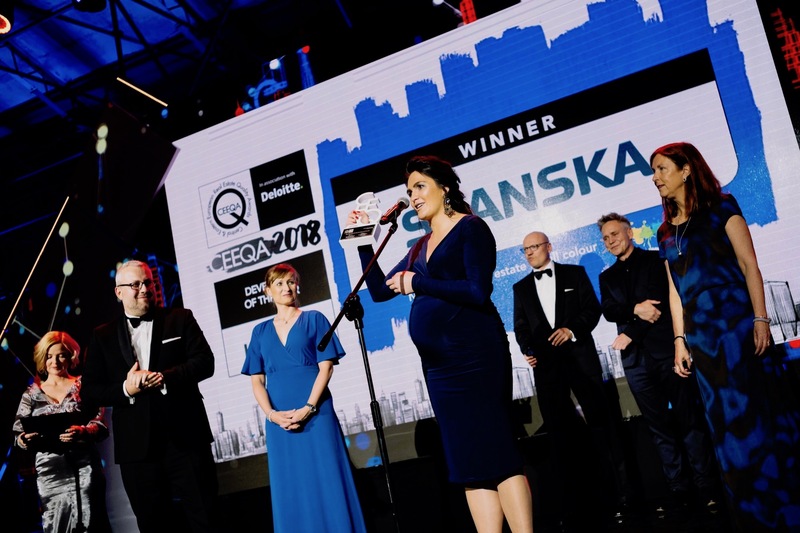 From 2005 AB Hanner started investment in foreign markets and currently develops projects in four countries – Lithuania, Latvia, Ukraine, Romania, and completed a project in Russia. 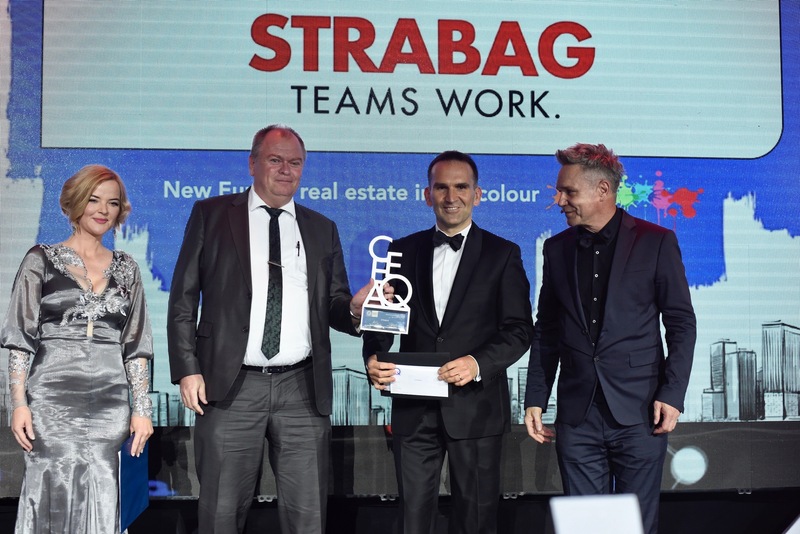 Managing Director of STRABAG Real Estate in Poland. 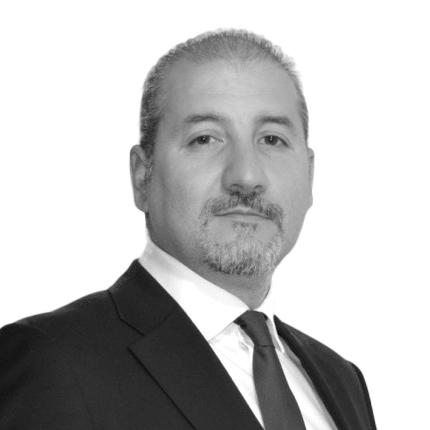 He has 20 years of experience in the real estate sector, working i.e. 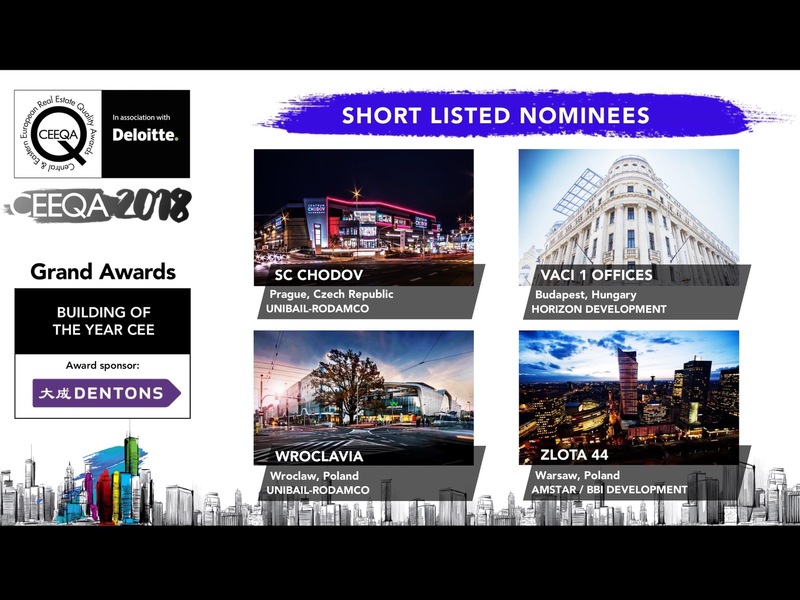 as a manager in the field of property development and office facility financing for both Polish and international developers. 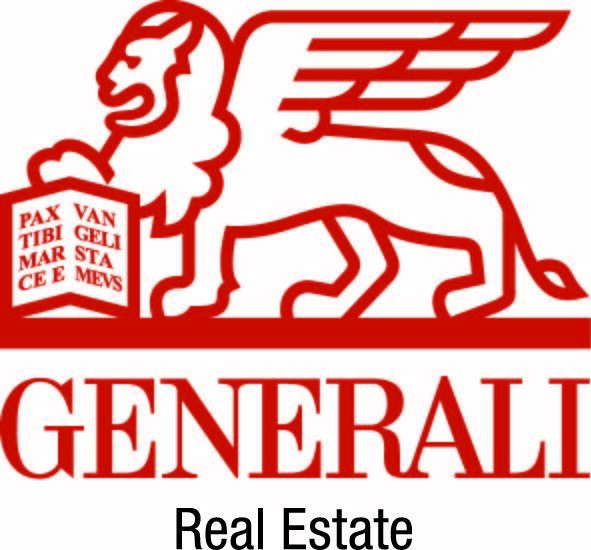 Licensed real estate broker with a degree in property valuation. 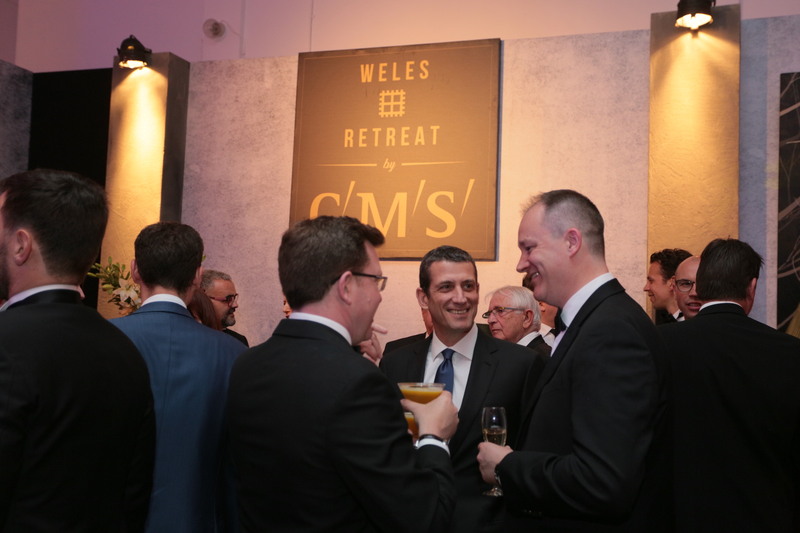 Member of RICS and CCIM professional institutes. 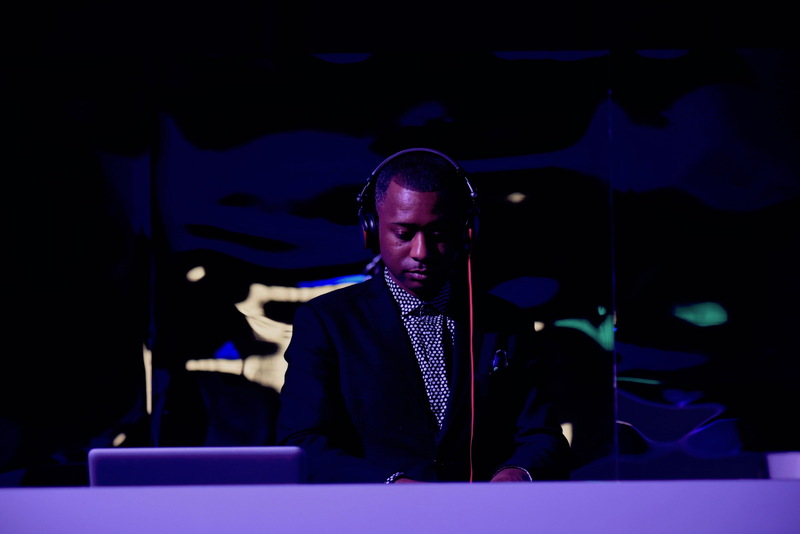 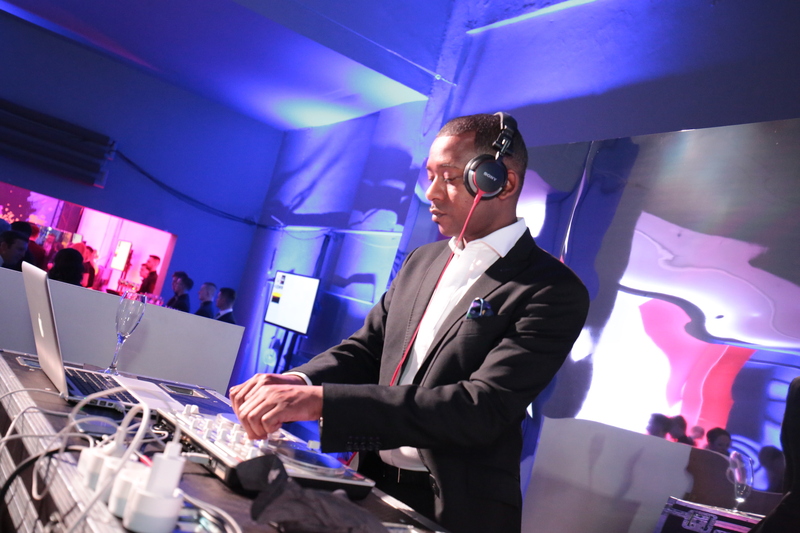 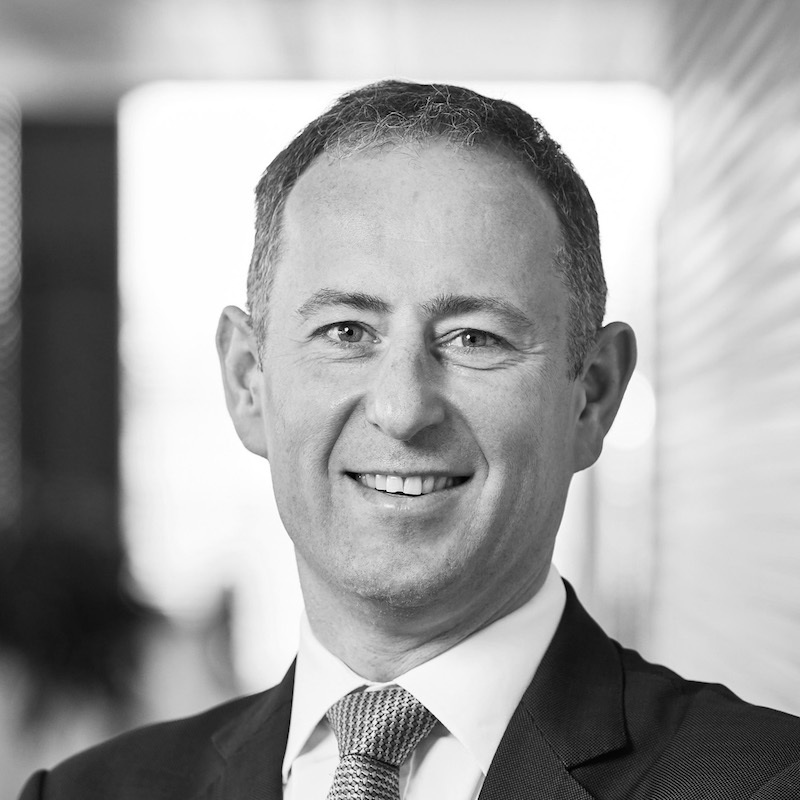 Bryan is a Partner and one of the co-founders of Wilsons (formerly Wilson & Partners). 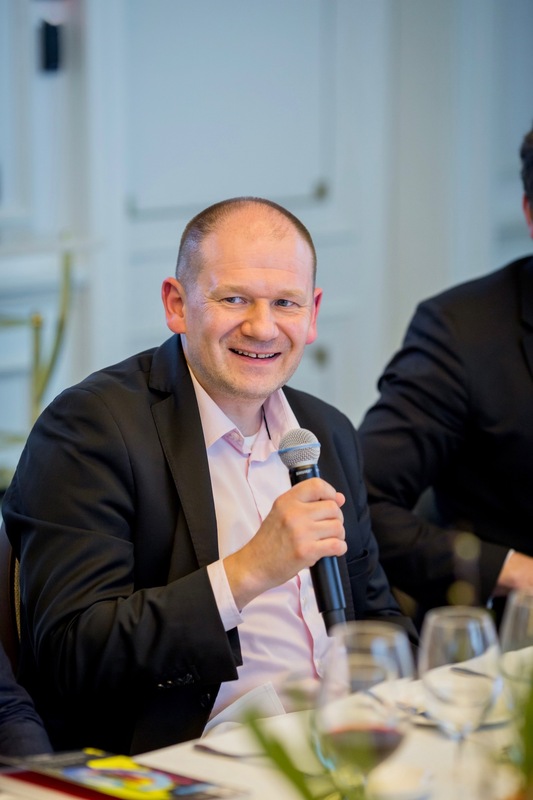 Having moved from Linklaters in London in 2001 to the Prague office of Linklaters he was appointed Head of CEE Real Estate in 2004. 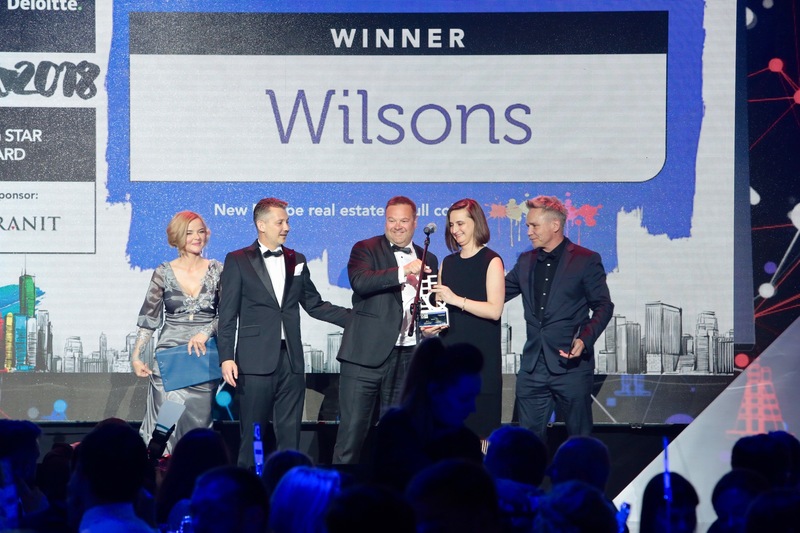 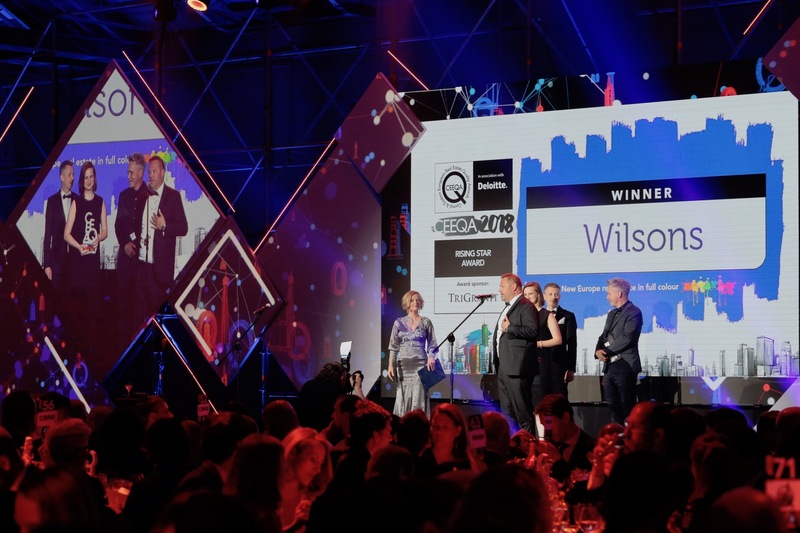 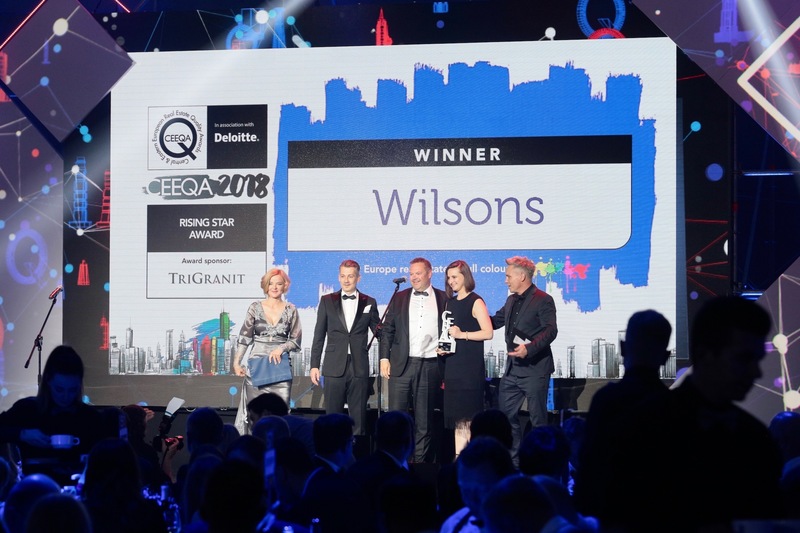 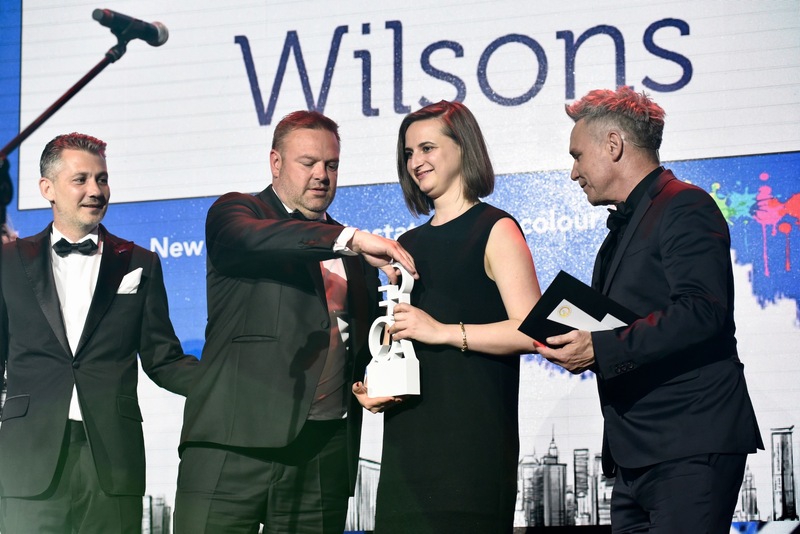 In 2007 he left Linklaters to set up Wilsons which has risen in stature to become one of the leading real estate law firms in the Czech Republic and Slovakia, being ranked in Tier 1 of both Chambers and the Legal 500. 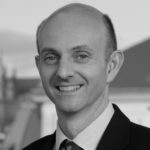 Bryan specialises in real estate acquisitions and divestments, joint ventures and is one of the few hotel specialists on the market. 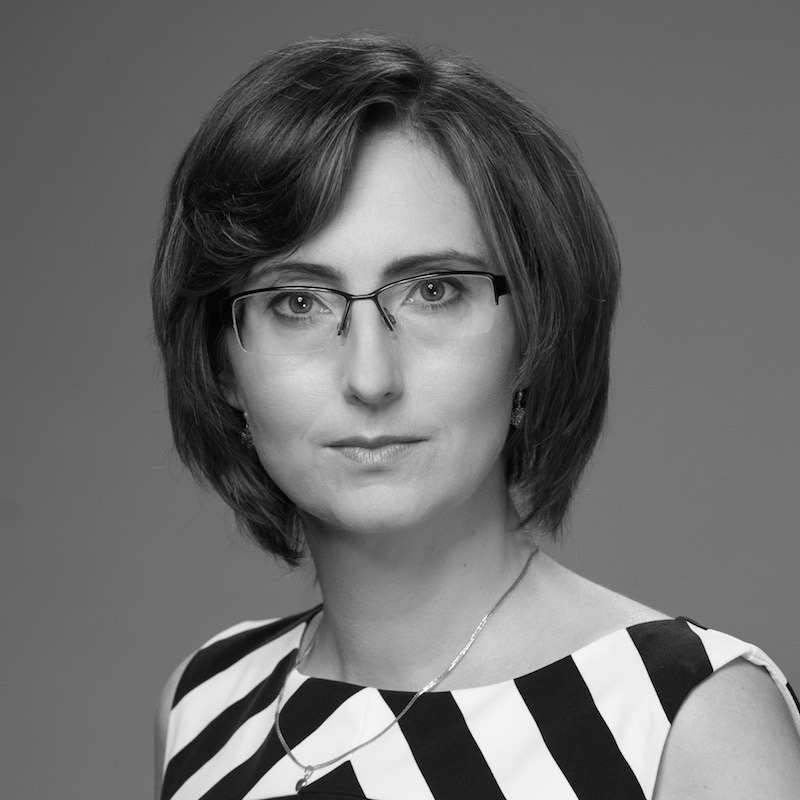 Ewa is Head of Asset Management in Central Europe. 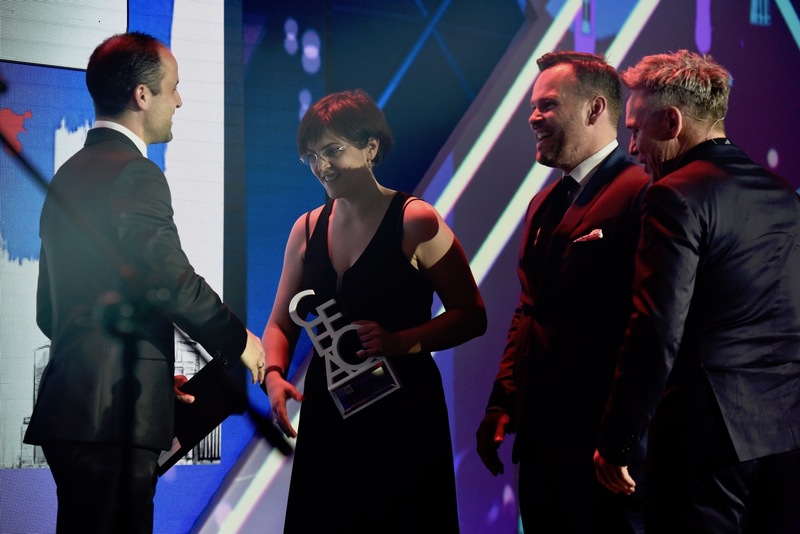 She joined AEW Europe in 2014 and is based in Warsaw, Poland. 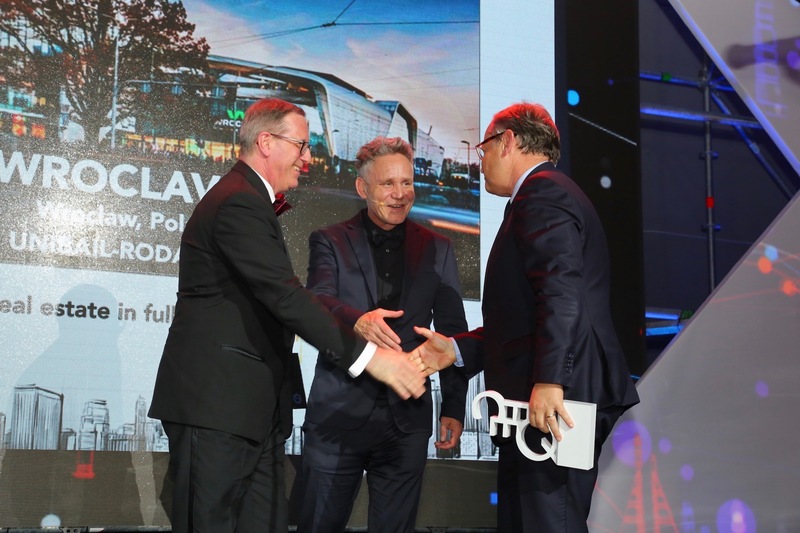 Ewa is responsible for 3 countries in the region: Poland, Romania and Czech Republic, and reports to Stephan Boenning – Head of Germany and Central Europe. 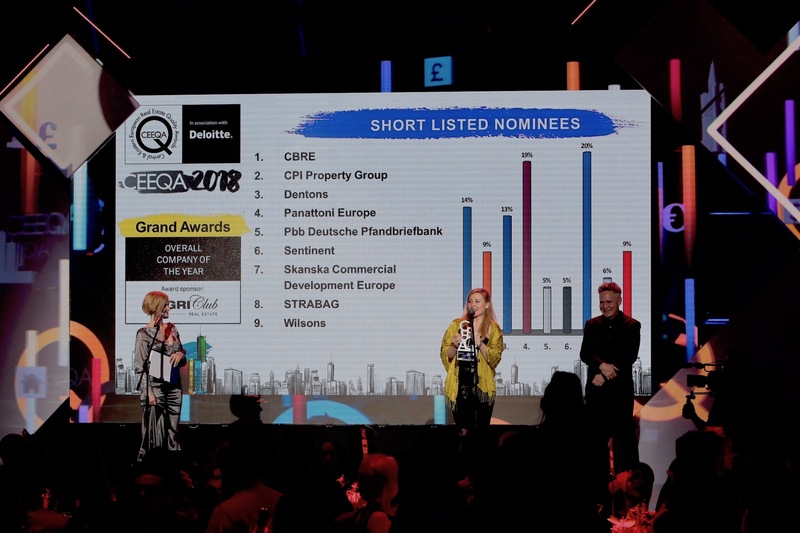 Ewa has broad asset management and acquisition experience; prior to AEW Europe, she worked at Atrium Real Estate Poland (Gazit-Globe Group) and was responsible for more than 20 retail assets. 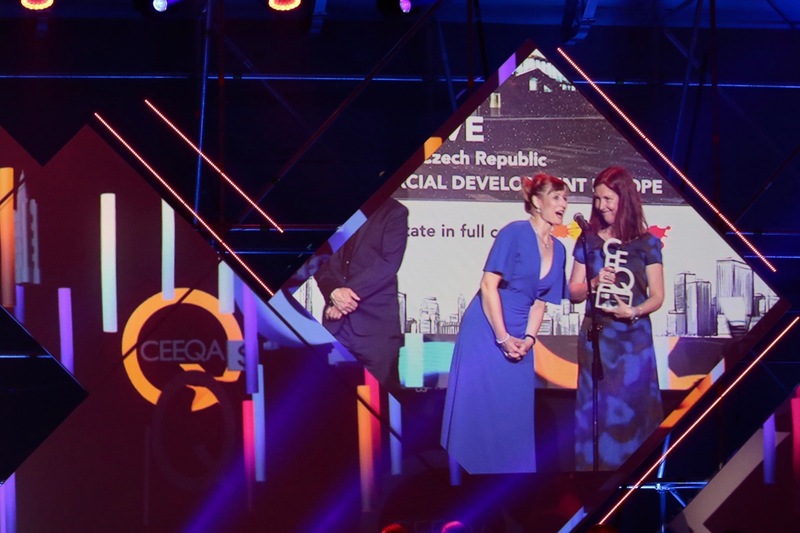 Here she managed a €1bn+ portfolio, located in Poland and Latvia. Before Atrium, Ewa worked as Head of the Leasing Department and Centre Director for Meinl European Land and at Foras Holding A/S. 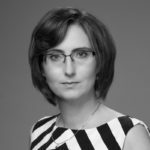 Ewa is a graduate of Warsaw University, Kozminski University and AGH Krakow. Guy is a founding shareholder of Arcona Capital, which, from its offices in Munich, Amsterdam, Prague and Warsaw, currently manages over € 645 million of investment and development property across six European countries. 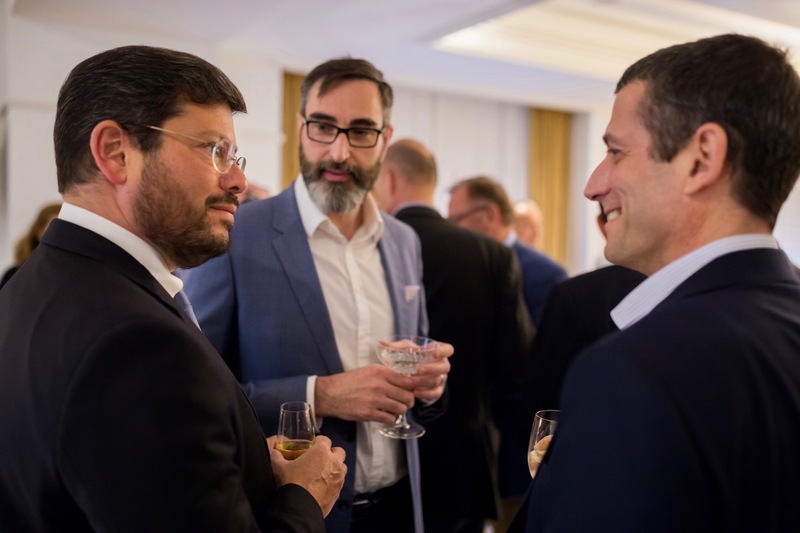 Prior to establishing Arcona Capital, Guy trained in London with Knight Frank, established their German business in the 1990s, then moved to Hypovereinsbank in Munich to build their international real estate fund business. This merged with Invesco in 2004, an entity which Guy ran as CEO Europe before founding Arcona in 2007. 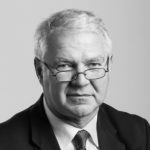 Ian has more than 30 years of experience in the real estate sector, specifically in the warehouse and industrial sectors. He began his career at Strutt & Parker in London in 1981 where he spent 16 years, eventually becoming a commercial partner within the firm. 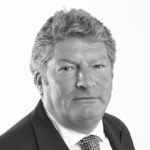 He is a former Chairman of the Industrial Agents Society and is a Fellow of the Royal Institution of Chartered Surveyors (FRICS). 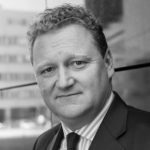 Ian joined Gazeley Properties in 1997 as Development Director UK before leading them into Europe and later became a Managing Director, responsible for Belgium, France and Spain. During his 10-year tenure at Gazeley, Ian was responsible for UK developments in London and Southern England. 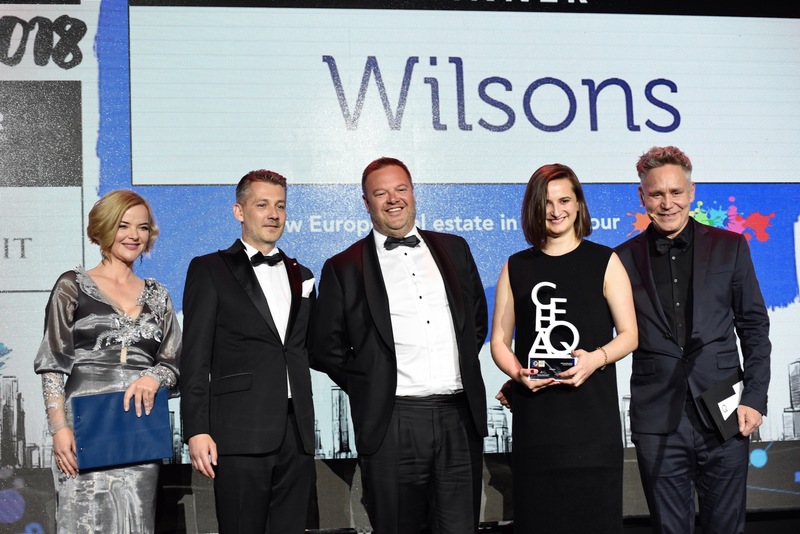 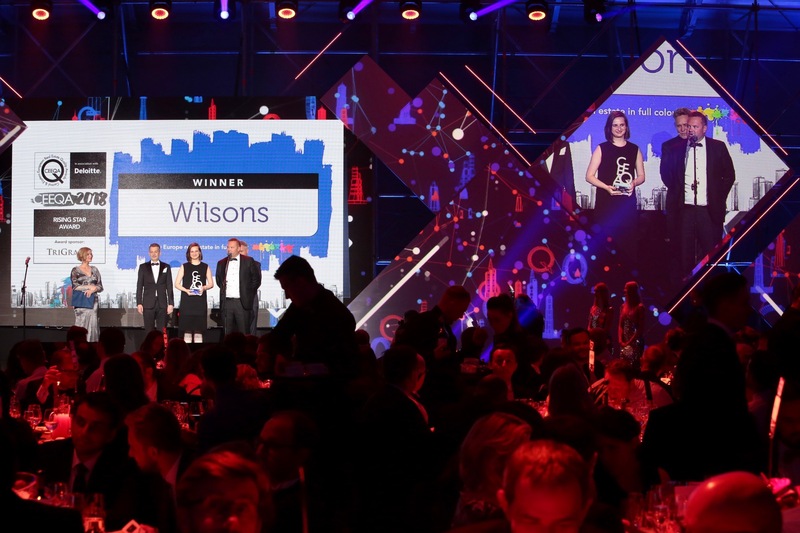 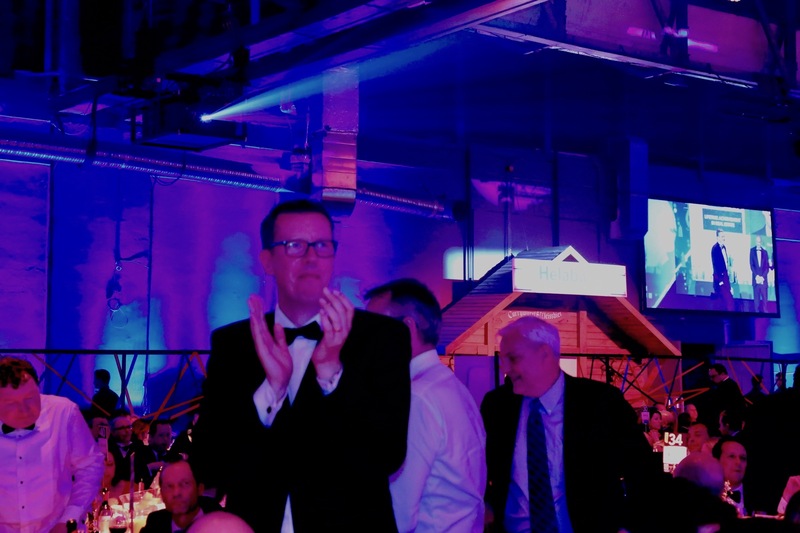 In Western Europe, he secured over 850 hectares of development land and successfully developed over 350,000 SQM GLA of warehouse space on behalf of Gazeley. 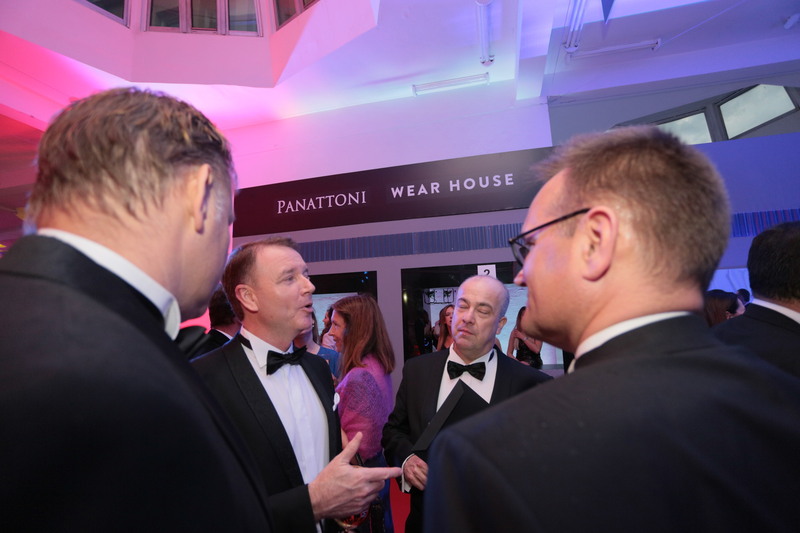 Ian briefly joined Parkridge Holdings in 2006 and left when it was sold to ProLogis, then joining Panattoni as Managing Director Western Europe in 2007 where he was responsible for development, including warehouse and out-of-town retail space. 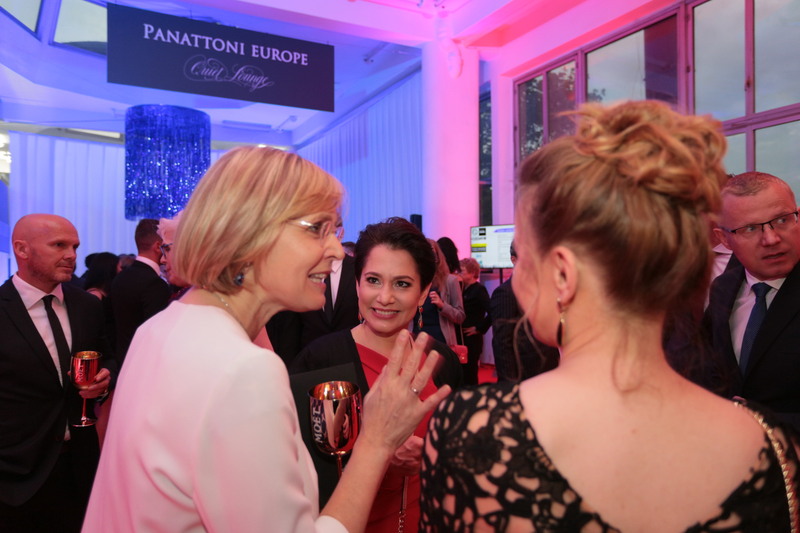 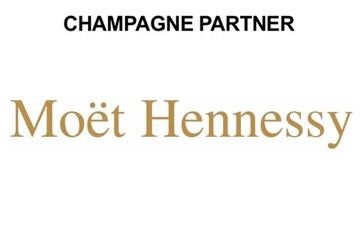 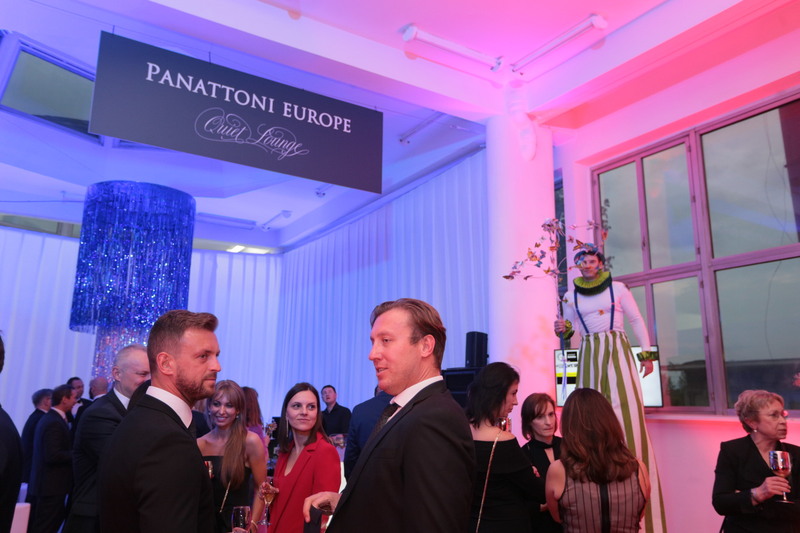 He also served on the Panattoni European Management Board. 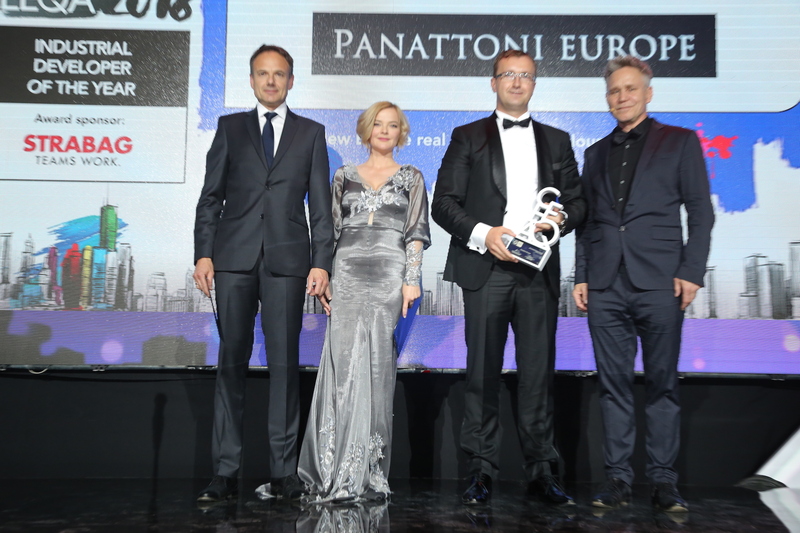 In 2009 Ian left Panattoni to become the Chief Executive Officer of Pinnacle s.r.o. 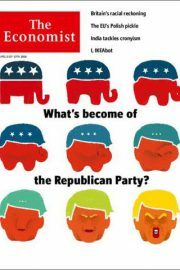 (now P3). 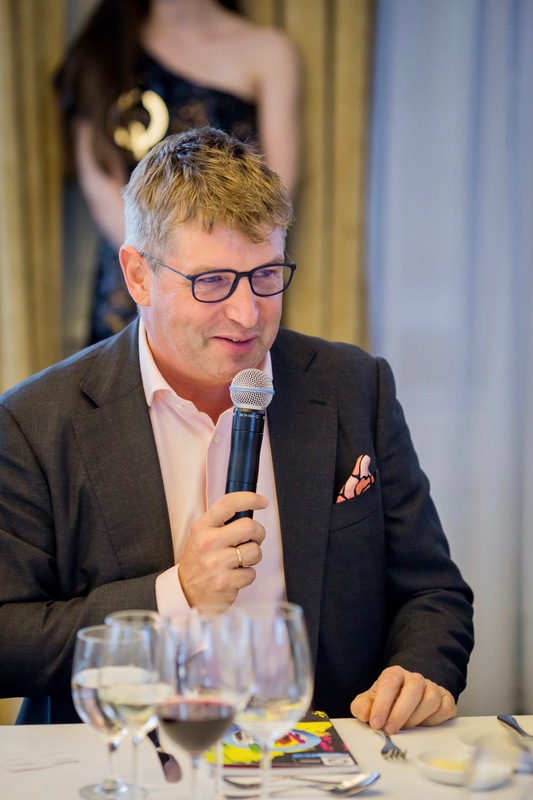 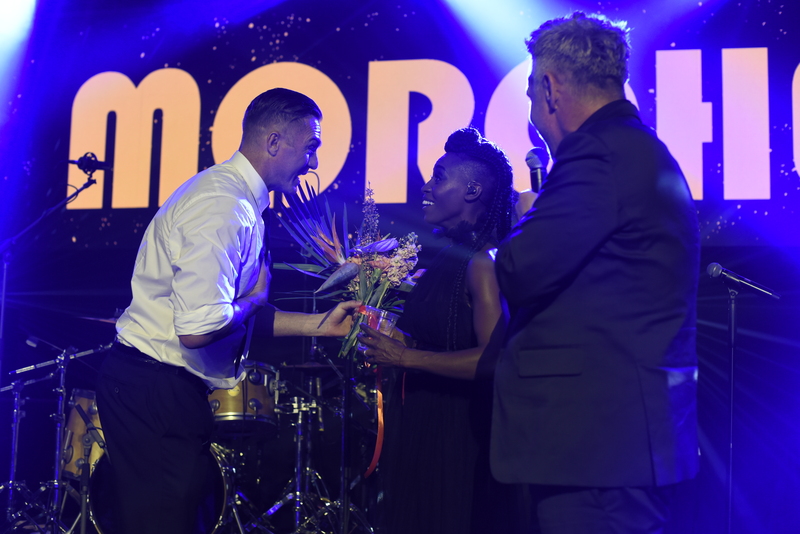 Mr Worboys was educated at Whitgift School in Croydon, England and at Bristol Polytechnic (now University of the West of England) in Bristol, England where he completed a Diploma in Valuation and Estate Management. 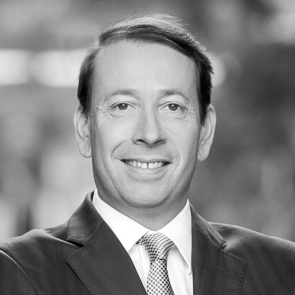 Ingo joined Sonae Sierra in 2000, when the company began its operations in Germany. 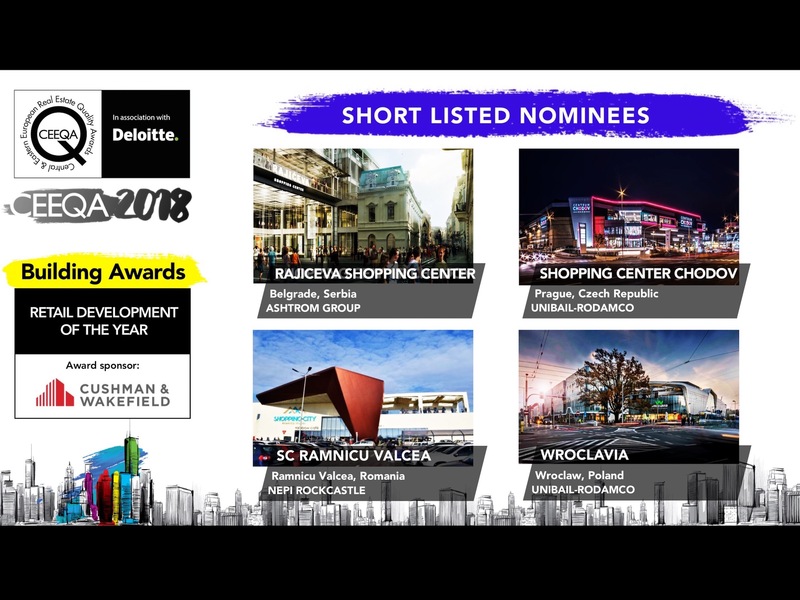 In 2007 he was appointed Director, Development Romania, with particular responsibilities for the shopping centre development activities in that country. 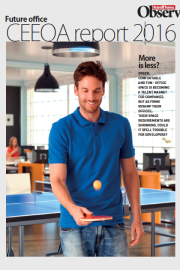 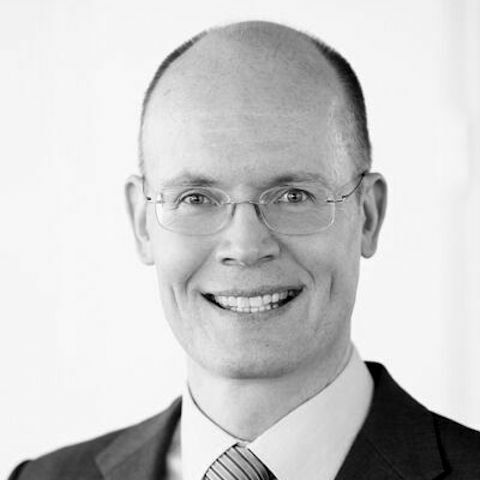 Ingo has a degree in Civil Engineering from the Technical University in Braunschweig. 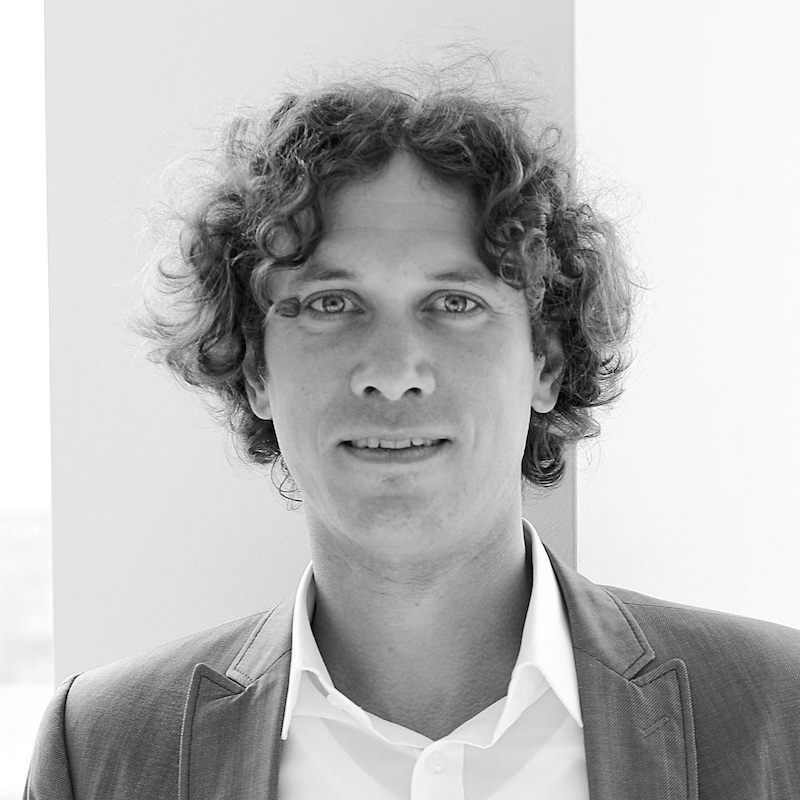 He gained his PhD at the Technical University in Munich. 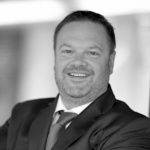 Jan has been active in field of Asset & Property management for more than 10 years, working for CTP, JLL and Knight Frank. 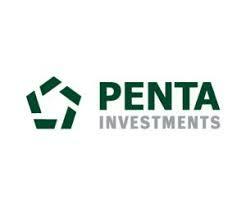 He joined PENTA in 2014 and became responsible for Asset management of the companies real estate portfolio and implementation of new processes to the department. 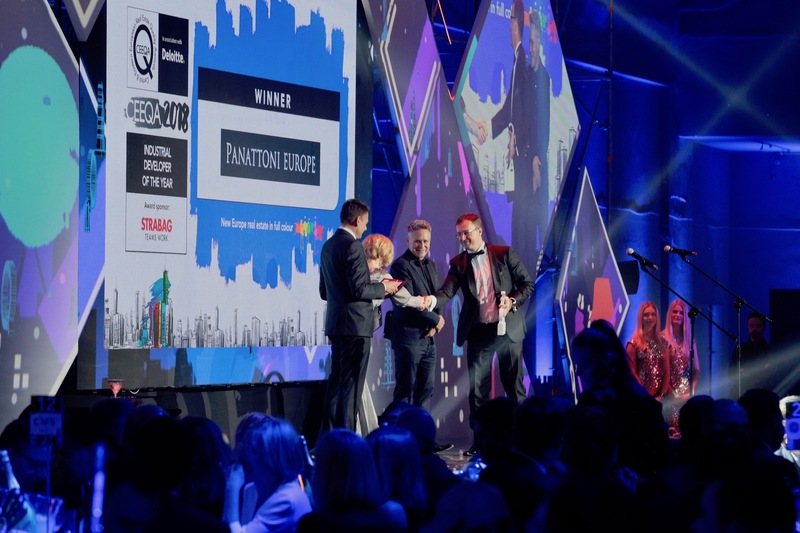 After PENTA sold its first real estate project in Prague, the Florentinum, Jan managed to keep the active asset management mandate for the buyer. 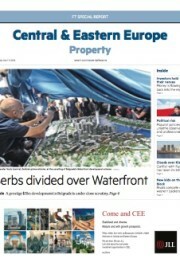 He has a master degree in civil engineering. Jason is both the Managing Partner of BSC Real Estate Advisors, overseeing the operational running of the business, as well as the Partner responsible for Office, Industrial and Capital Markets advisory. Jason started his career in London where he trained as a Chartered Surveyor and since 1998 has been working on real estate transactions in Ukraine, the Czech Republic and Poland. 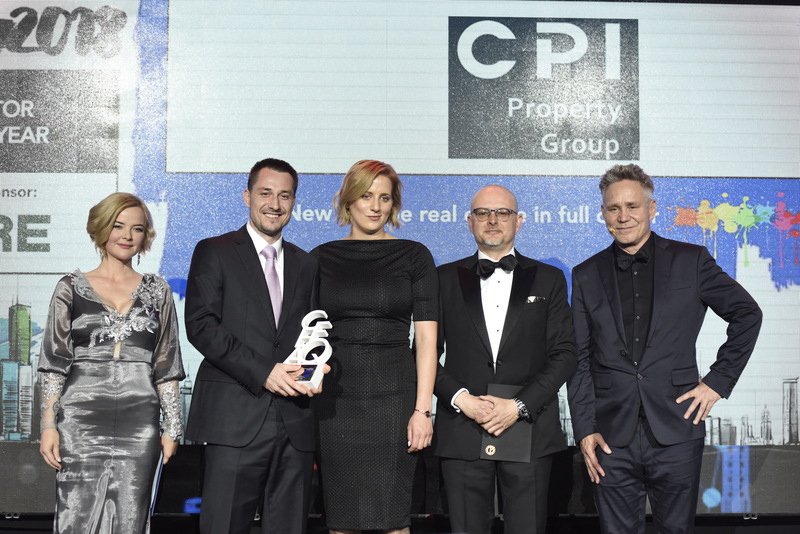 Karol Pilniewicz, Head of CEE, joined Cromwell Property Group (previously Valad) in 2012, responsible for the Central European Industrial Fund, Polish Retail Fund and for growing Valad’s business in the CEE region. 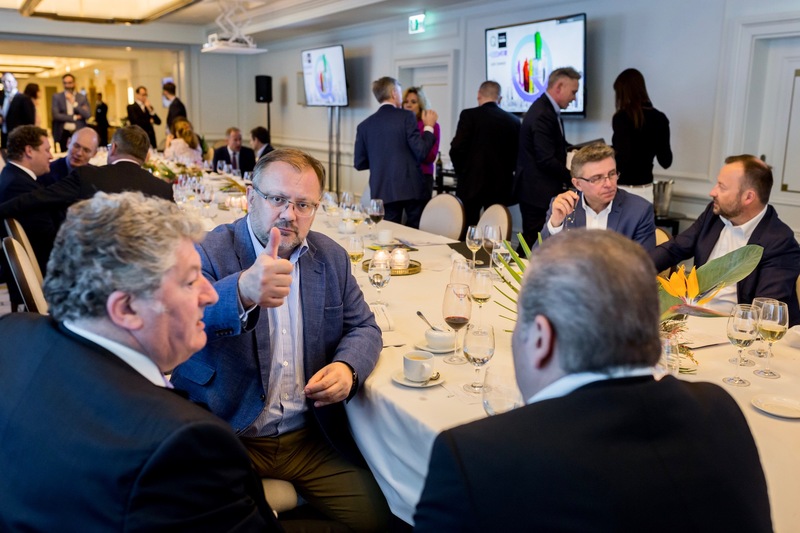 Prior to joining Valad, Karol was the Fund Manager of the Polish Retail Fund at GE Real Estate, a Management board member of listed property developer – Ronson, a Senior Manager in Aareal Bank AG.  Karol has an education in Economics. 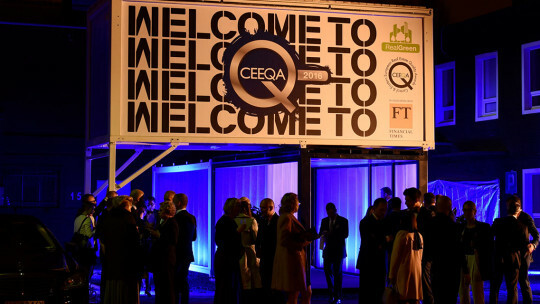 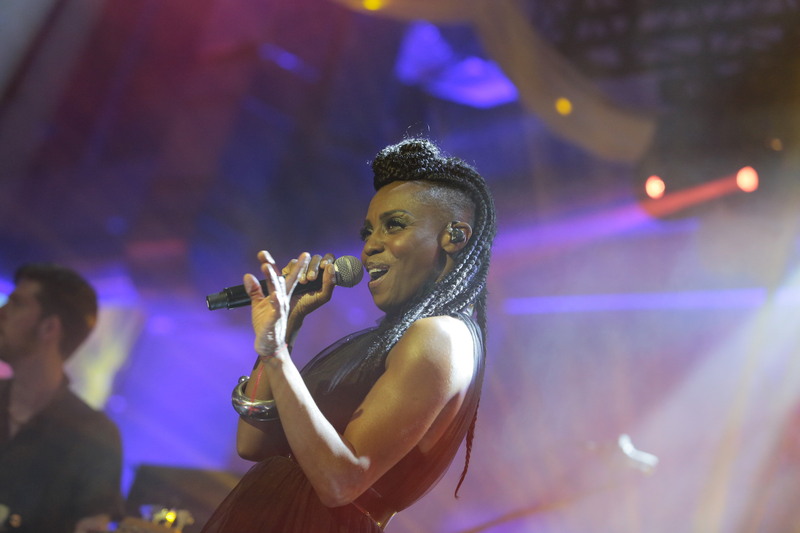 Kean joined the Partnership of Catalyst in 2005 overseeing activities in Germany and Poland. 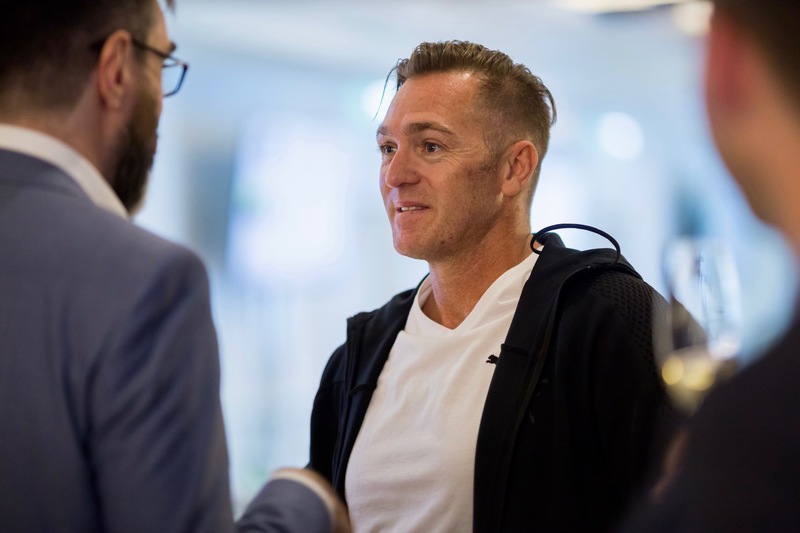 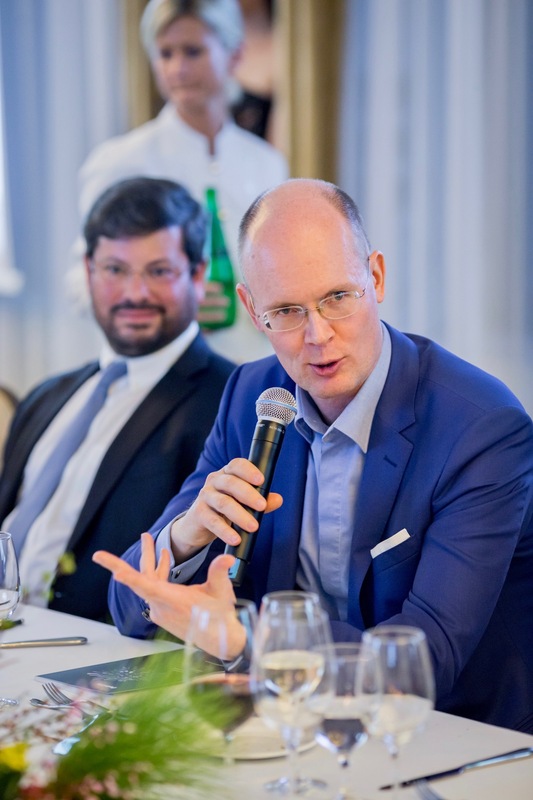 More recently he has established relationships with a number of key investors helping to secure co-investment for assets in Germany and Poland. 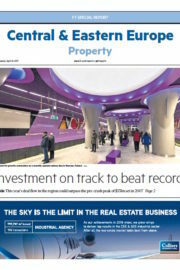 Kean has over 40 years’ experience in the real estate market. 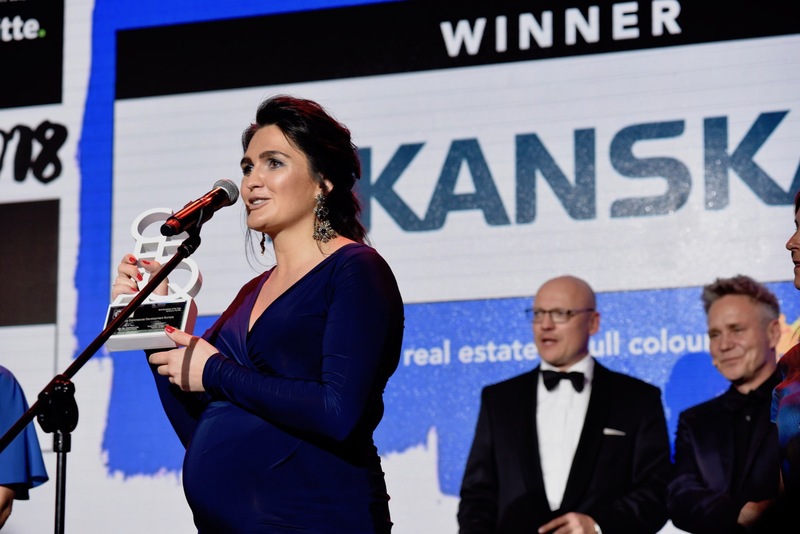 Lenka has been active in real estate financing more than 15 years. 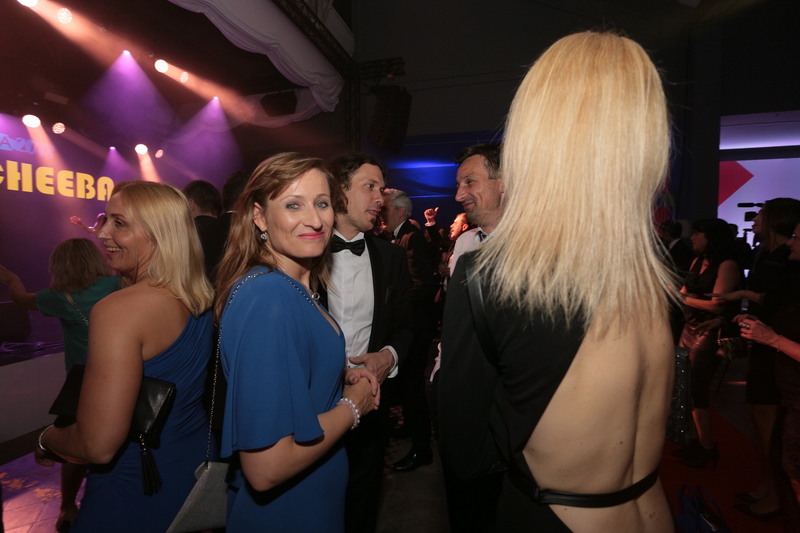 Together with her professional team within ČSOB, she is responsible for real estate financing in the Czech Republic. 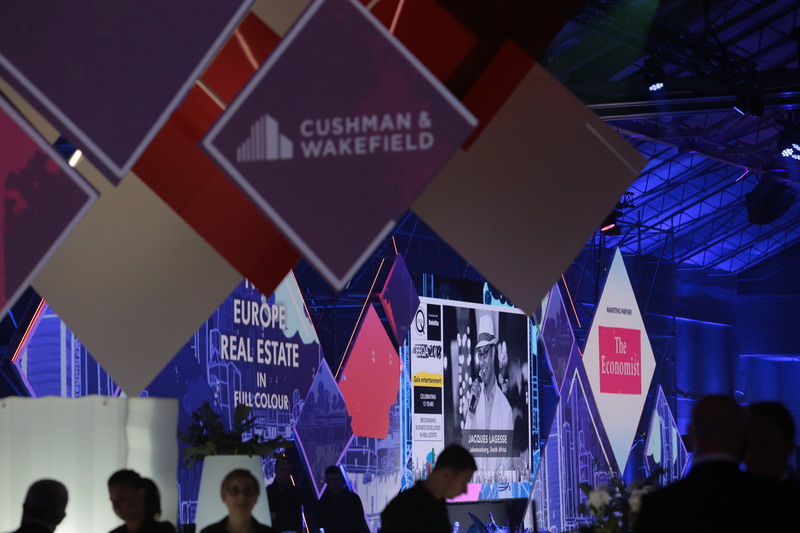 The main task of the division is to secure the financial service tailored-made for real estate developers and investors and others, for whom is the ownership, facility management or real estate crucial in their business. 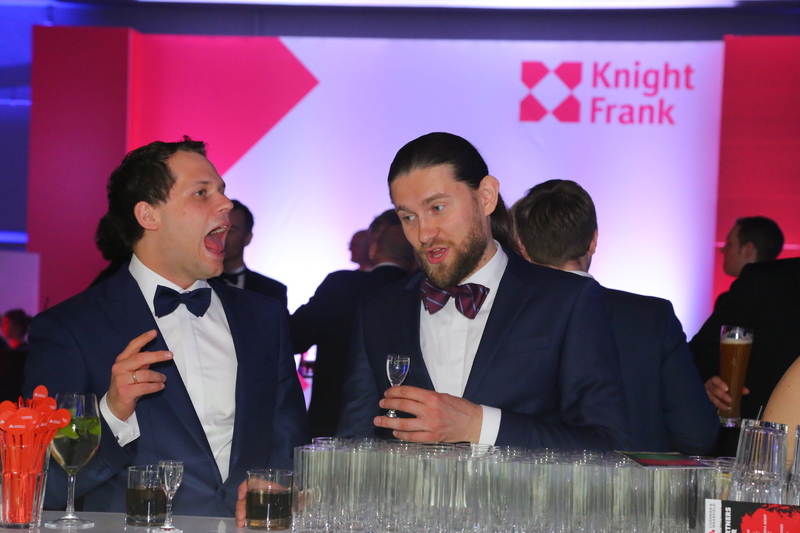 During the career, Lenka has successfully structured the financing of dozens real estate projects in volume of several billion CZK. 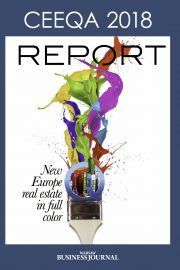 Lenka is the Board member of Association for real estate development from 2012. 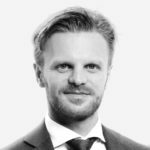 The asset management expert started his career at the Bank Austria Creditanstalt Real Invest GmbH, where he was amongst others responsible for Asset Management Germany, CEE and SEE. 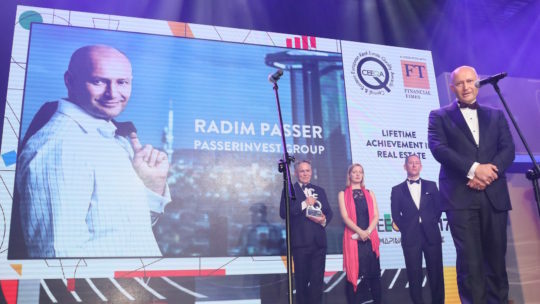 In 2007, he moved to Raiffeisen Capital Management as Investment Manager for the open ended real estate fund products of RCM. 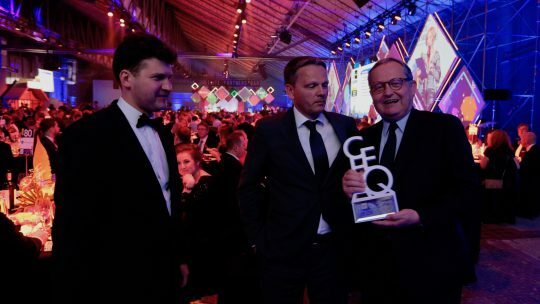 His field of responsibility included property investments in Germany as well as asset management of the logistic portfolio of RCM. 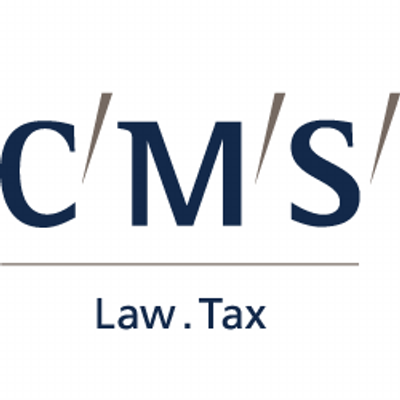 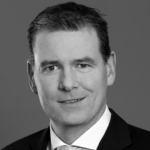 2009 Markus Kuttner joined CA Immo Group with the responsibility of Asset Management in CEE, SEE and CIS. Since 2017 he is heading the Asset Management for the CAI group comprising Germany, Austria and the CEE/SEE region. Markus Kuttner is holding an MBA and MRICS studies. 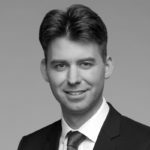 Matthias has worked with Erste Group Bank AG since 2005 with a focus in real estate financing from the very beginning. In 2007 he joined the commercial real estate financing department in Erste Group. 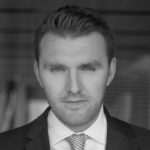 Since 2011 he is heading the International Clients Department for Commercial Real Estate Financing. 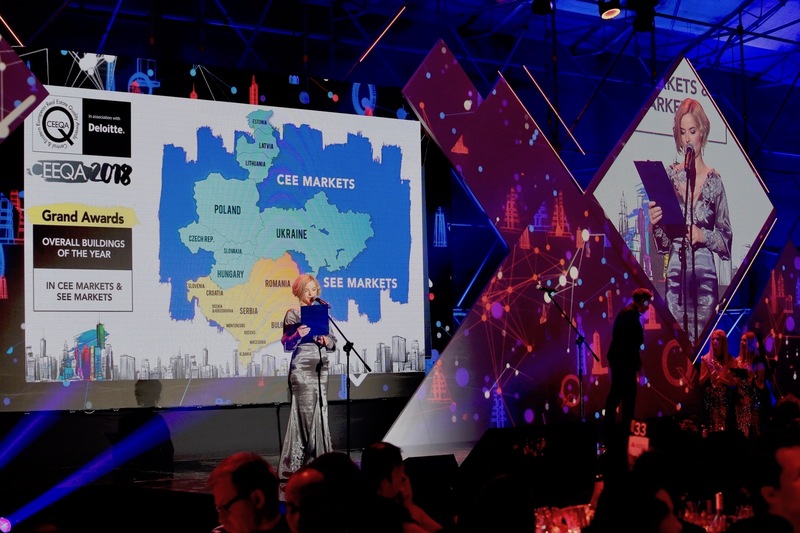 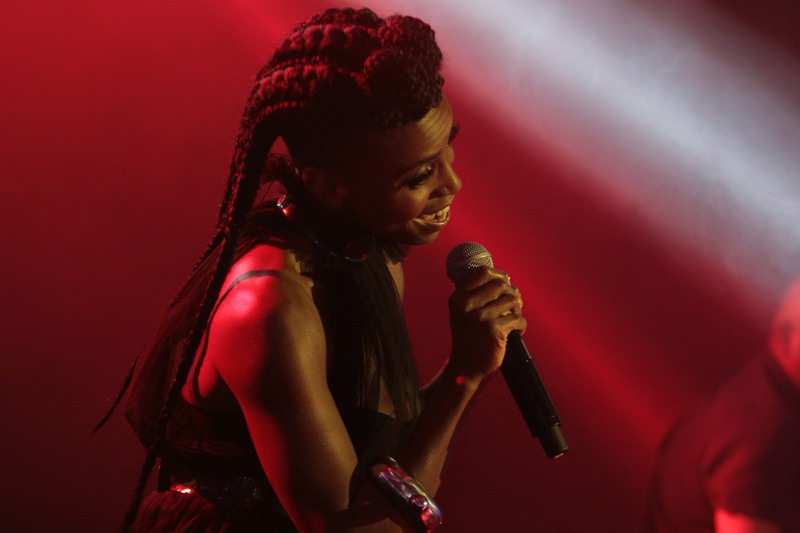 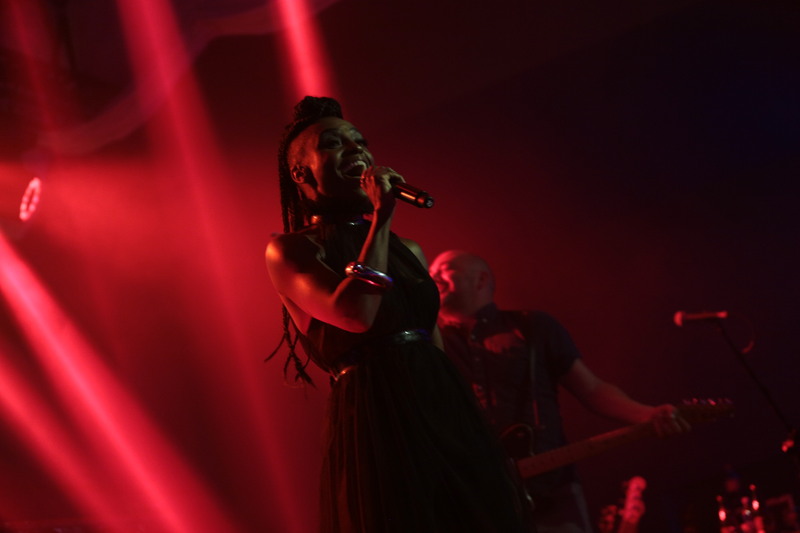 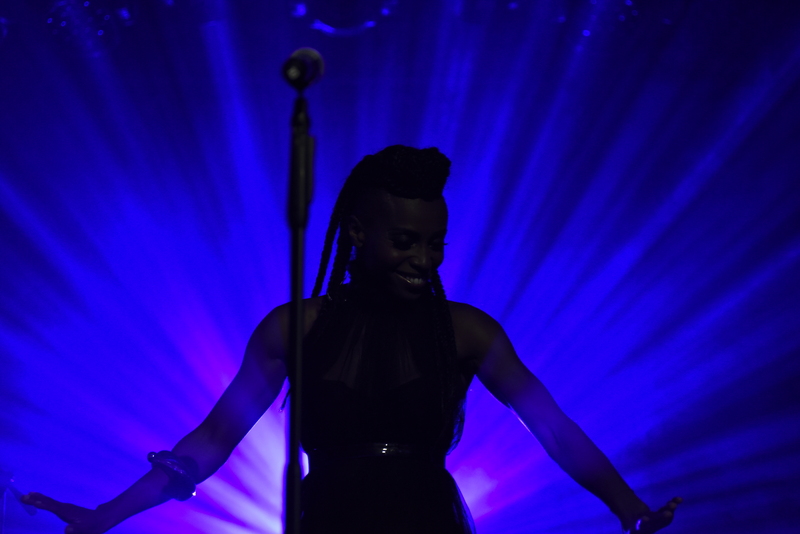 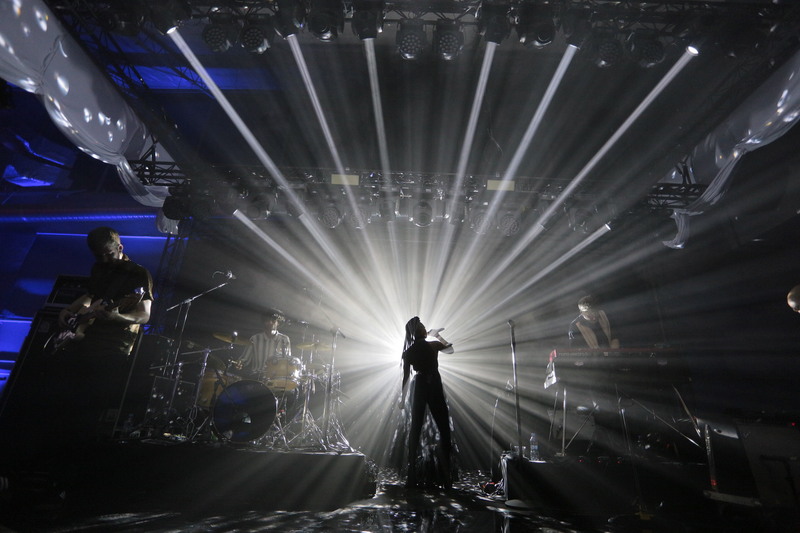 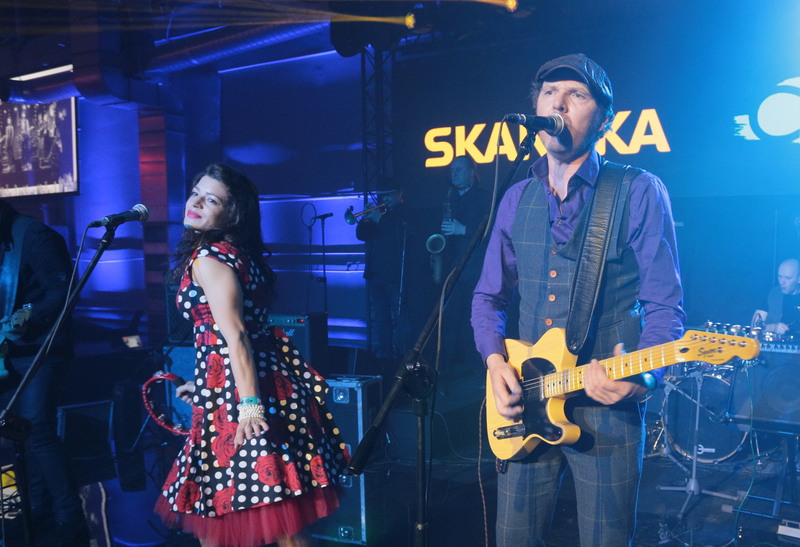 The regional focus includes Poland, Czech Republic, Slovakia, Hungary, Romania, Serbia and Croatia. 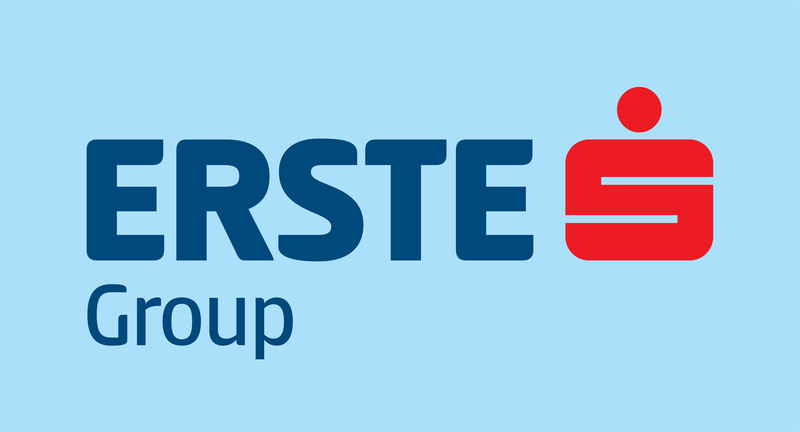 Matthias is Vice President of Erste Group Bank AG. 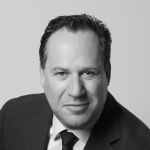 Michael is a Partner and a member of TPG Real Estate’s Investment Committee and is based in London. He joined TPG from Europa Capital and started his career in the Private Equity Real Estate divisions of J.P.Morgan and Lehman Brothers. 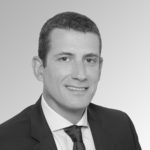 He holds a Diplome de Grande Ecole and MSc in Management from ESCP Europe, and speaks German, Spanish, English, Portuguese and French. 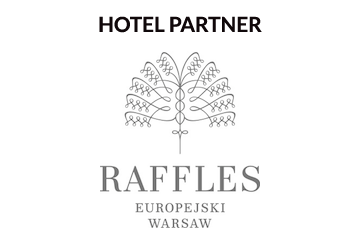 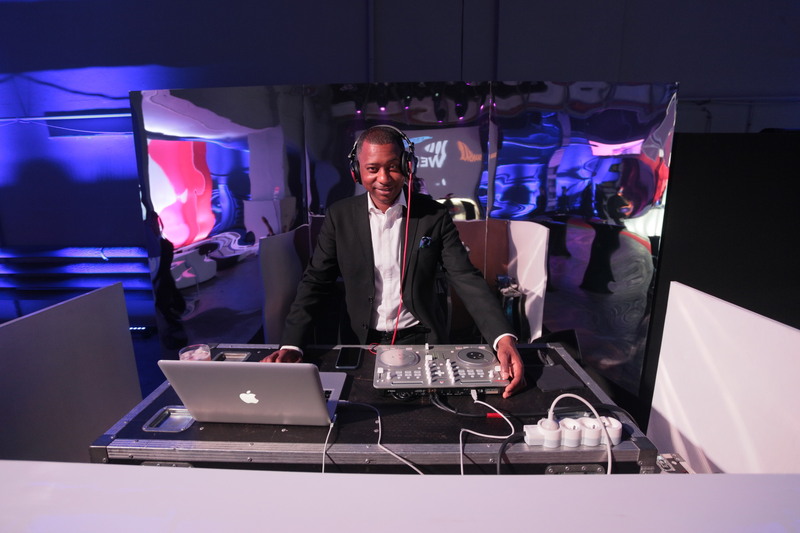 He currently serves on the Board of Directors of TriGranit and A&O Hotels and Hostels. TPG Real Estate is the real estate platform of TPG, a leading global private investment firm with approximately $75 billion of assets under management. 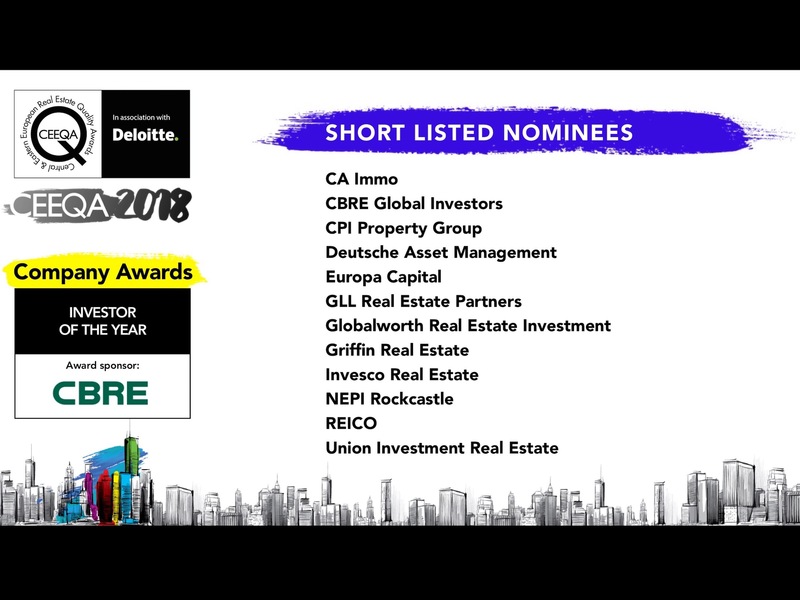 TPGRE includes both TPG Real Estate Partners, its equity investment platform, and TPG Real Estate Finance Trust, its debt origination and acquisition platform. 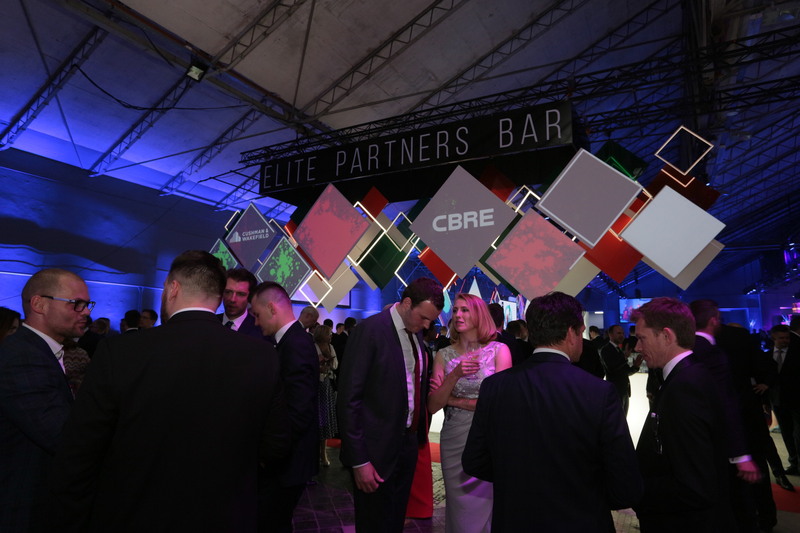 Eastern Europe, overseeing JLL’s Capital Markets business across the region. 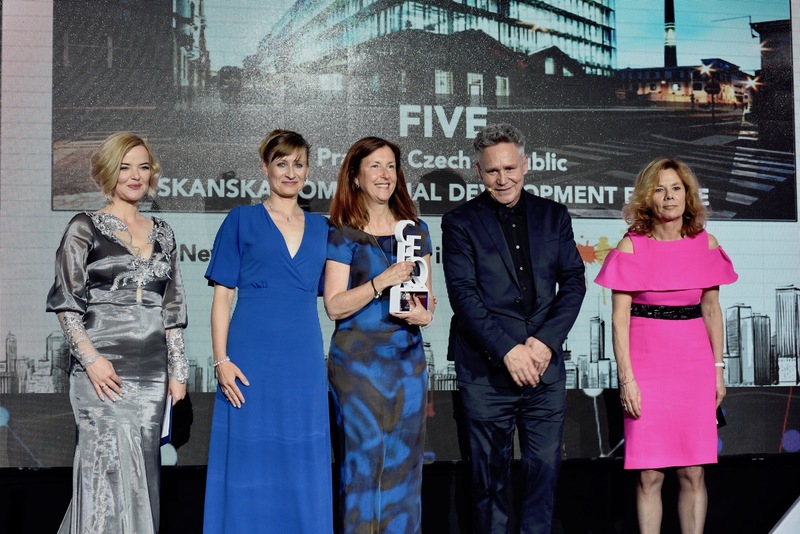 With a total headcount of over 40, JLL’s capital markets team is one of the largest in the region and is considered the leading transactional team in CEE, across all sectors. Having recentlyjoined JLL, Mike is enhancing the team with his regionally diverse experience, giving him a unique perspective on real estate markets today. 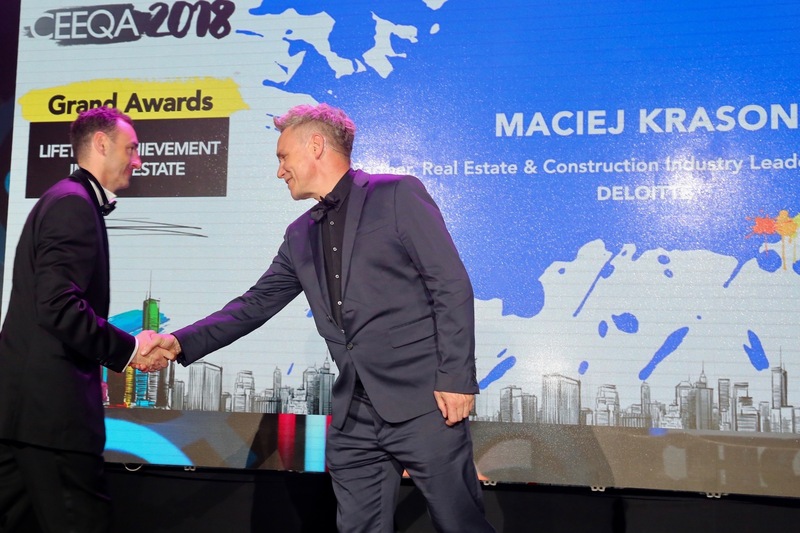 Mike brings to JLL more than 30 years of experience in the real estate market, including 13 years in Central Europe, during which he was involvedin some of the highest profile transactions across the region. 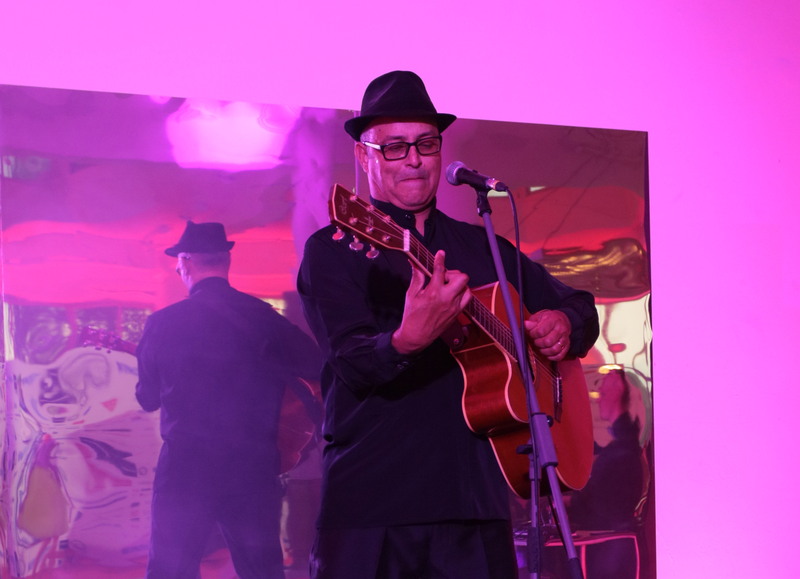 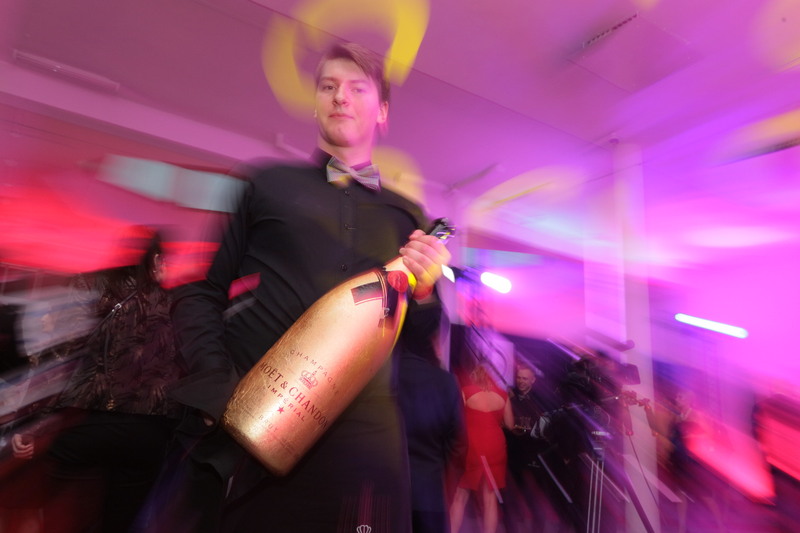 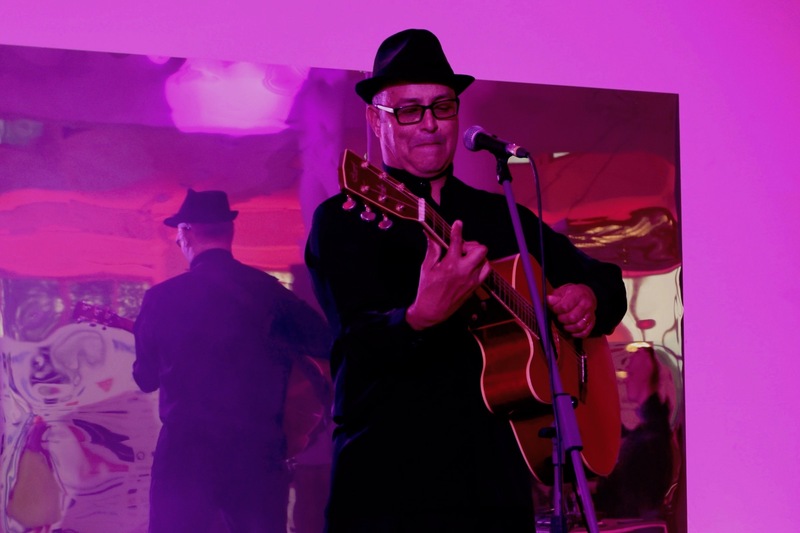 He spent his initial years in London andalsohas spent nineyears in the Middle East, in countries such as Dubai, Abu Dhabi, Qatar, Bahrain and Saudi Arabia. 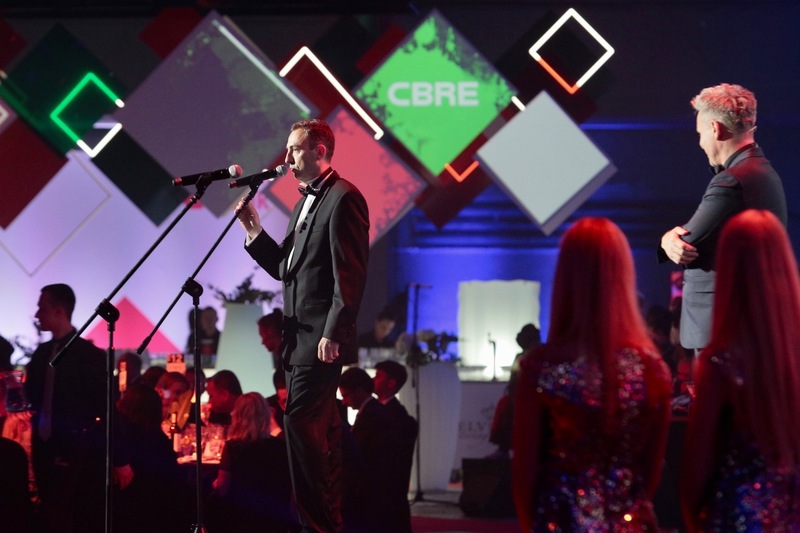 Following that, Mike joined CBRE in 2012 as Head of Capital Markets CEE, based in Warsaw. 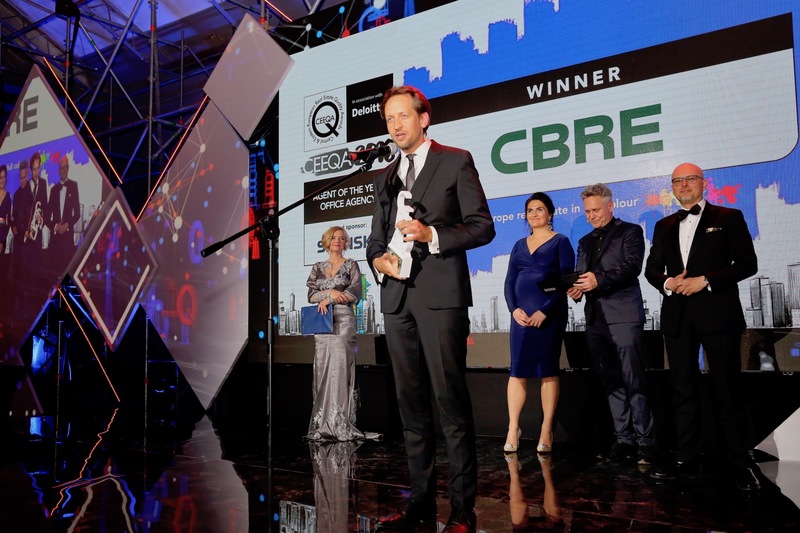 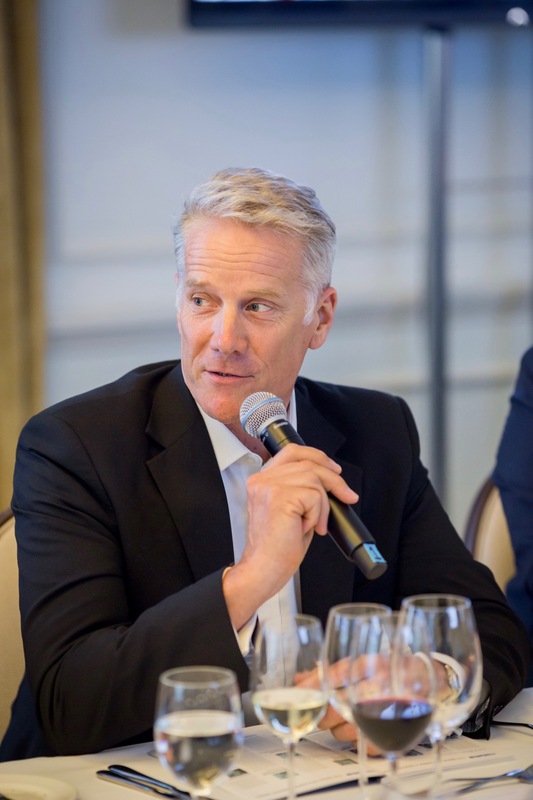 In January 2016, CBRE transferred Mike to Paris to become Head of Capital Markets. 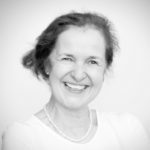 Monika is a UK chartered surveyor (FRICS), chartered town planner (MRTPI), Civil Commercial Mediator, Polish licensed valuer and a licensed broker with over 30 years of experience in development advice, property finance and investment, valuation as well as property and asset management. 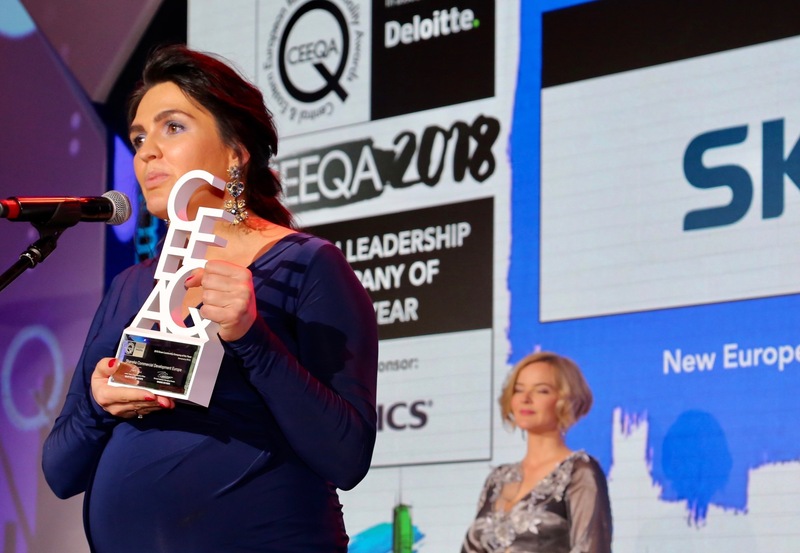 She graduated in Town Planning at the South Bank University in London and Estate Management at College of Estate Management Reading University in UK. 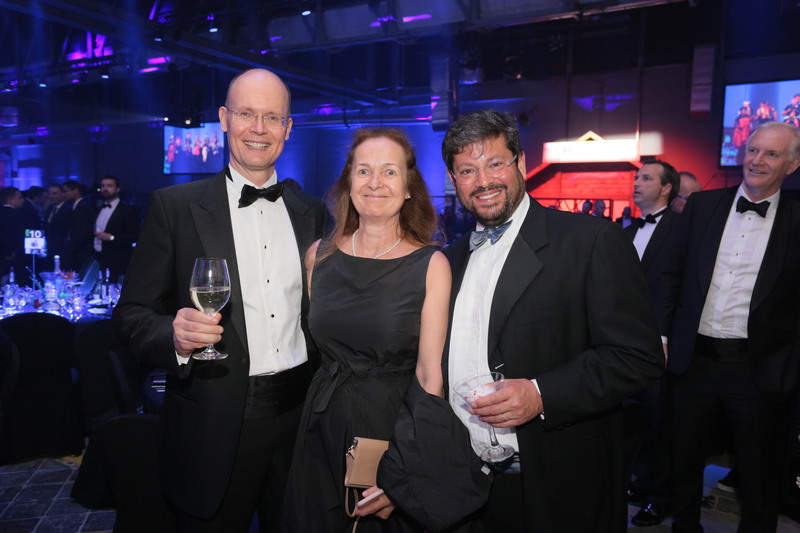 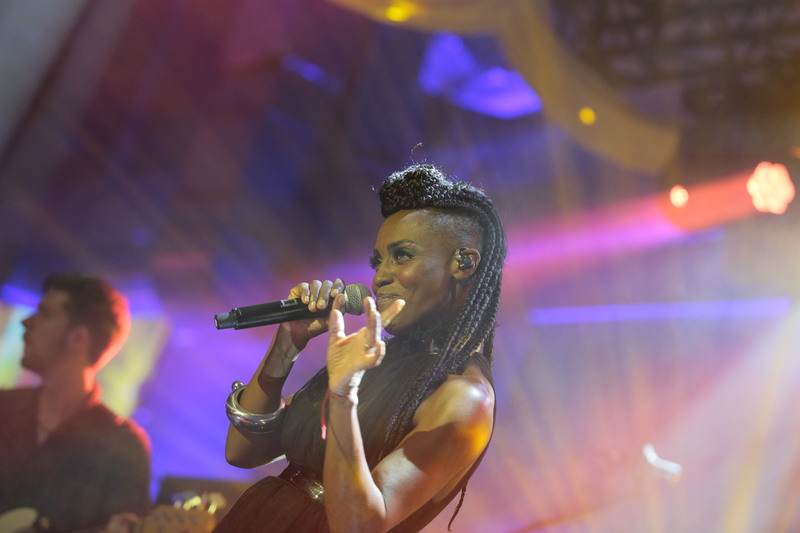 For several years, she worked for a chartered surveying firm of Montagu Evans in London as a Development consultant. 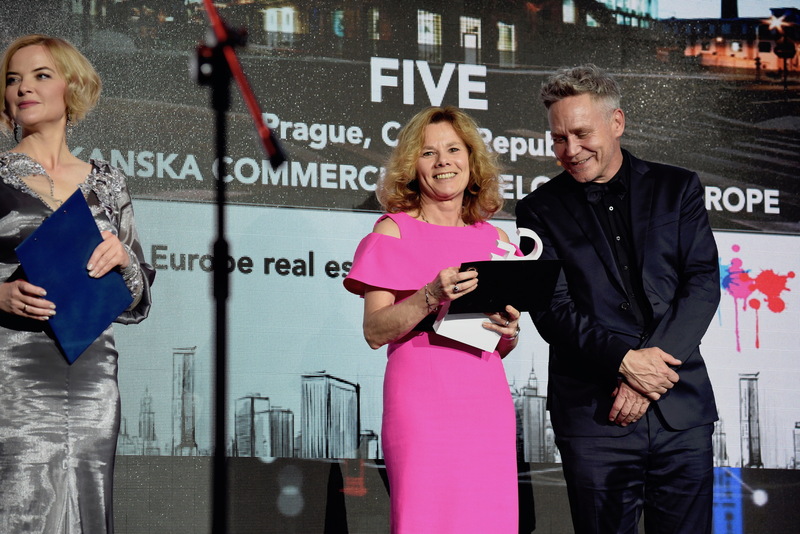 Monika joined Price Waterhouse CEE in 1991 and has gained extensive experience of the real estate markets throughout Central and Eastern Europe. 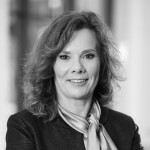 In 1995 she was appointed a Director of Price Waterhouse Real Estate and became a Chairman of Knight Frank in Poland in 1998, currently overseeing Asset and Property Management as well as Valuation service lines. 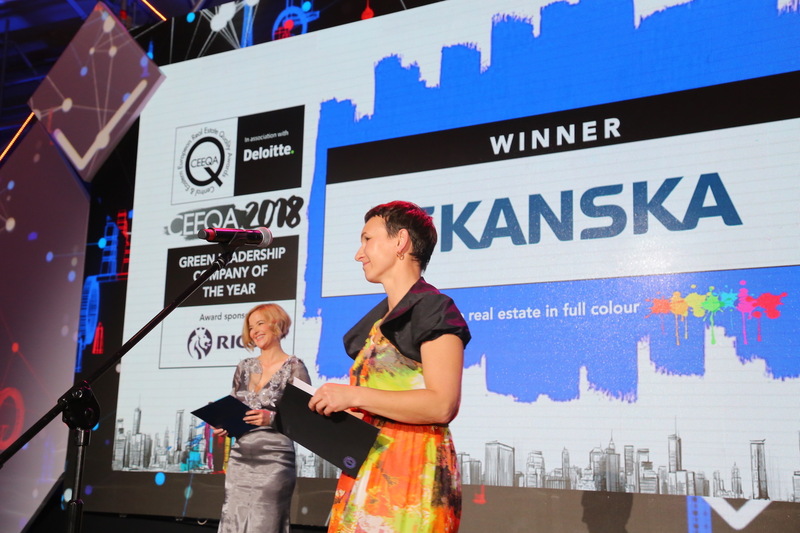 In 2011-2014 she was a Chairman of RICS Polska and currently heads up the RICS Mediation Working Party aiming to introduce alternative dispute resolution services in the Polish property market. 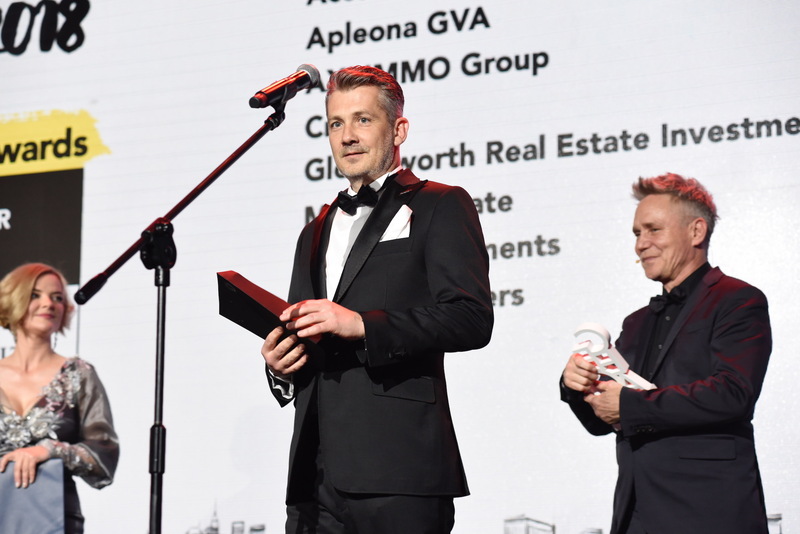 Noah is the chairman and CEO of WING, the market leading office developer and one of the largest real estate companies in Hungary. 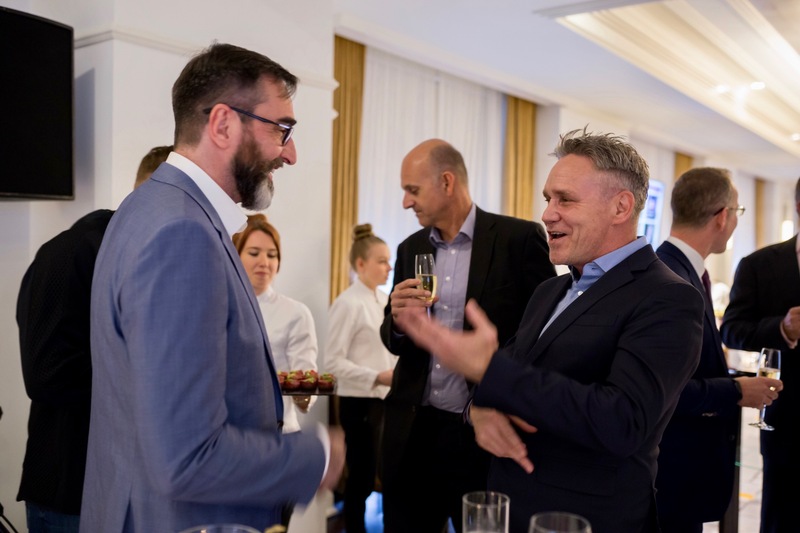 He is an American citizen, he has worked in Hungary since 1990. 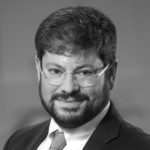 In his current position he was responsible for establishing WING and oversees the company’s real estate investment and development businesses. 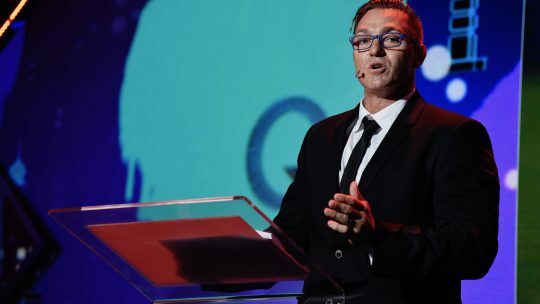 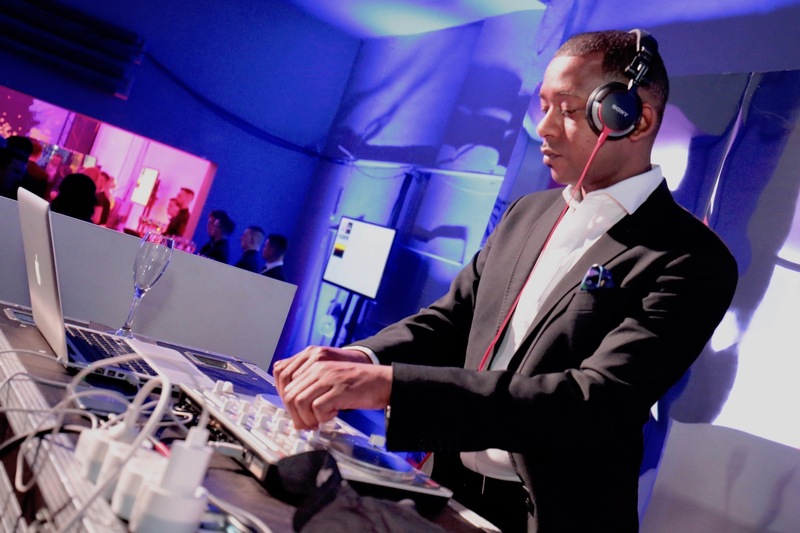 Noah is a graduate of the Woodrow Wilson School of Public and International Affairs at Princeton University, and the Diplomatic Academy of Vienna in Austria. 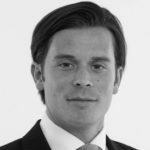 He speaks French, German, Spanish, Hungarian and English. 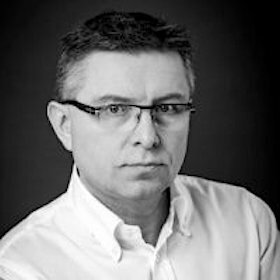 Pavel Pelikan graduated from the Construction Faculty of Slovak Technical University (Bratislava) in 1995. 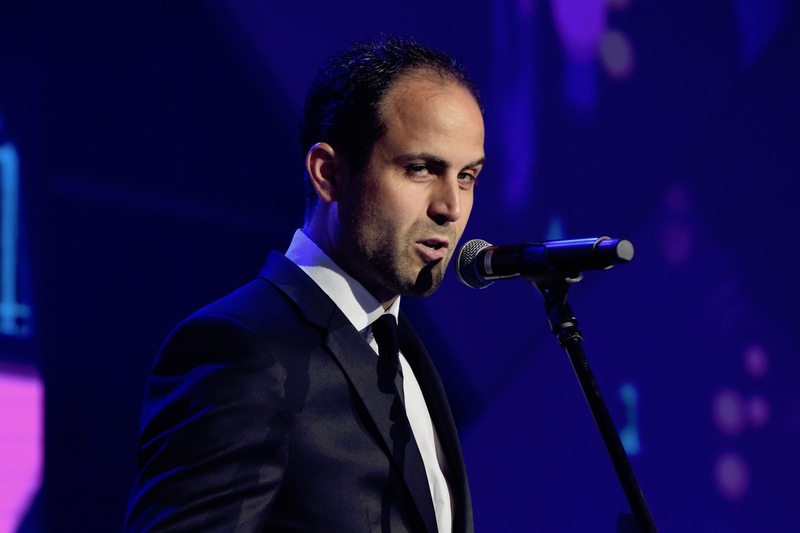 During his studies, he worked for suppliers of construction projects and products. 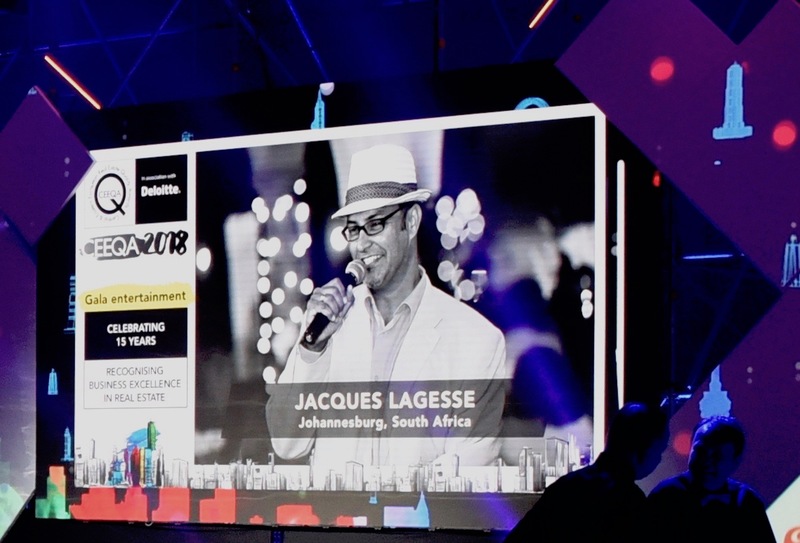 In February 2000 he moved to the investor side of the construction and real estate industry, becoming project manager at J&T Real Estate. 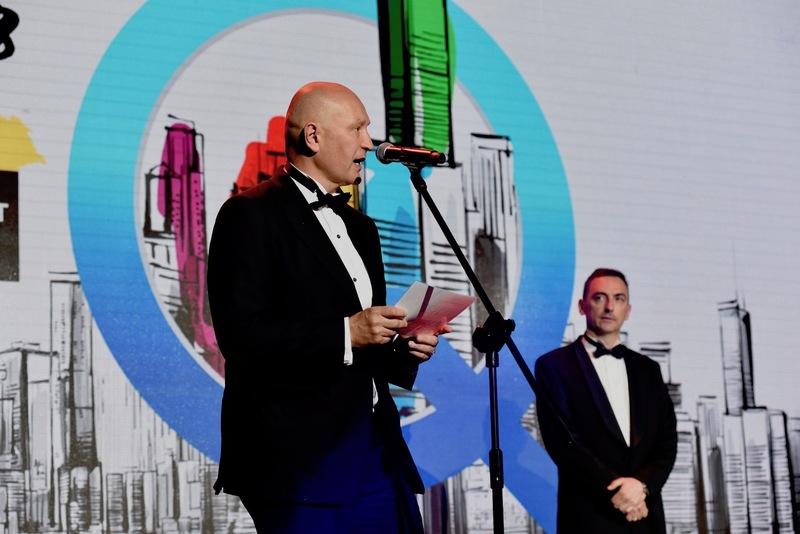 In 2001 he became technical director, and since 2005 has been J&T Real Estate‘s executive director and deputy chairman of the board. Petr Panek is a Czech and US law-qualified deal leader heading the CEE real estate team at White & Case. 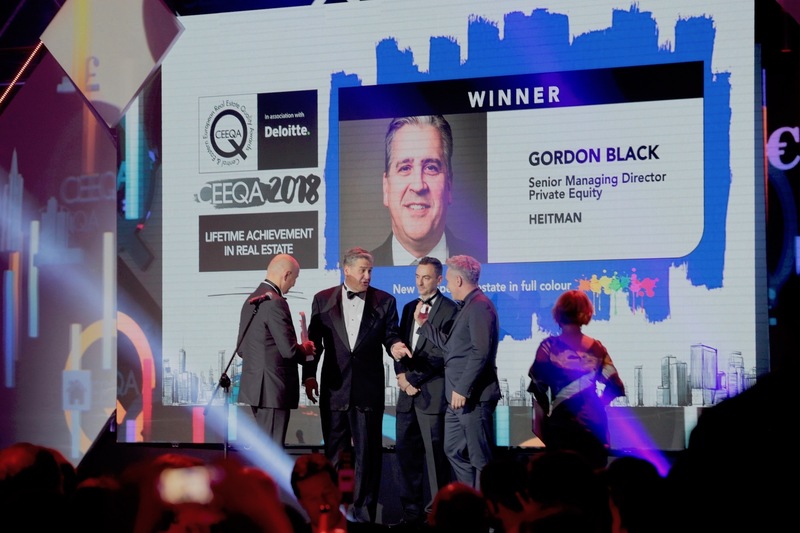 He acts for a wide range of sponsors, developers, banks and other clients on real estate matters across all market segments, with a particular focus on large ticket deals, portfolio and cross-border transactions. 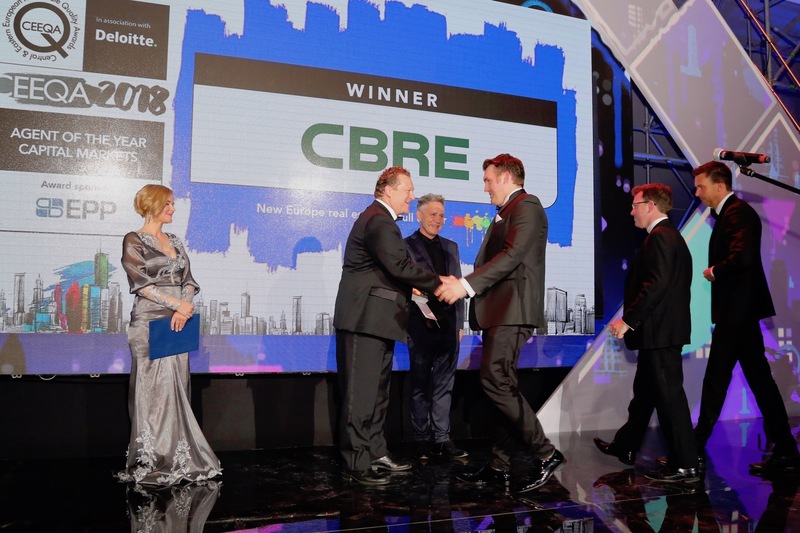 Over the years he has advised on some of the most significant real estate deals in CEE. Based in Prague, Philip is responsible for transactions across CEE on behalf of GLL Real Estate Partner’s managed property funds and segregated accounts. 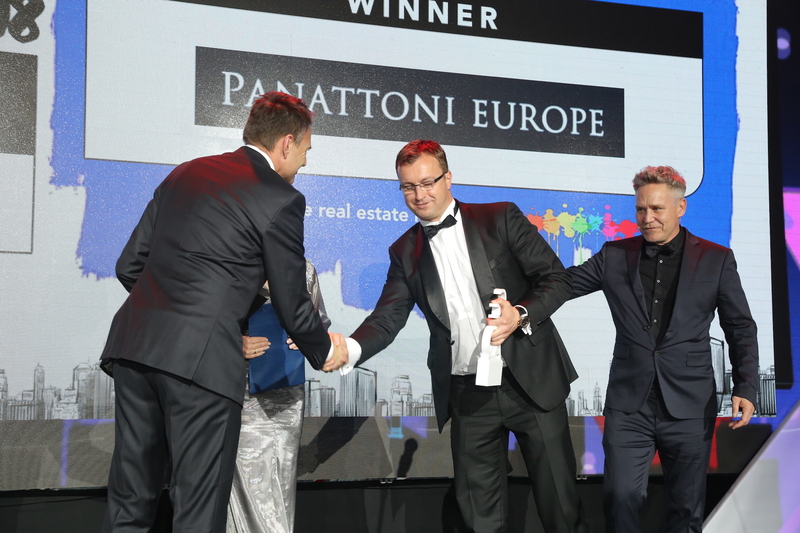 He has 20 years’ professional experience in commercial real estate sales, leasing and development, corporate real estate advisory, and property investment in the UK and across Central & Eastern Europe. 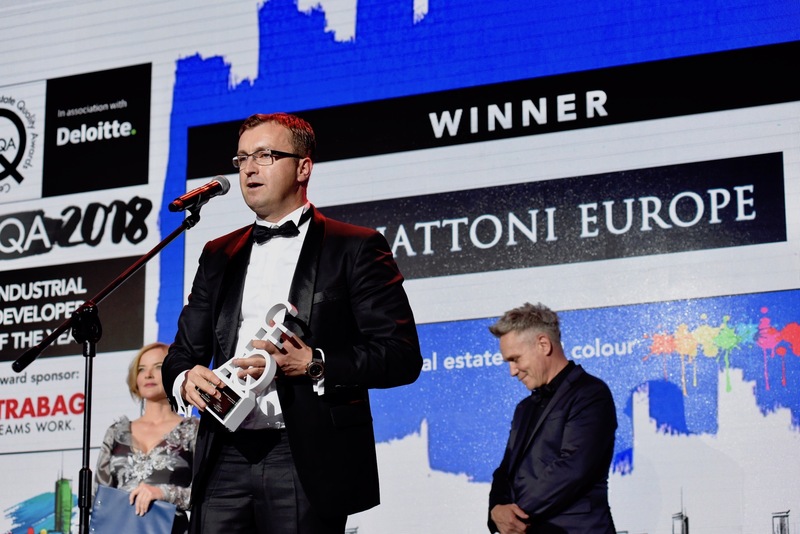 He began his property career in London specialising in Leasing and Tenant Representation, and while working with DTZ he moved to their office in the Czech Republic as Head of Agency in 2005. Philip then worked for 3 years in the Cushman & Wakefield Capital Markets team in Prague before joining GLL in 2011. Philip graduated from Nottingham Trent University with a degree in Estate Surveying, and is a Chartered Surveyor. 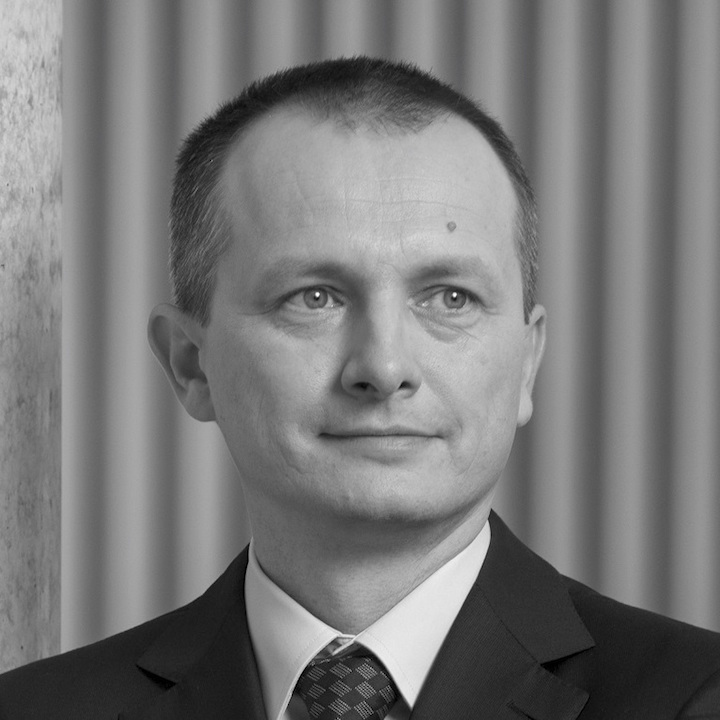 Radu joined Revetas Capital in 2013 and is the Investment Director of the company. 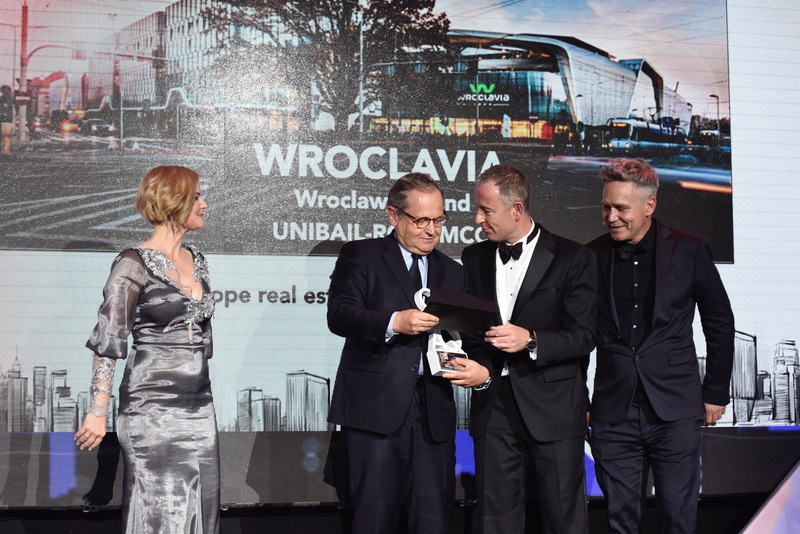 He was elected Chairman of the Romanian board of the Royal Institute of Chartered Surveyors (RICS) for two consecutive mandates. 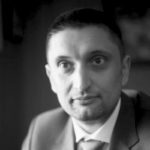 He has over 20 years of experience in investment, valuation and property agency within the CEE and Romanian market and has been involved in a wide variety of transactions. 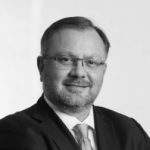 Radu was previously the Head of Capital Markets for Jones Lang LaSalle (JLL) in Romania following the merger with King Sturge. 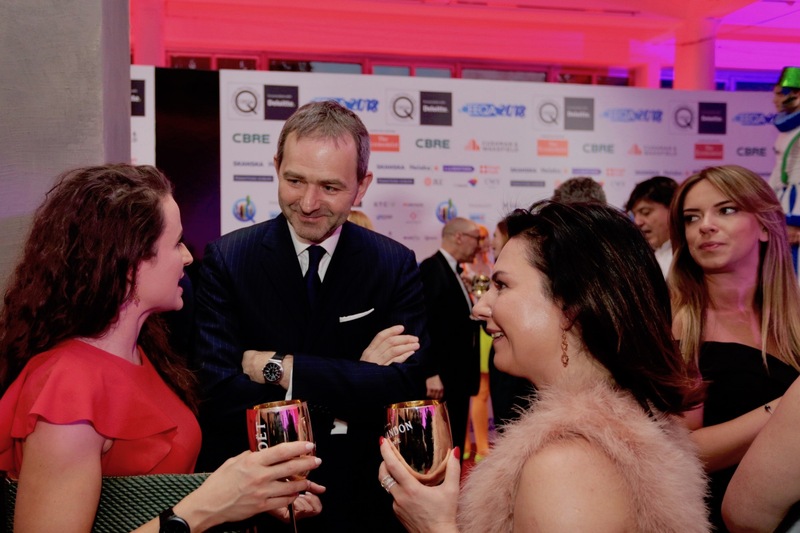 He was the MD and member of the management board of King Sturge in Romania from its inception in 2005 until the merger with JLL, where his responsibility extended to investment, professional services, valuation and research. 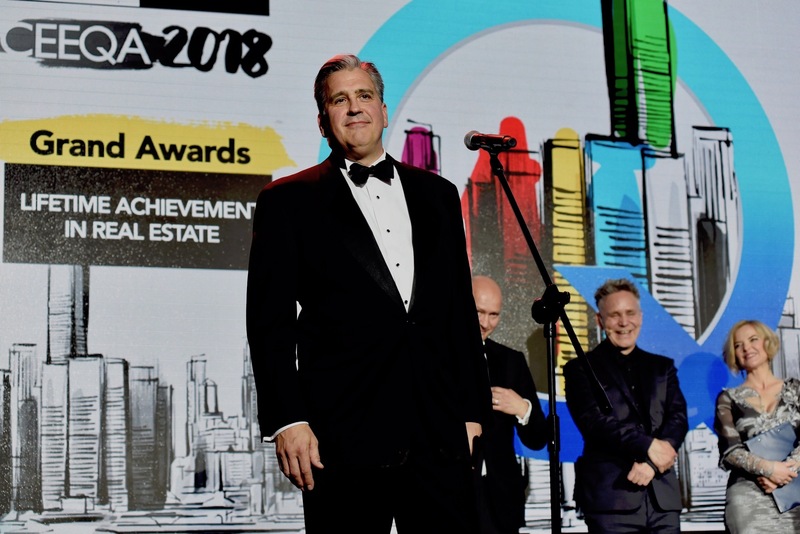 His extensive real estate experience includes investment and asset management strategy advise, investment management, equity and debt financing, valuations, and a wide spectrum of acquisitions, disposals, developments and feasibility studies. 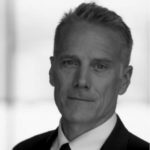 Roger joined Avestus Real Estate as CEO in April, 2006 bringing more than 20 years of experience in the real estate business. 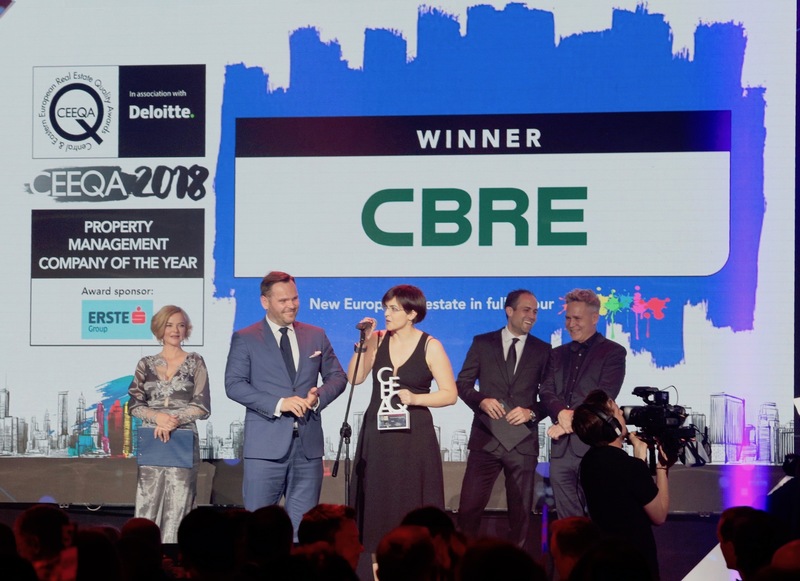 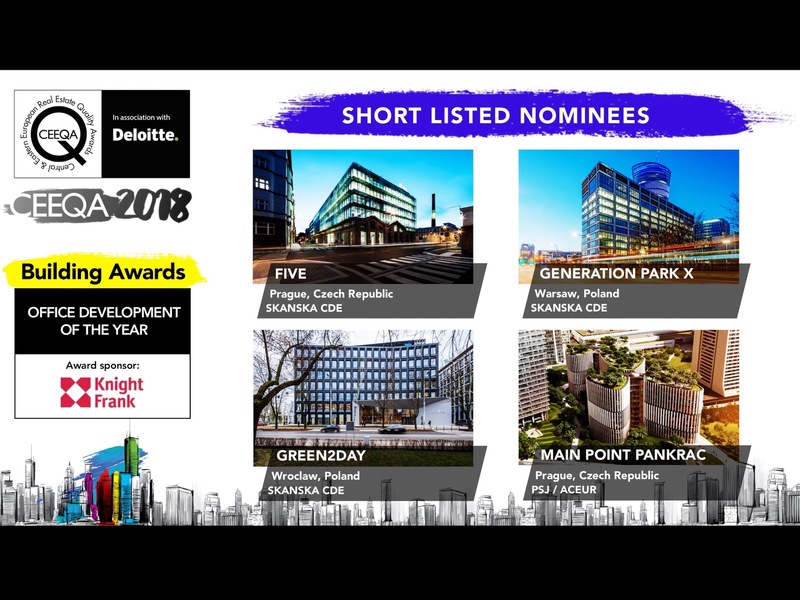 From its headquarters in Prague, Roger oversees the continued development of ARE’s portfolio of residential, office and retail properties, a number of large mixed-use developments, and the company’s ongoing expansion into new territories across CEE. 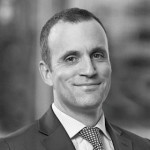 Prior to his current position with ARE. Roger held Managing Director and CEO positions at leading real estate entities in the UK, including: 2002–2006, Divisional Managing Director of Gleeson Homes, a wholly owned subsidiary of MJ Gleeson Group; 1999–2001, residential Managing Director at Chelverton International; 1996–1999, Managing Director, South Thames division of Countryside Properties. 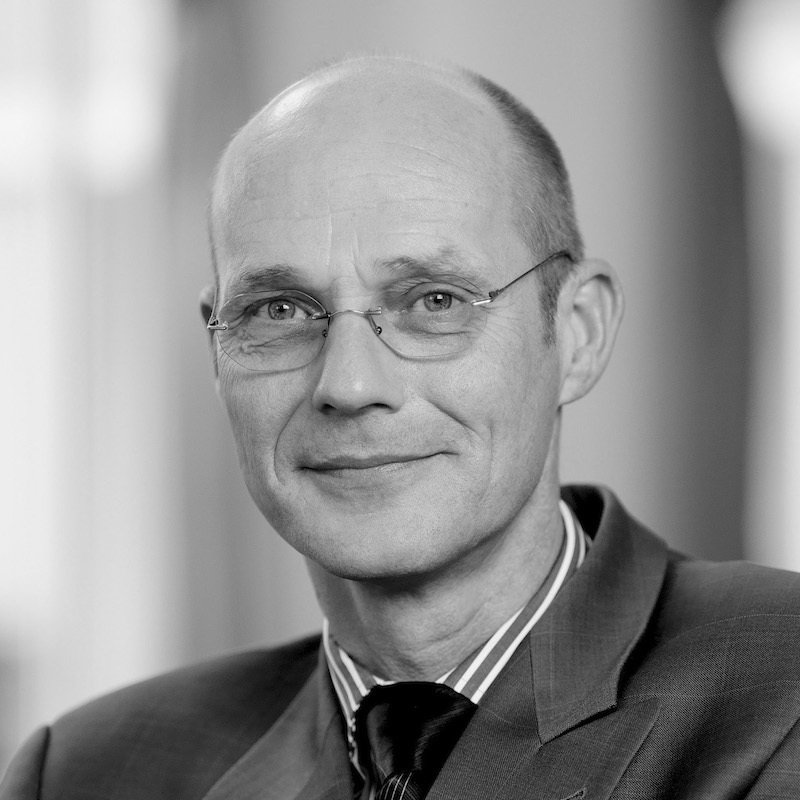 Roger is a member of The Royal Institution of Chartered Surveyors (RICS). 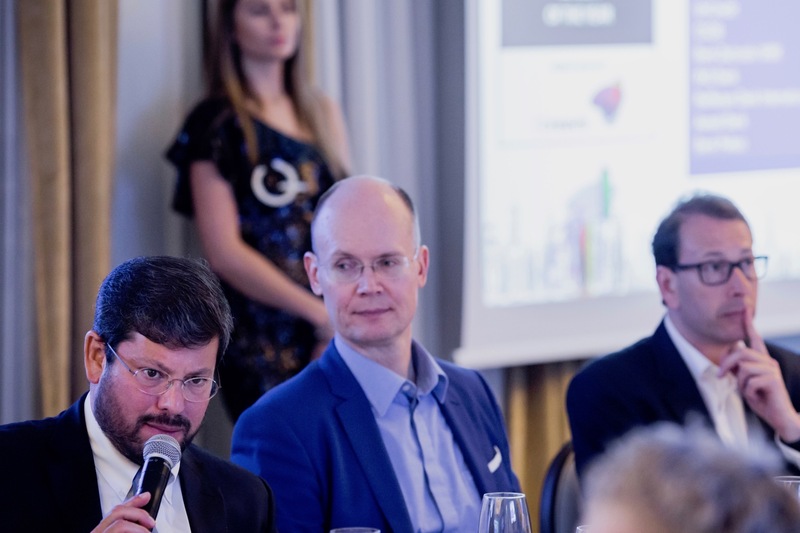 Tomas is the chief investment officer and a member of the board of directors of REICO Investicní Spolecnost CS, the largest and oldest Czech open-ended property fund manager. 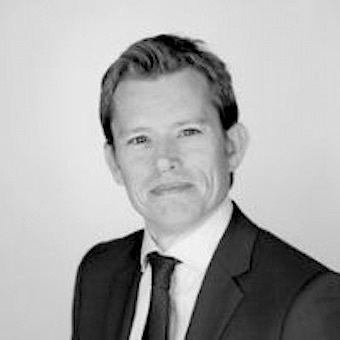 He carries overall responsibility for fund’s property business including transactions, leasing, asset management and valuations. 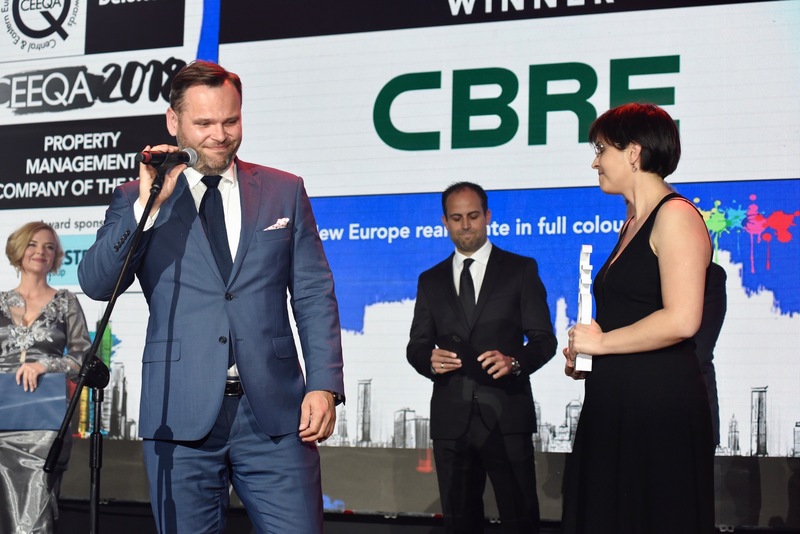 In his previous role, he acted as the director of capital markets in CBRE Prague office. 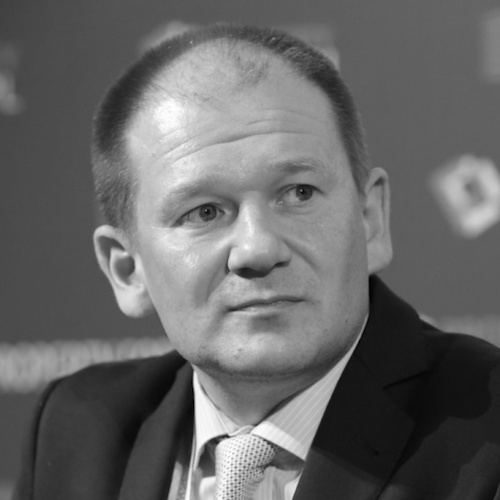 Tomas is a member of the Czech CFA Society and a member of the RICS. Wojciech Koczara is a qualified legal advisor, a partner and head of the Real Estate in Poland and in CEE. He specialises in real estate business law and for over 16 years advises domestic and international investors in purchase, sale and lease of commercial estates and the performance of development projects. He advised on significant real estate, corporate and financing transactions, including acquisitions and disposals of office buildings, hotels and shopping centers, as well as projects concerning logistics centers. 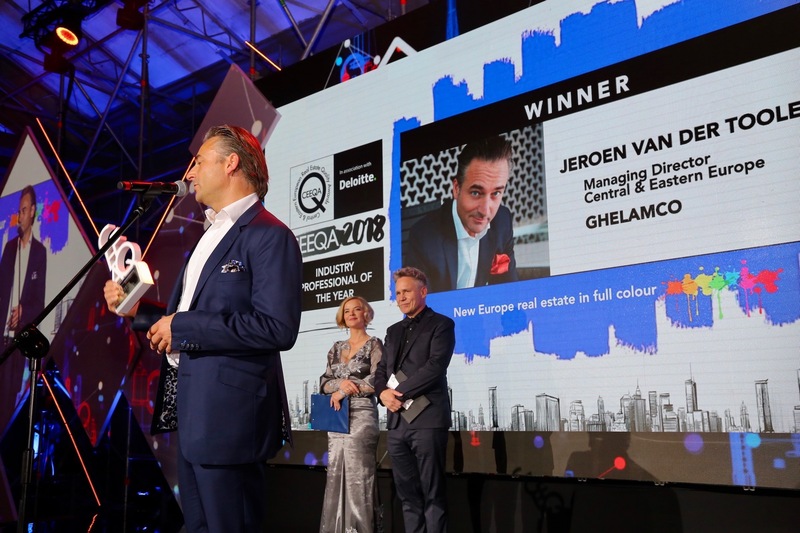 Yannis is a founding Partner of private equity investment management firm Bluehouse Capital with a focus on real estate investments in Emerging Europe. 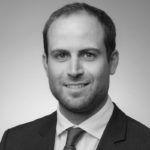 He is a graduate of the Advanced Management Development Program in Real Estate from Harvard University, holding a MSc in Project Management from the University of Texas at Austin.